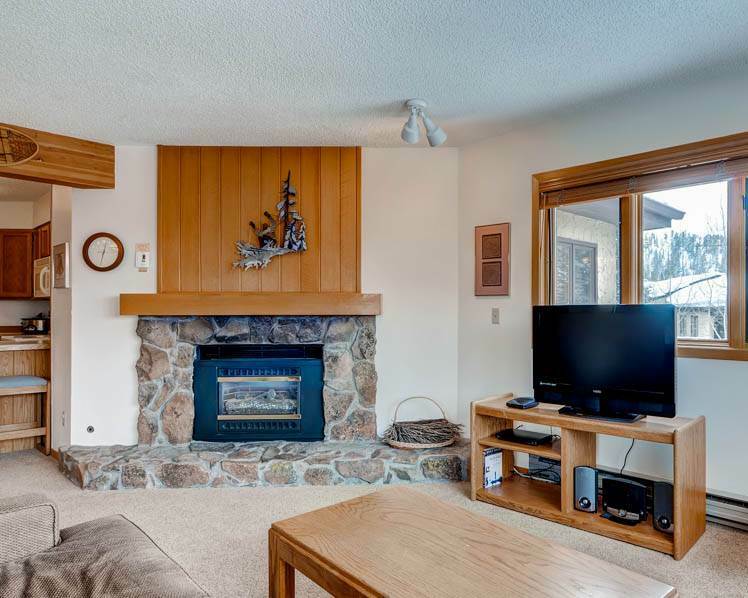 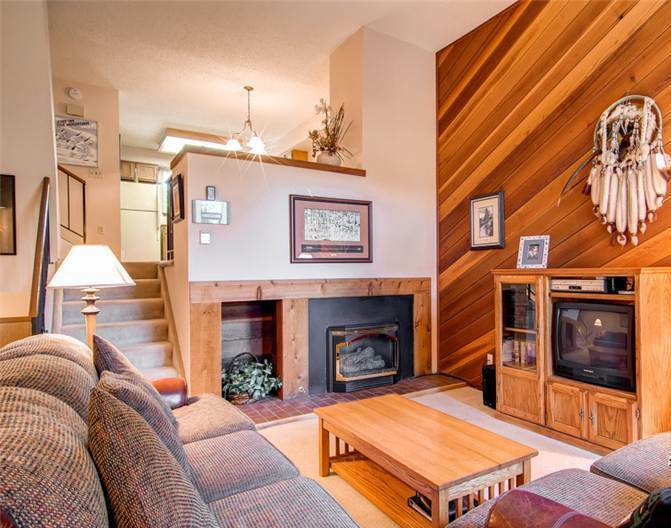 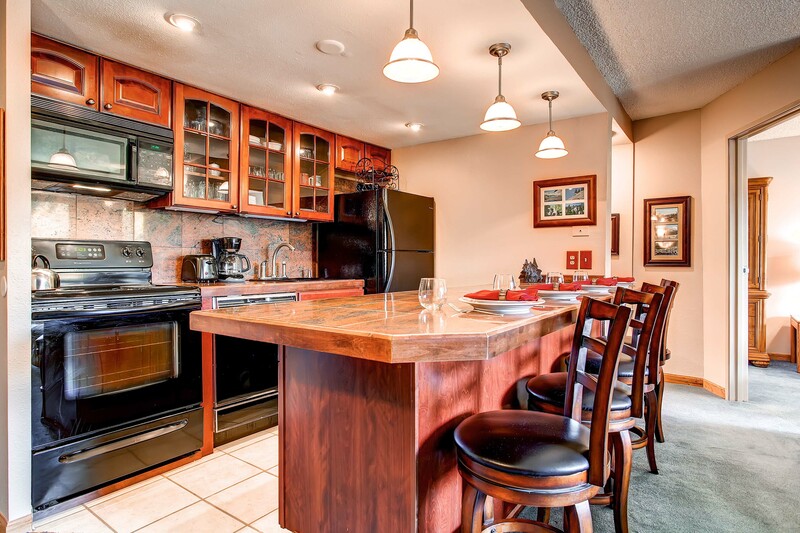 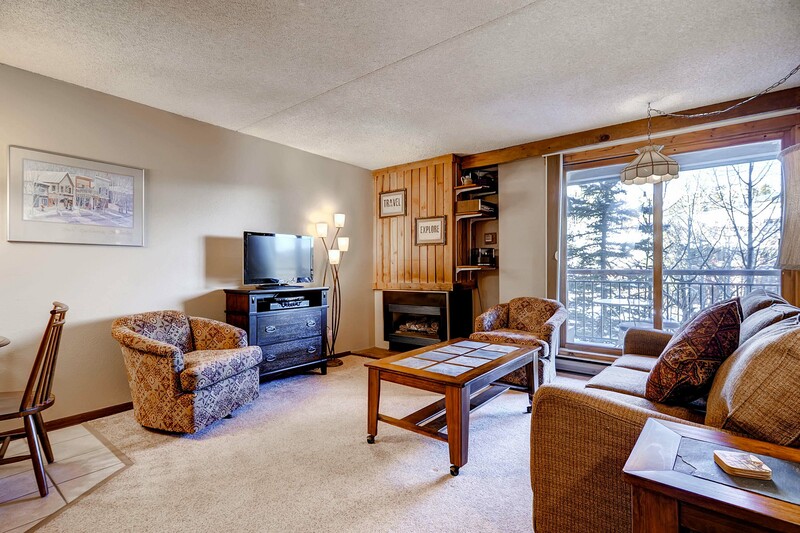 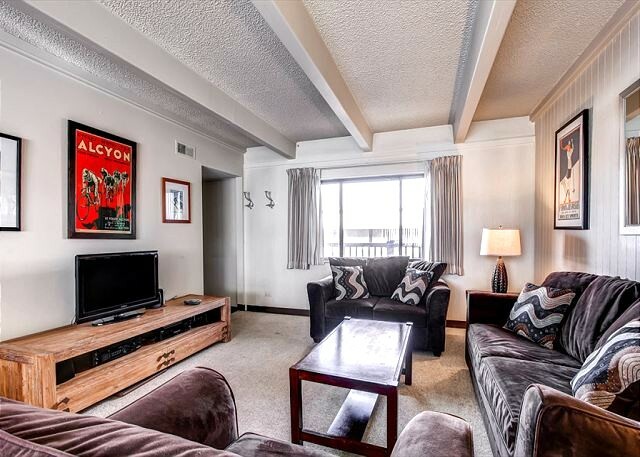 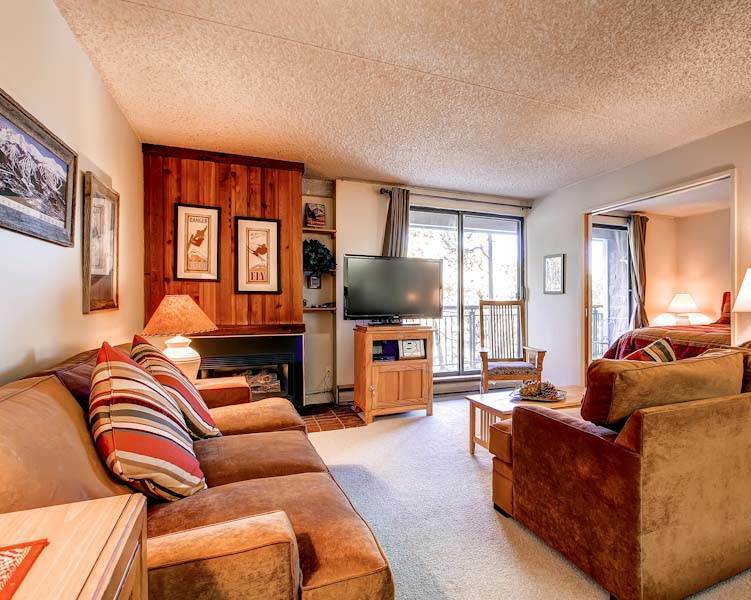 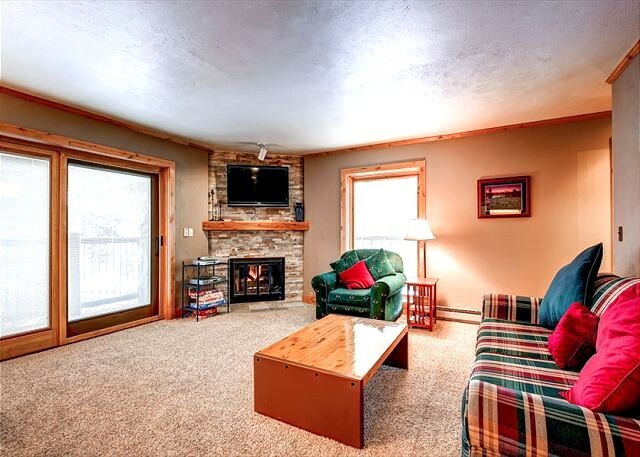 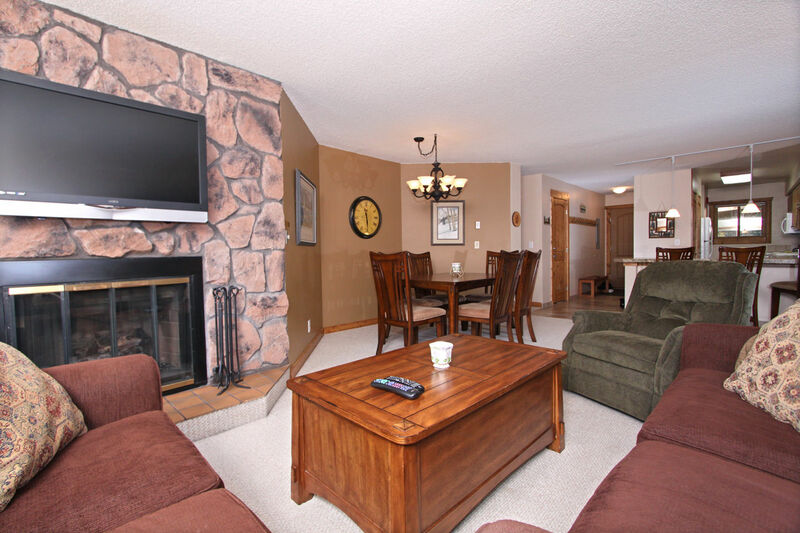 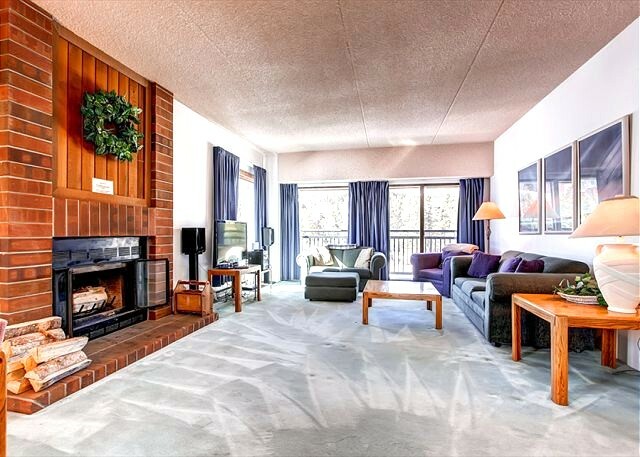 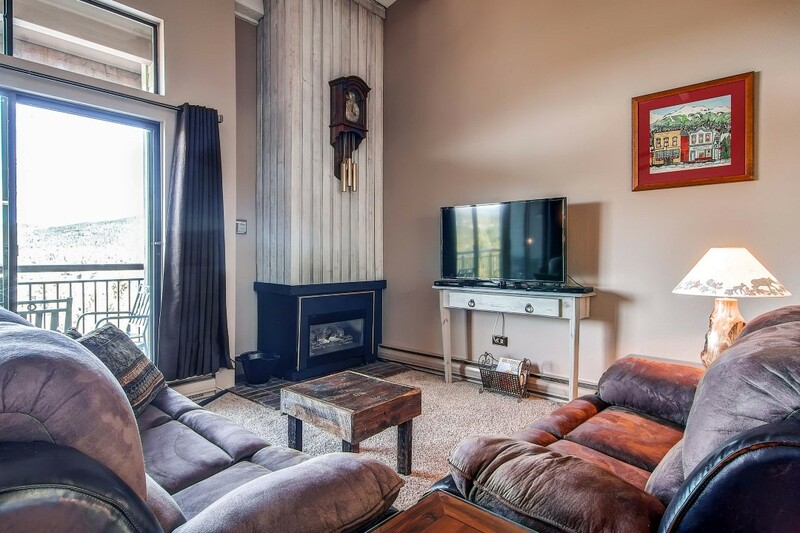 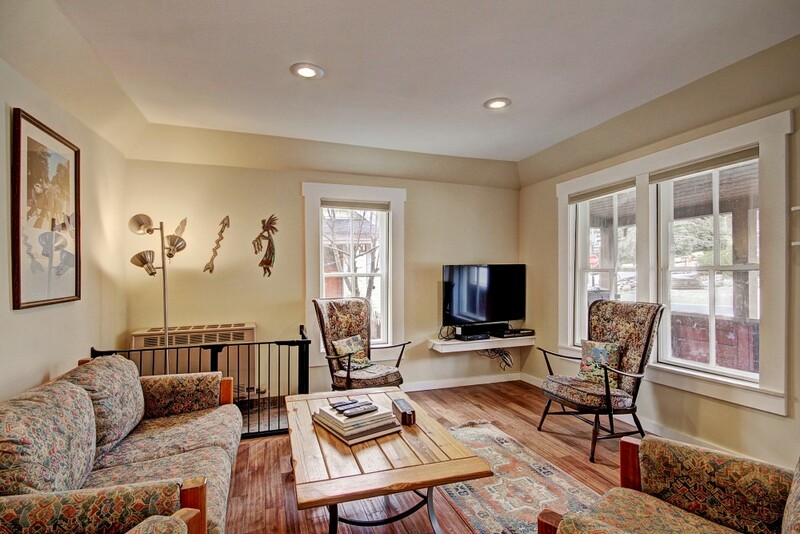 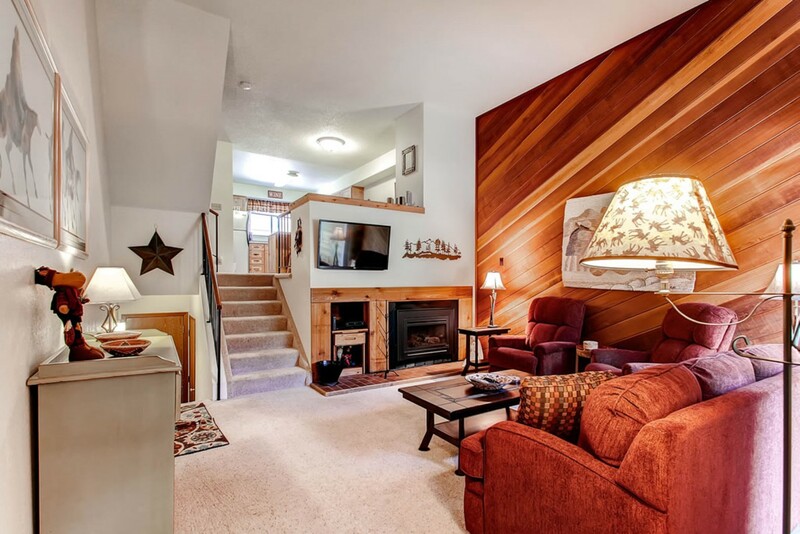 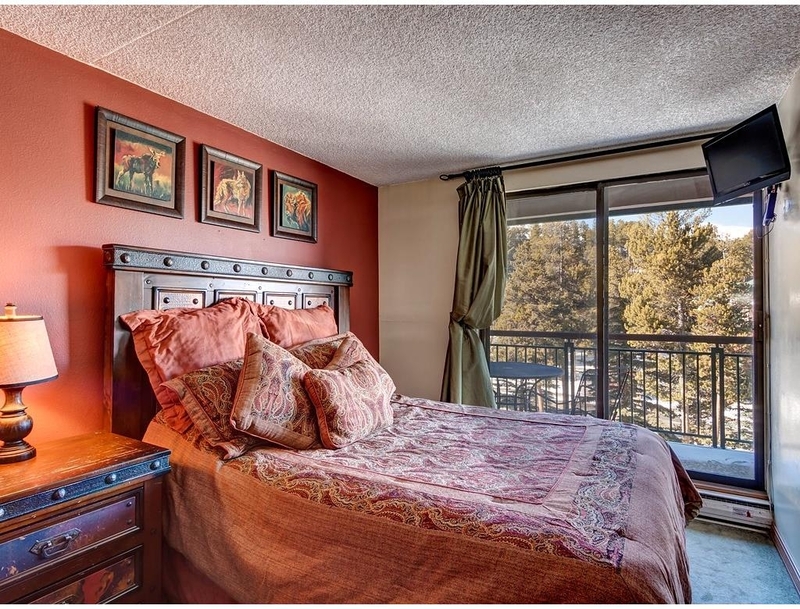 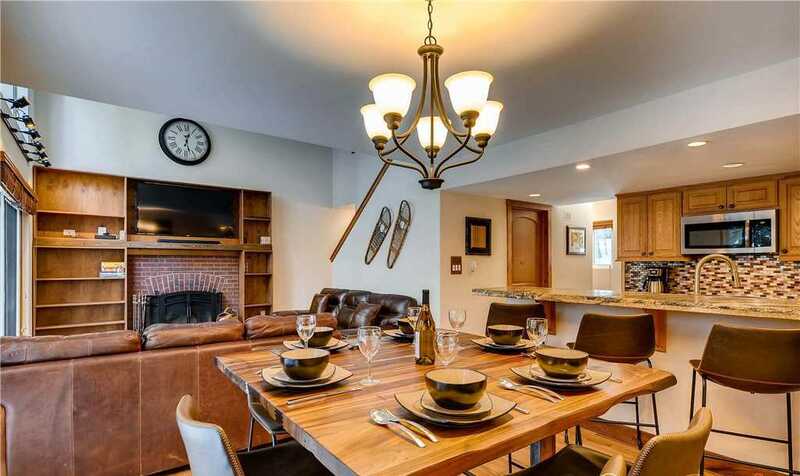 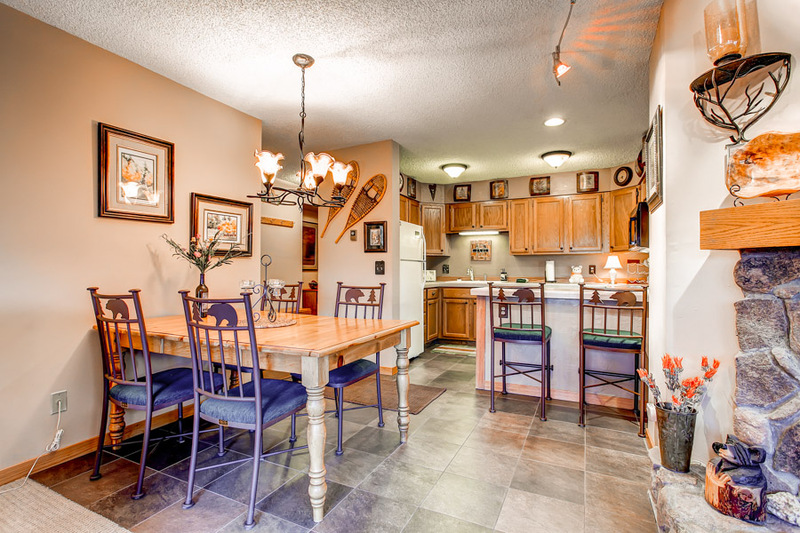 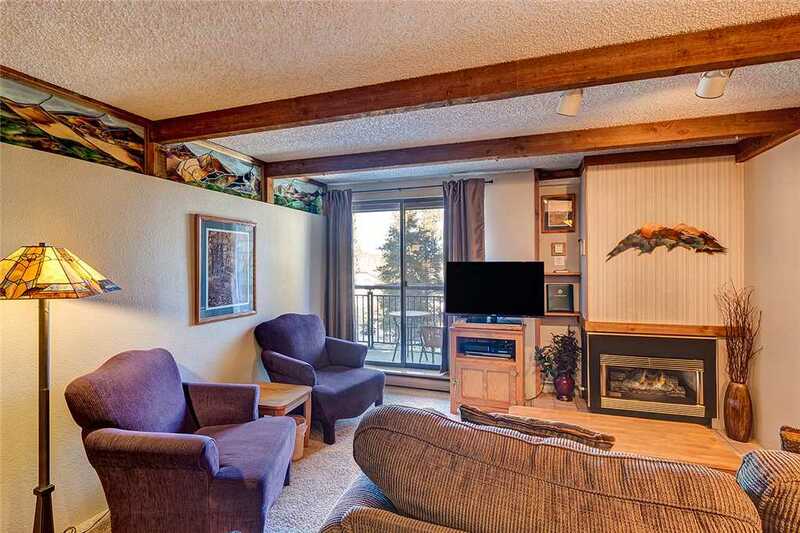 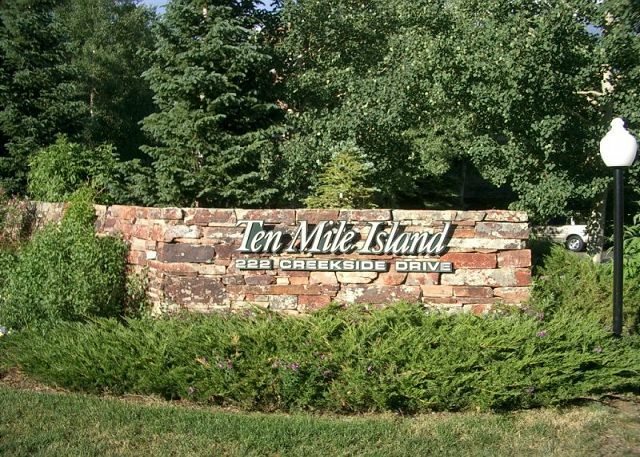 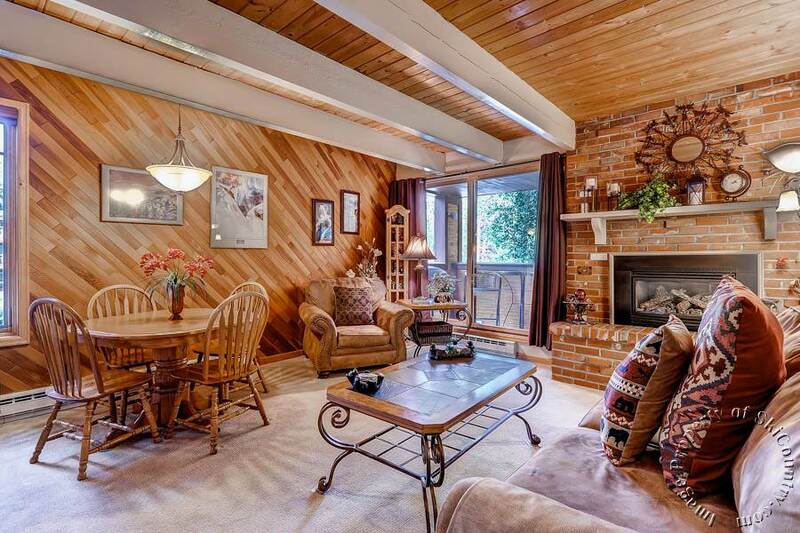 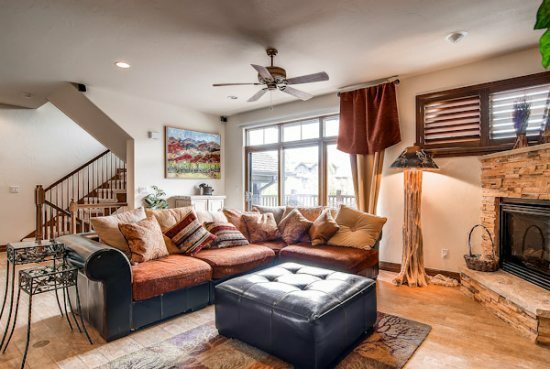 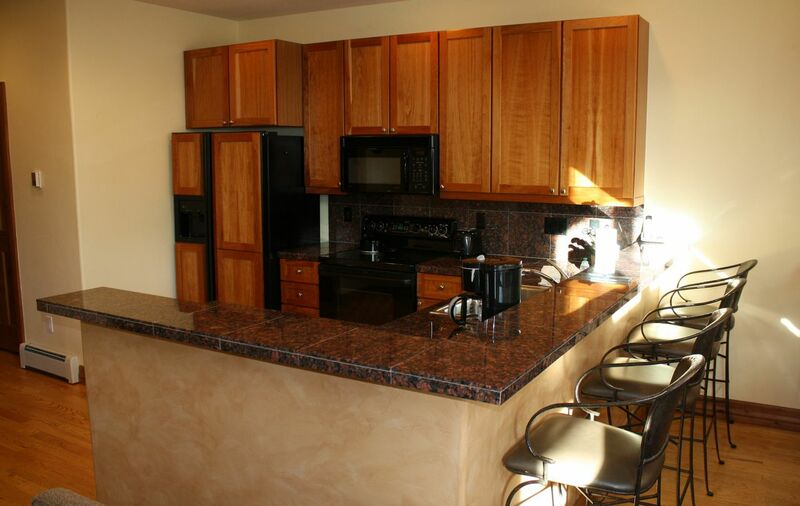 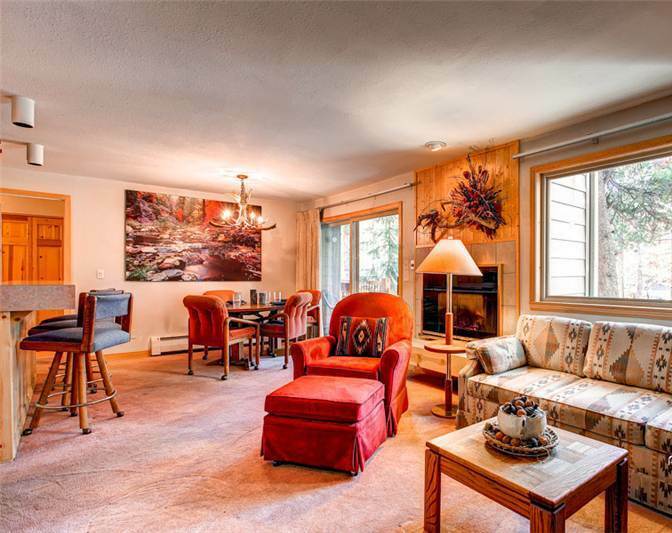 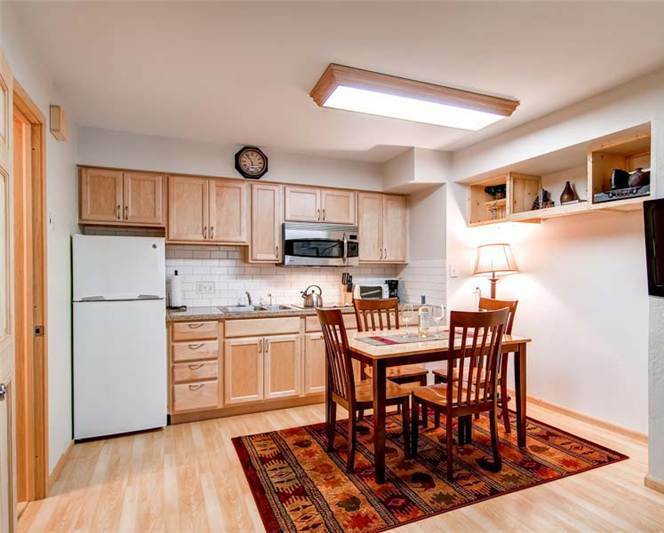 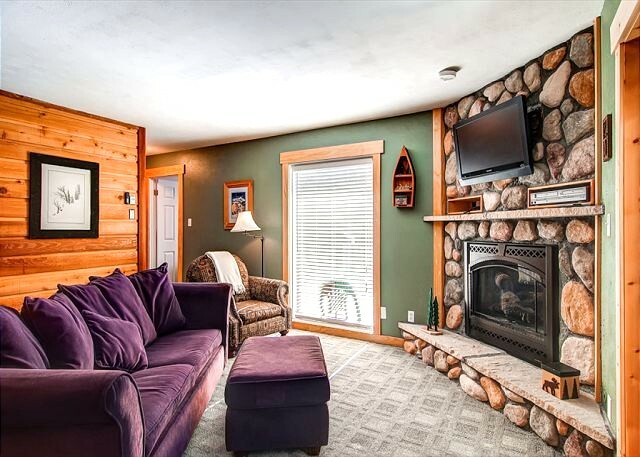 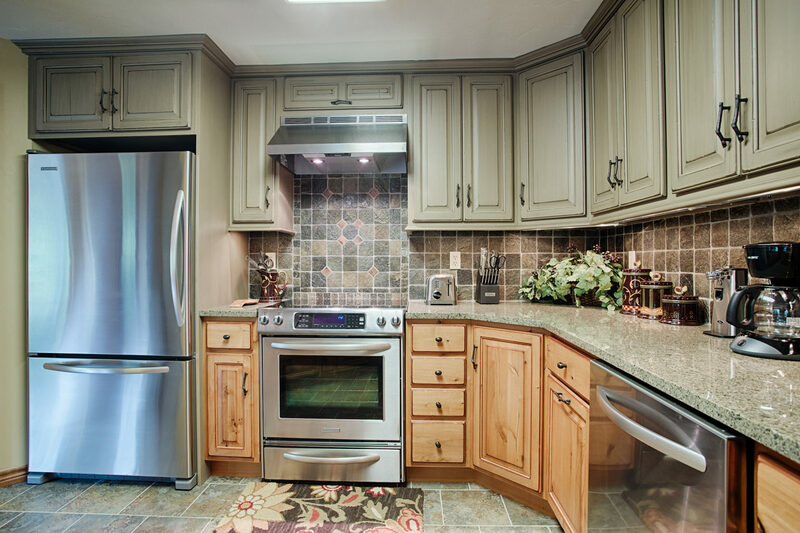 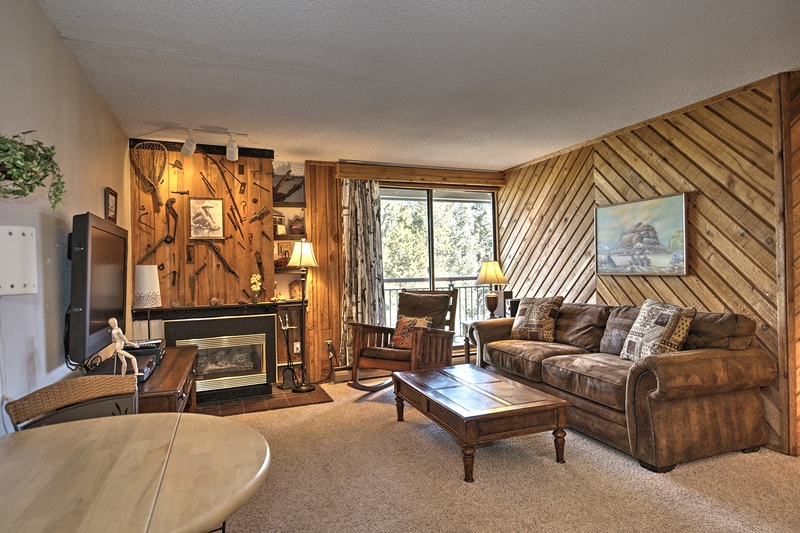 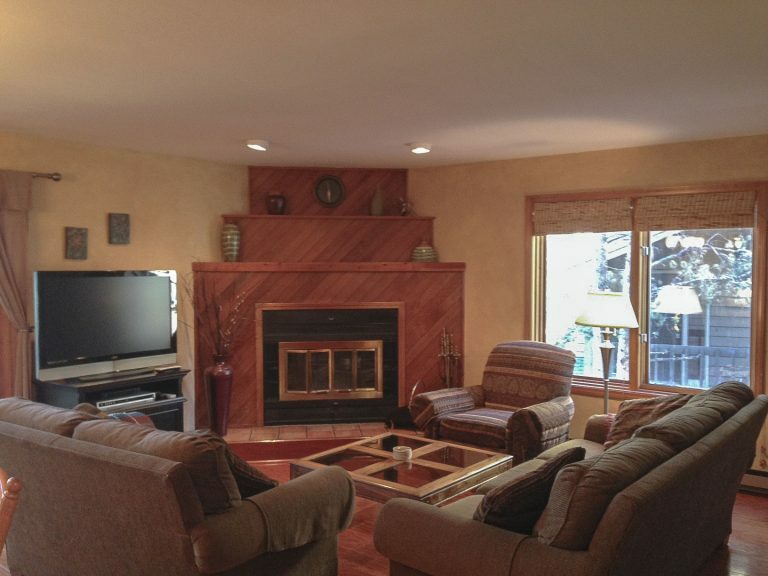 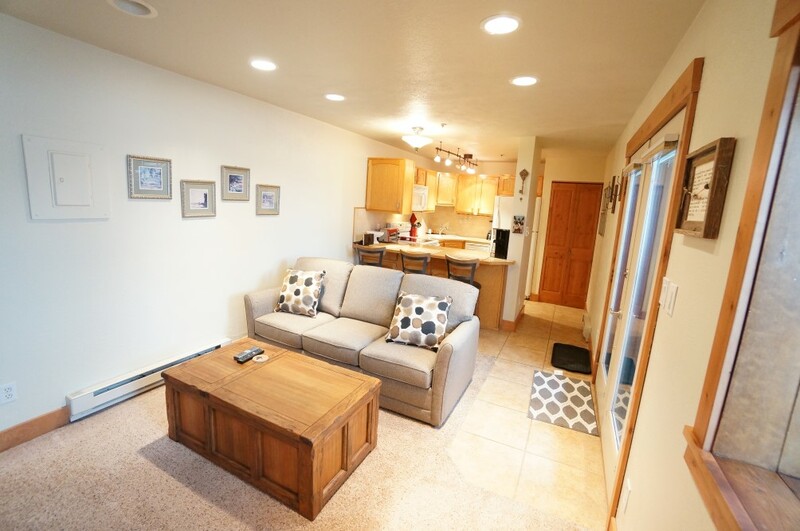 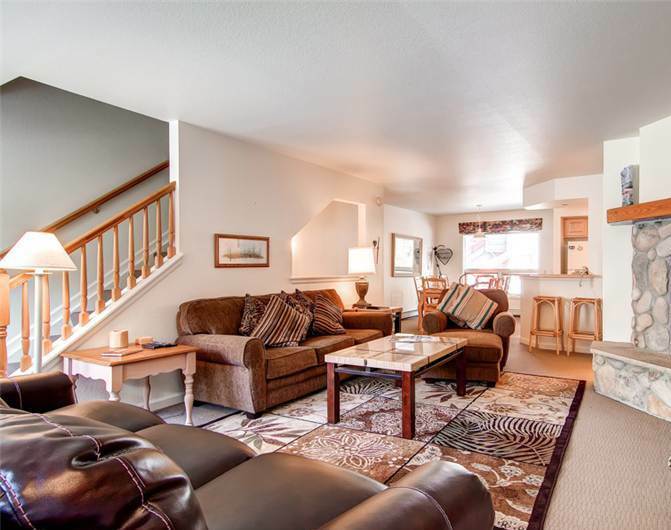 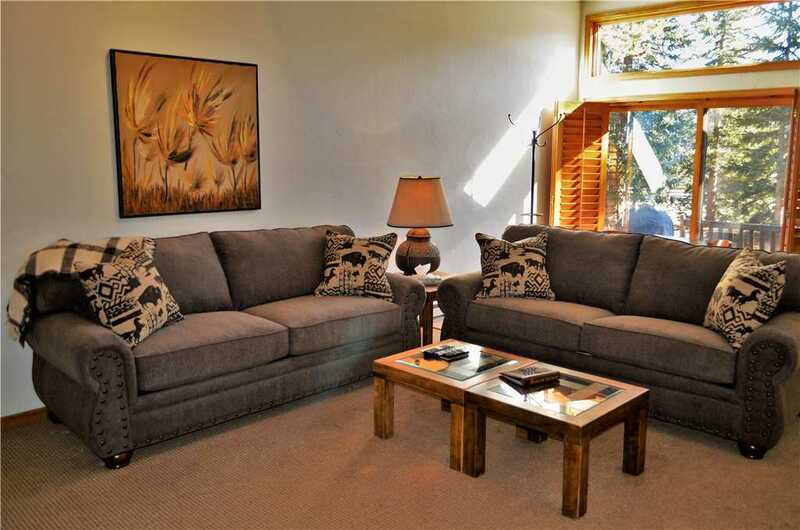 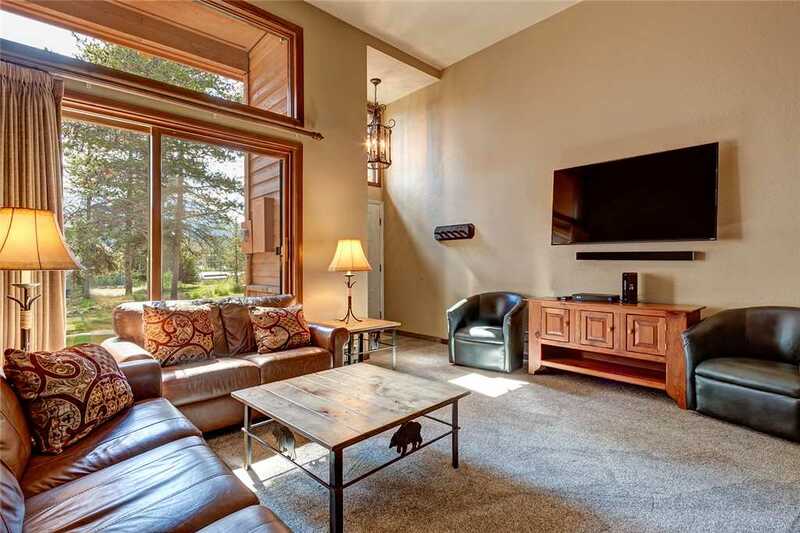 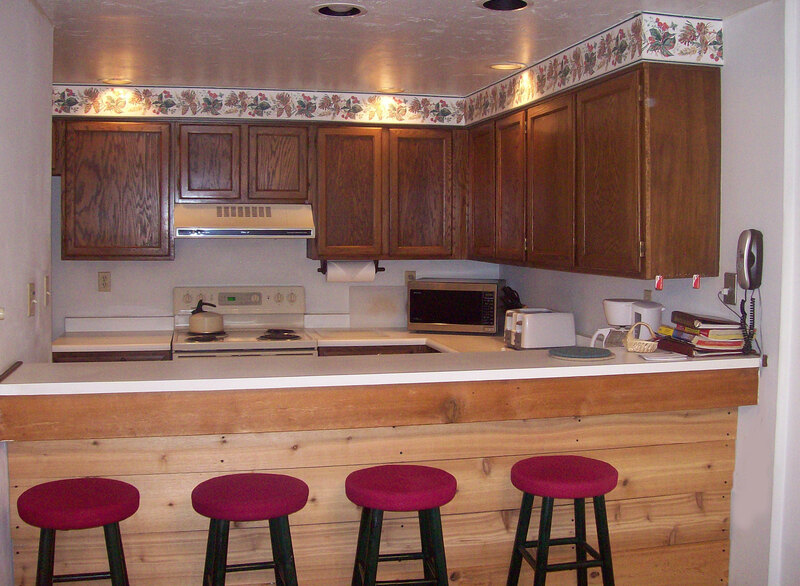 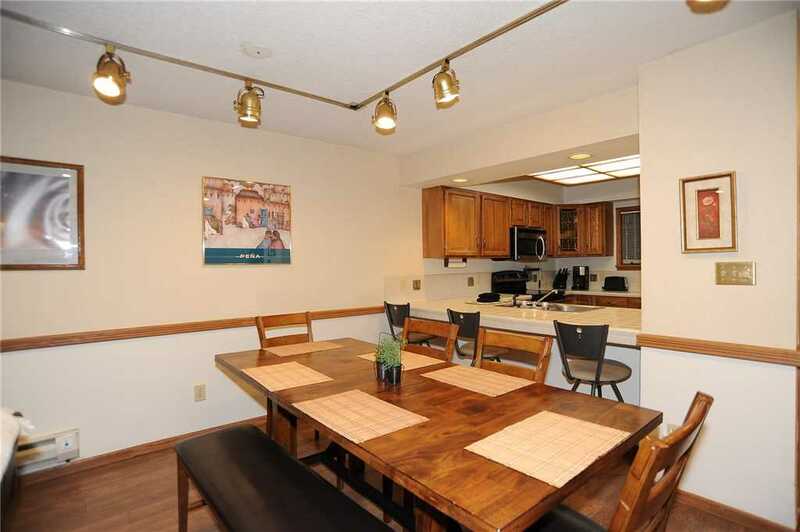 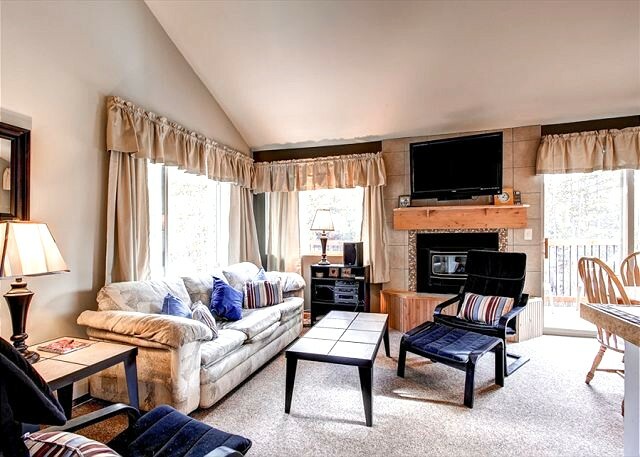 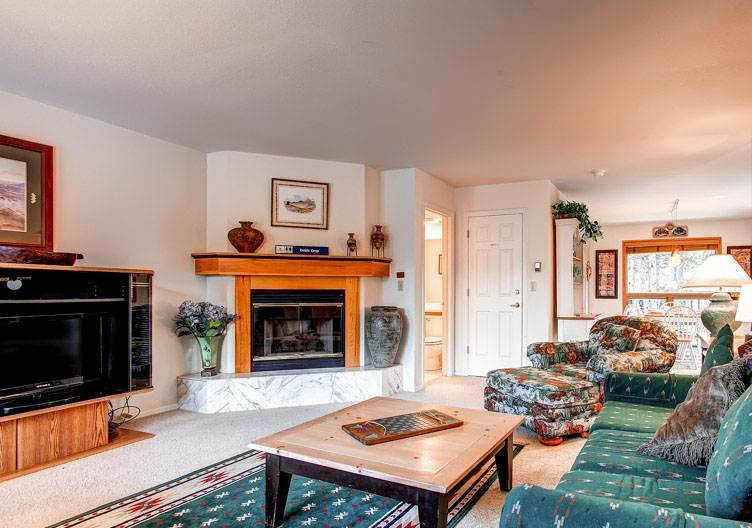 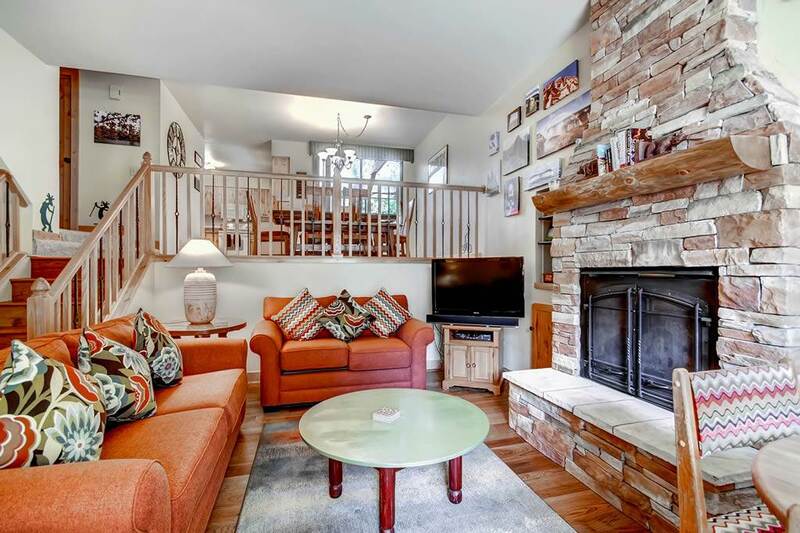 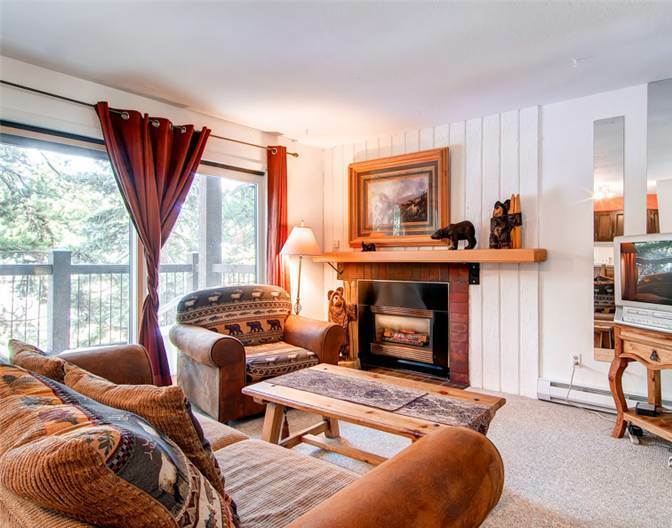 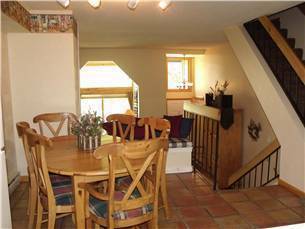 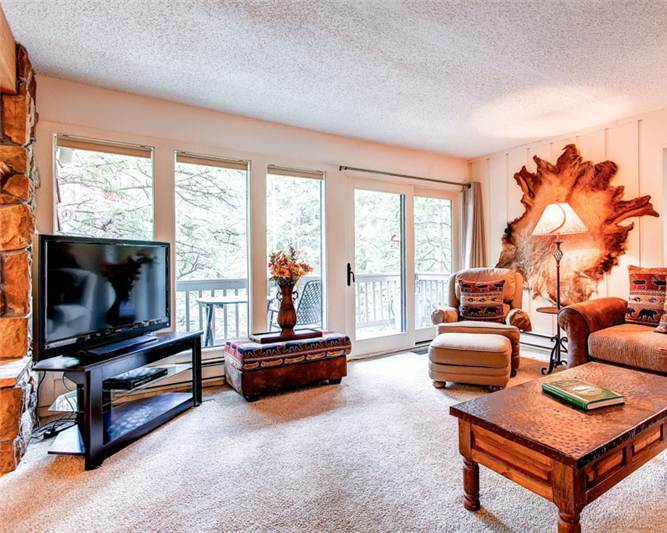 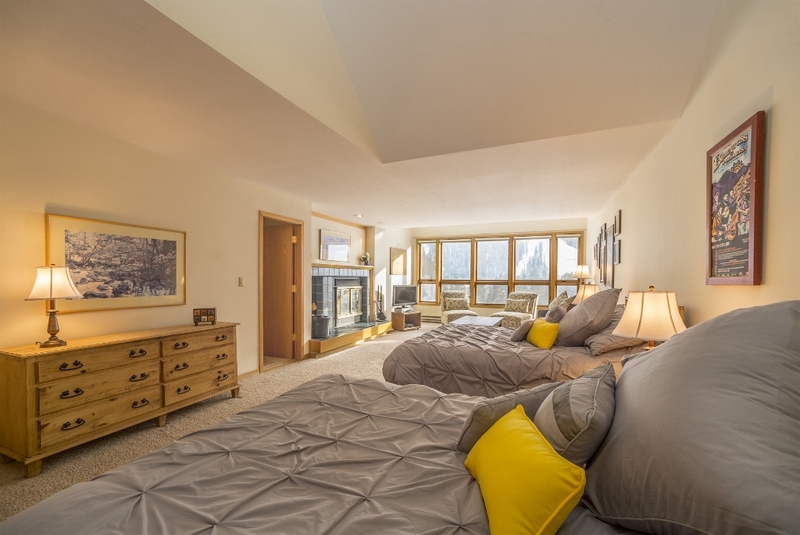 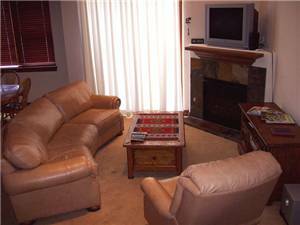 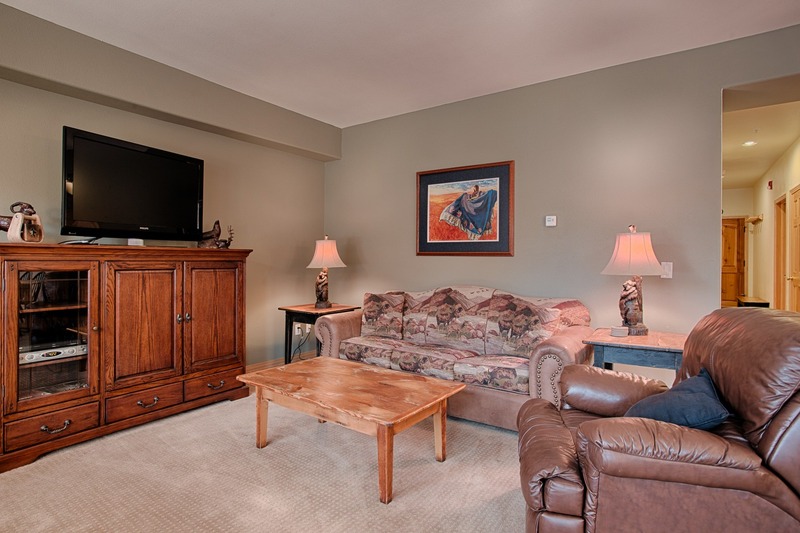 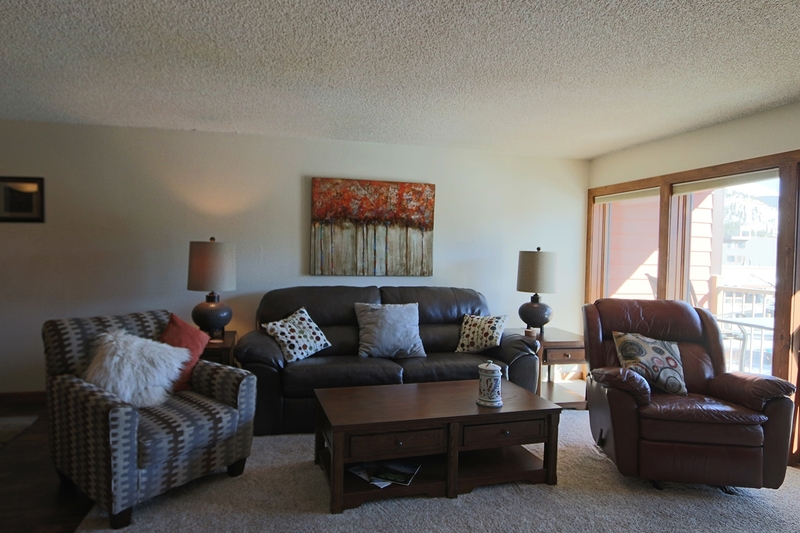 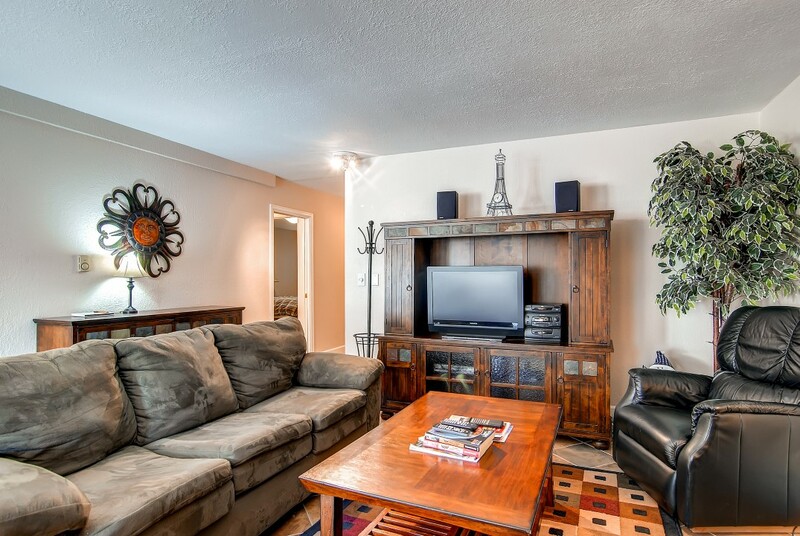 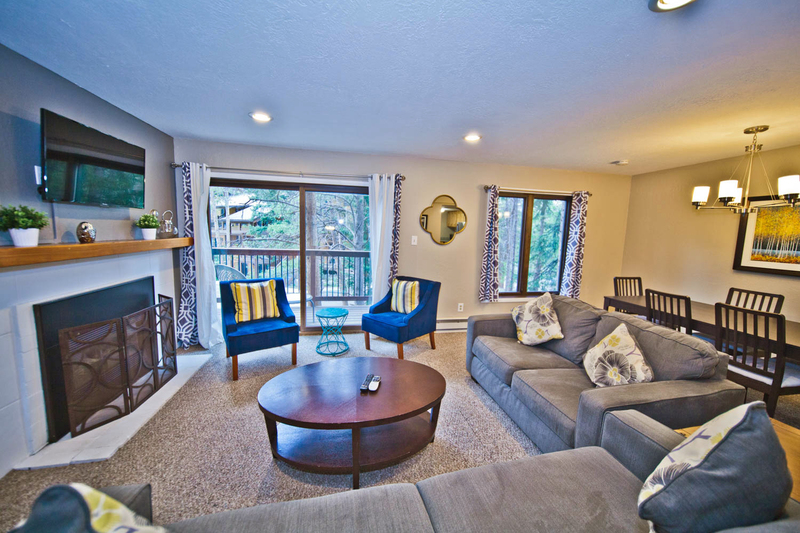 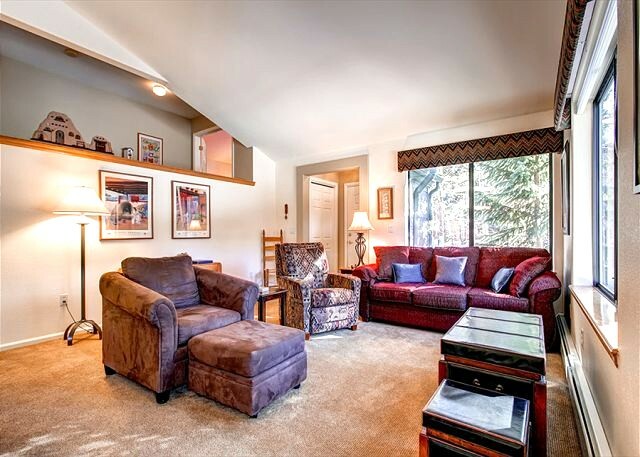 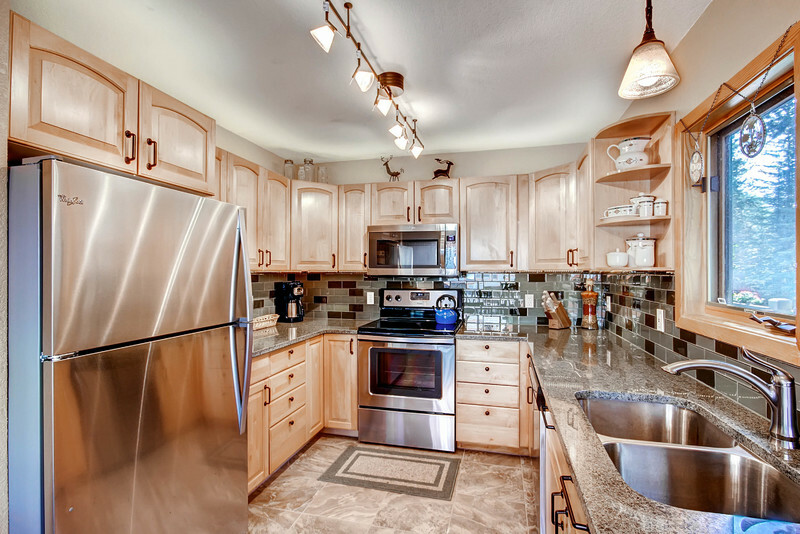 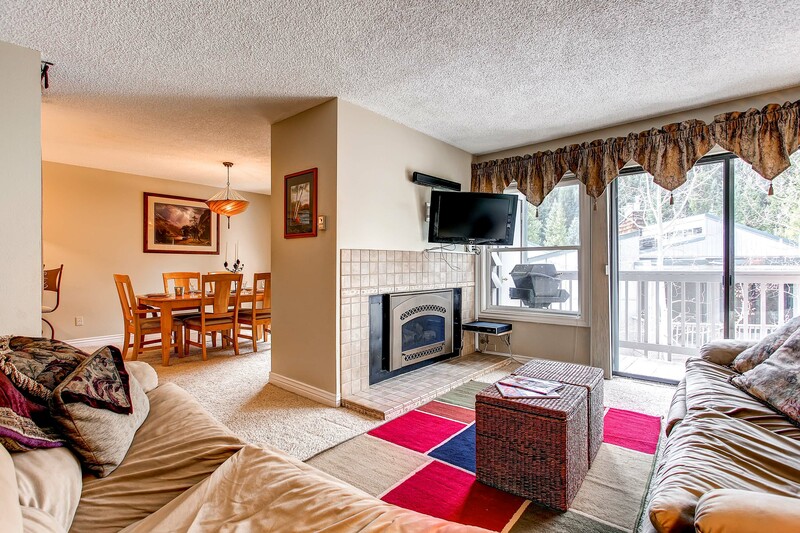 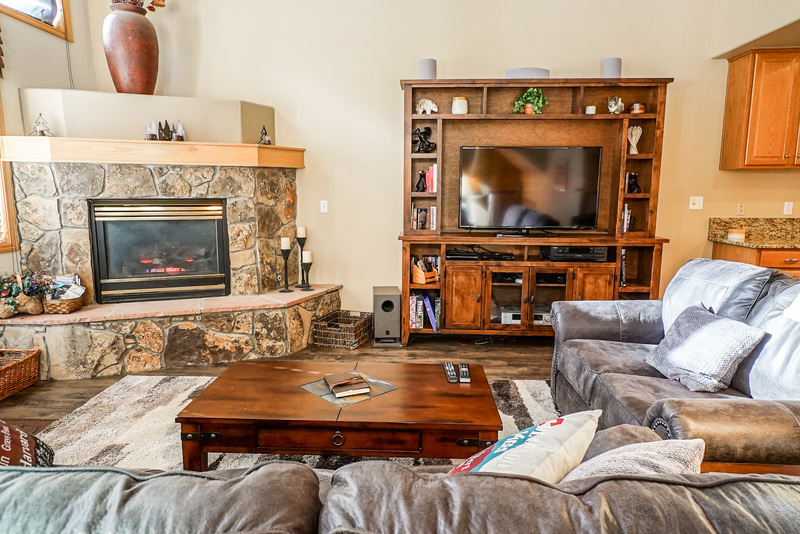 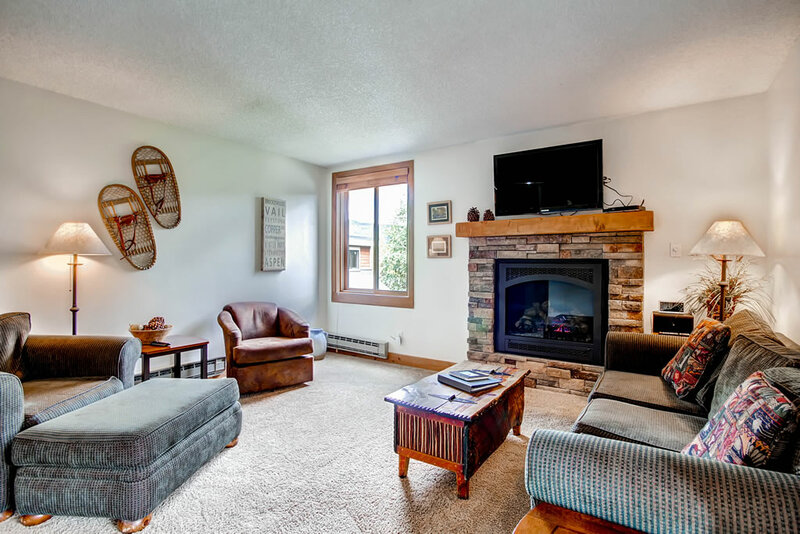 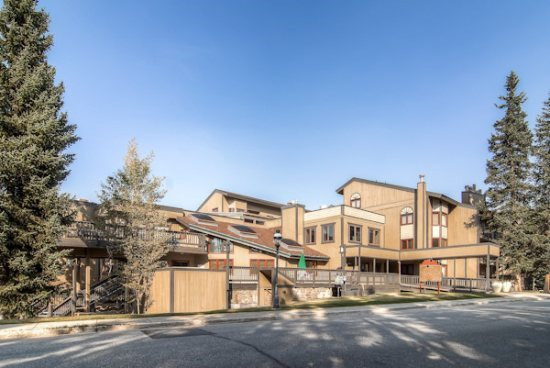 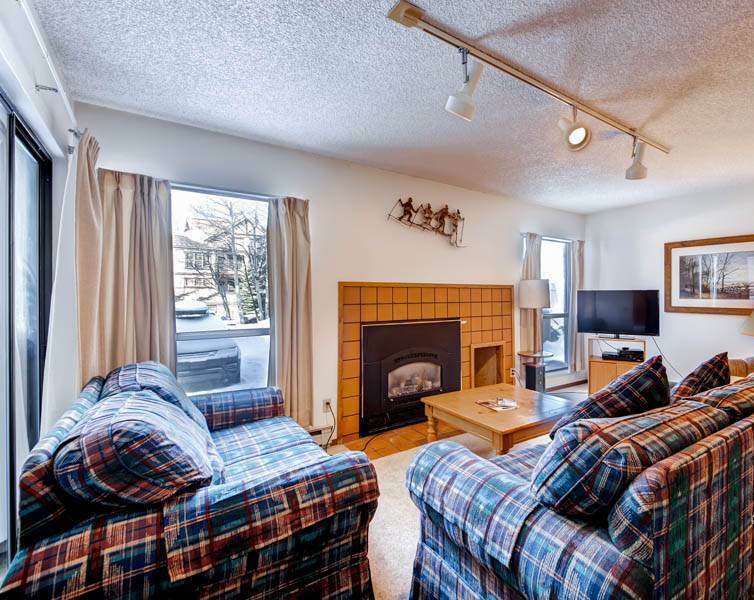 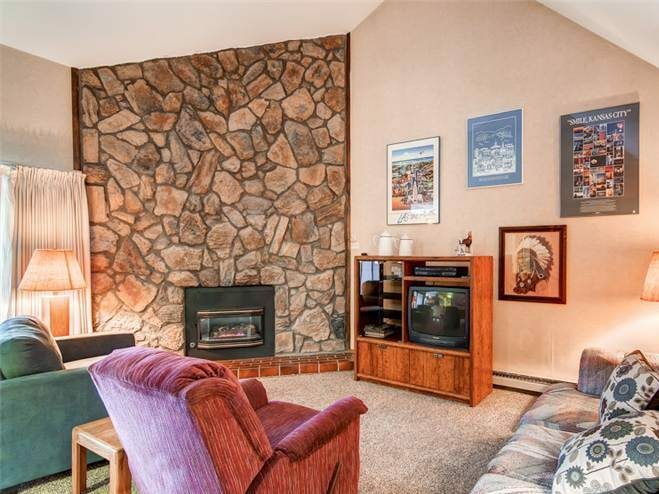 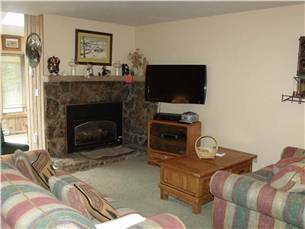 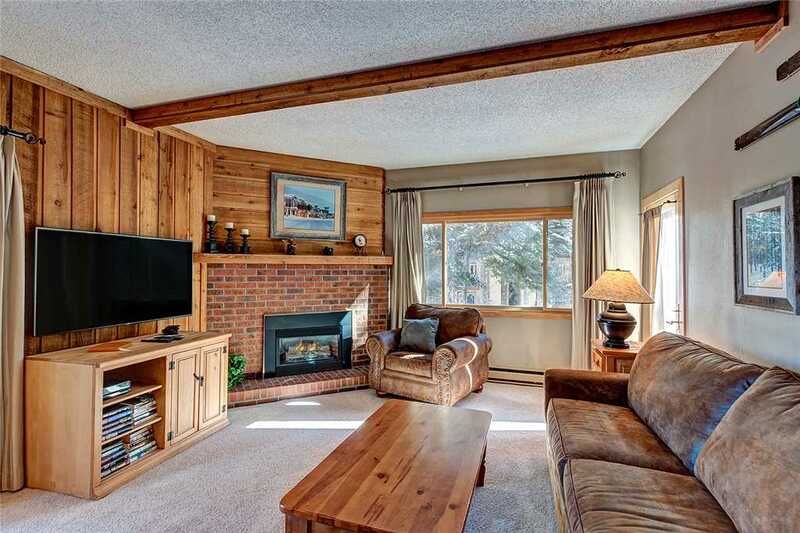 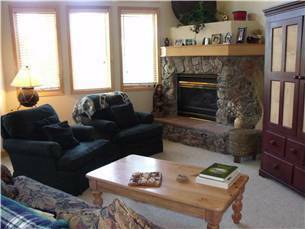 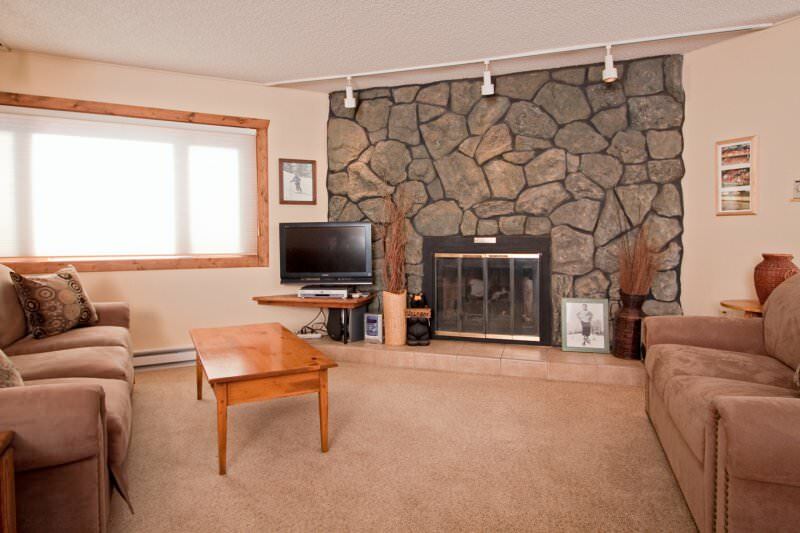 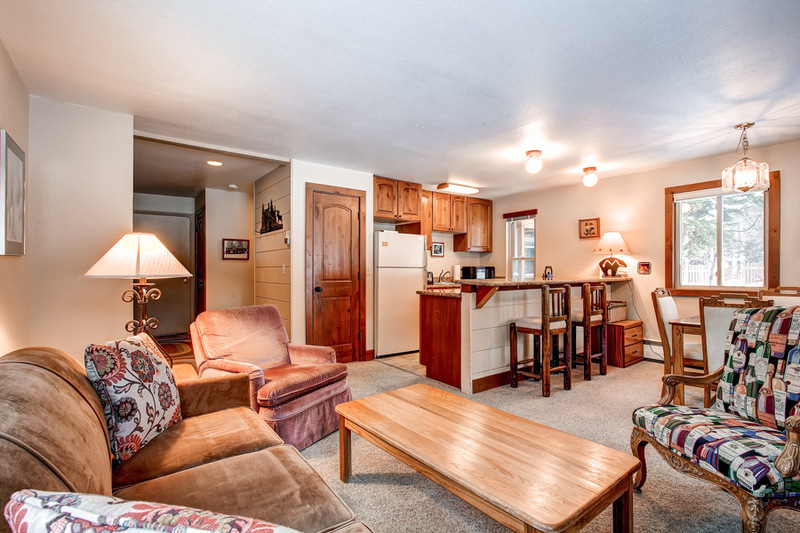 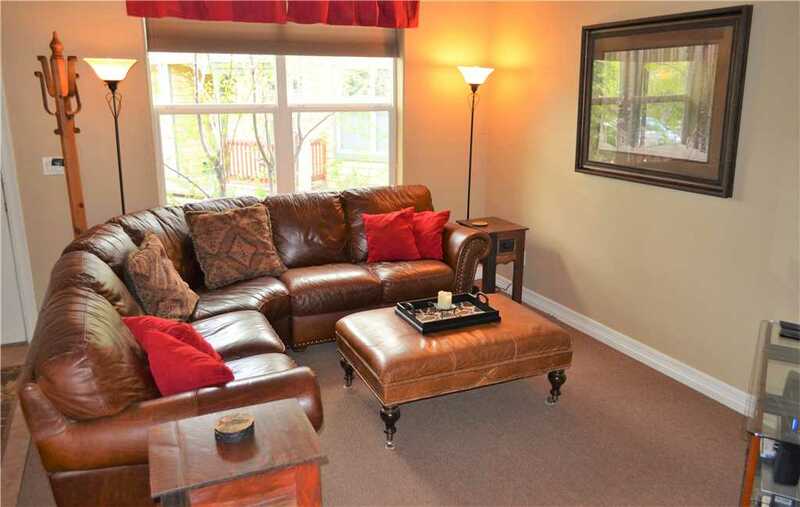 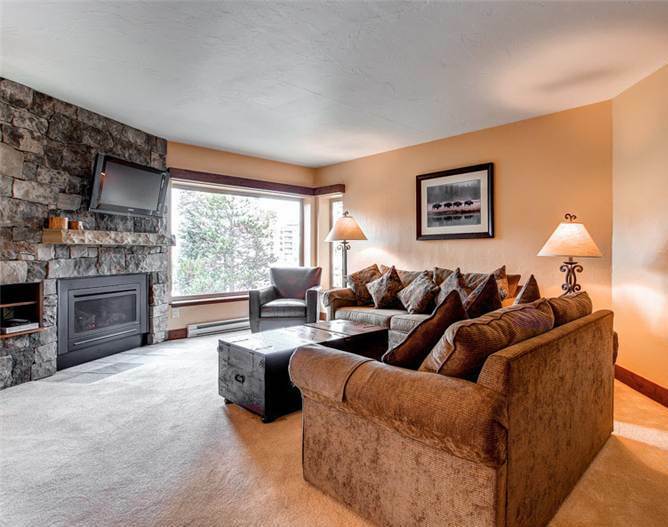 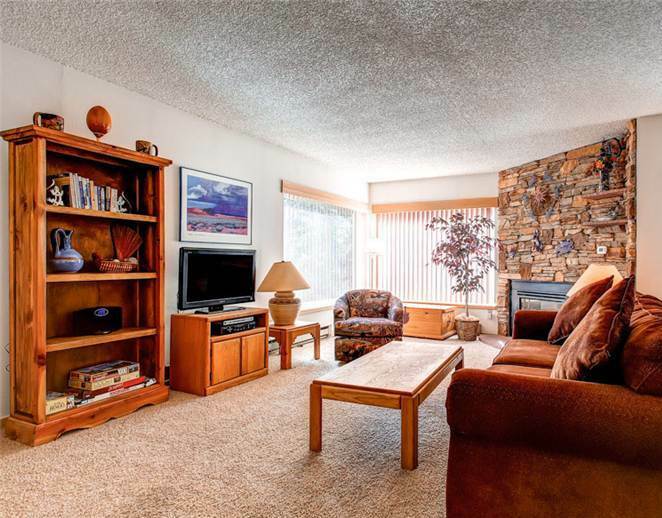 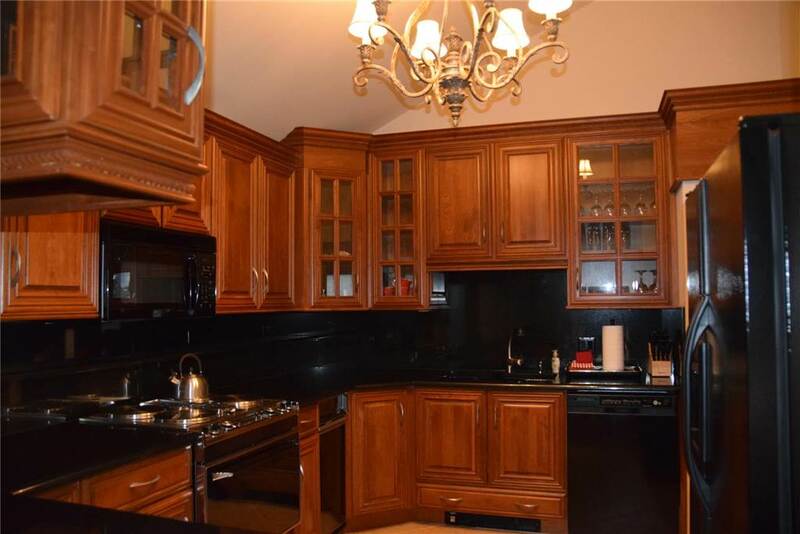 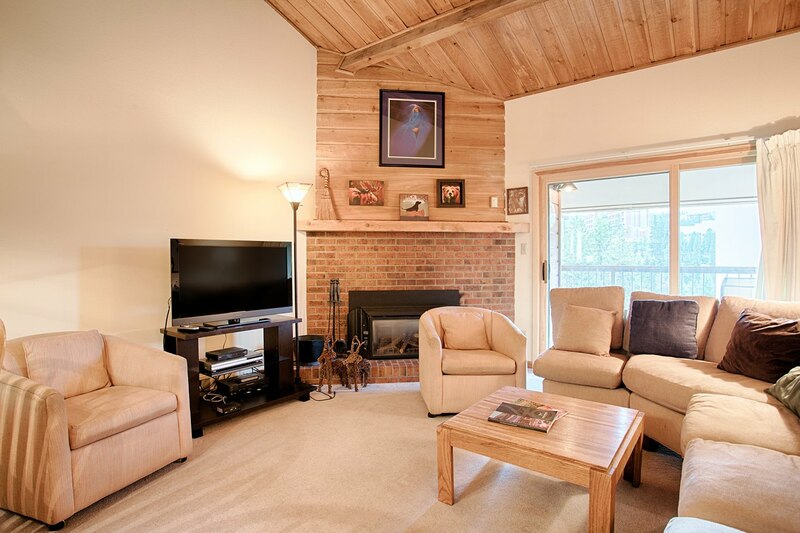 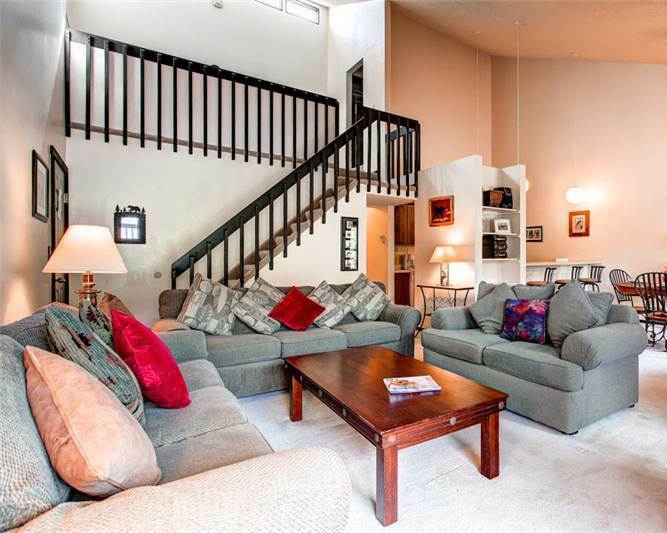 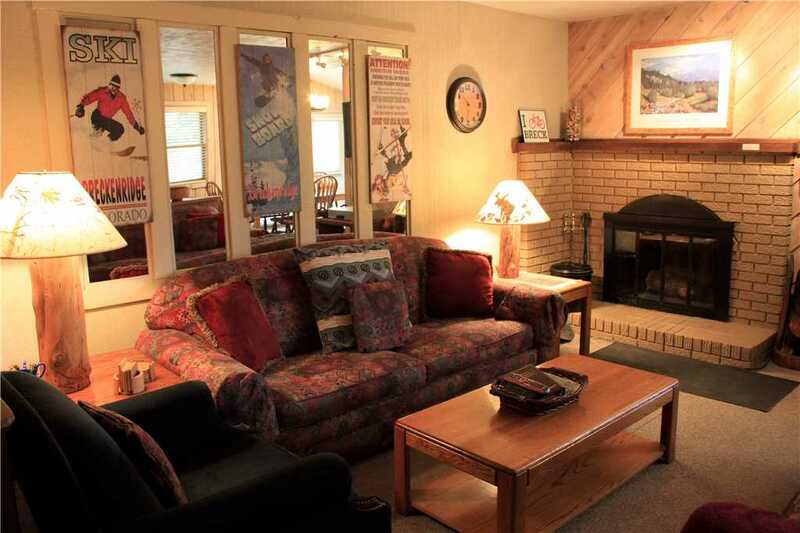 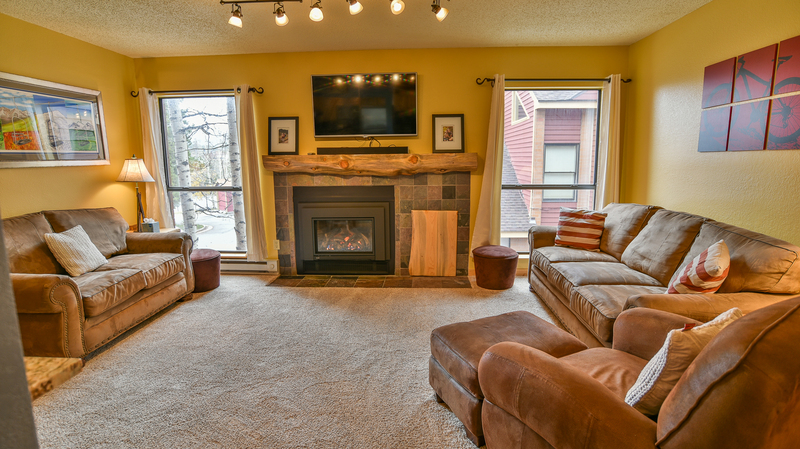 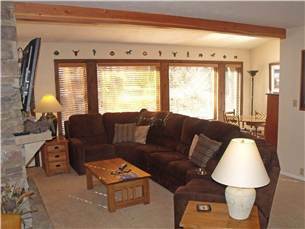 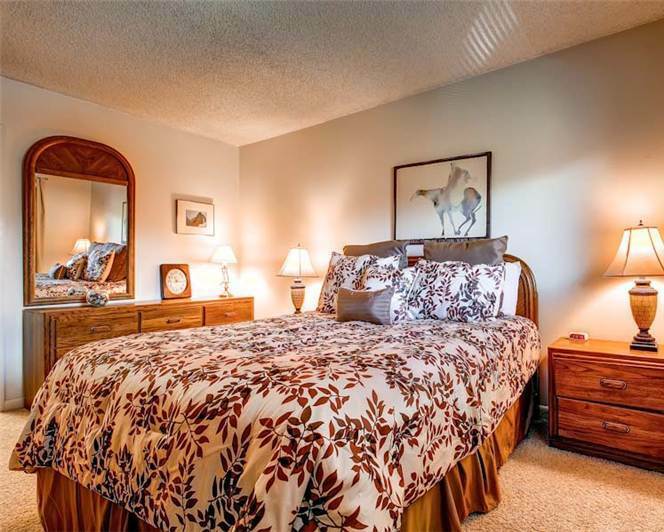 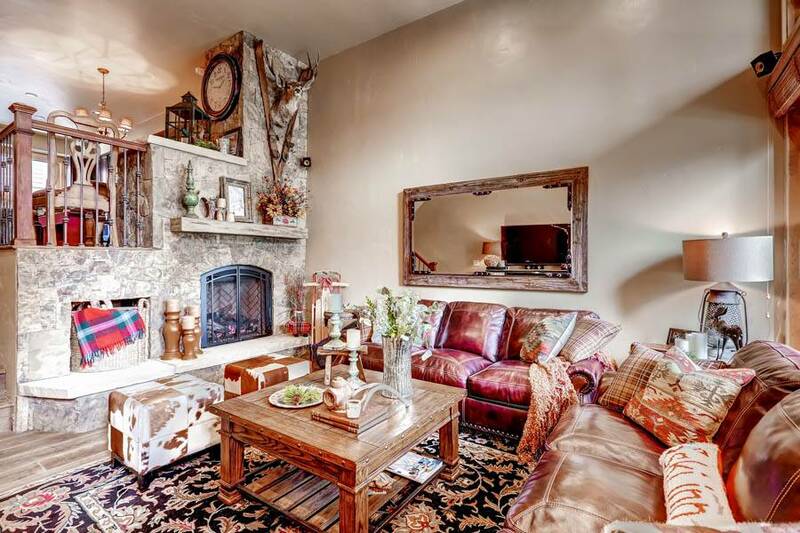 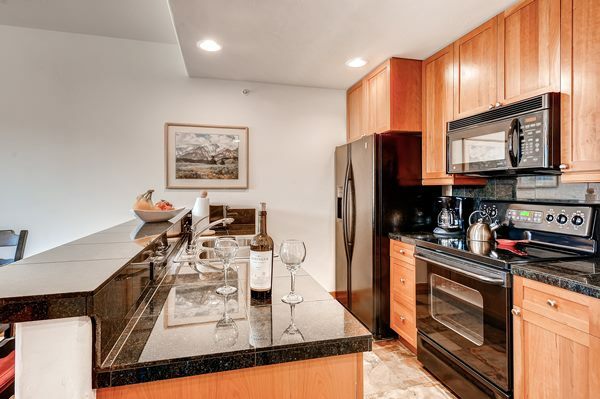 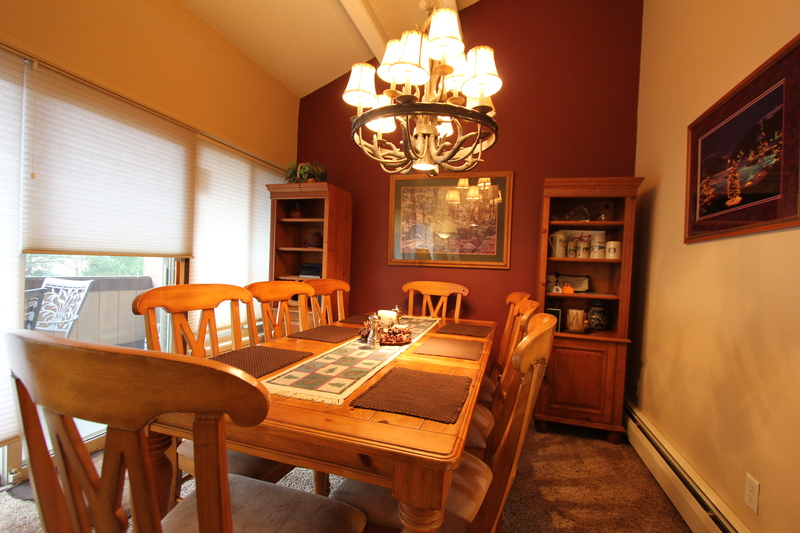 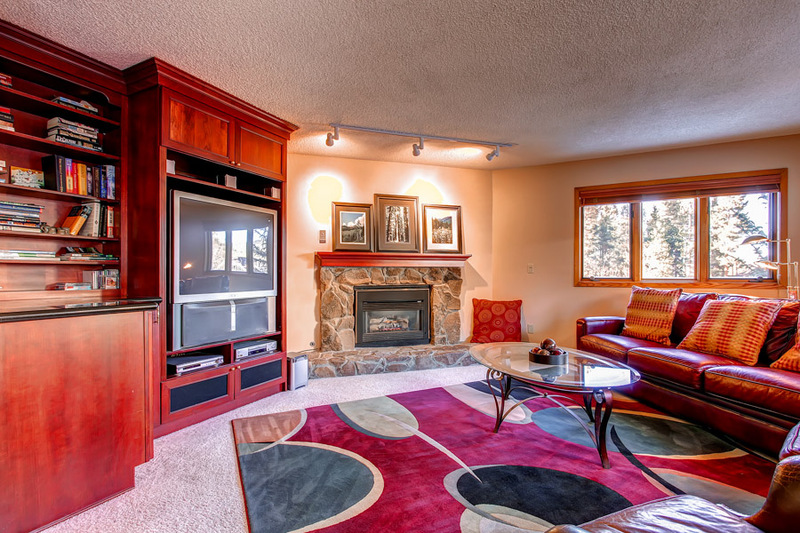 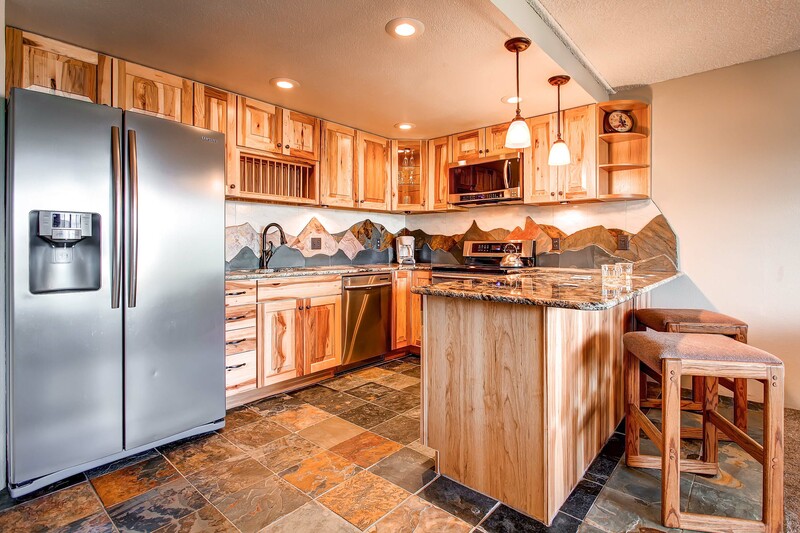 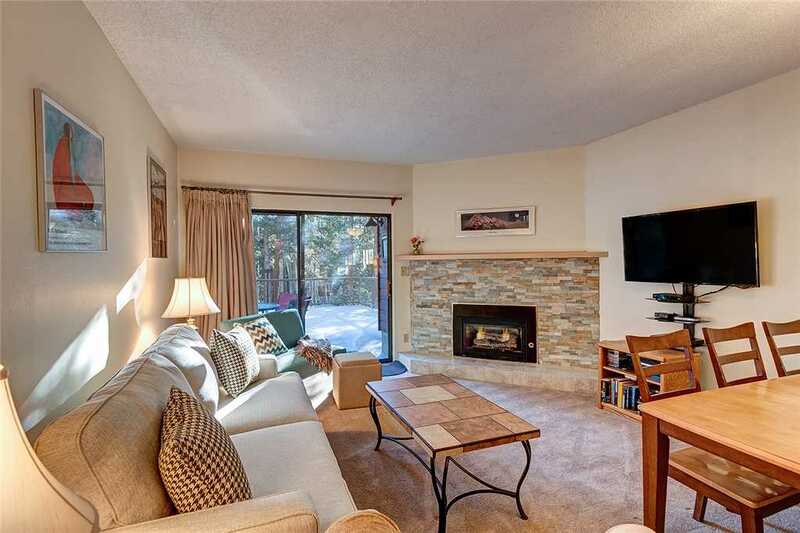 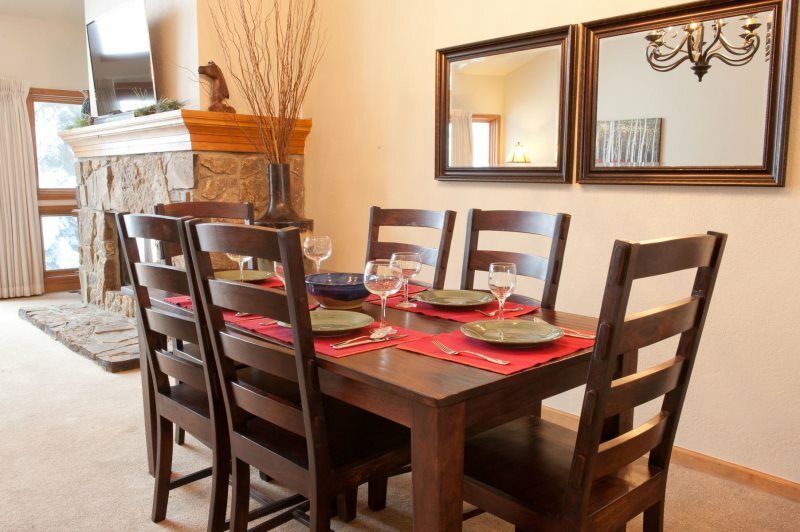 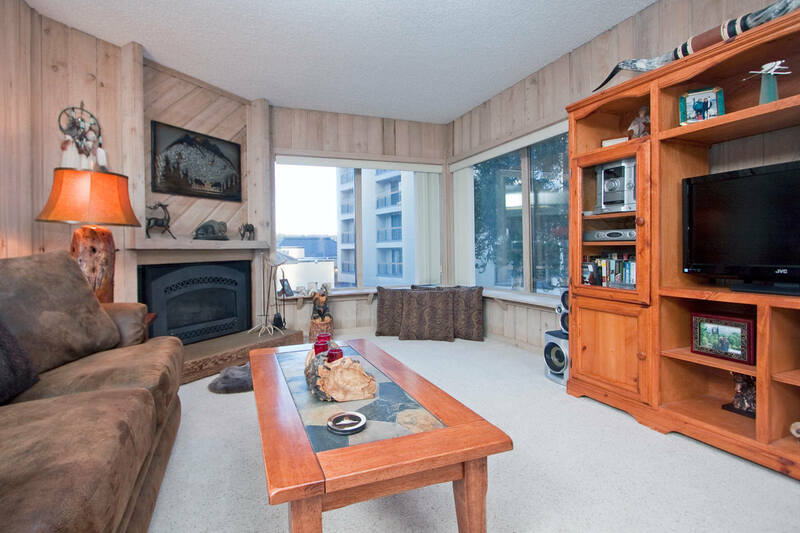 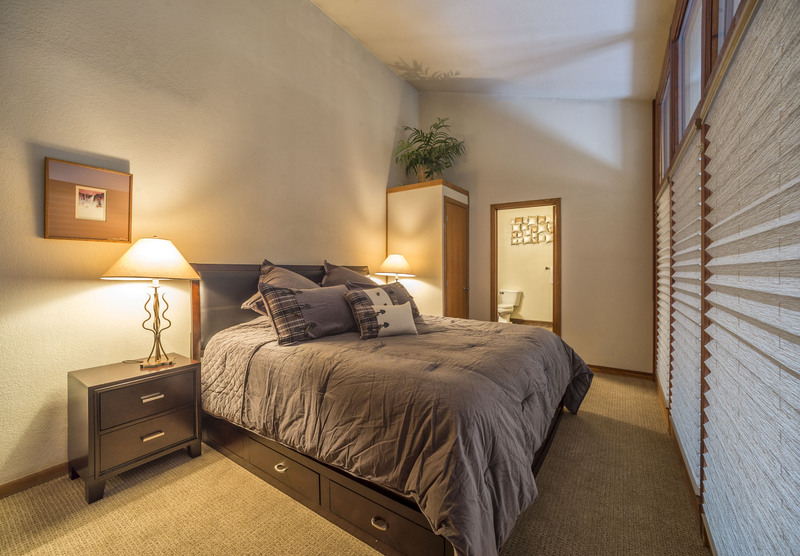 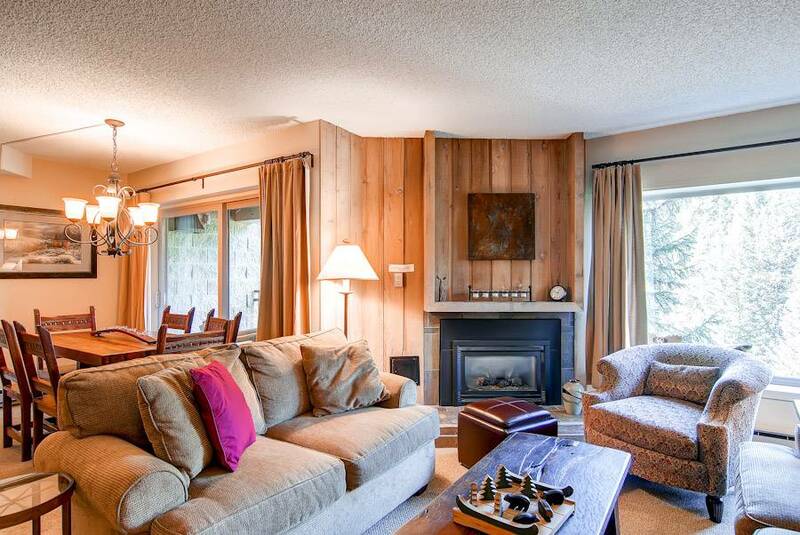 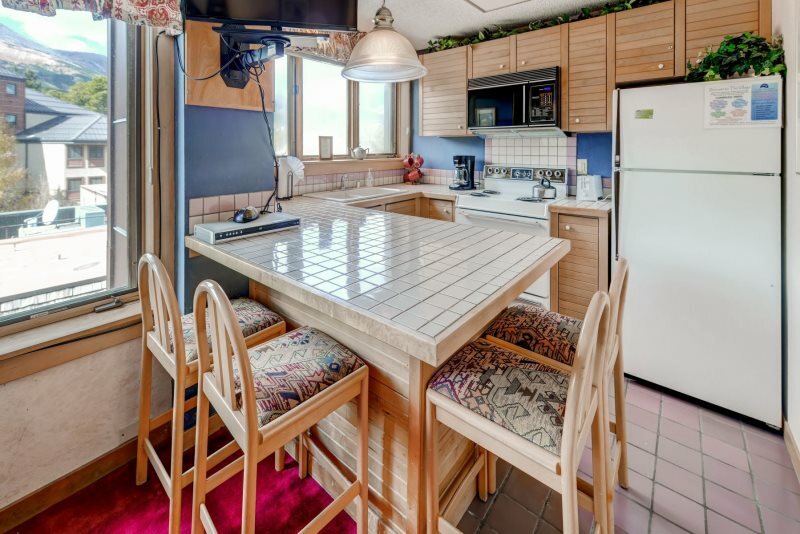 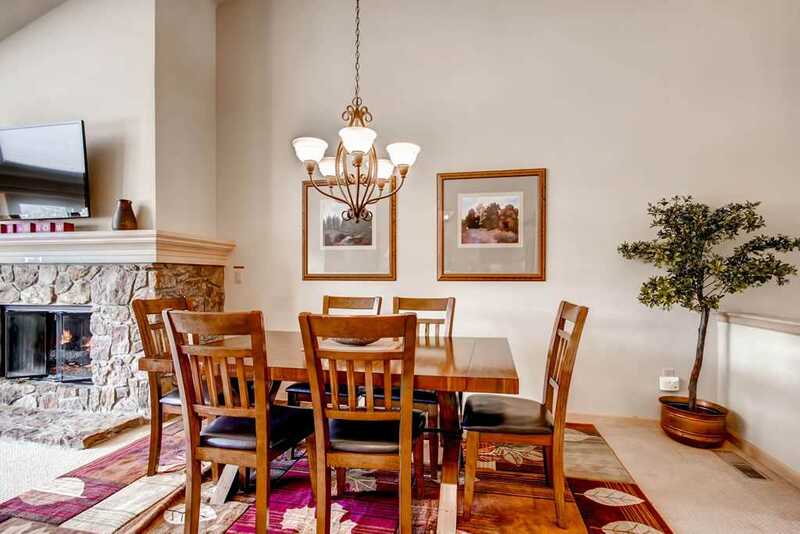 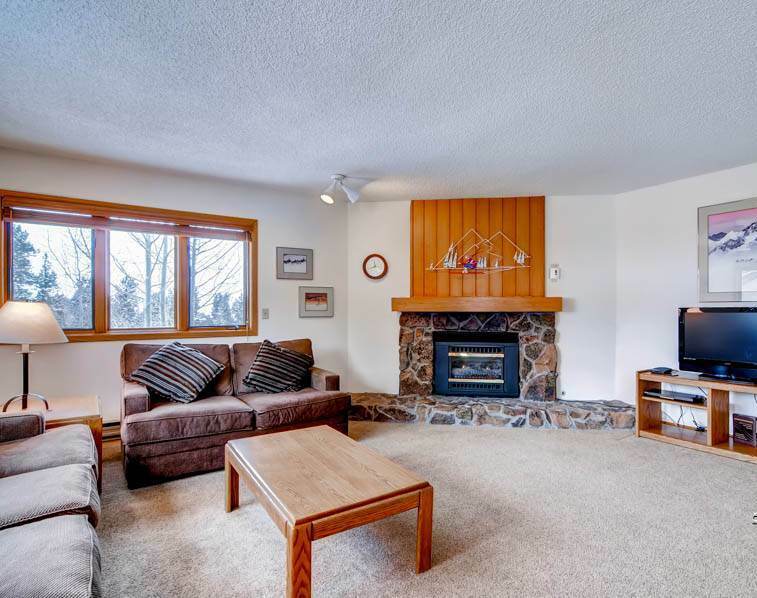 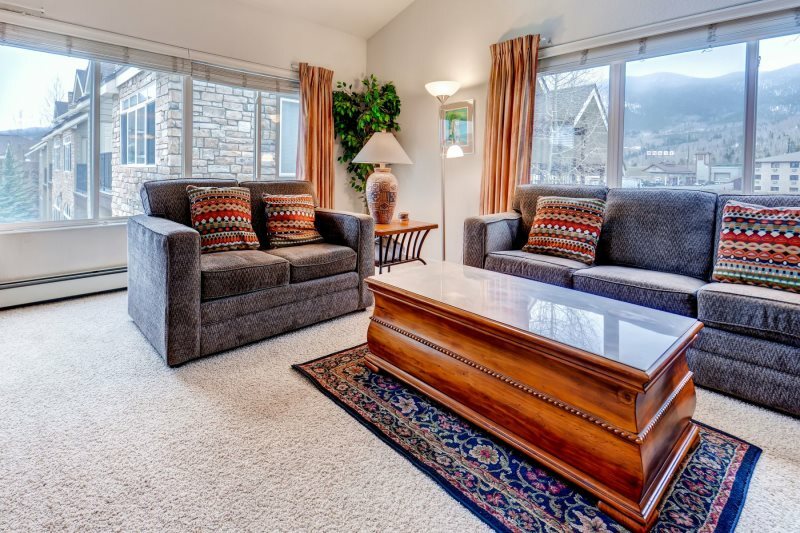 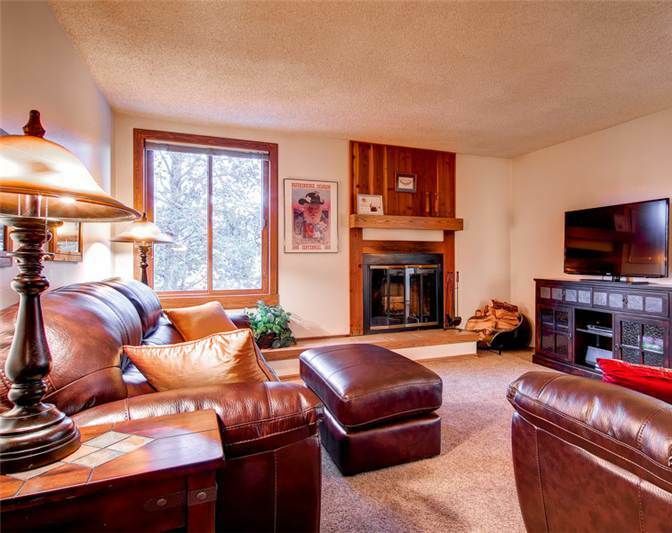 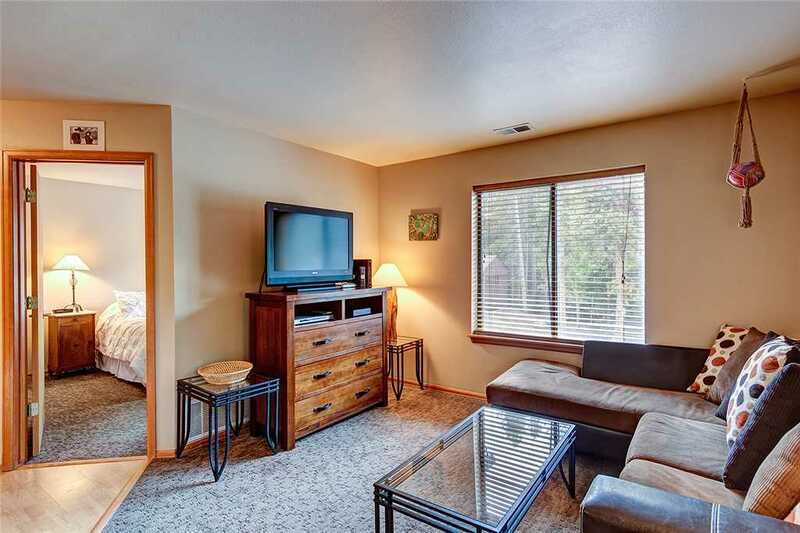 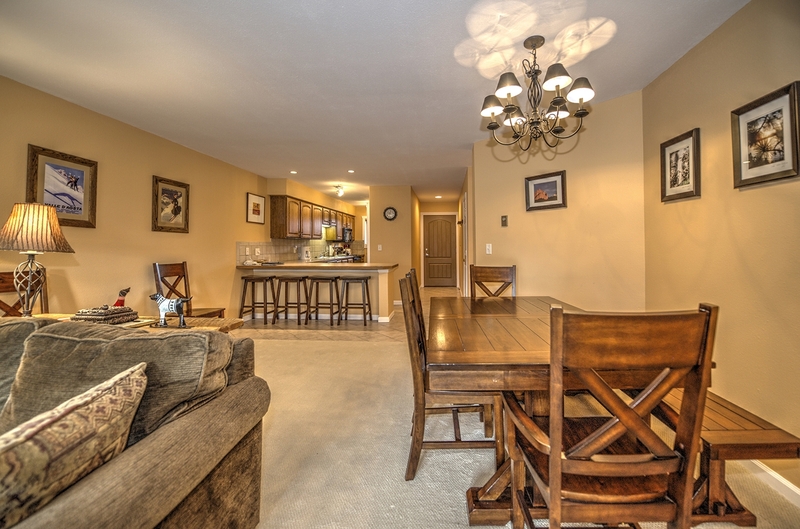 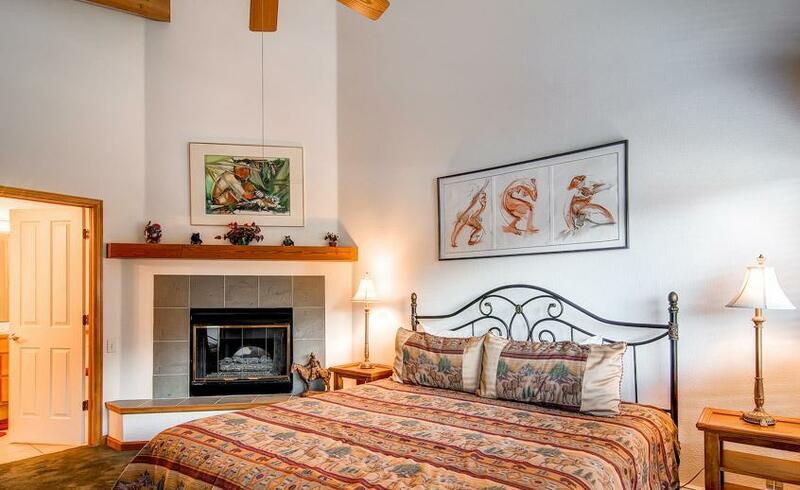 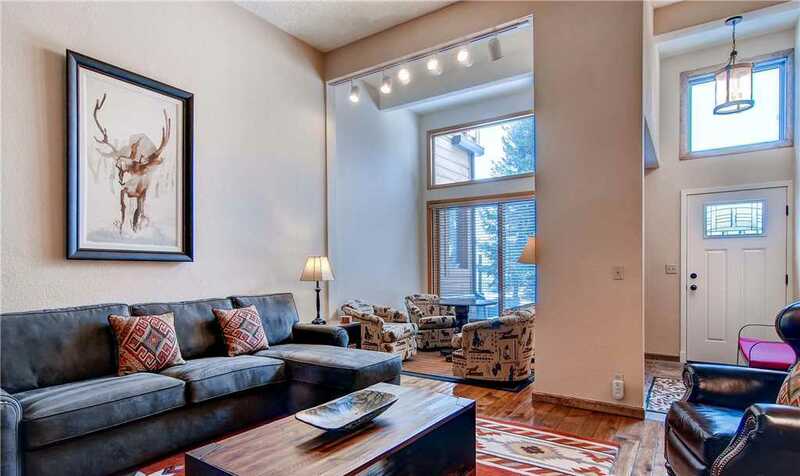 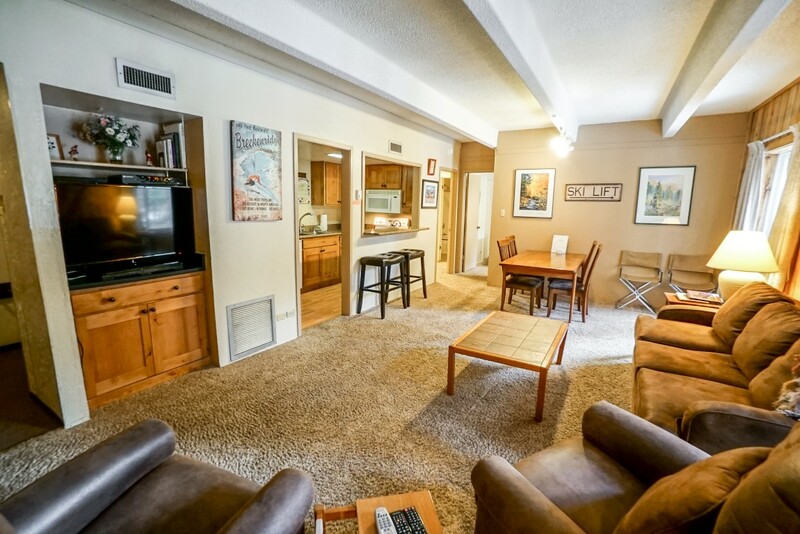 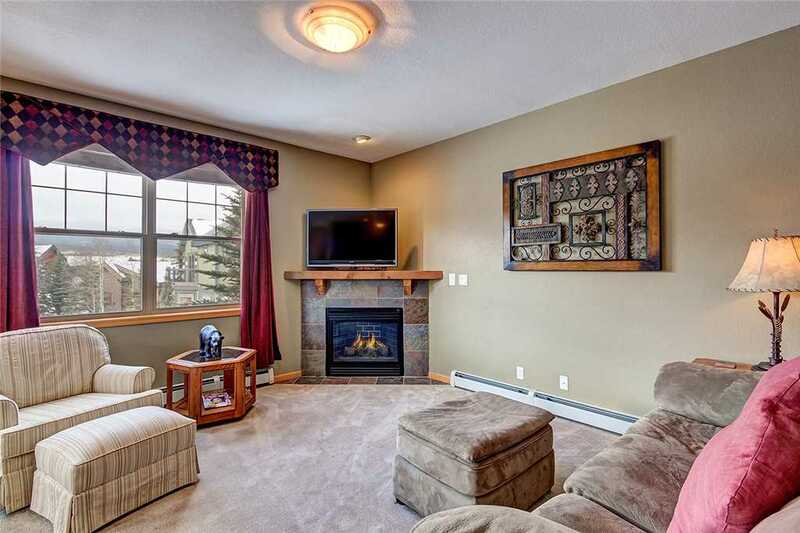 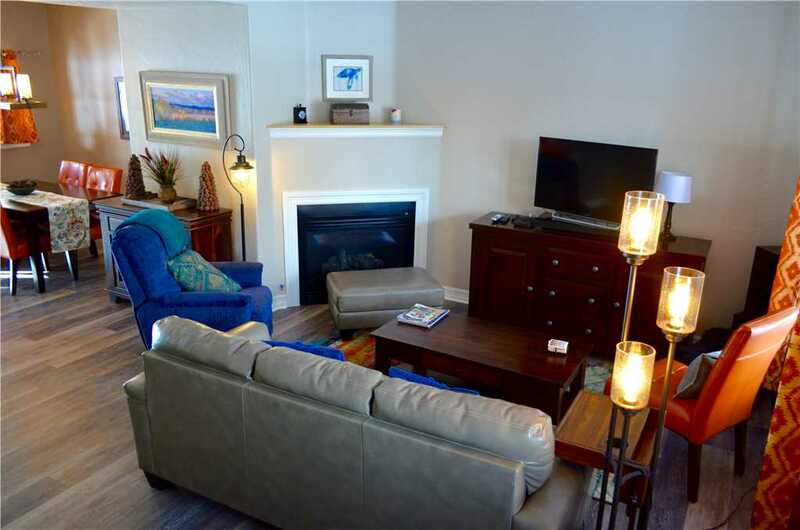 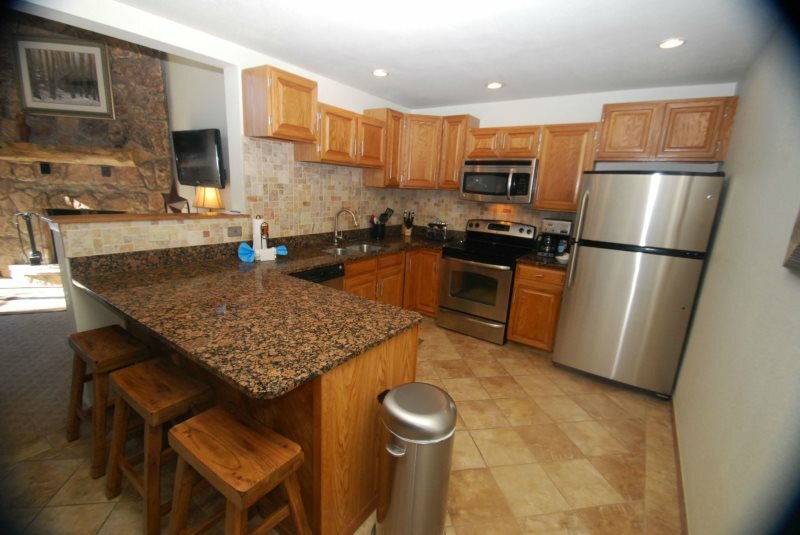 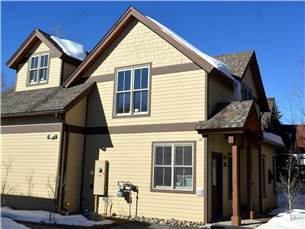 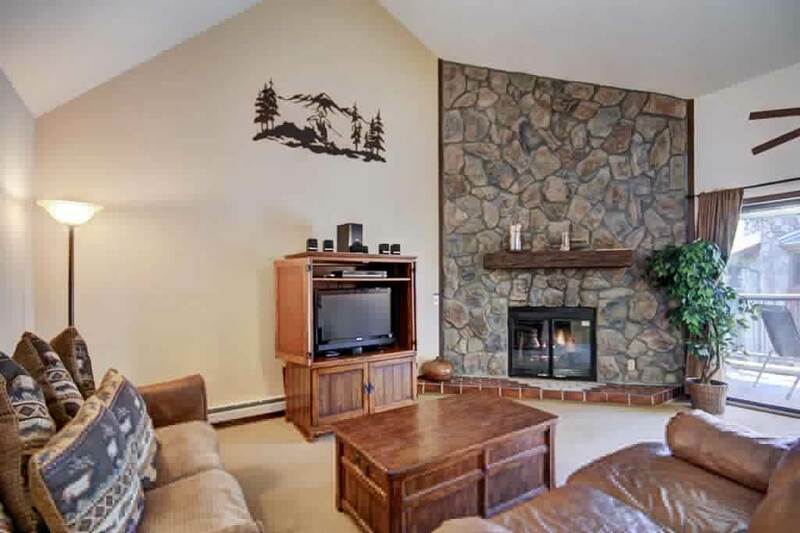 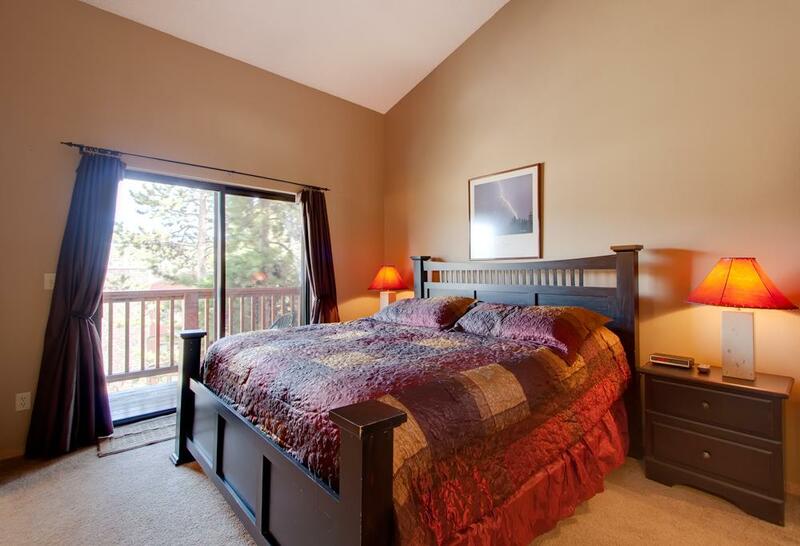 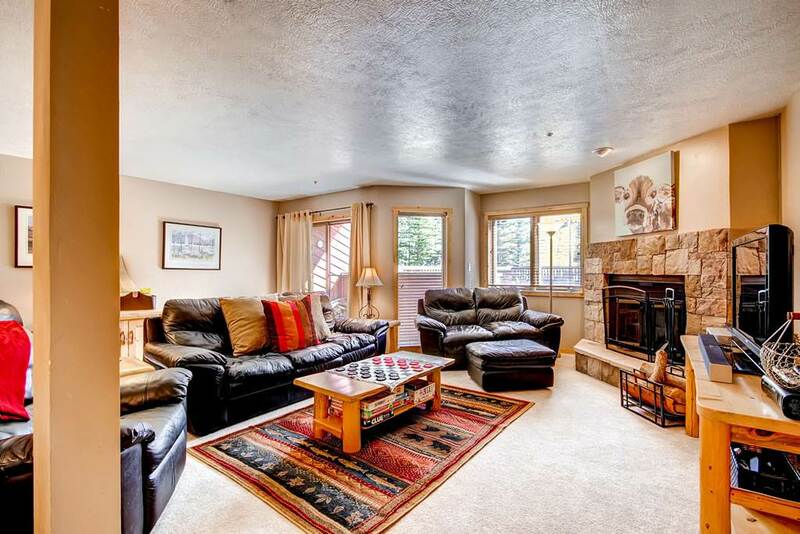 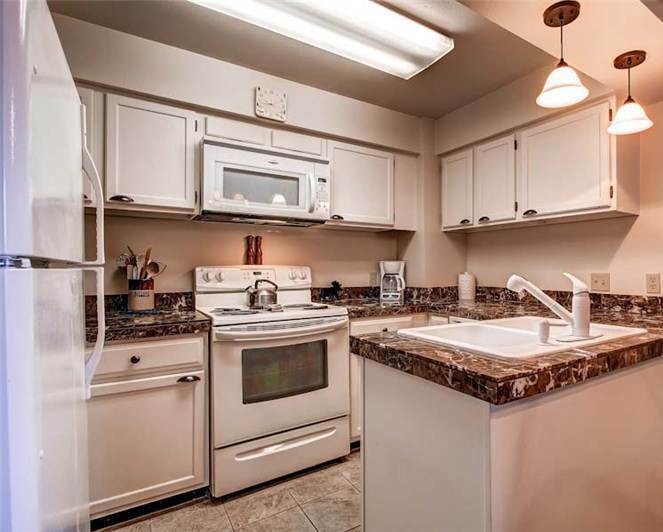 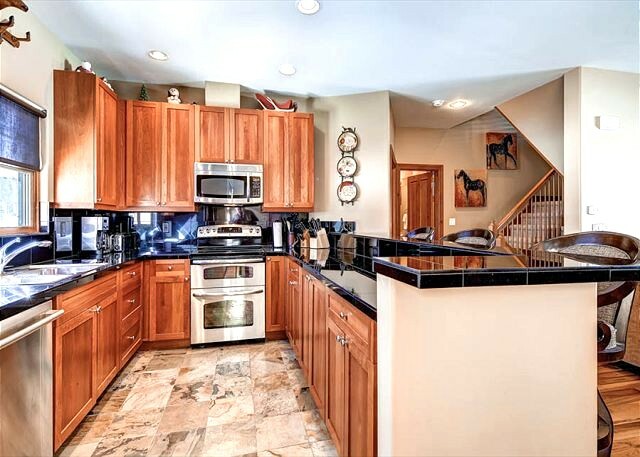 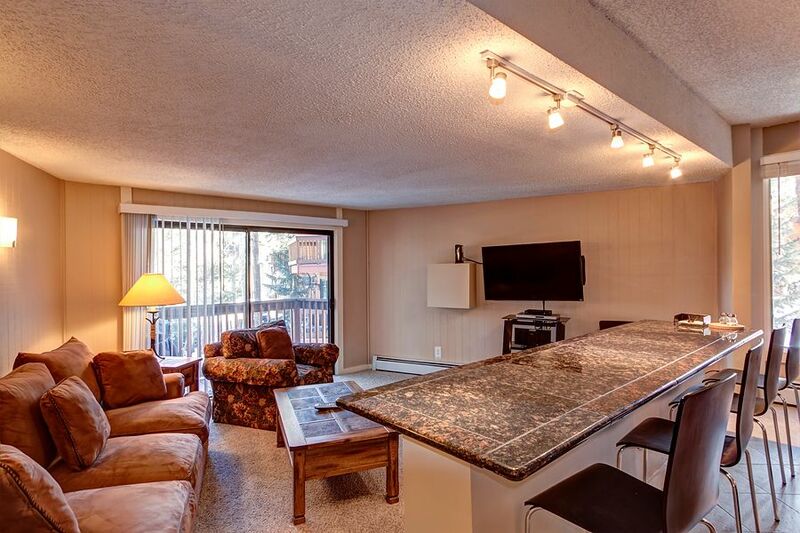 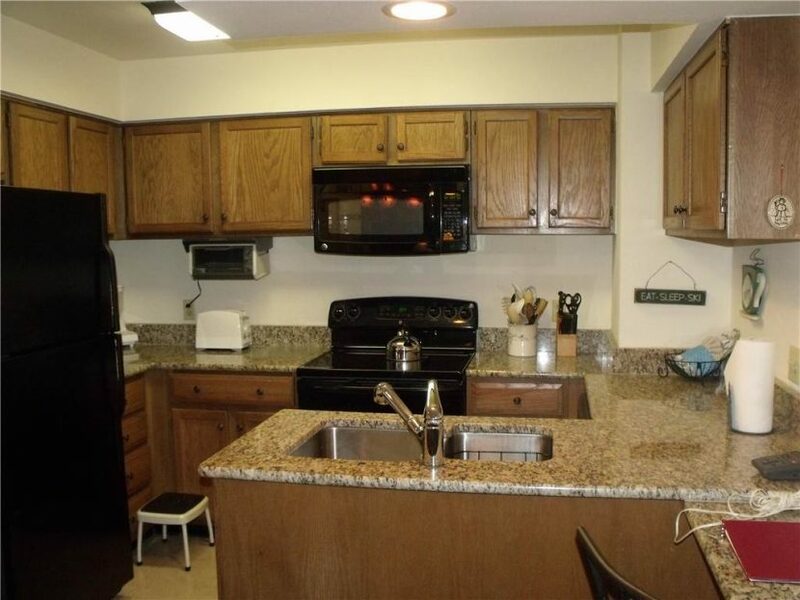 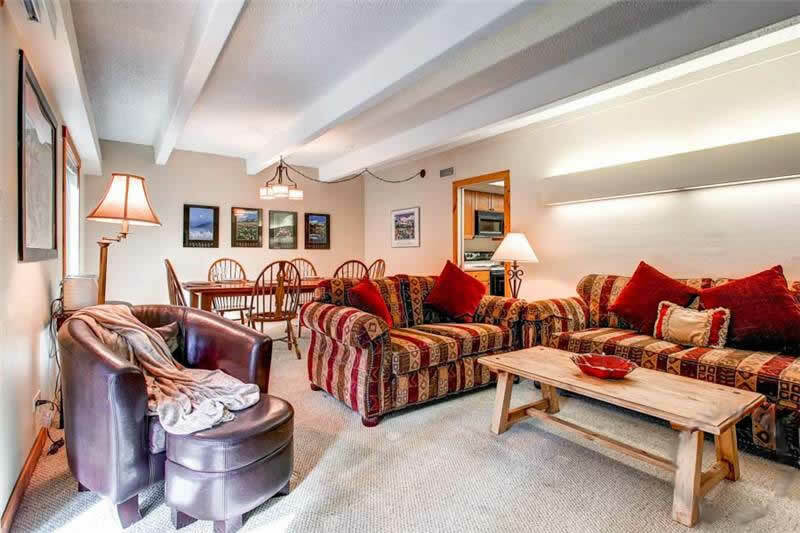 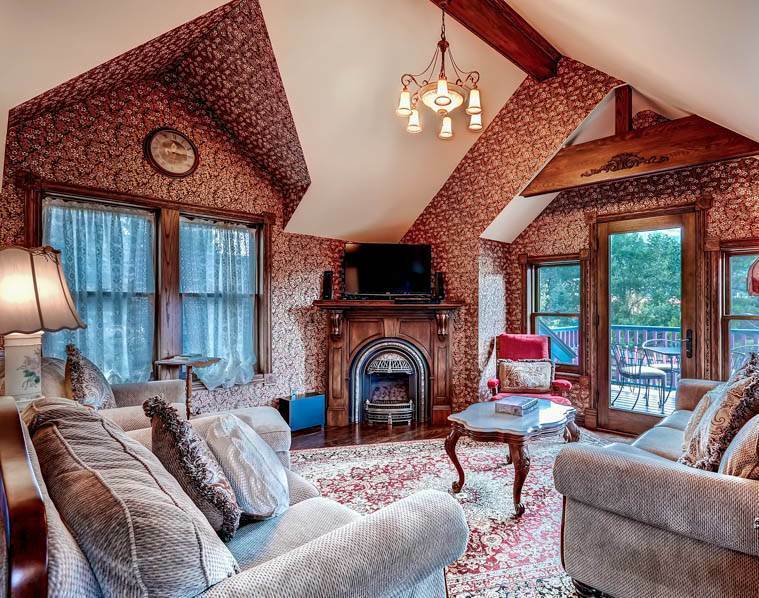 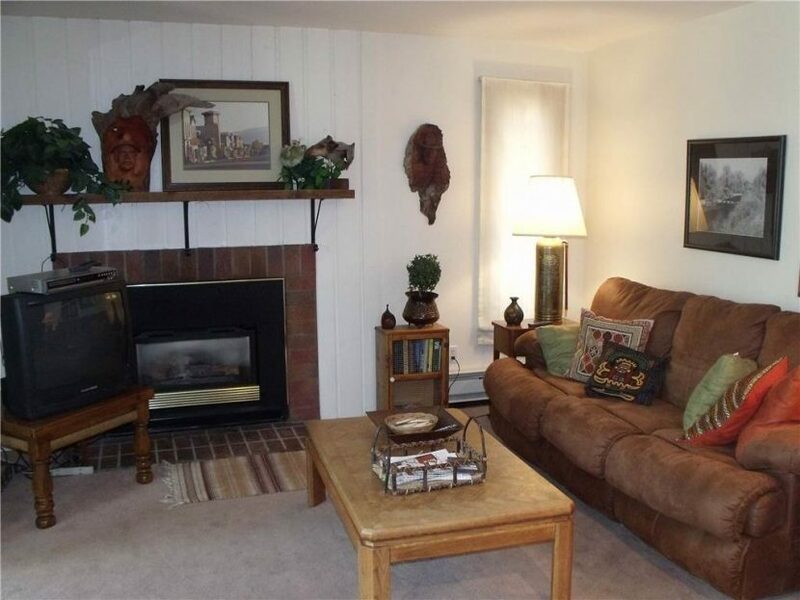 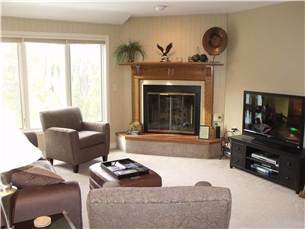 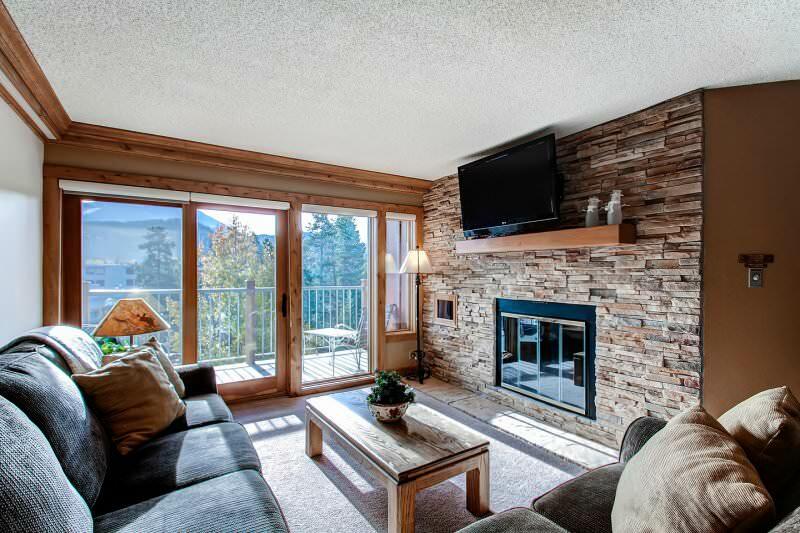 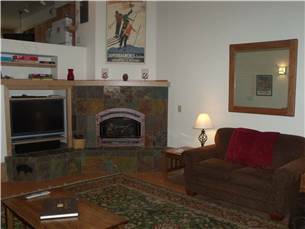 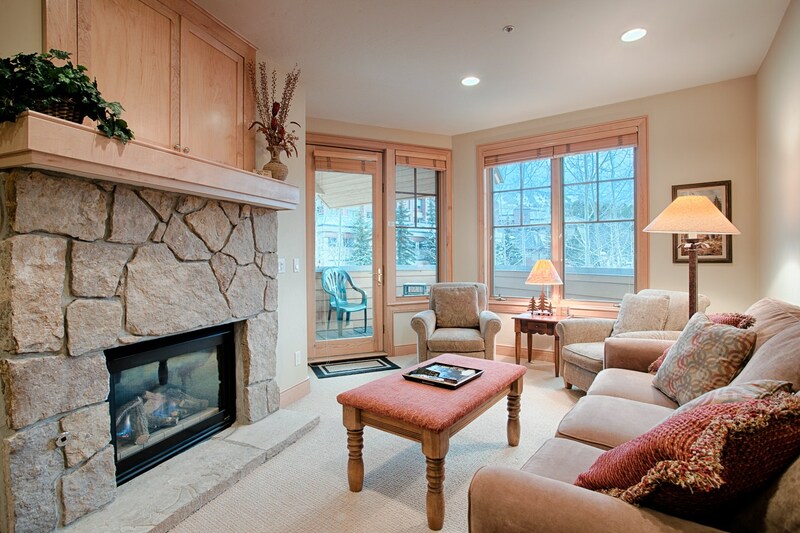 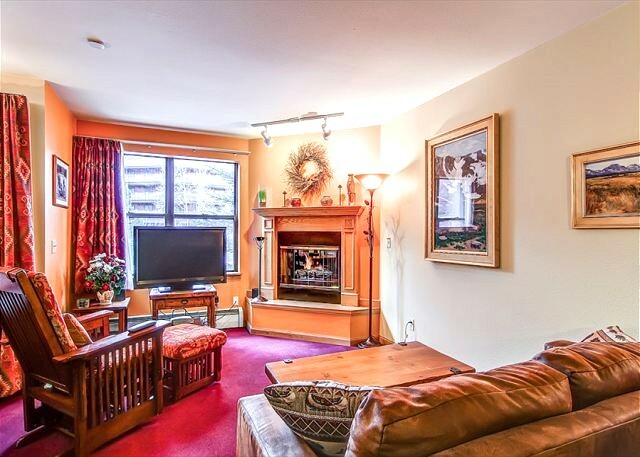 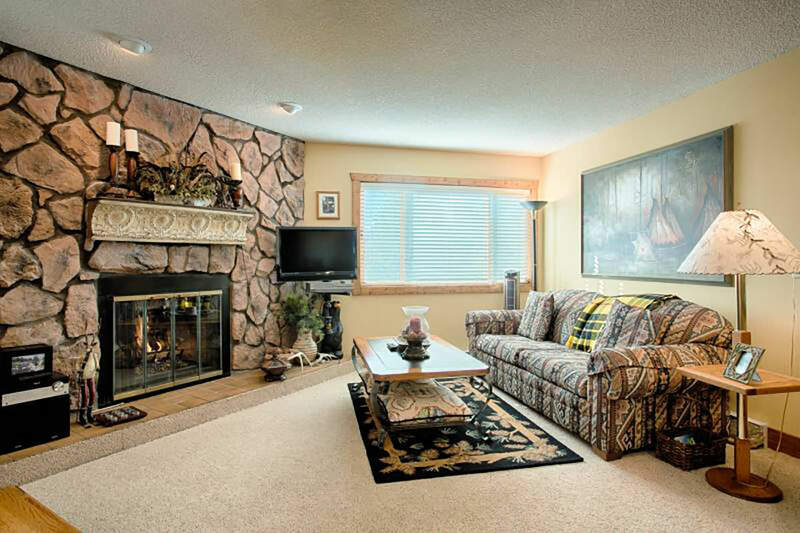 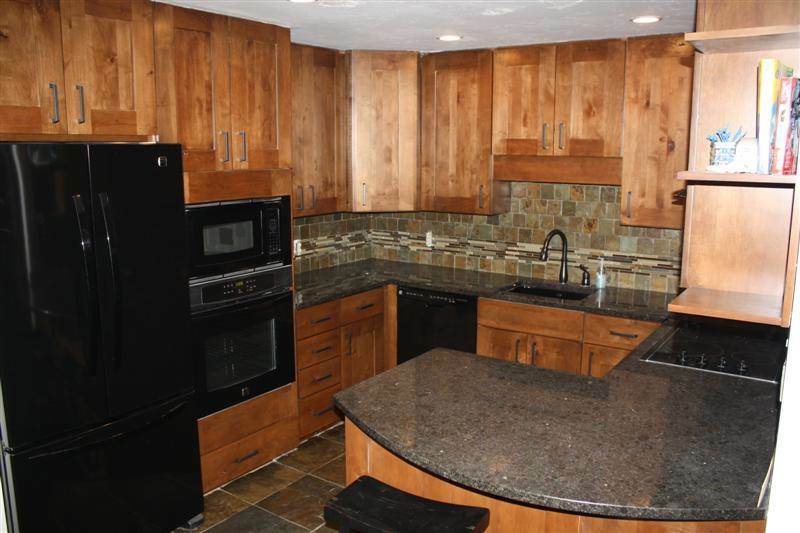 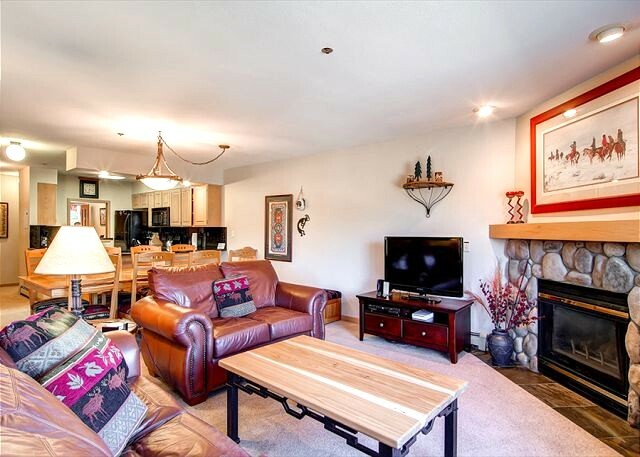 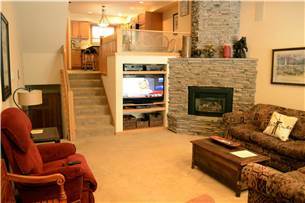 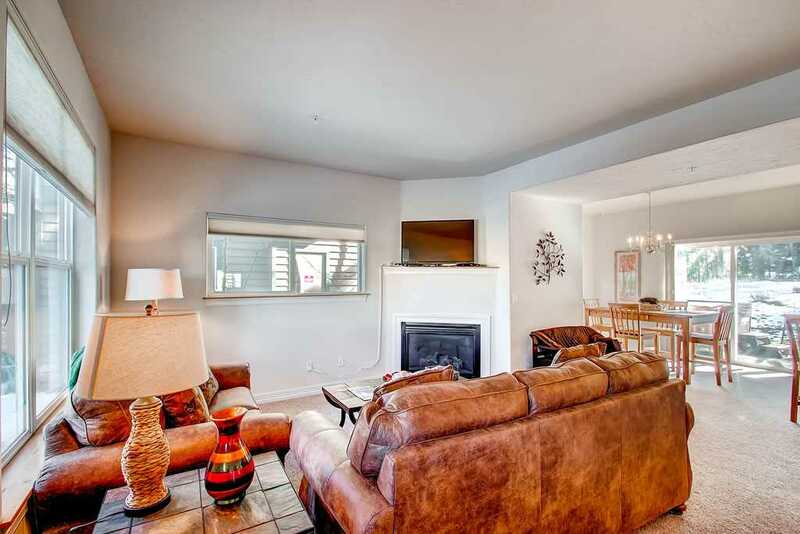 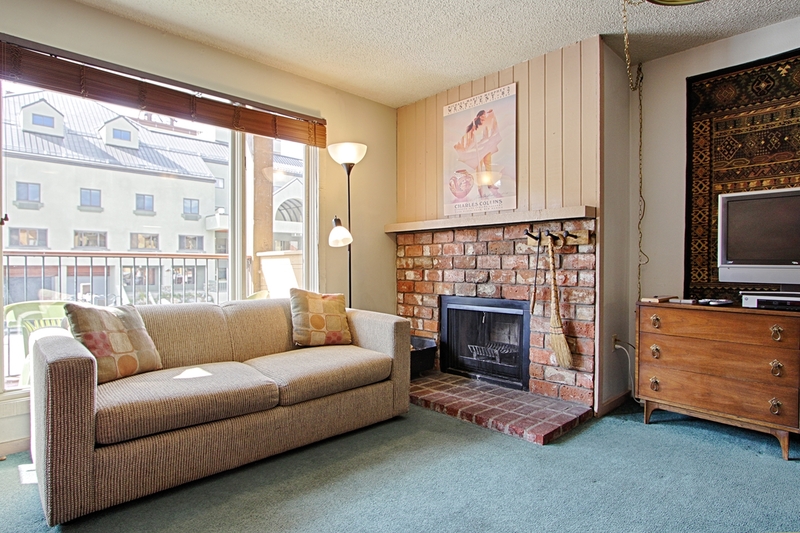 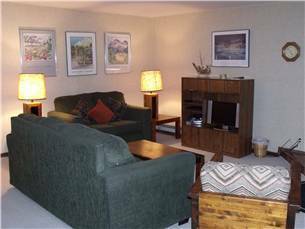 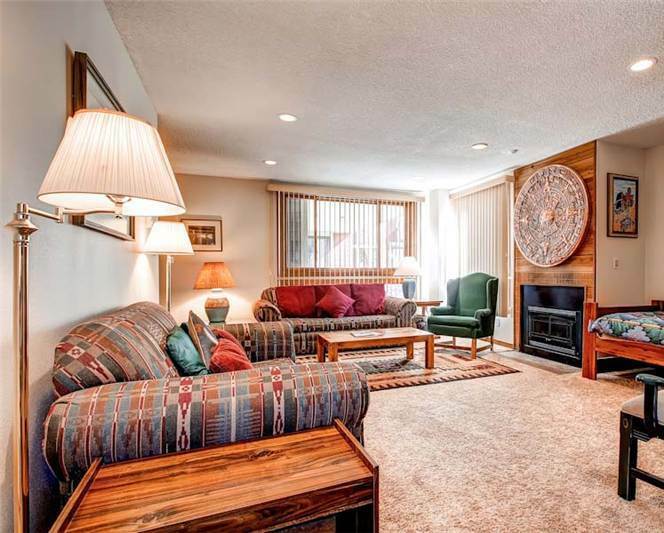 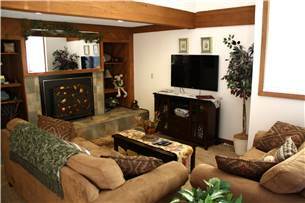 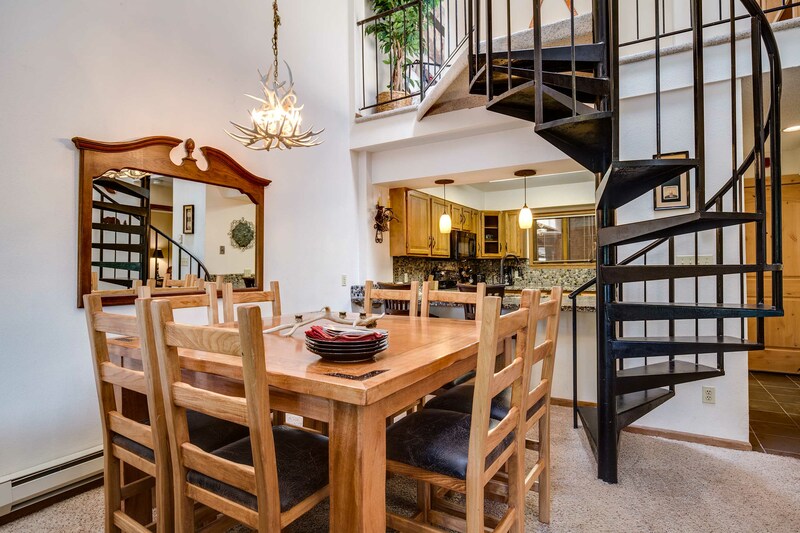 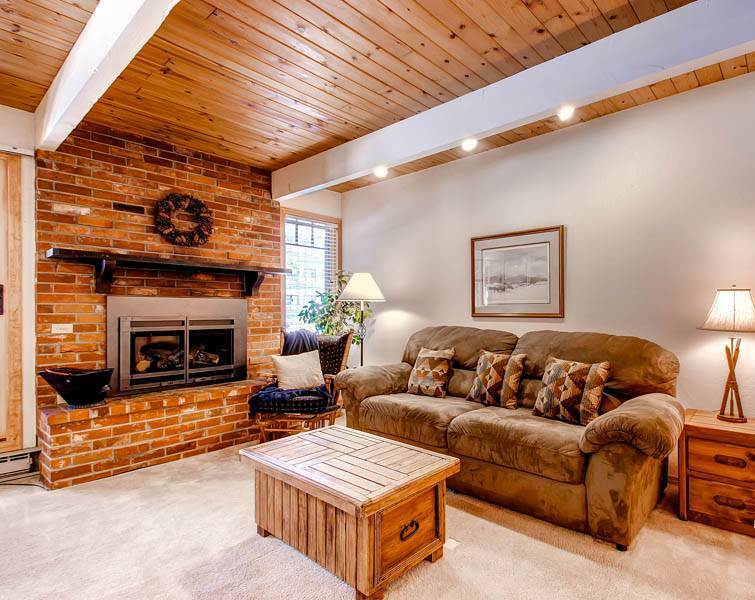 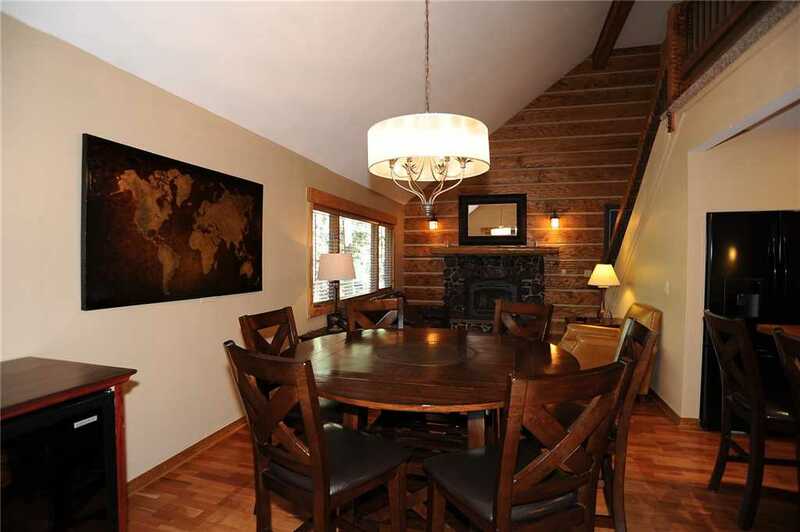 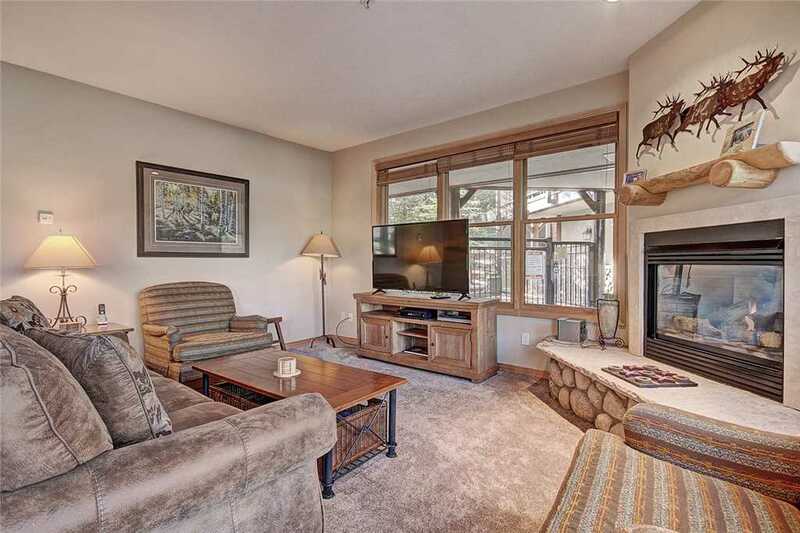 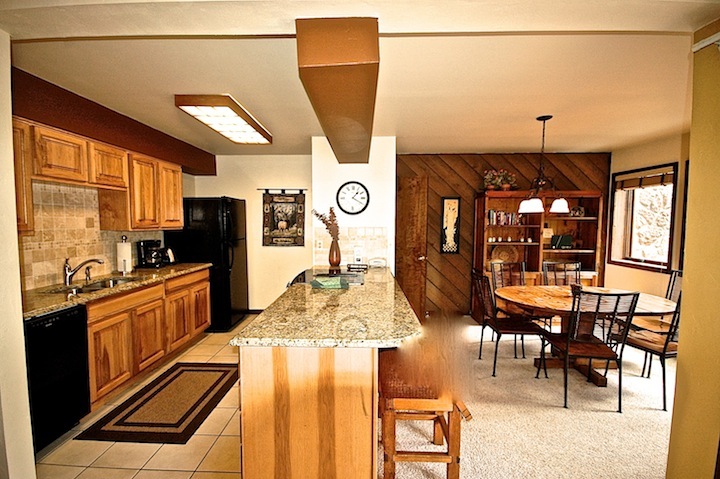 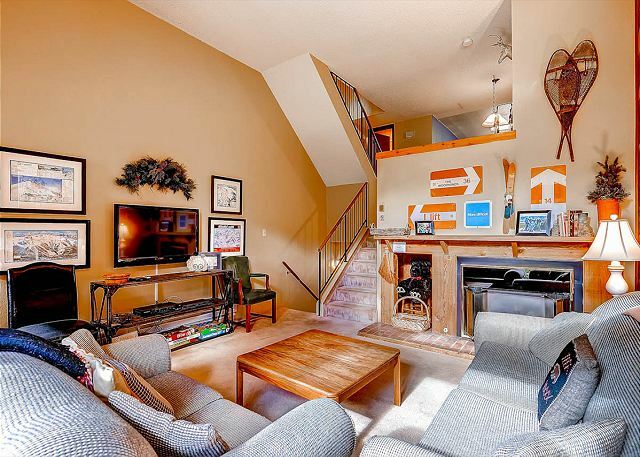 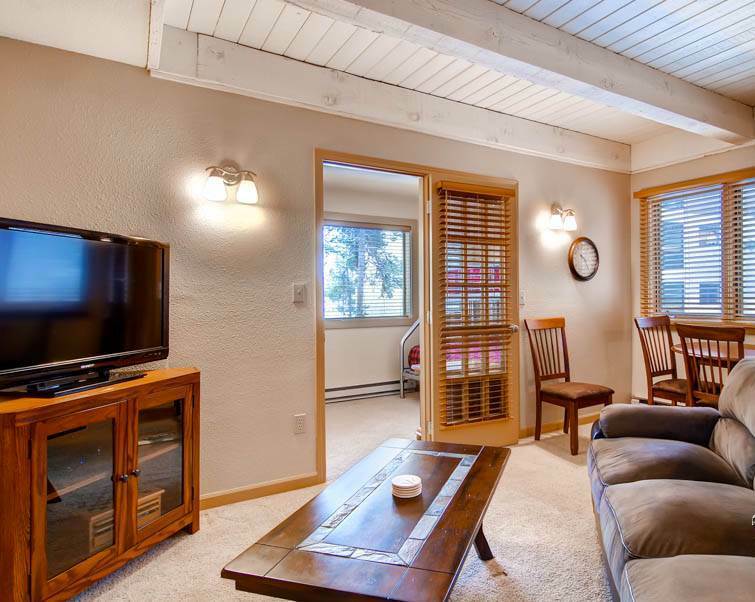 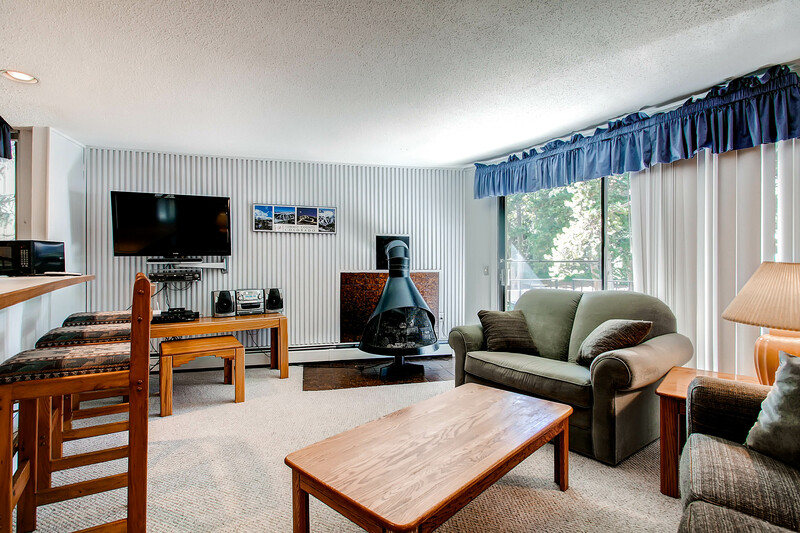 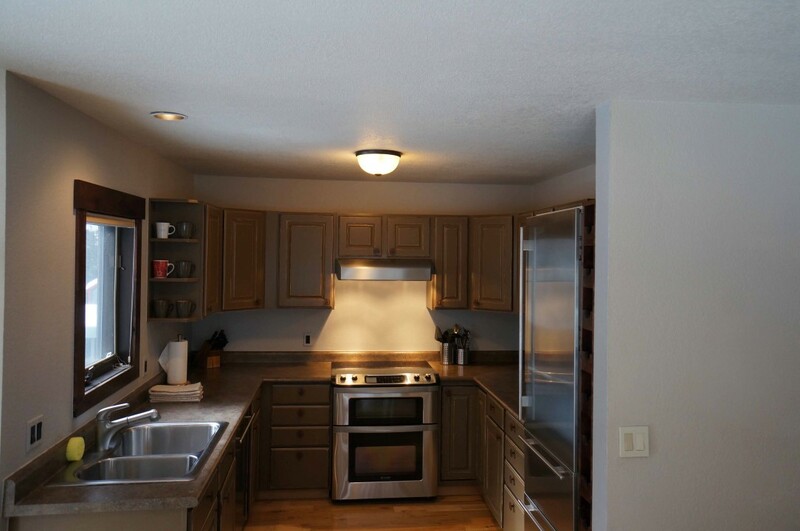 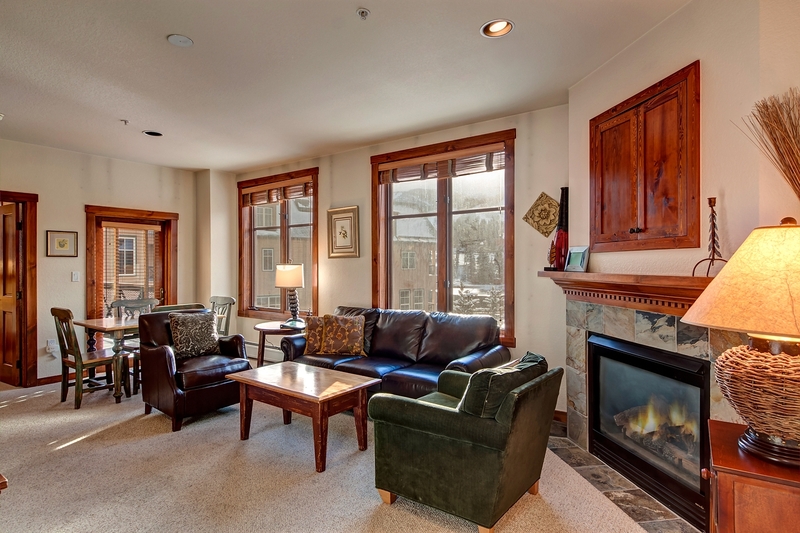 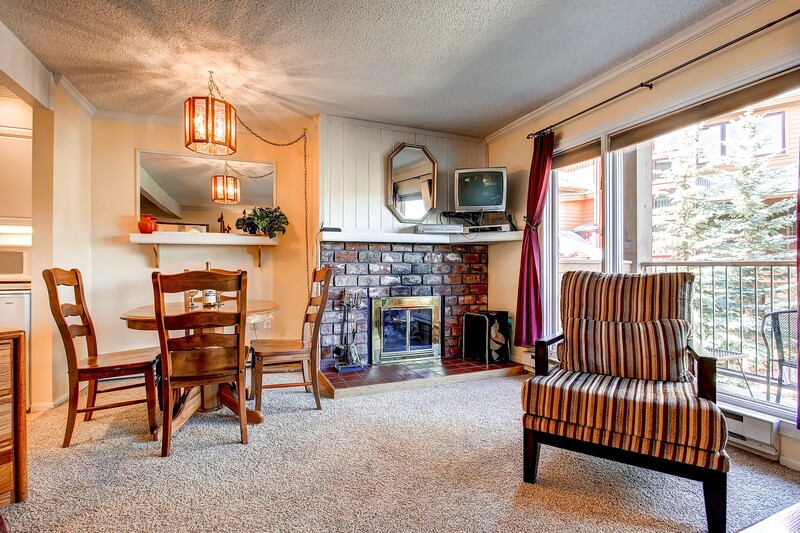 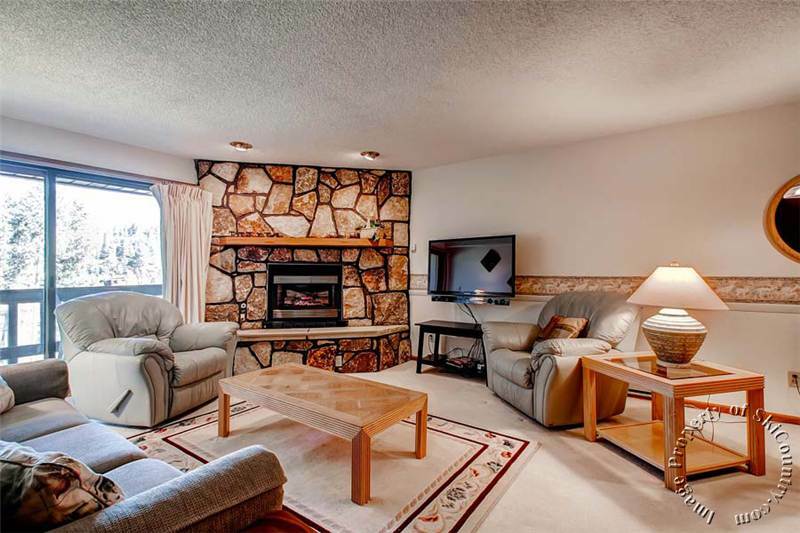 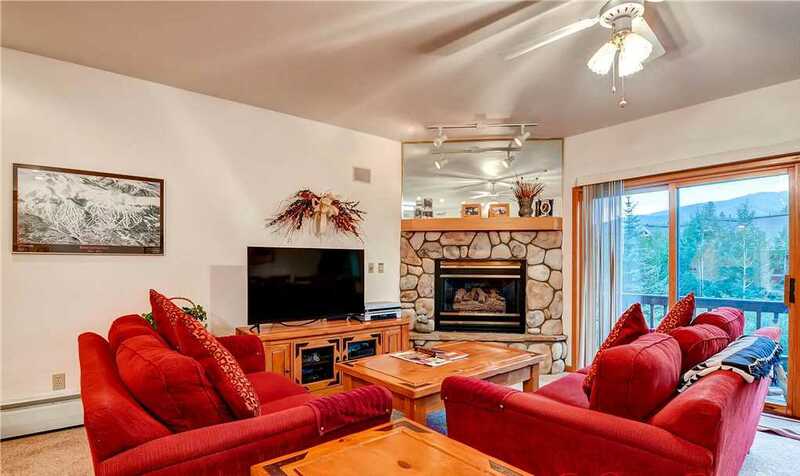 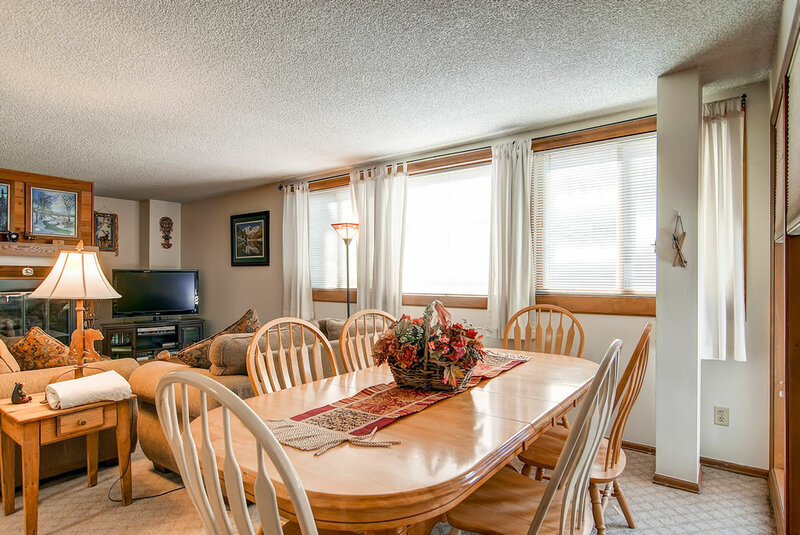 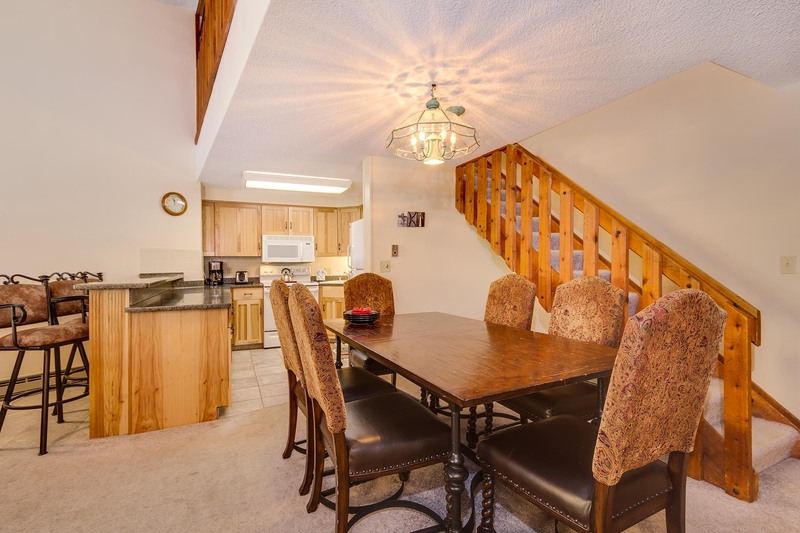 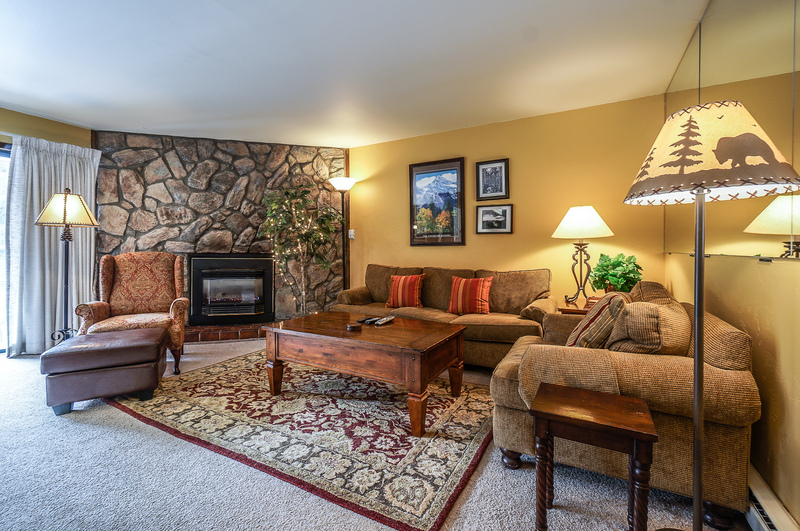 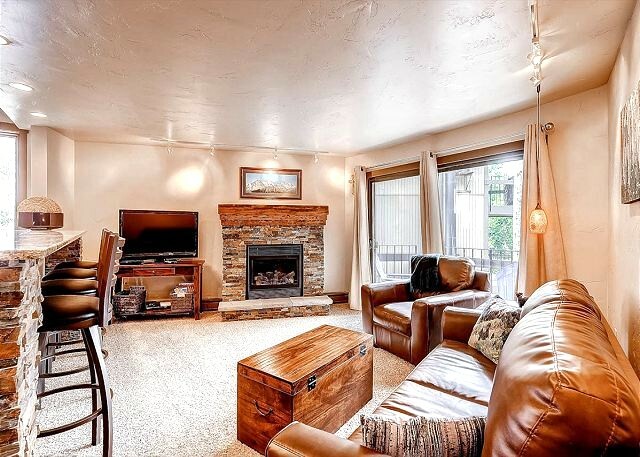 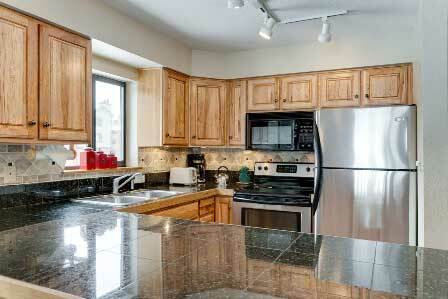 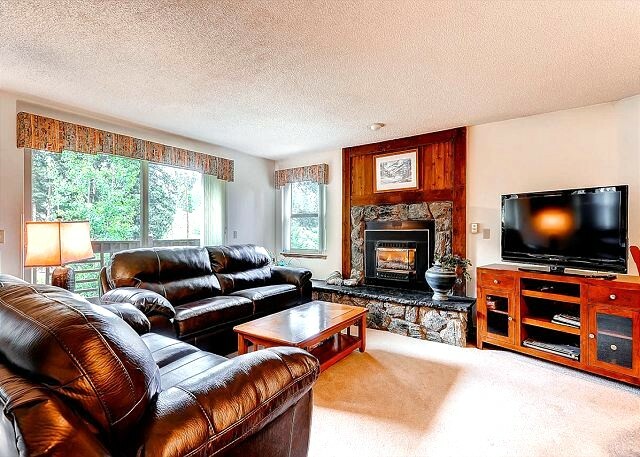 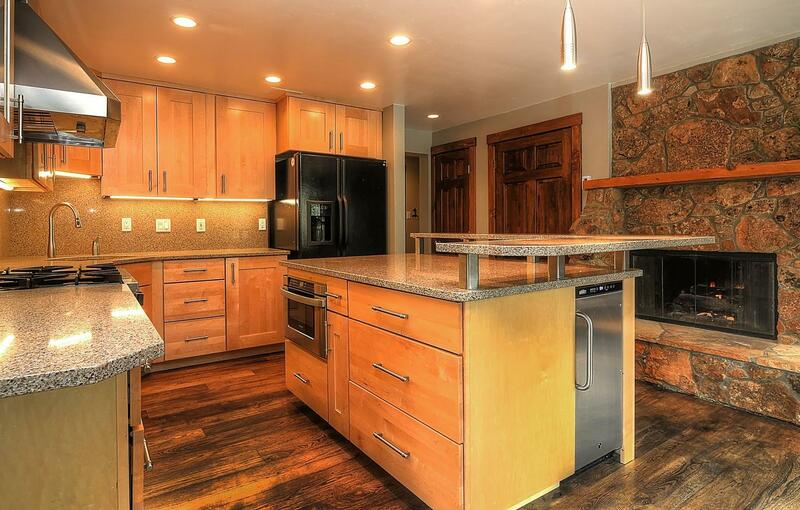 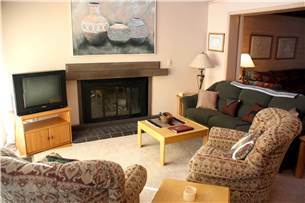 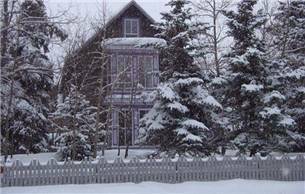 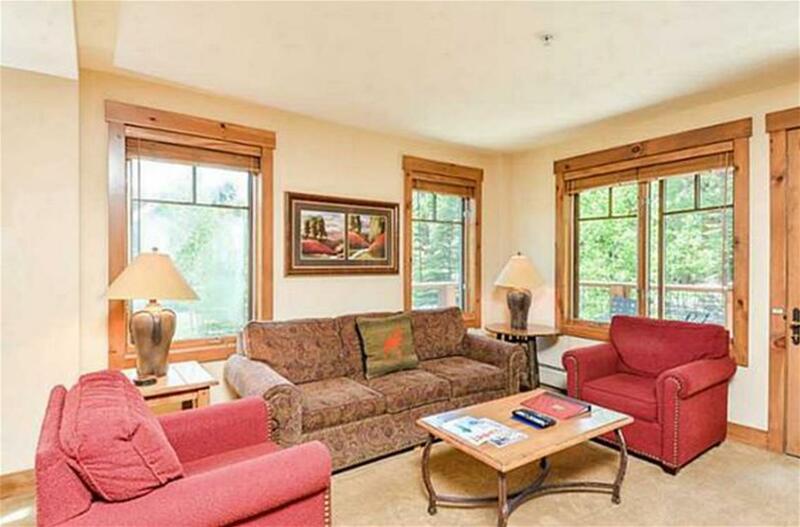 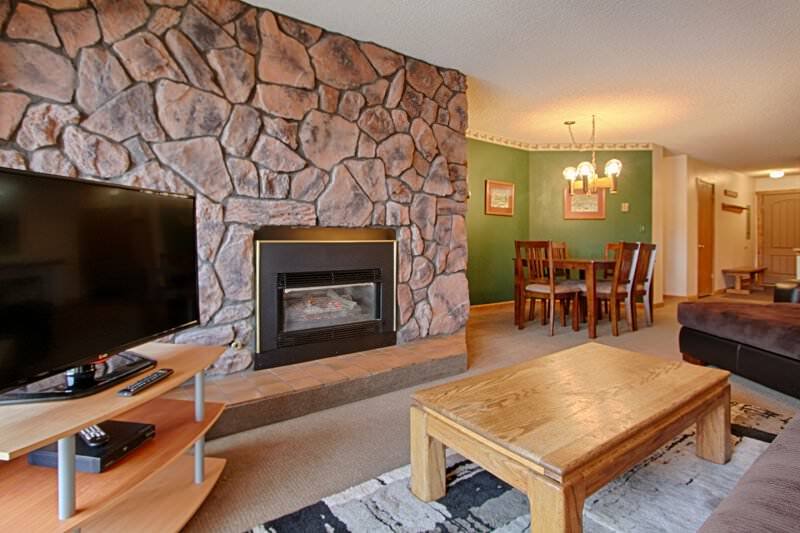 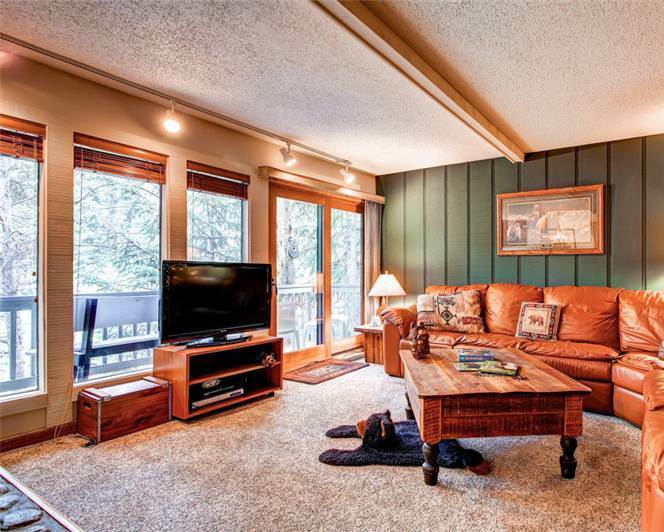 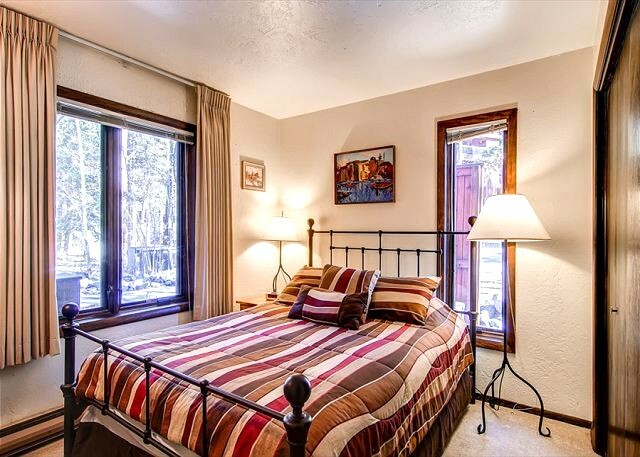 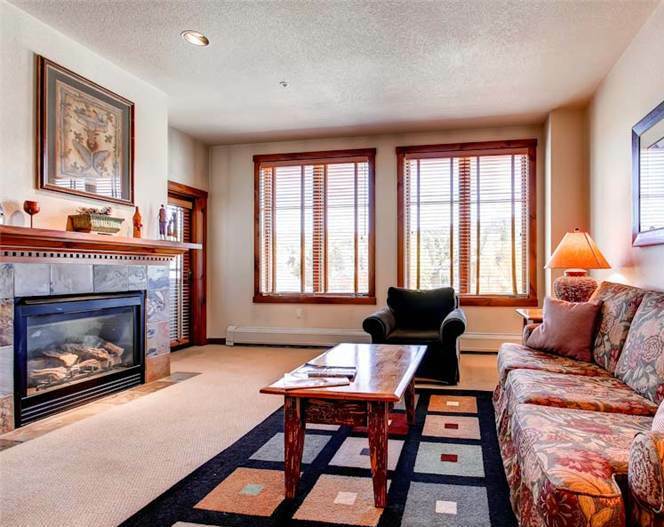 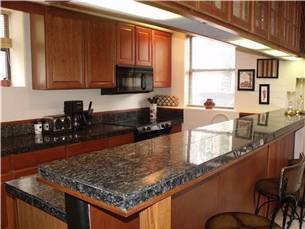 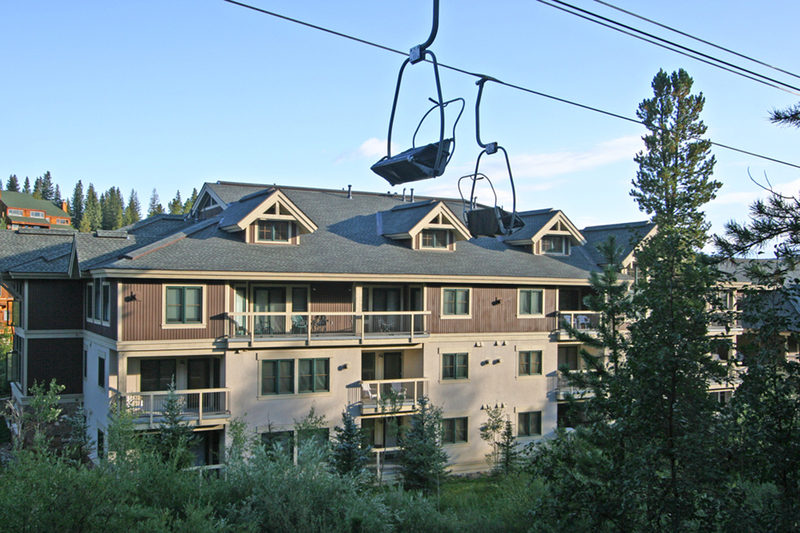 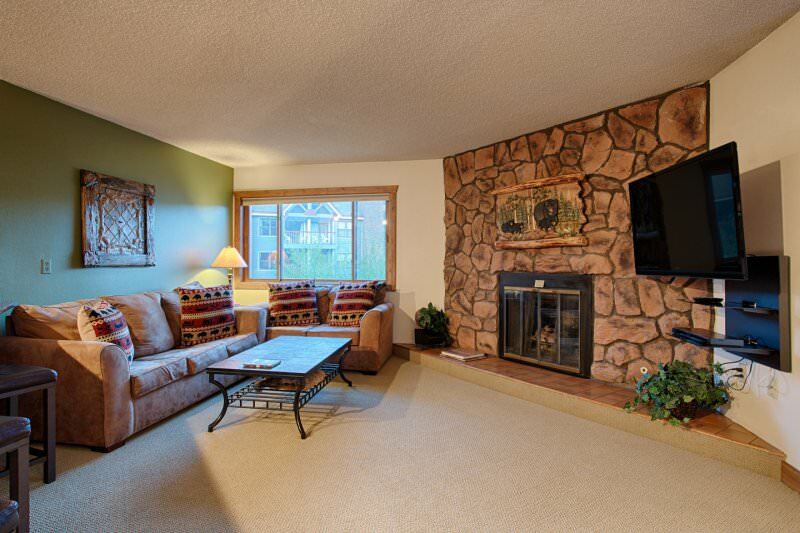 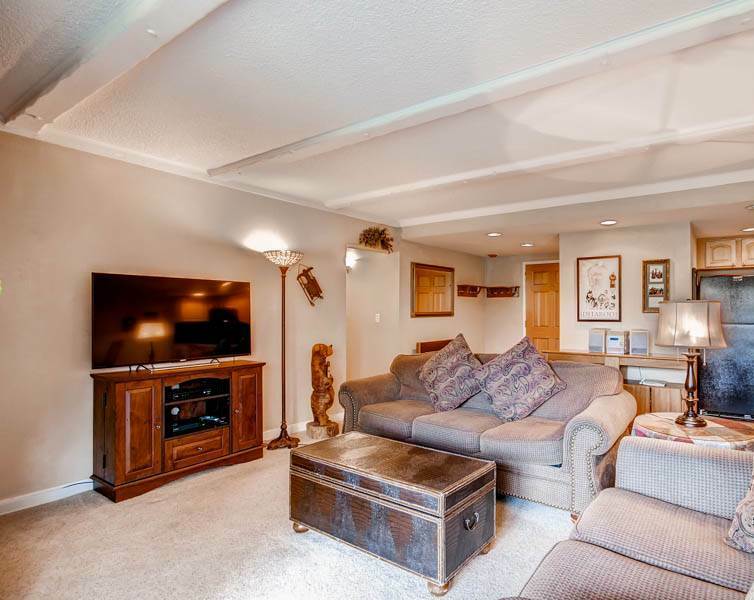 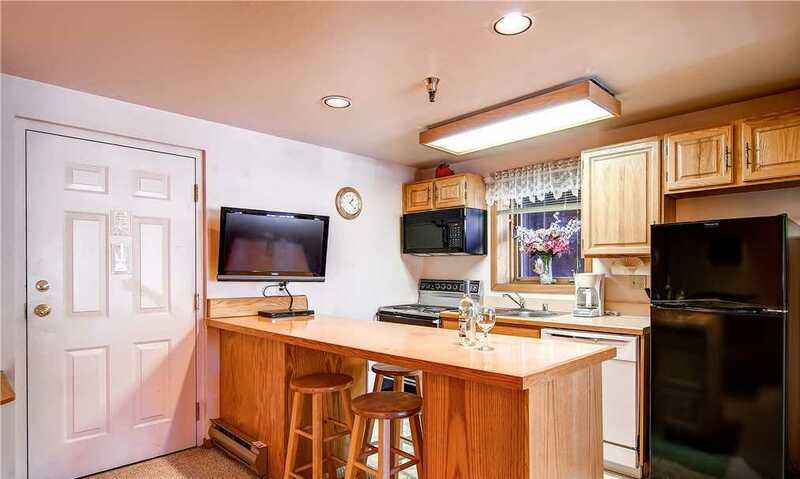 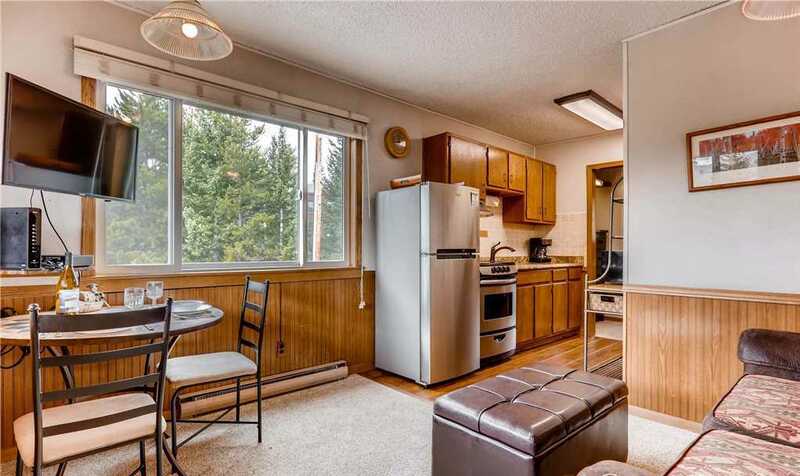 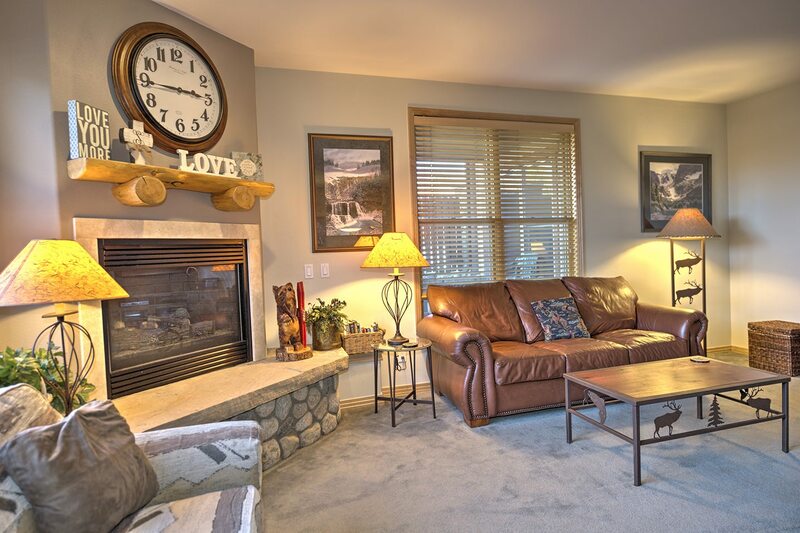 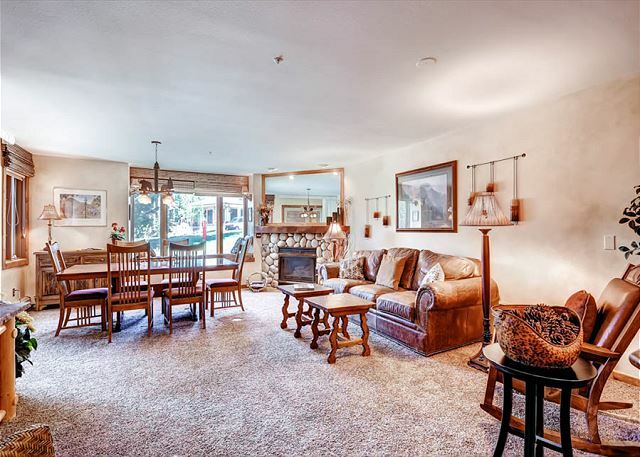 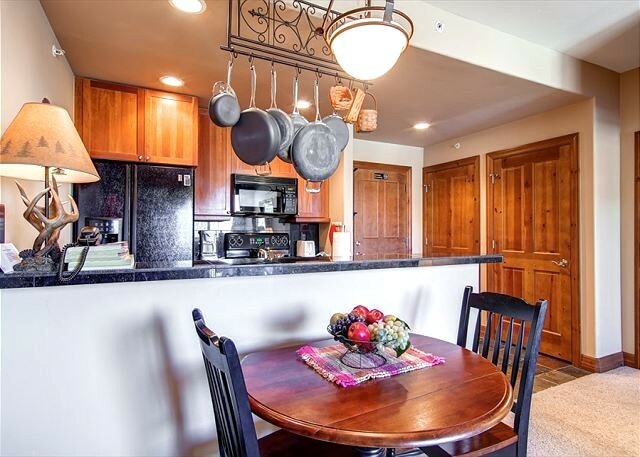 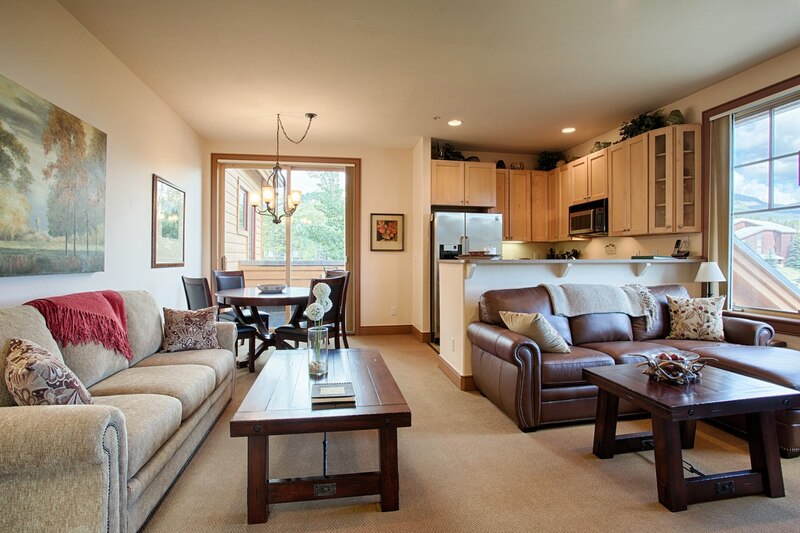 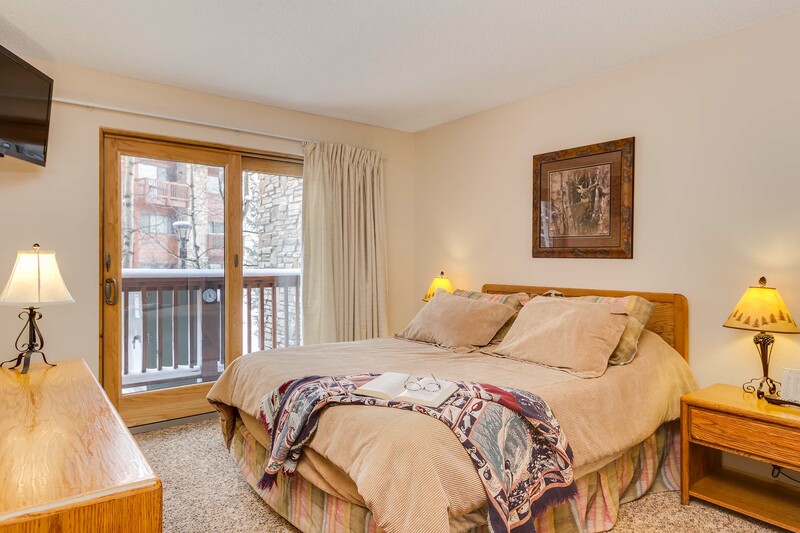 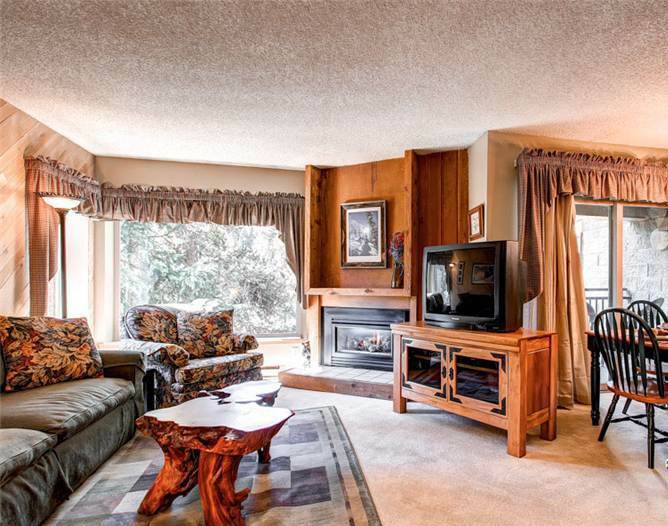 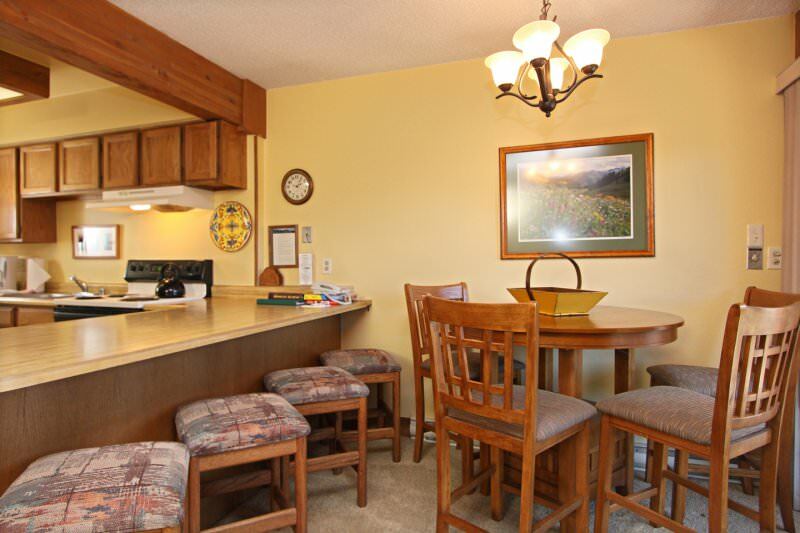 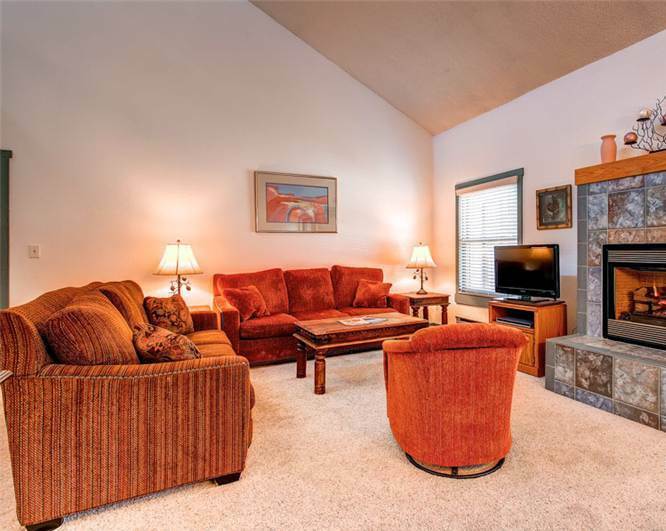 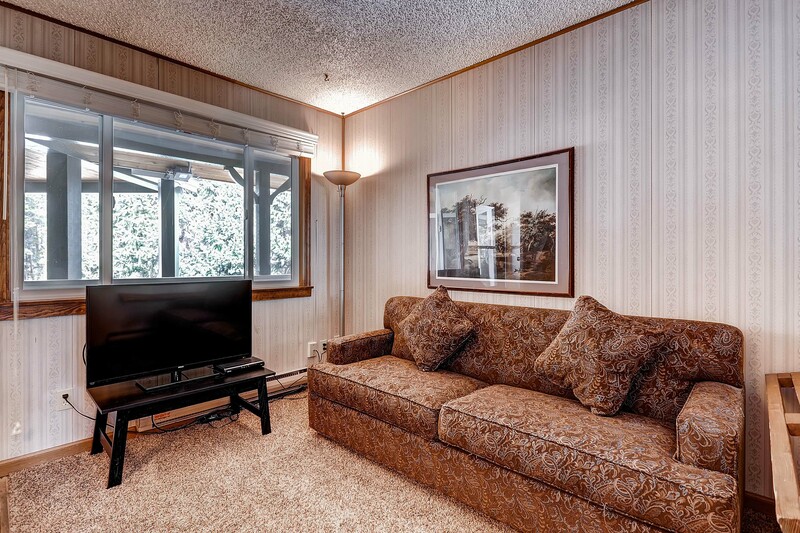 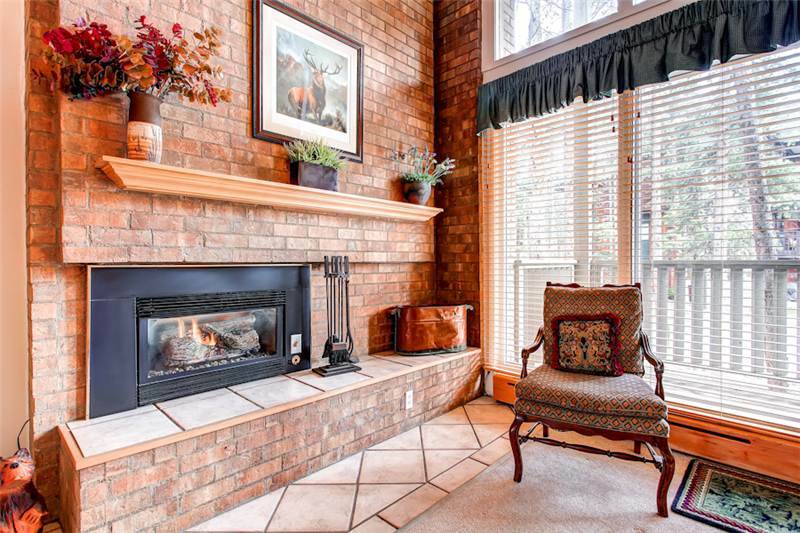 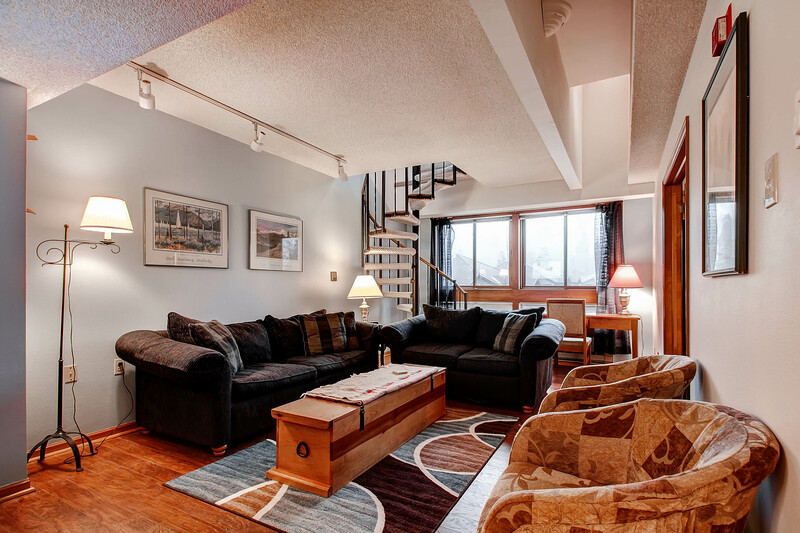 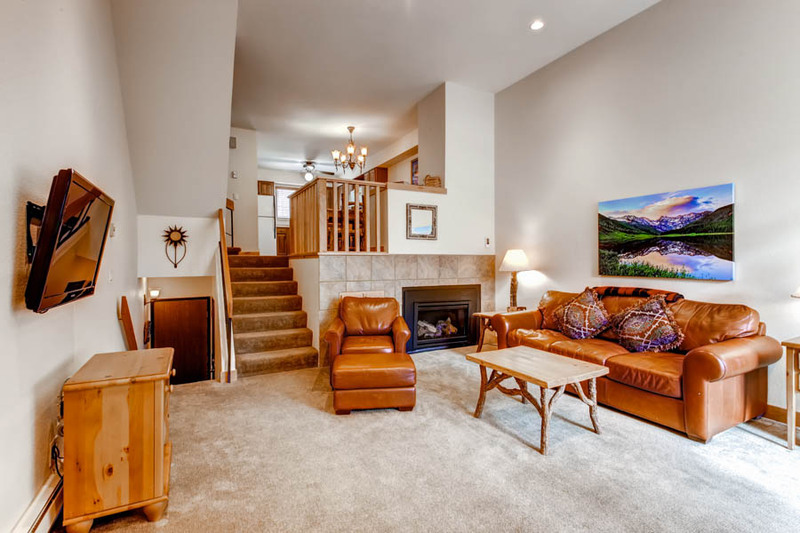 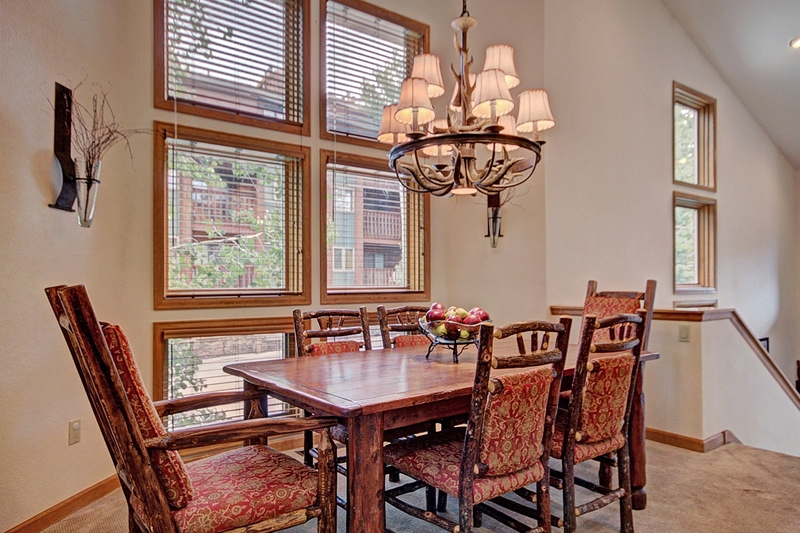 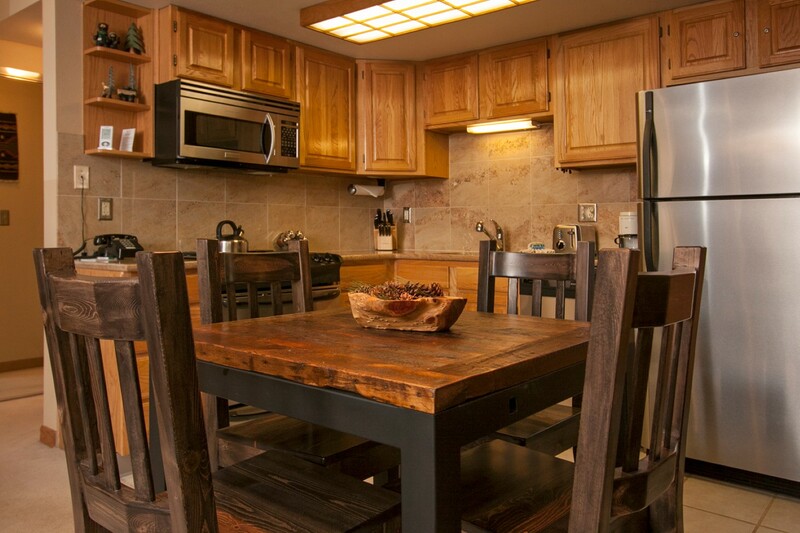 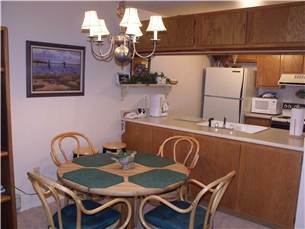 This three bedroom townhome is close to both Peak 9 and Main Street. 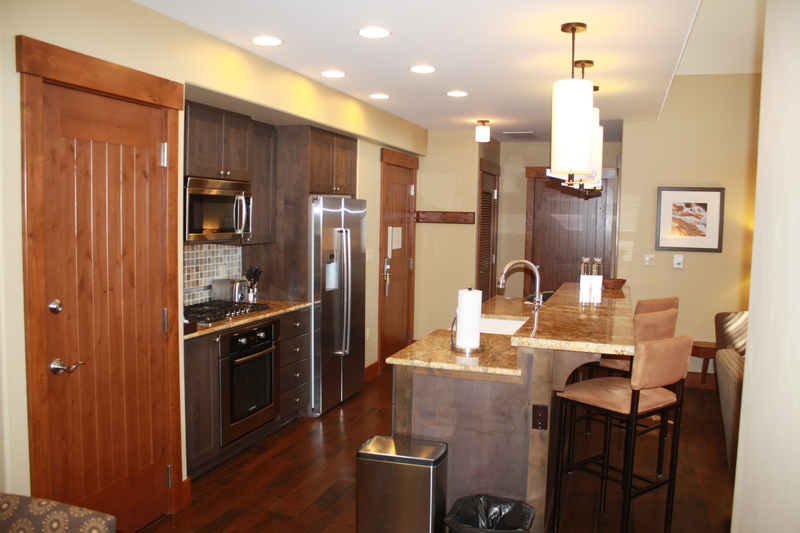 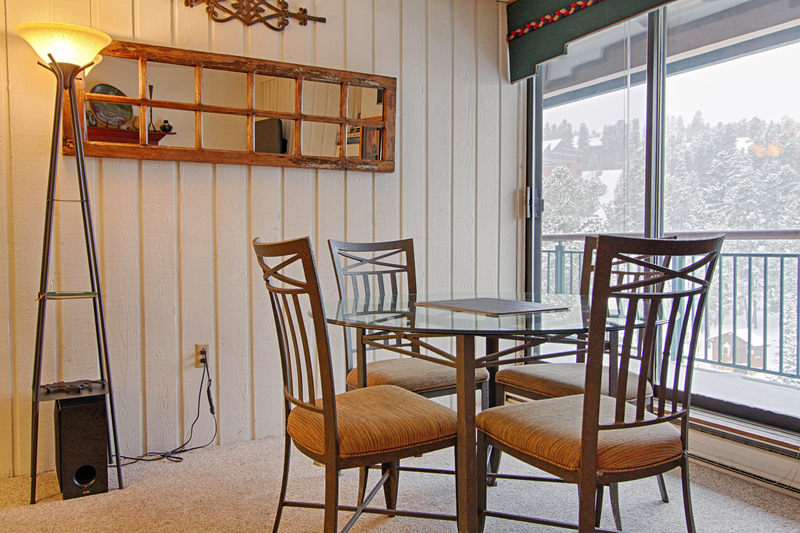 The townhome was remodeled in the fall of 2012. 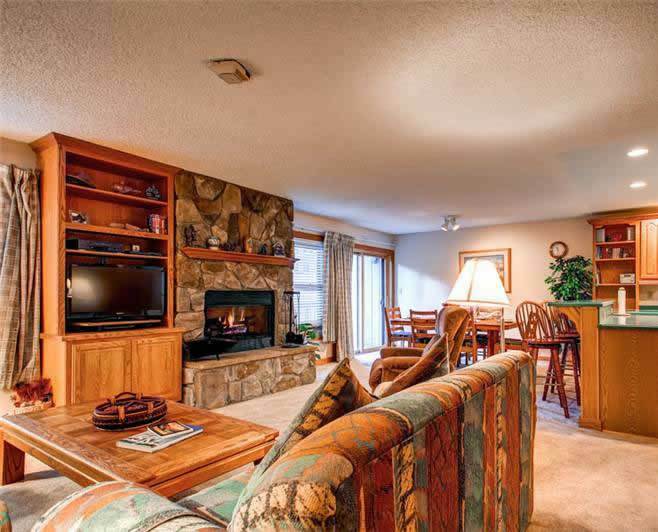 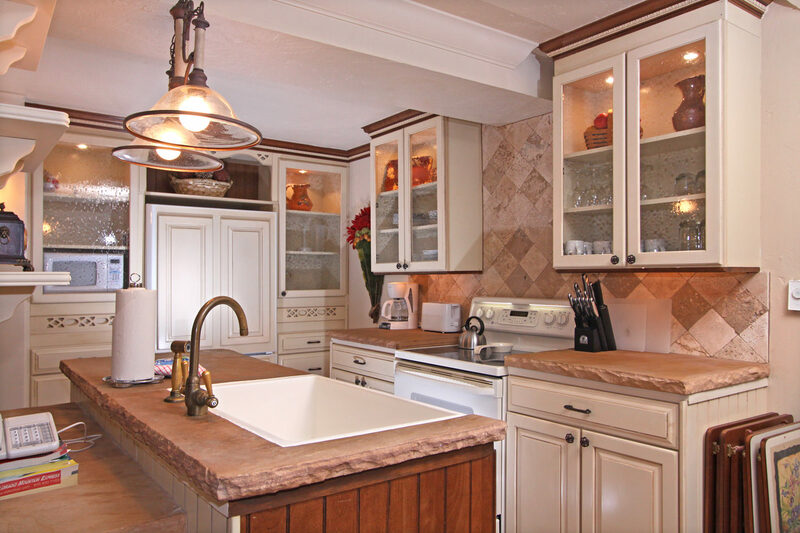 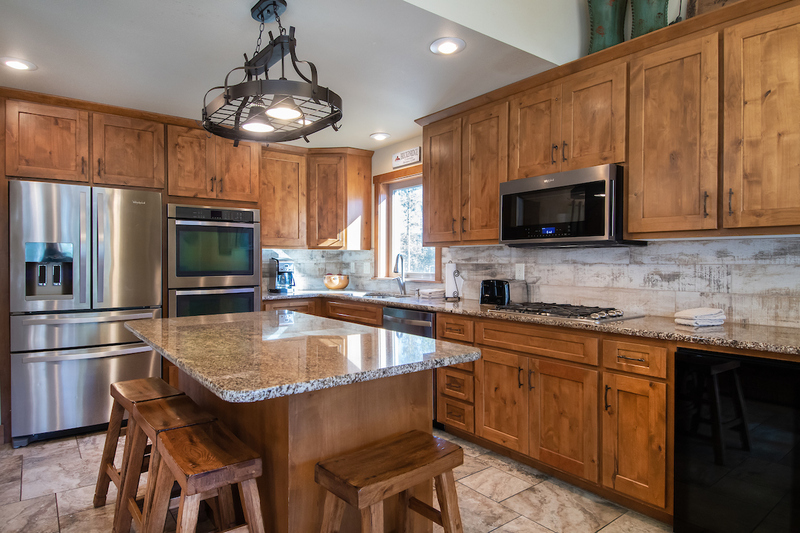 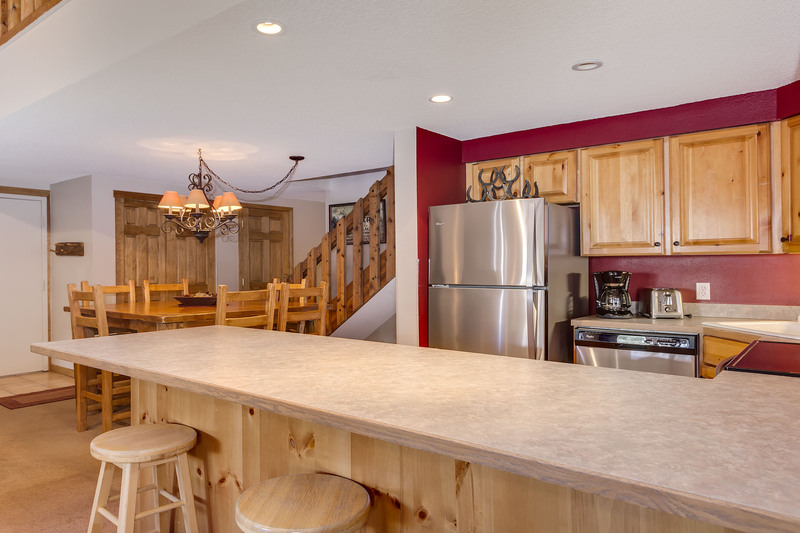 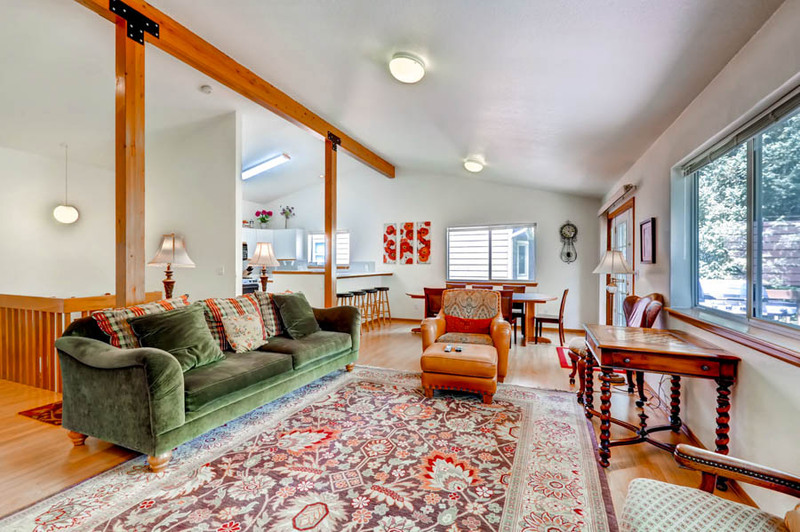 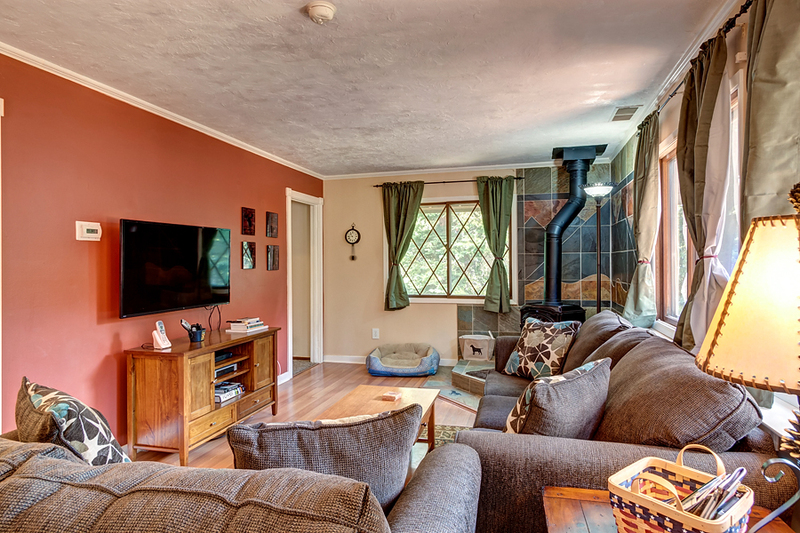 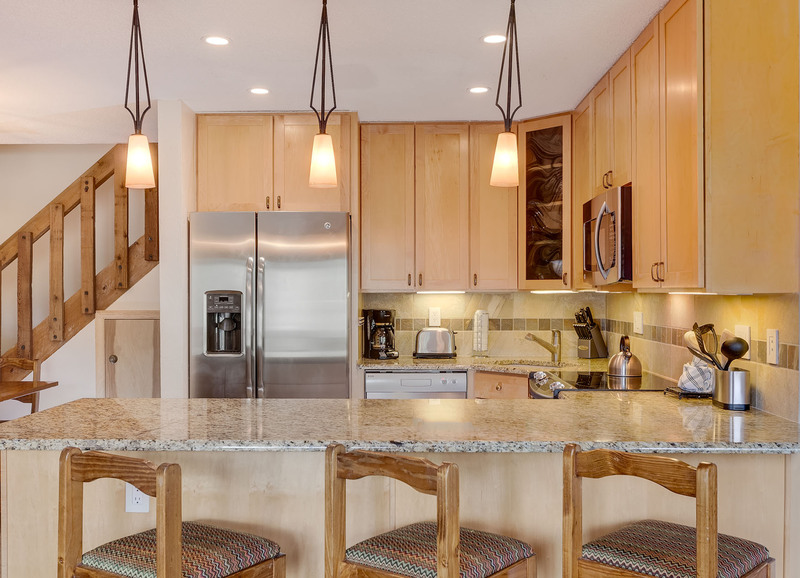 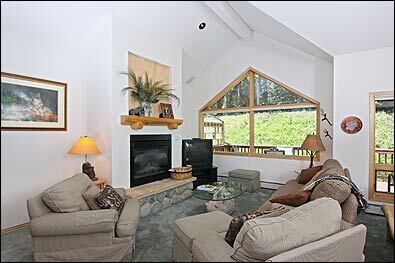 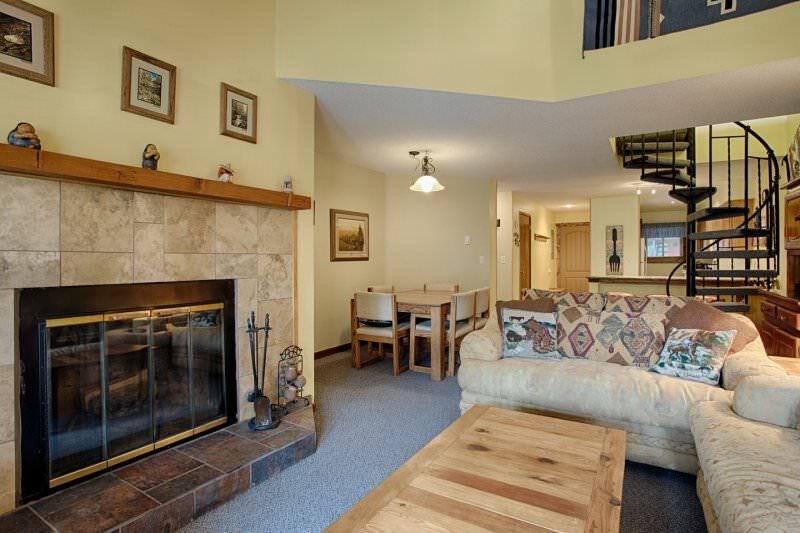 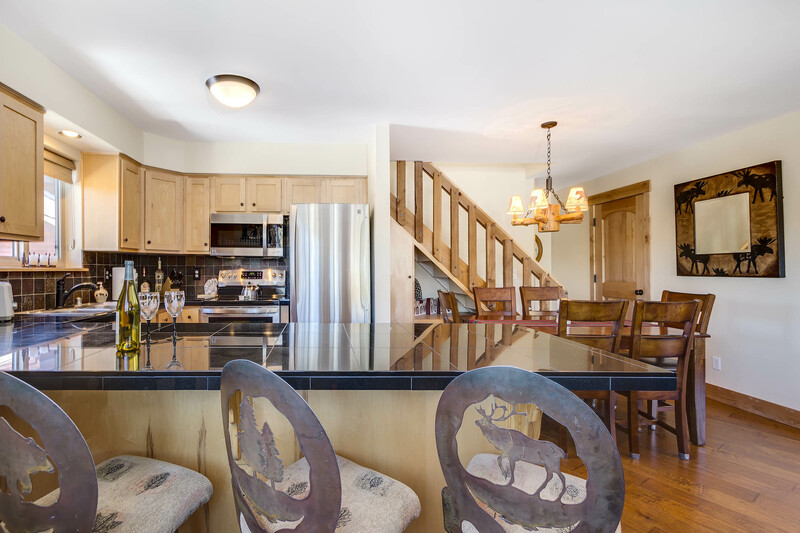 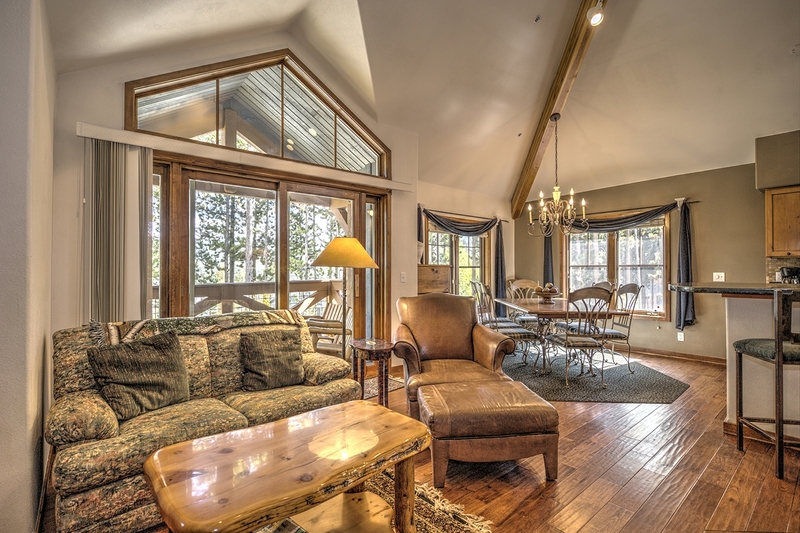 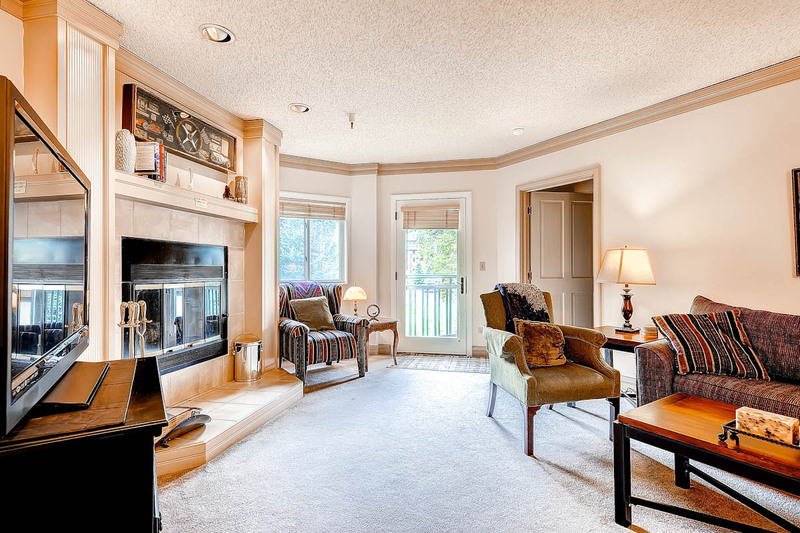 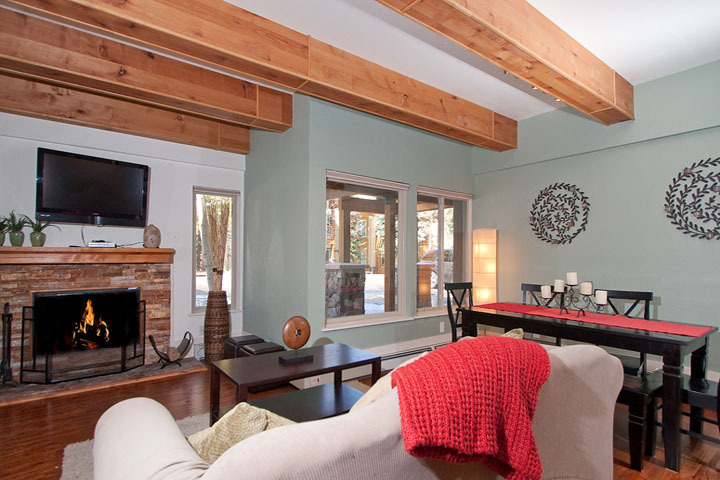 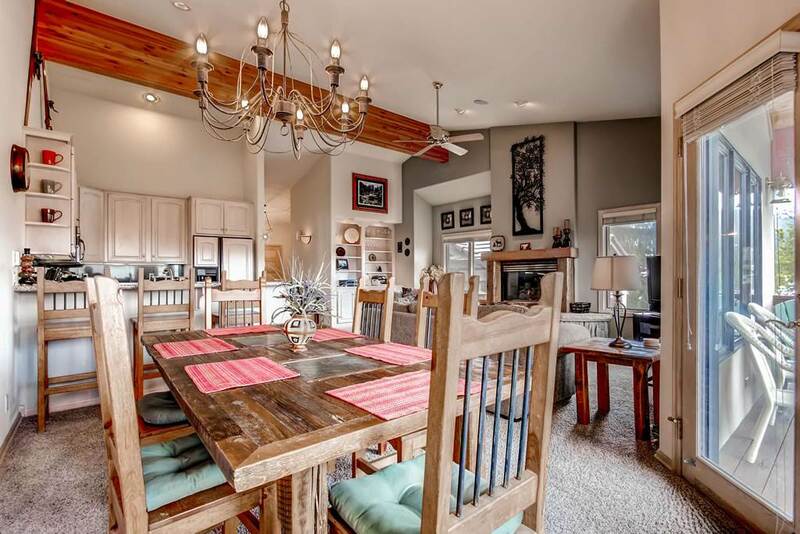 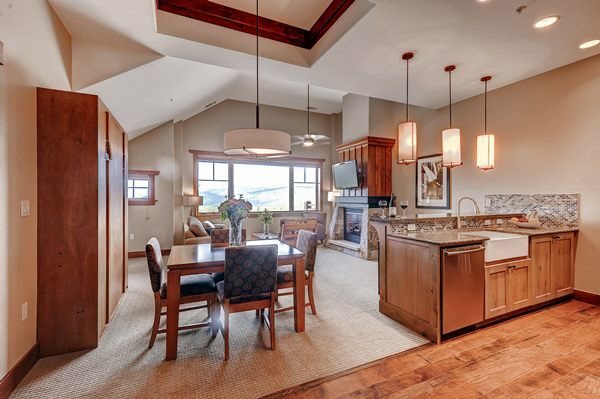 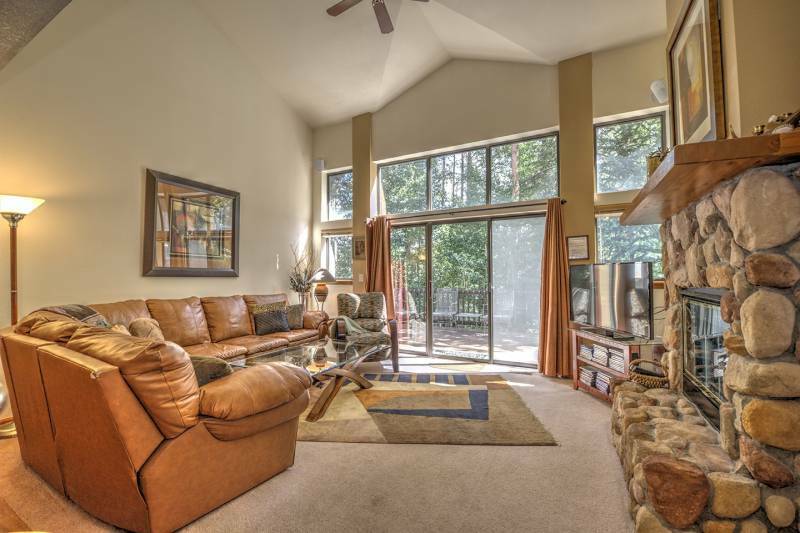 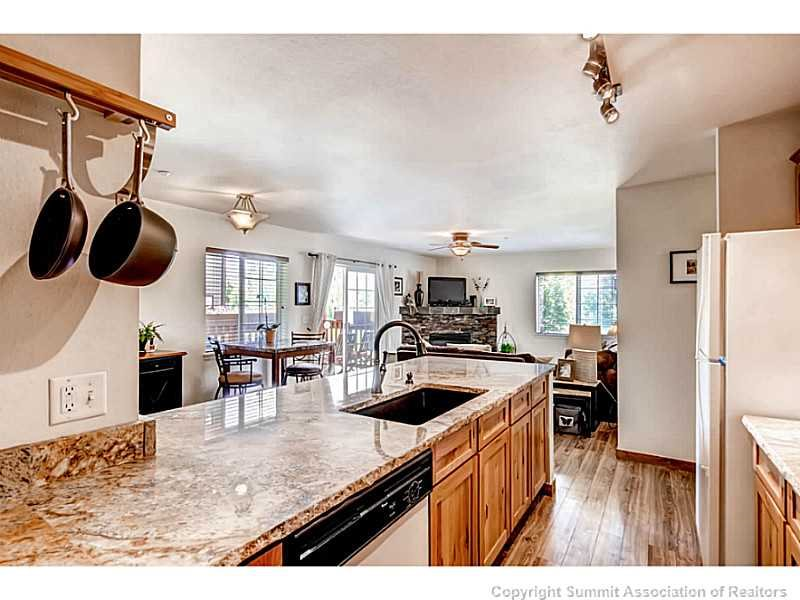 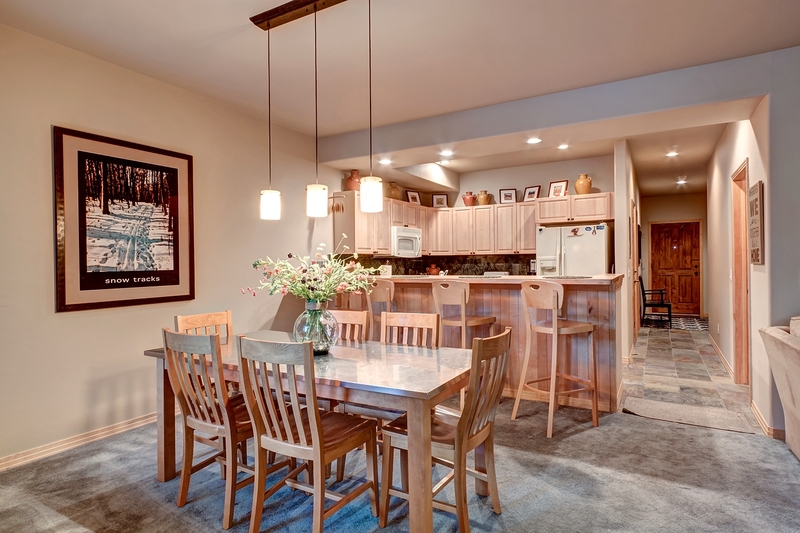 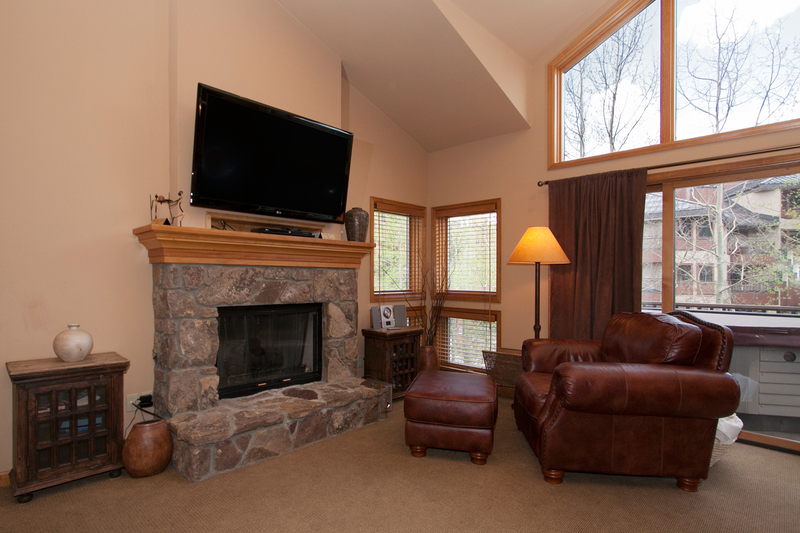 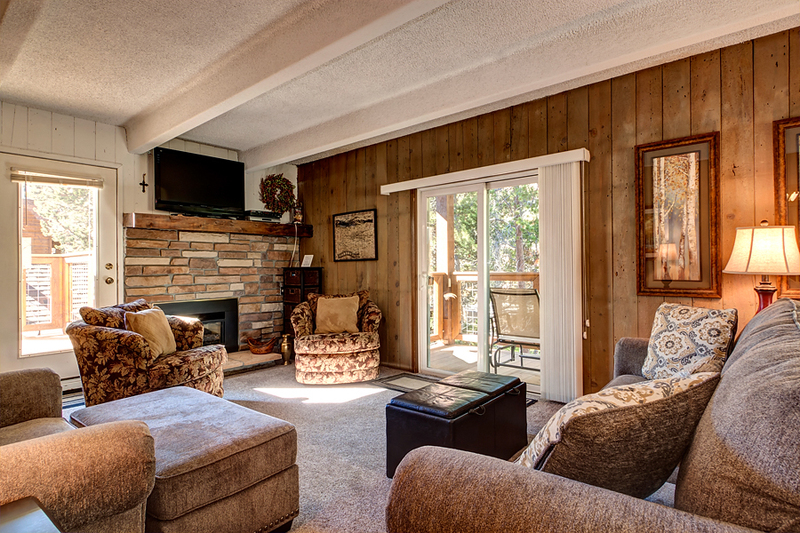 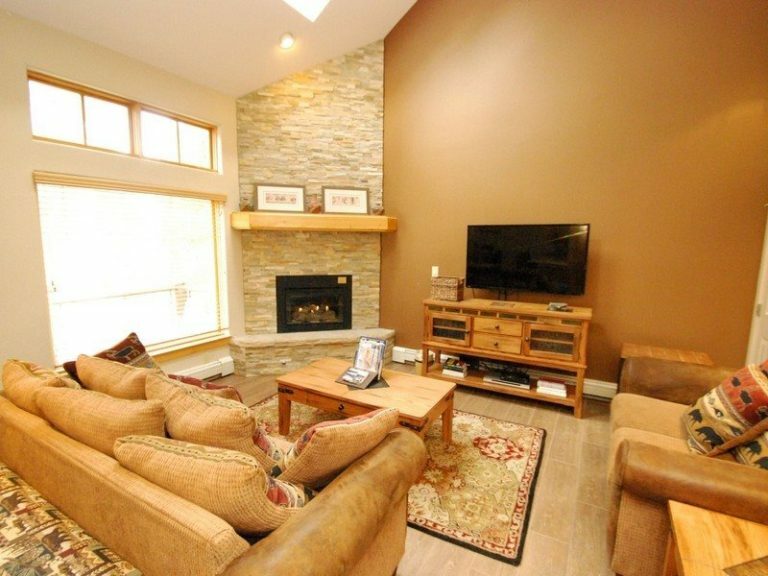 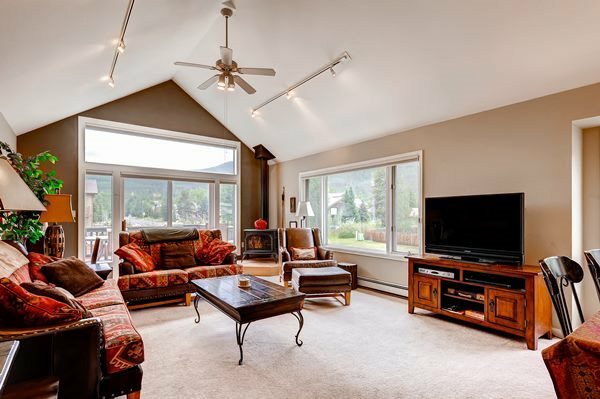 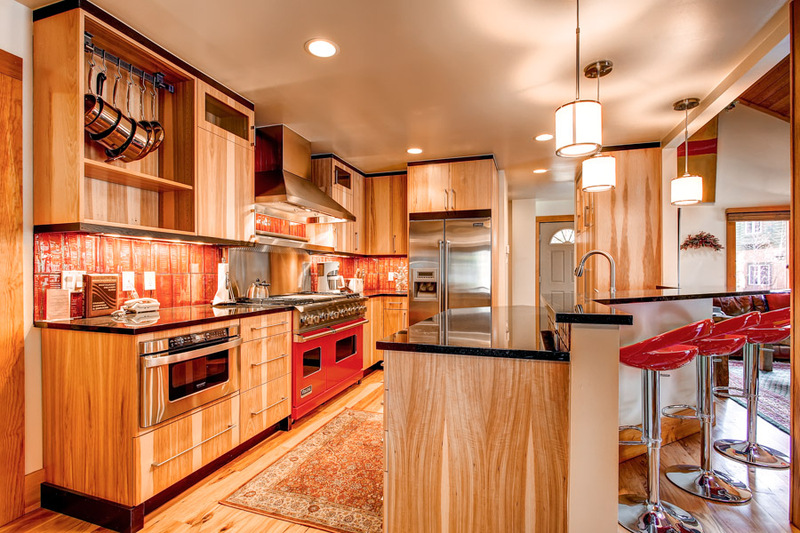 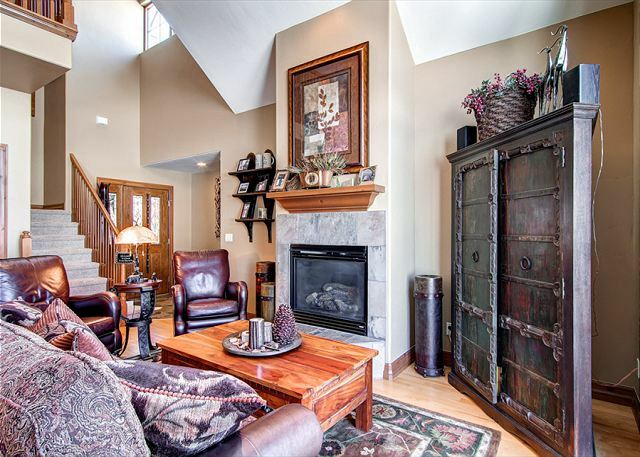 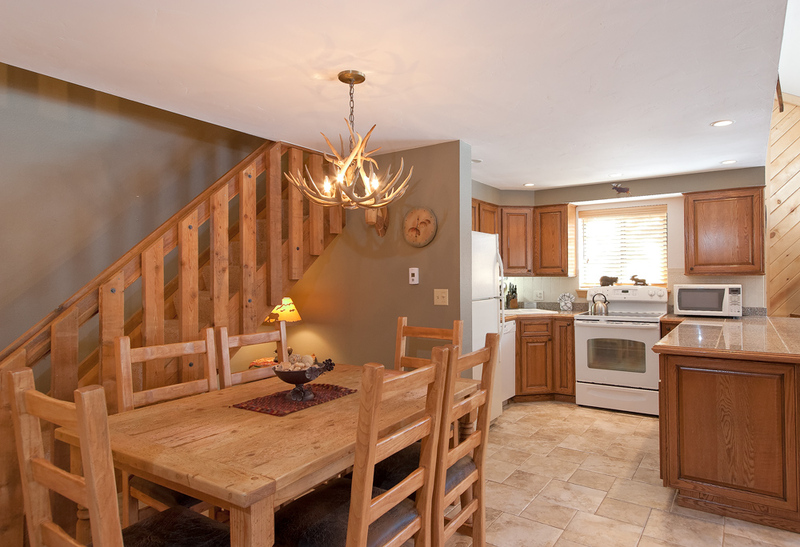 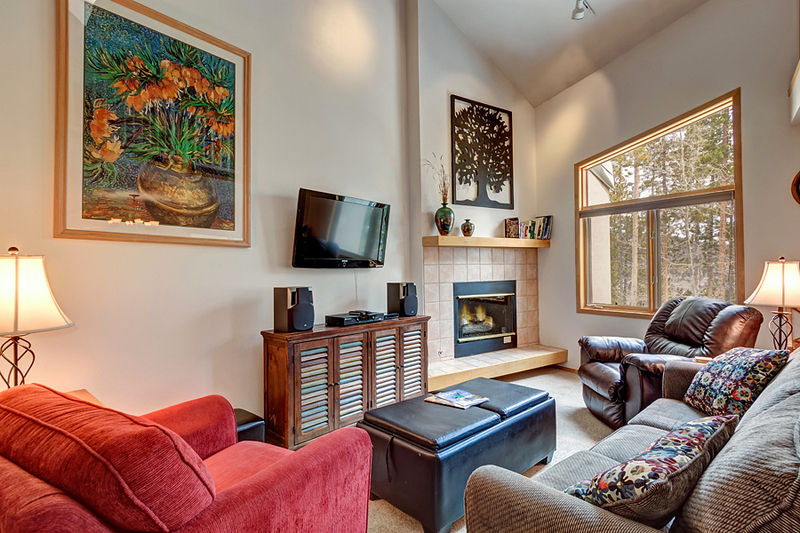 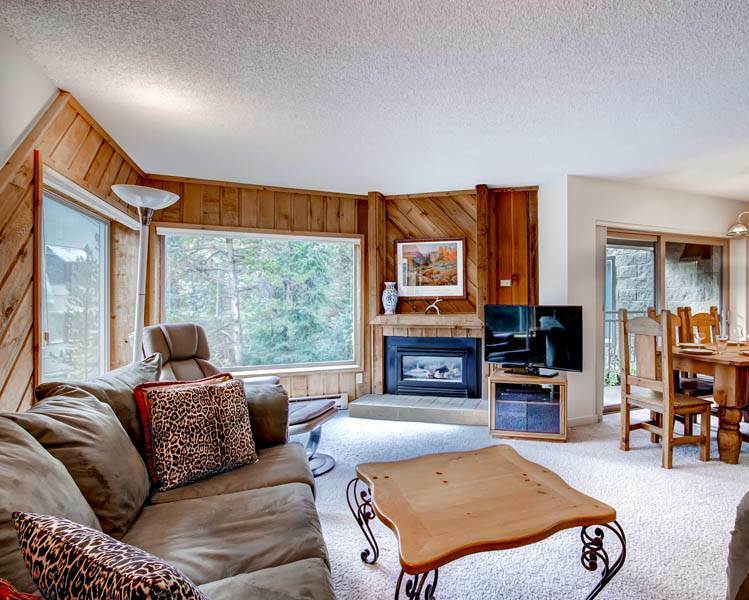 The open floorplan with vaulted ceilings in the living, dining and kitchen areas provide plenty of space for families. 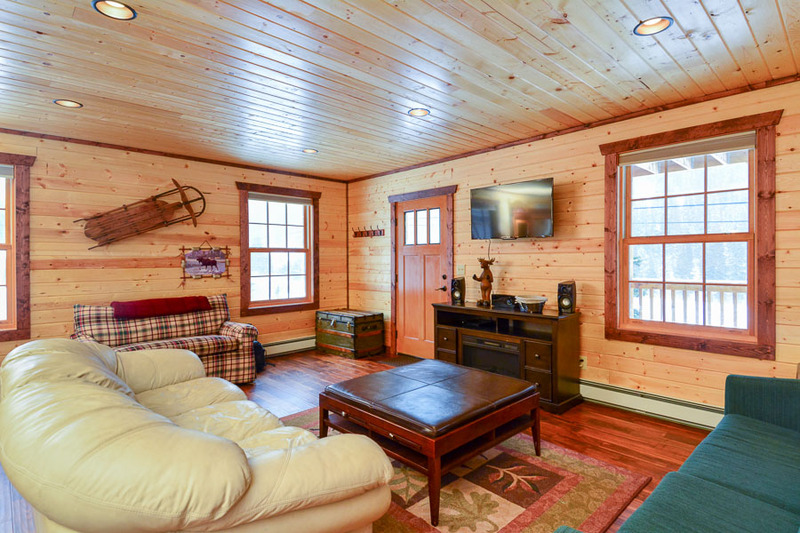 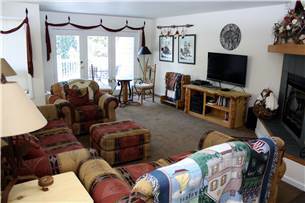 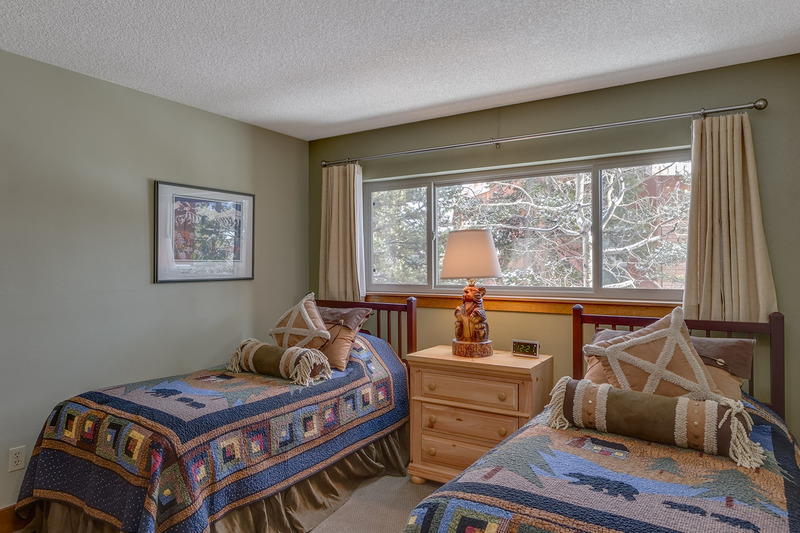 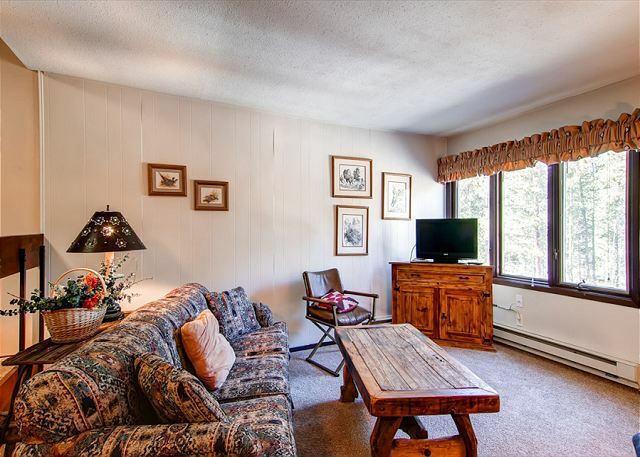 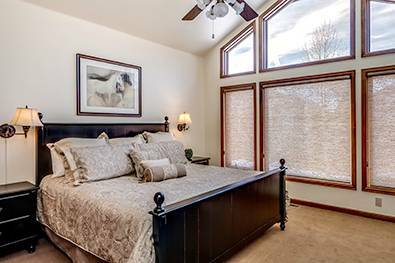 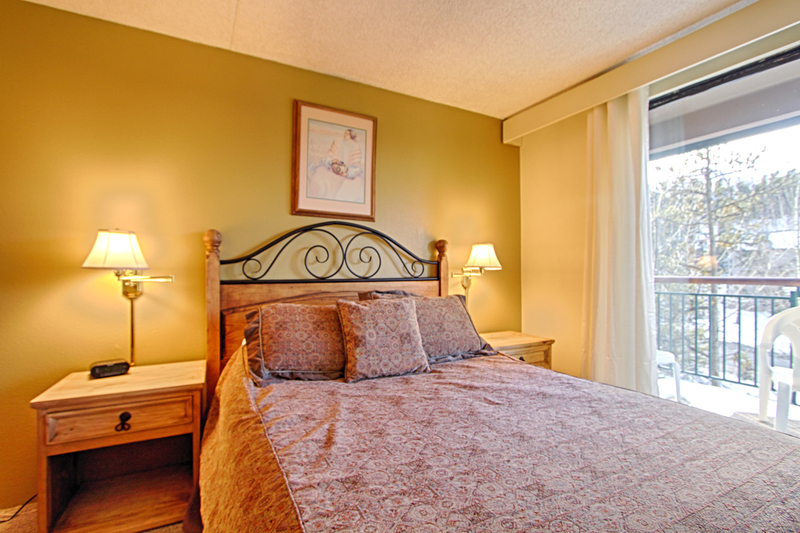 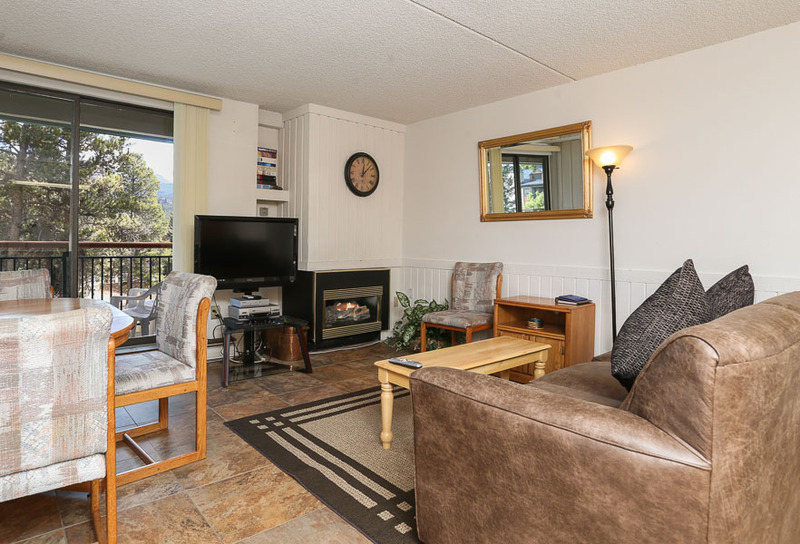 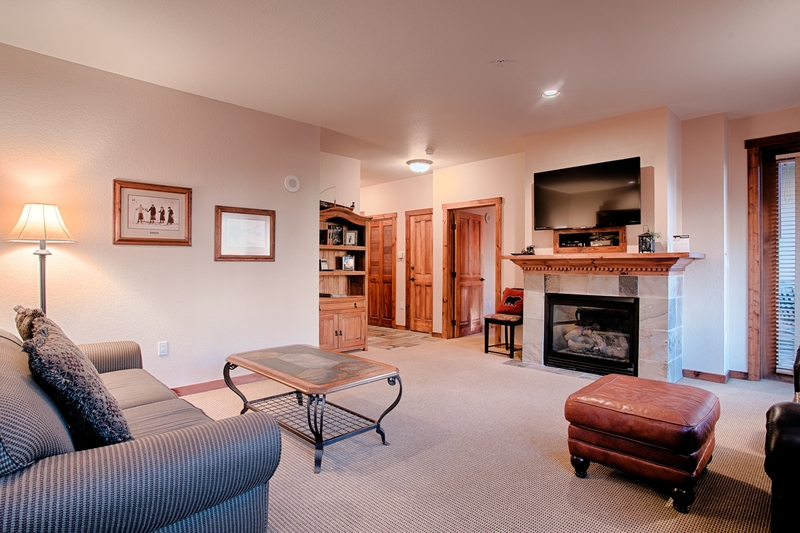 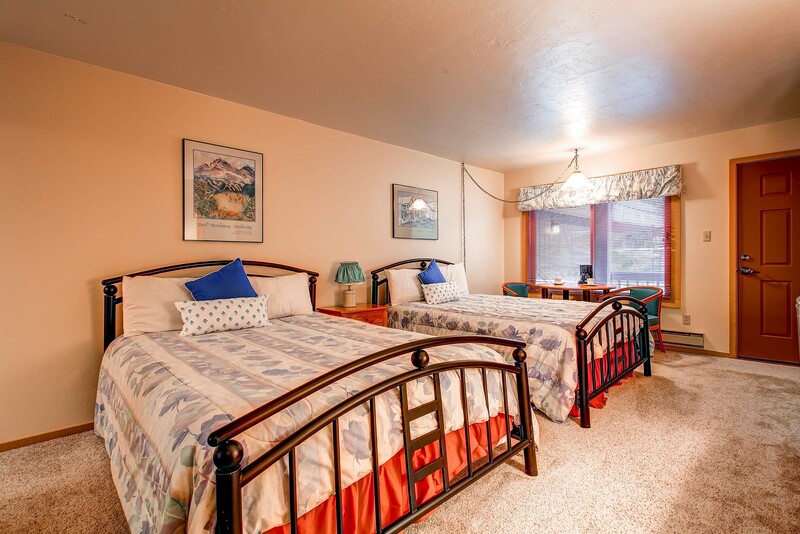 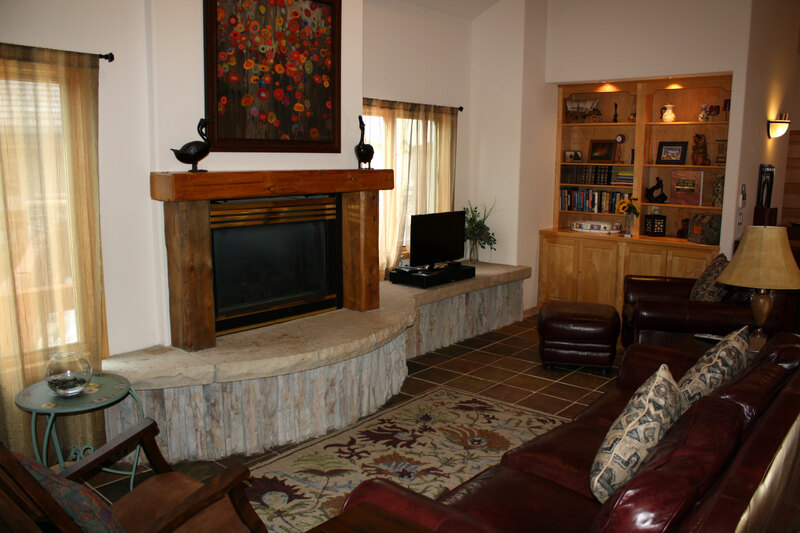 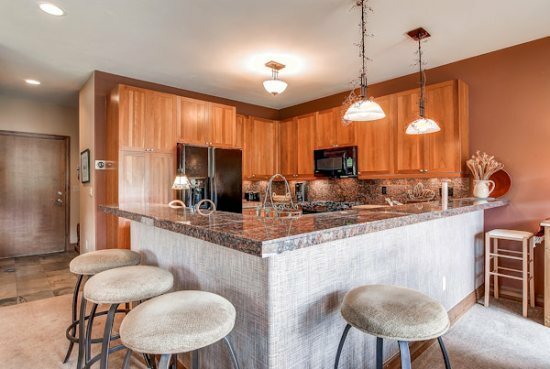 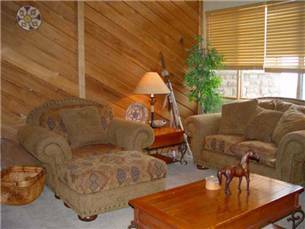 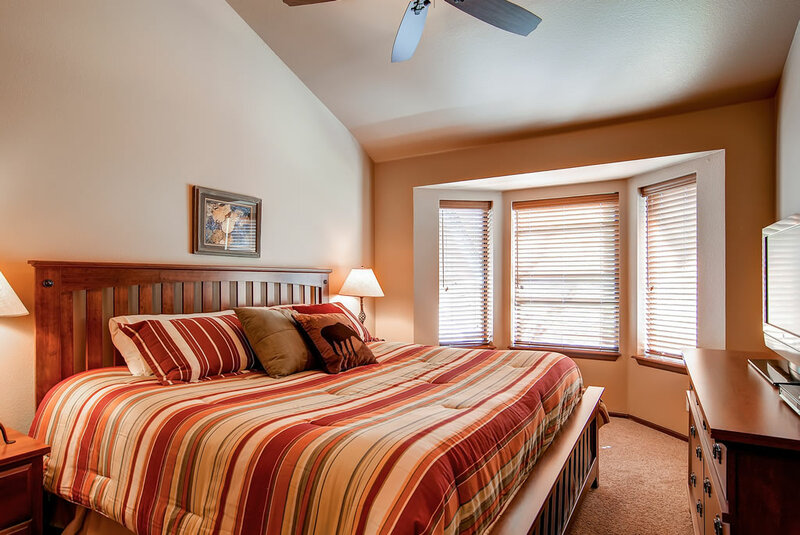 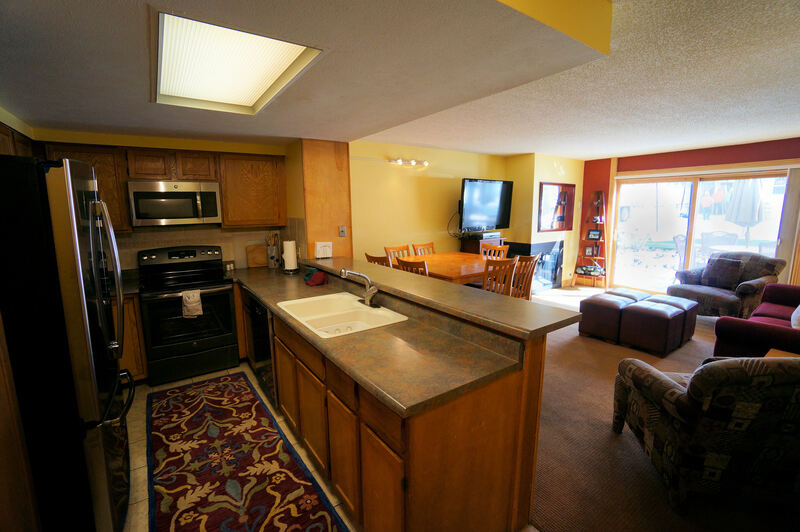 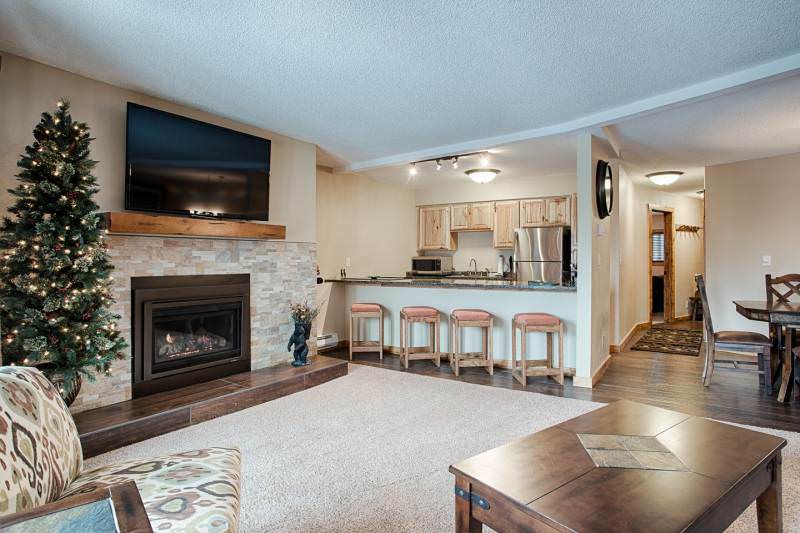 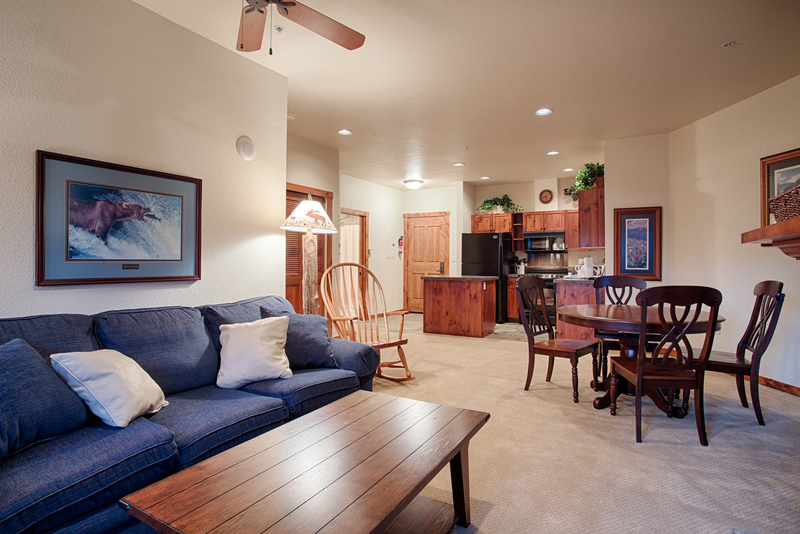 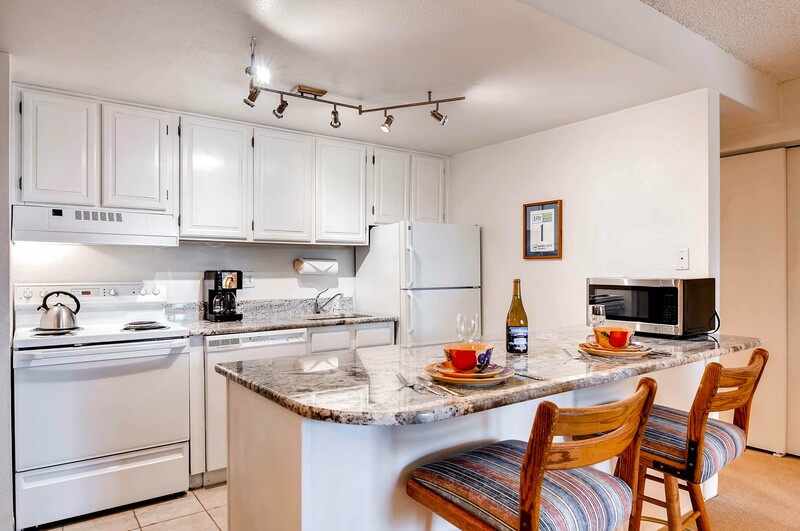 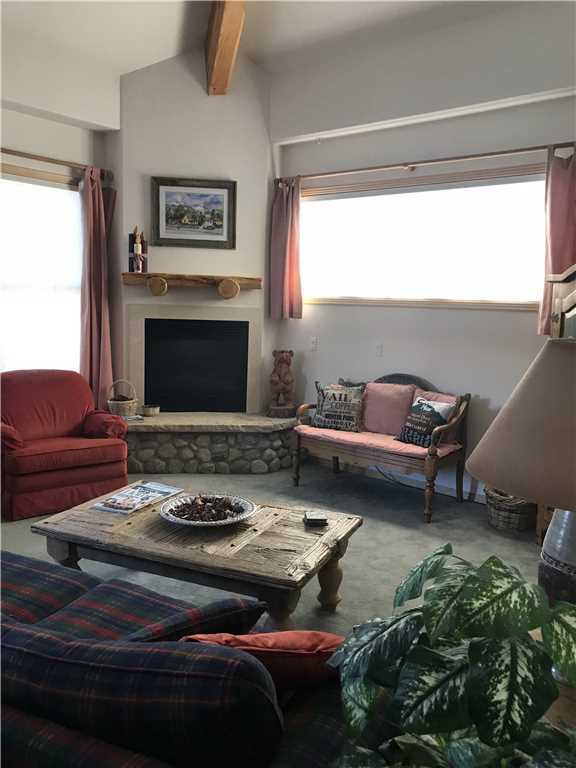 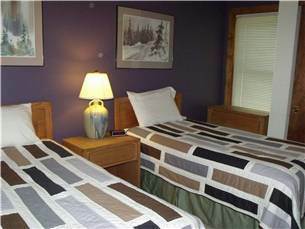 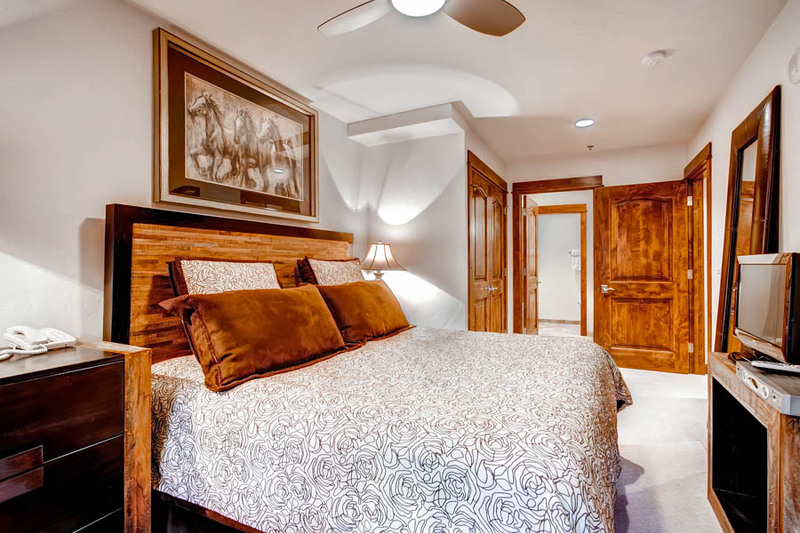 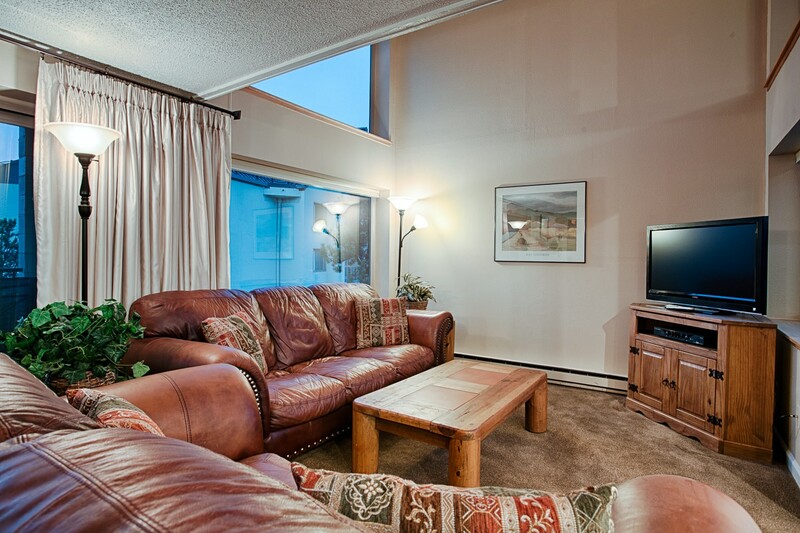 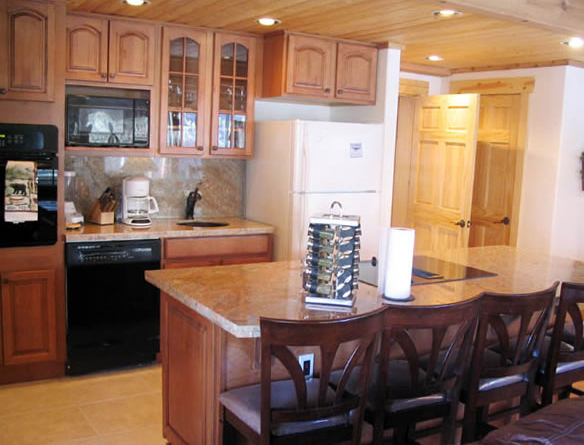 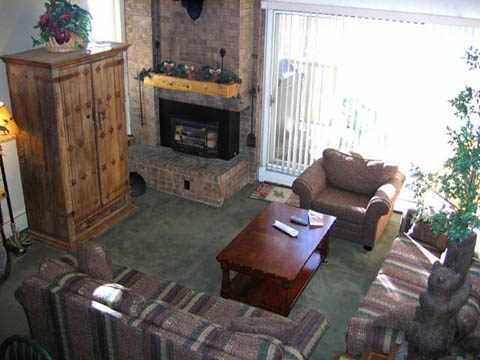 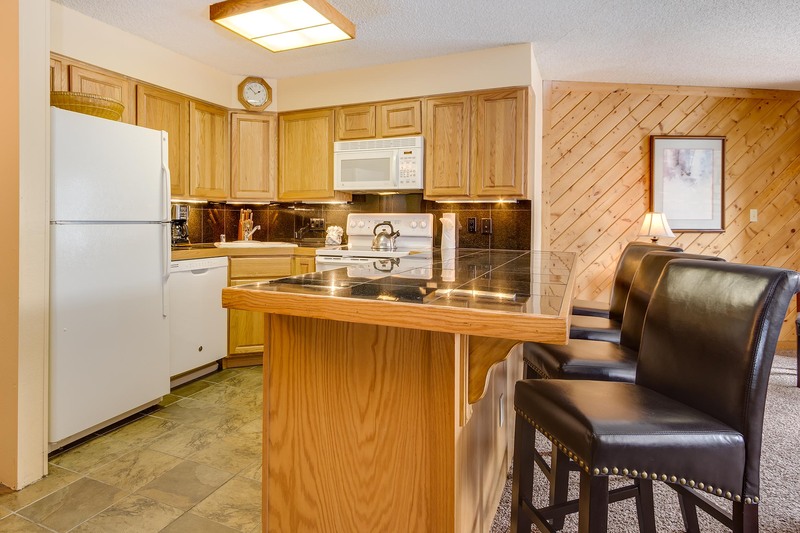 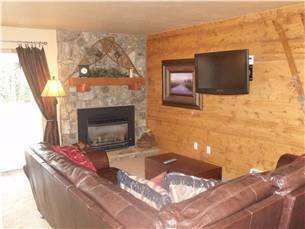 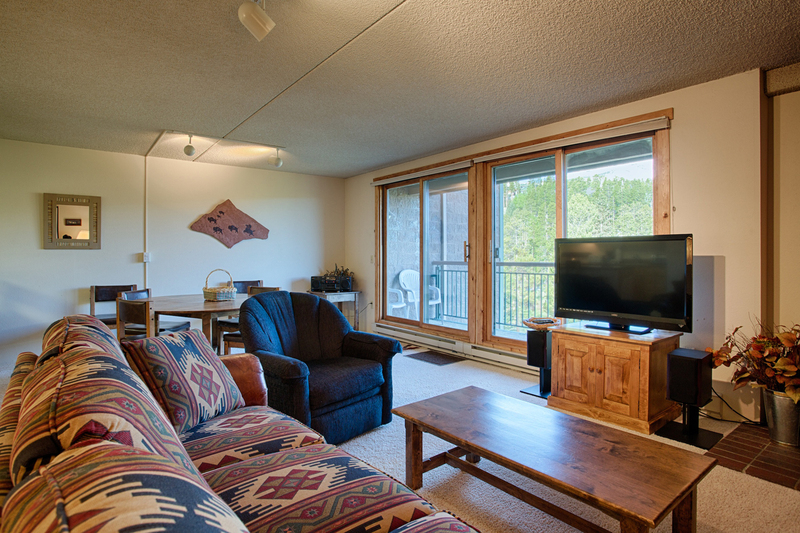 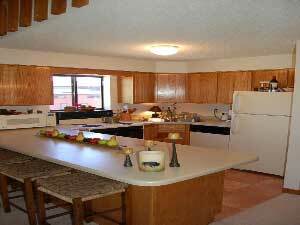 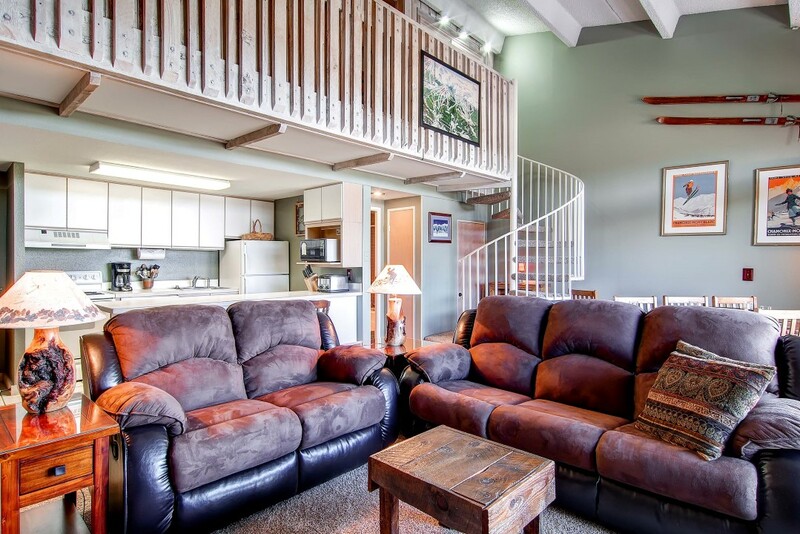 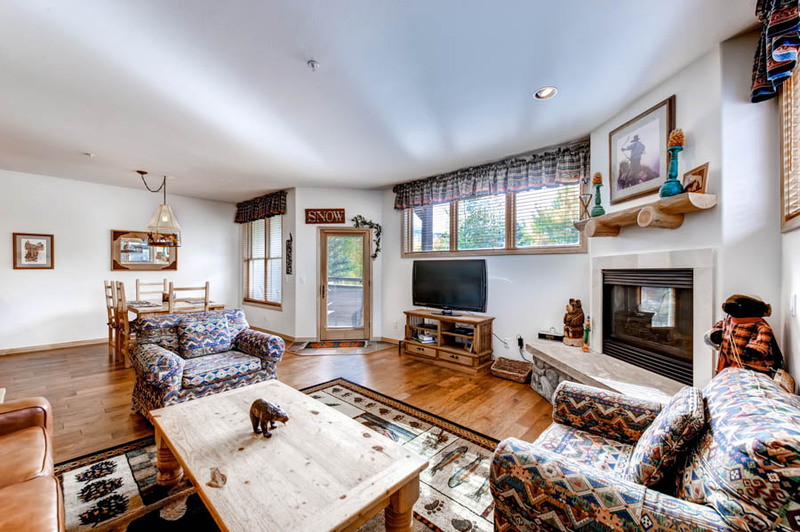 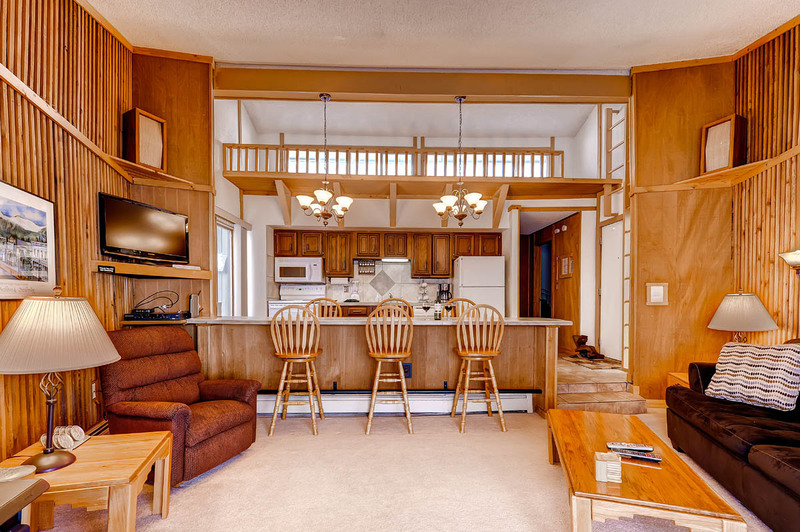 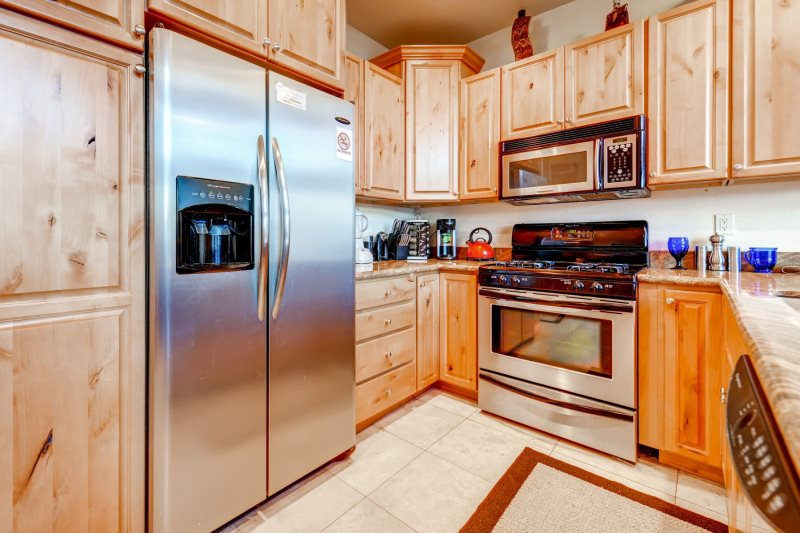 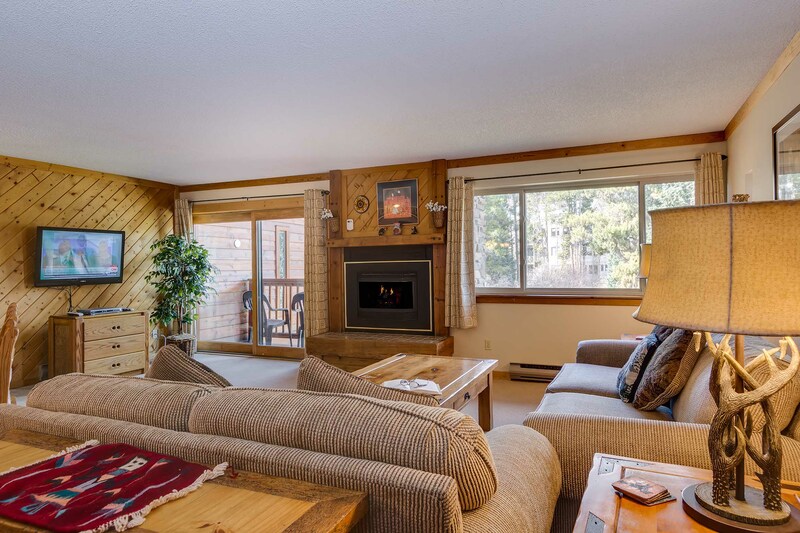 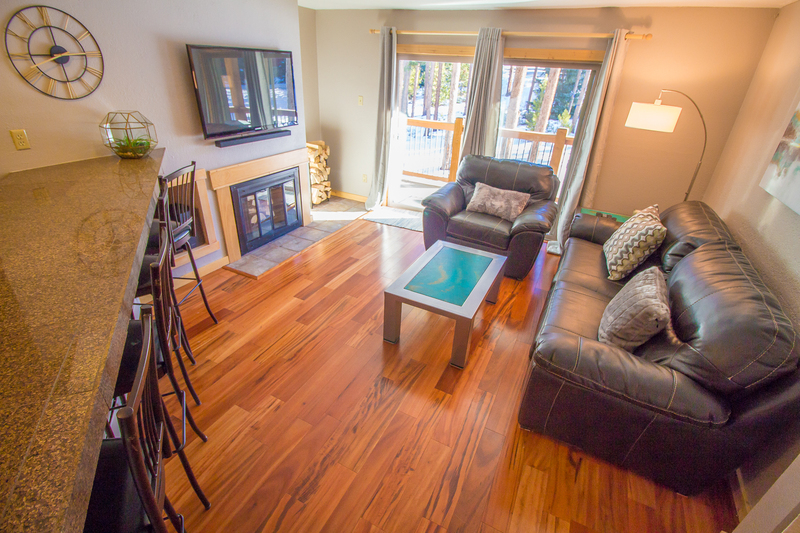 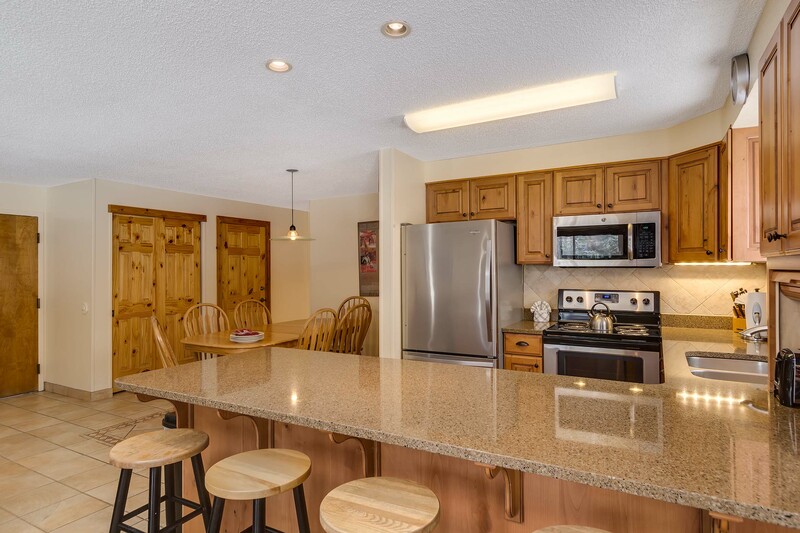 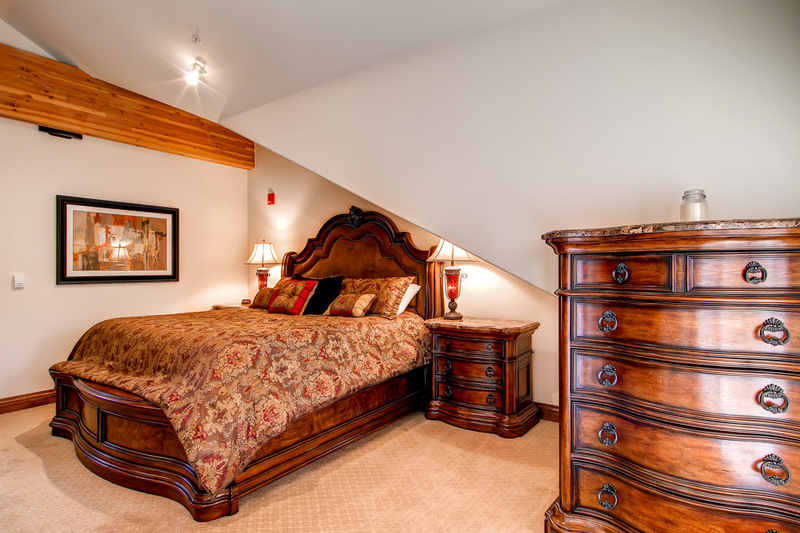 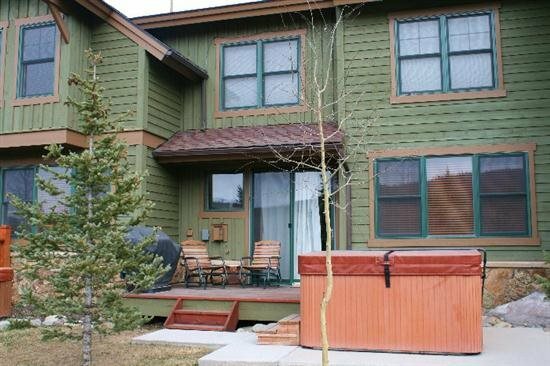 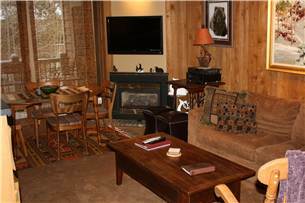 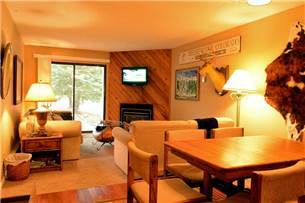 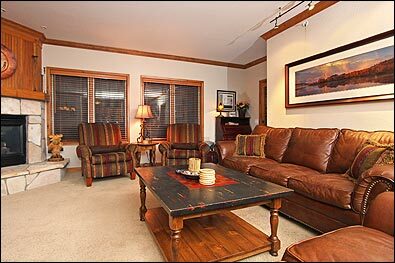 There is also complimentary Wi-Fi available throughout the townhome, and a private hot tub on the deck off of the living area. 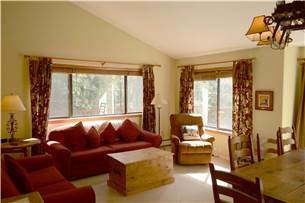 The unit has ample sleeping and dining arrangements for 8 guests, all set in a quiet environment away from the hustle & bustle of town. 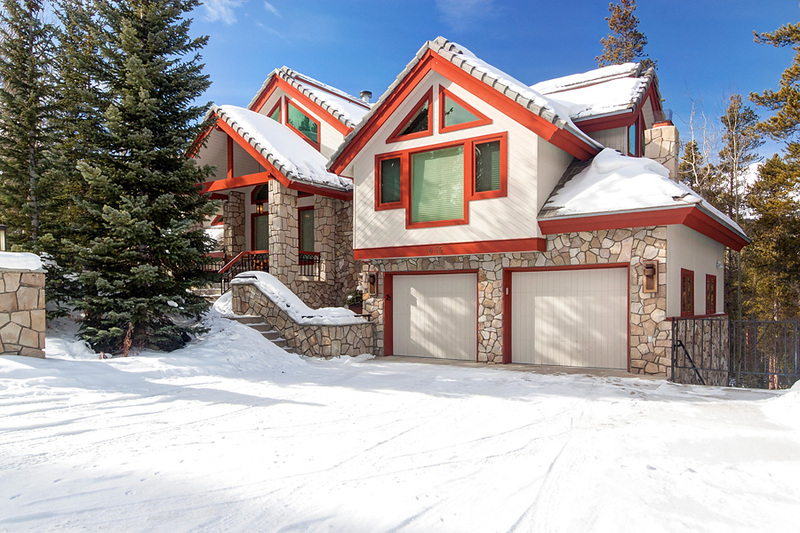 Guest parking consists of a heated one car garage and a spot for a second vehicle in front of the garage in the private driveway. 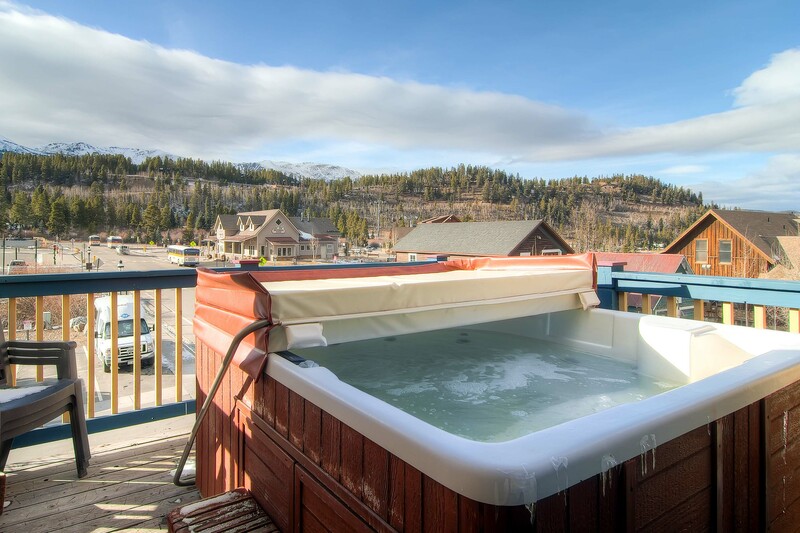 Guests will also have access to the Upper Village pool and hot tub complex. 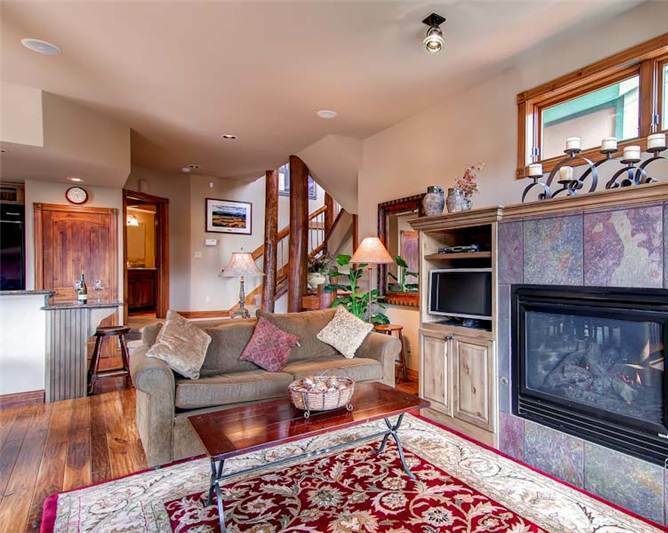 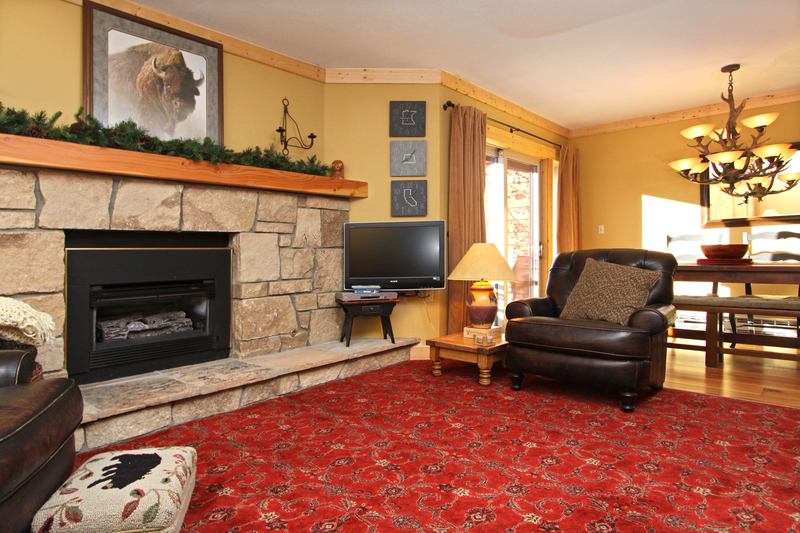 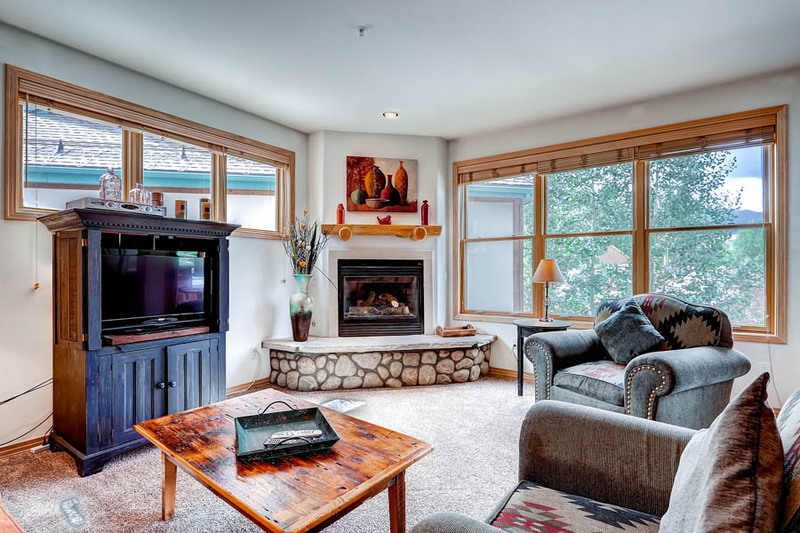 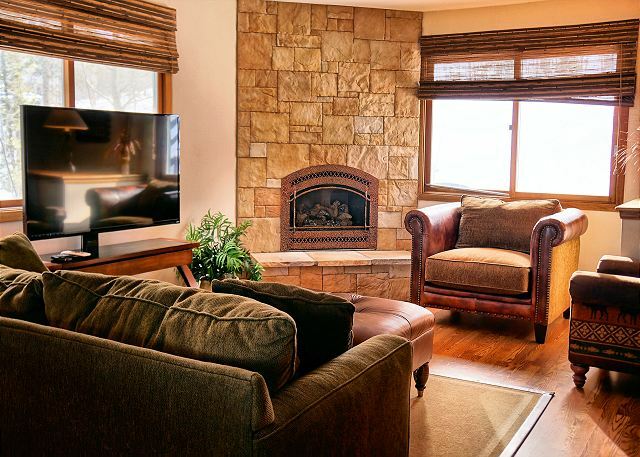 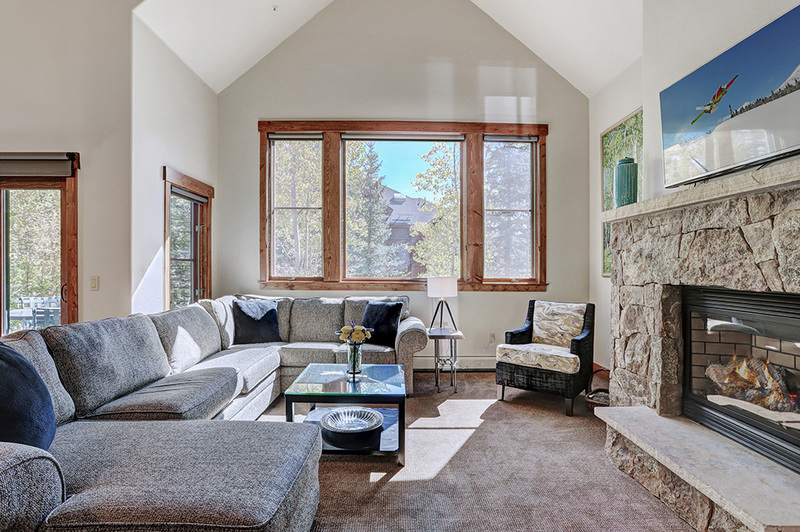 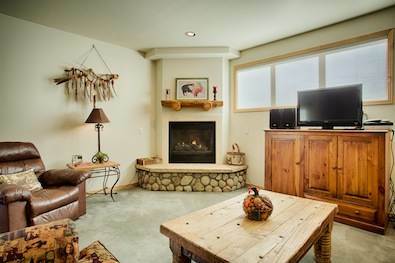 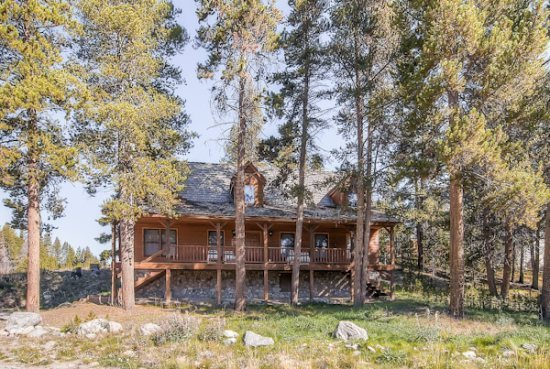 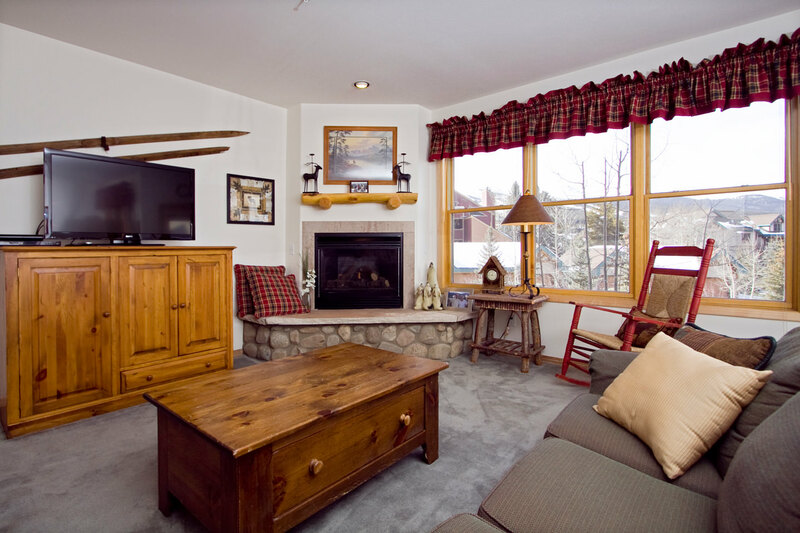 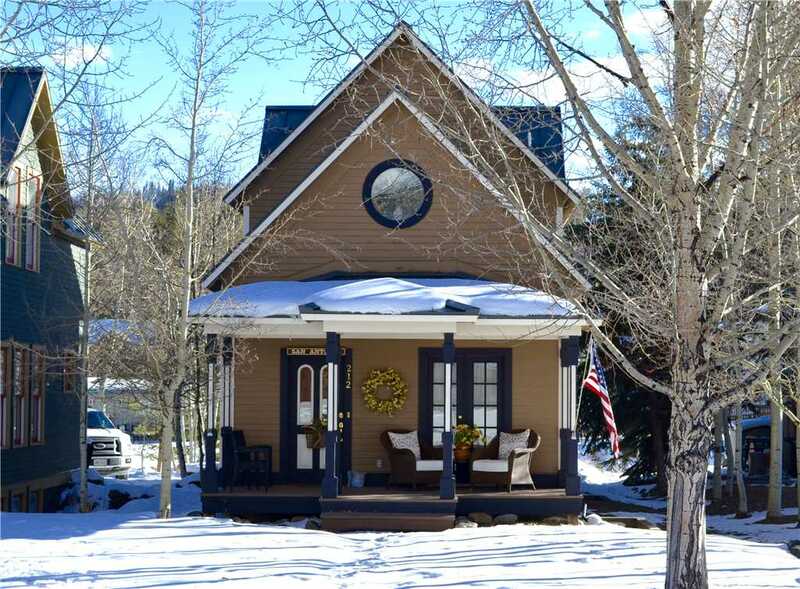 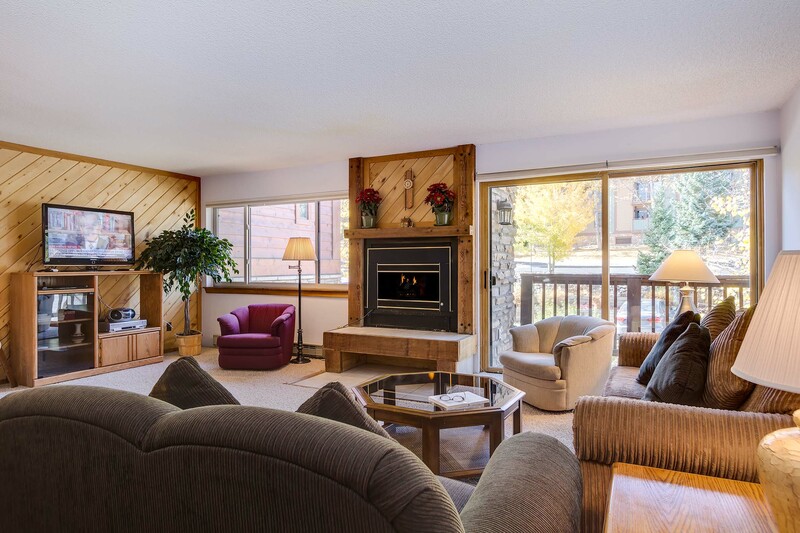 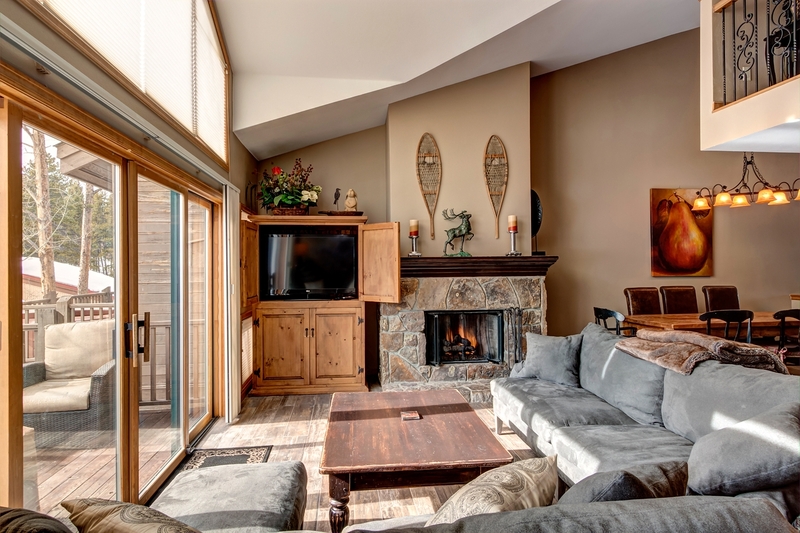 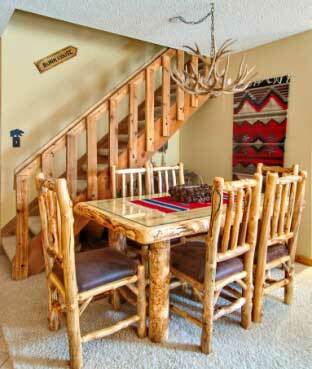 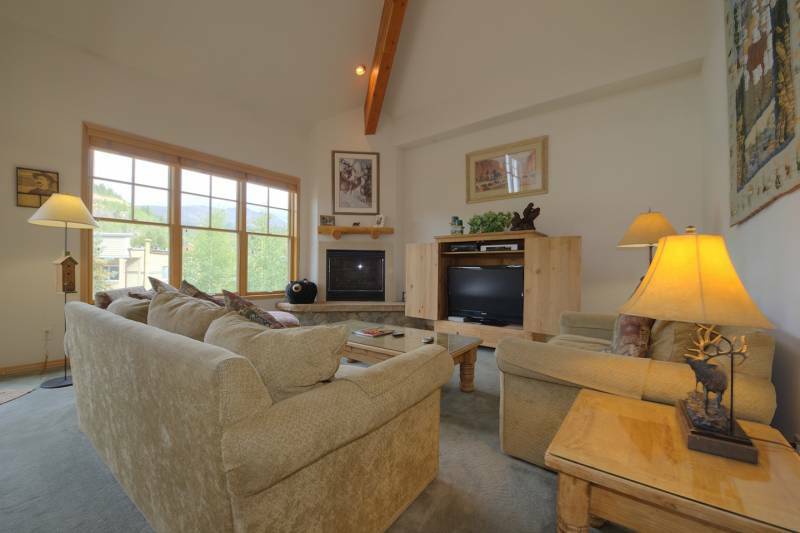 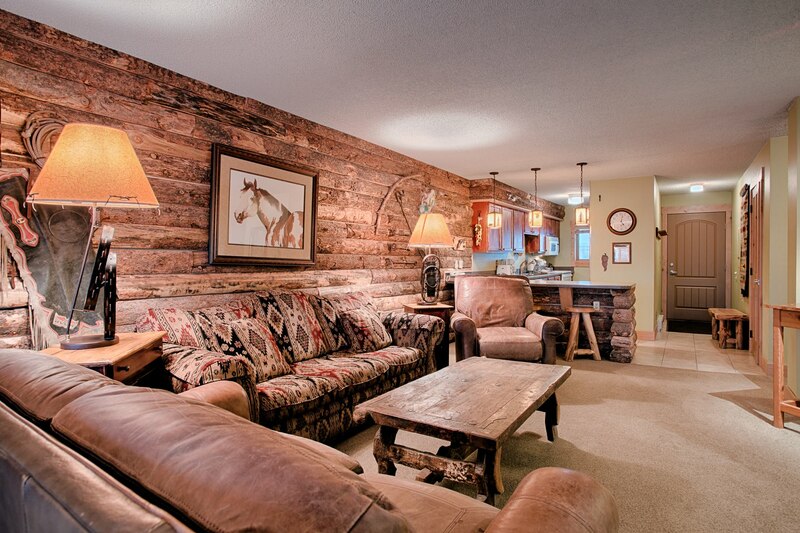 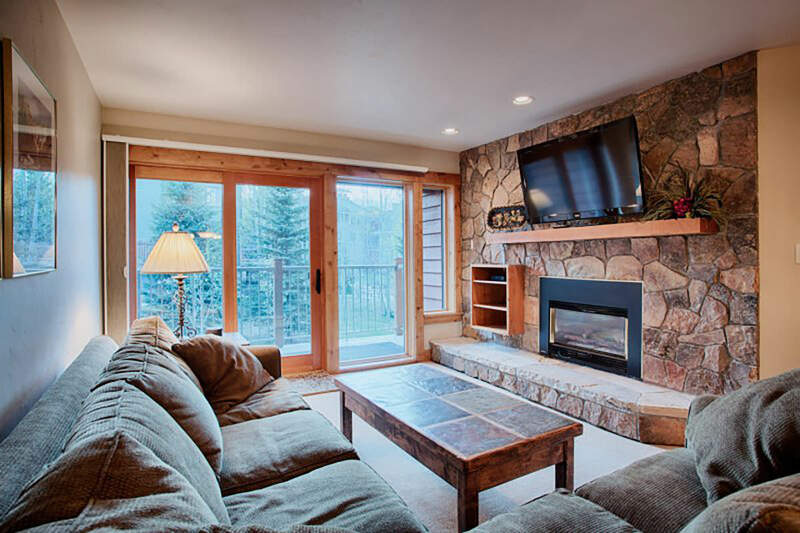 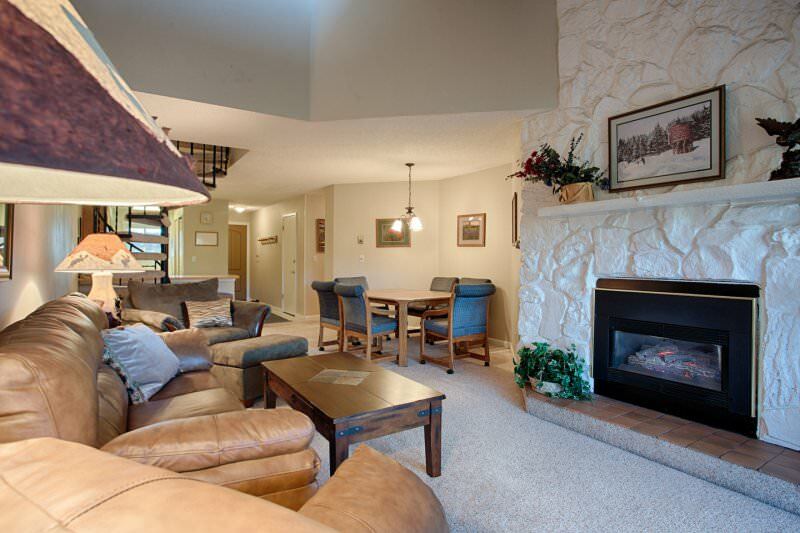 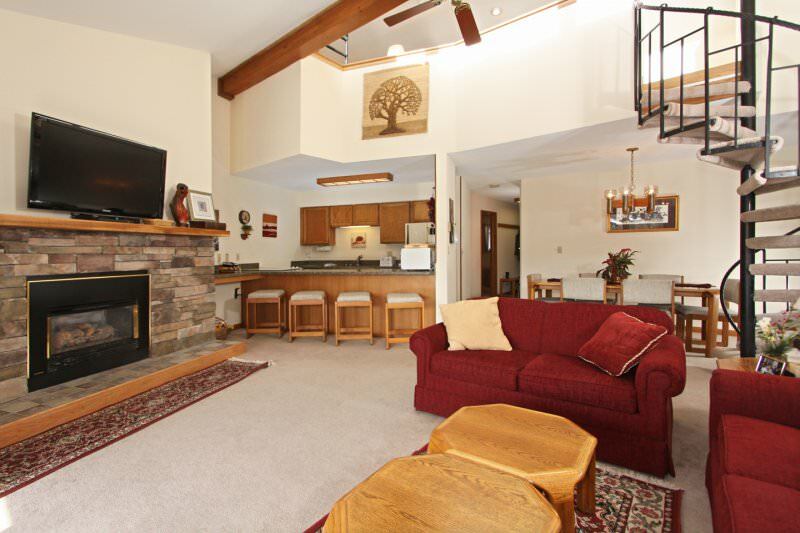 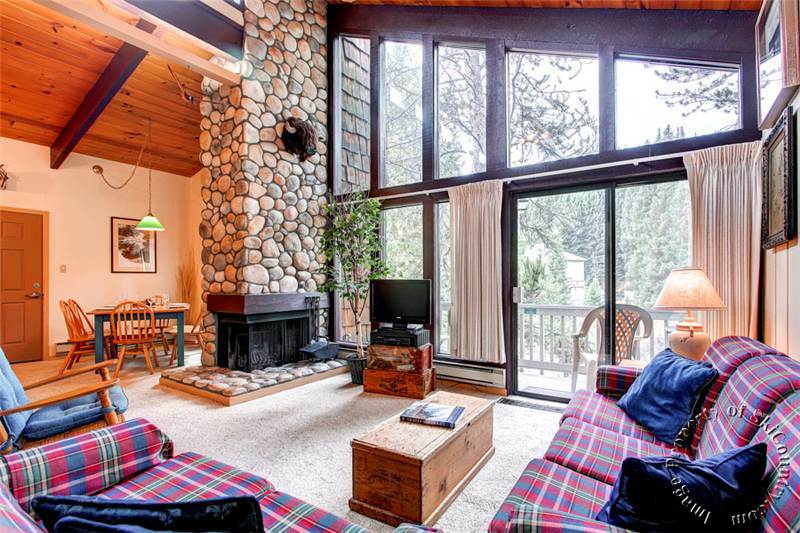 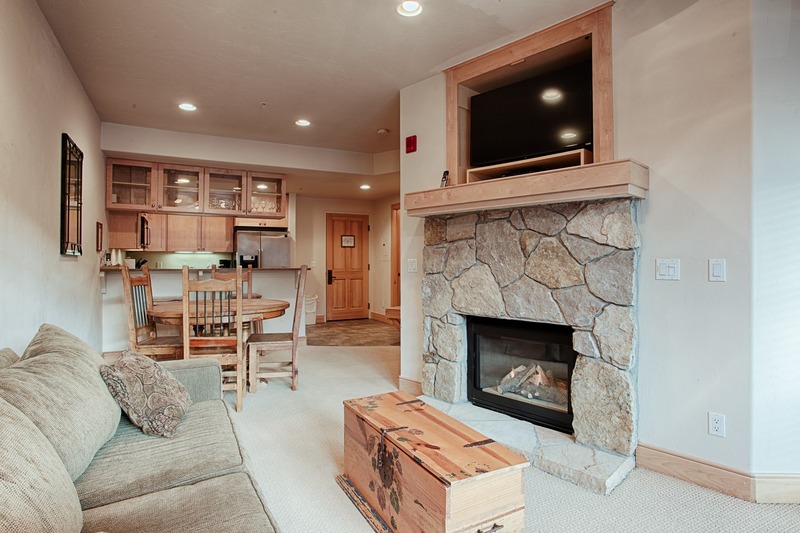 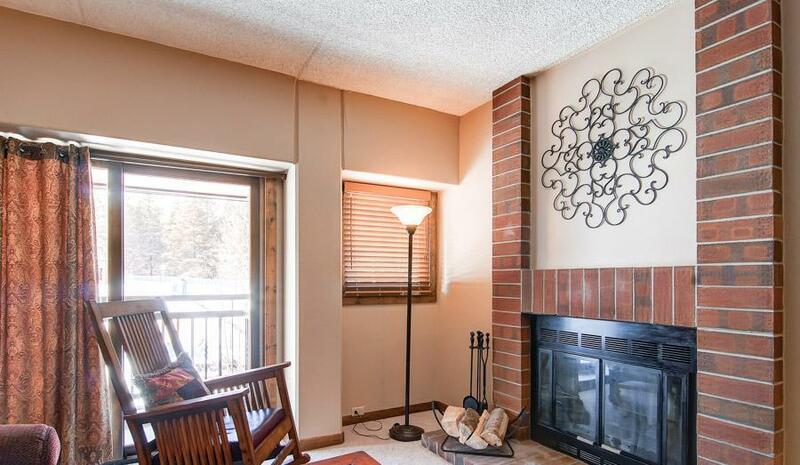 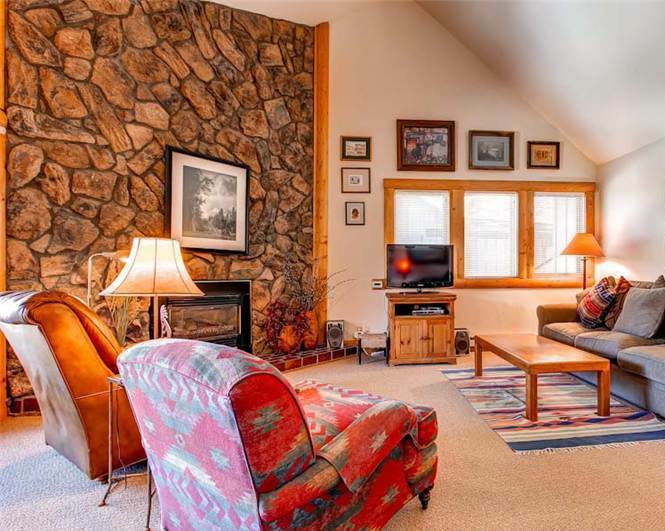 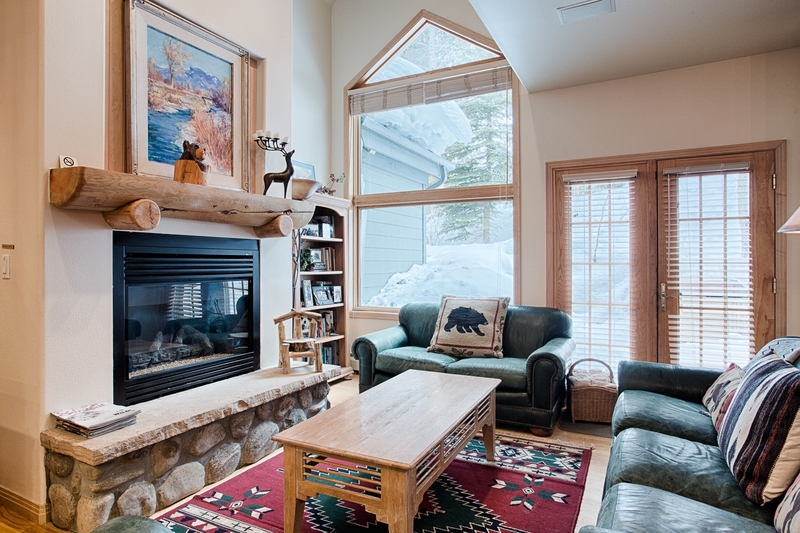 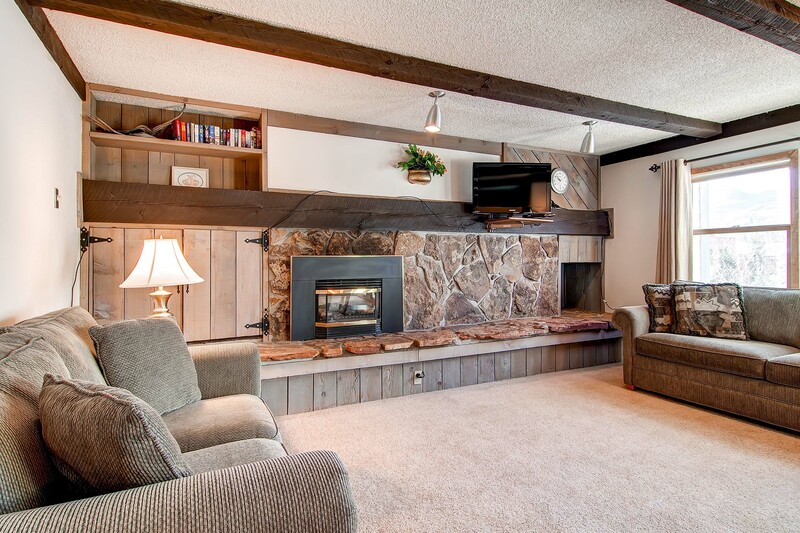 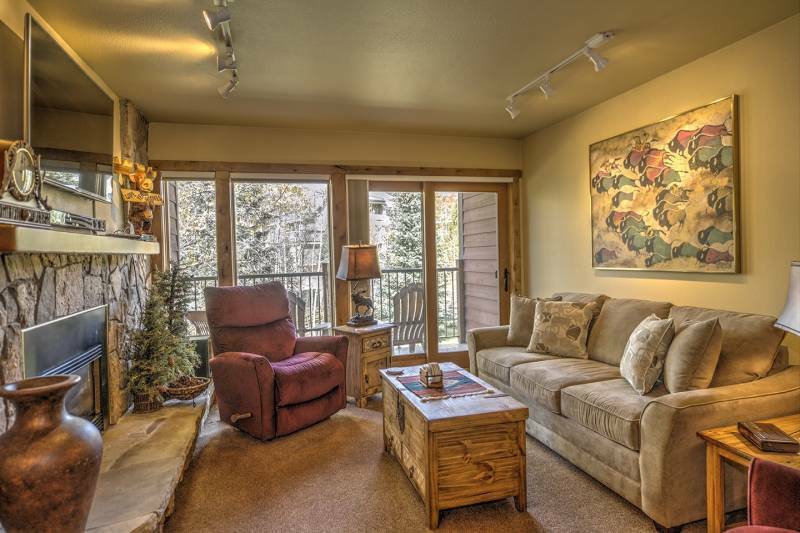 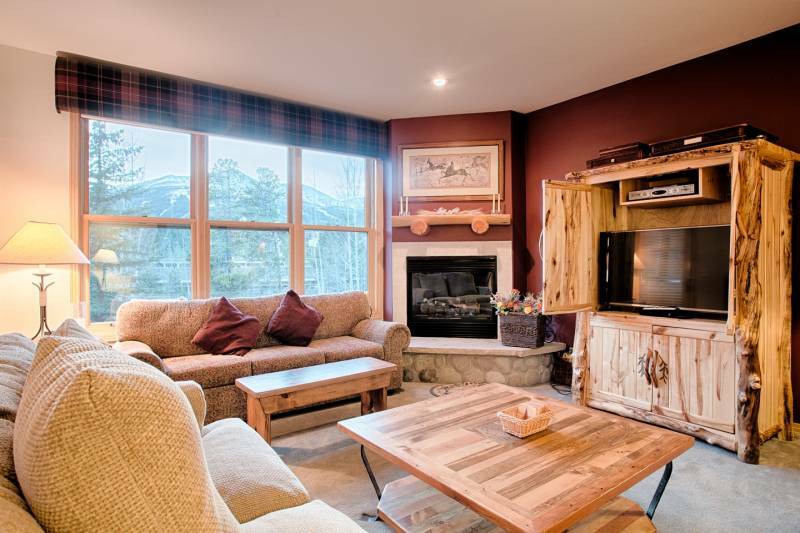 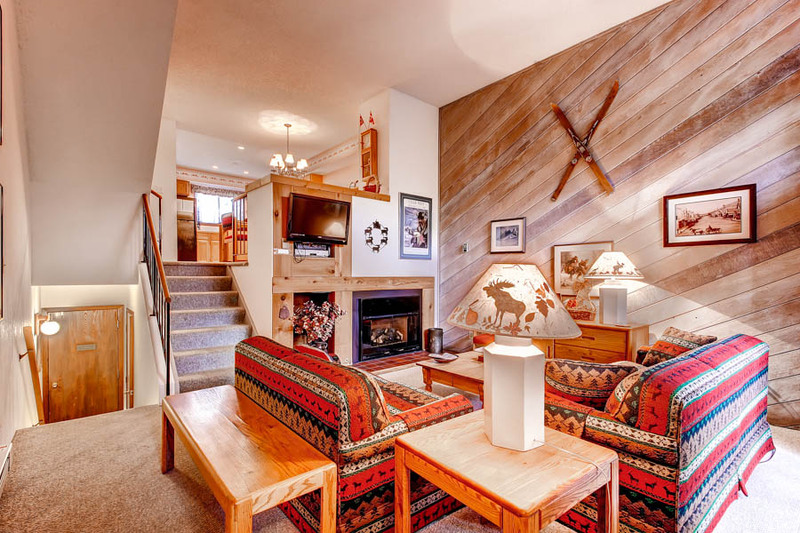 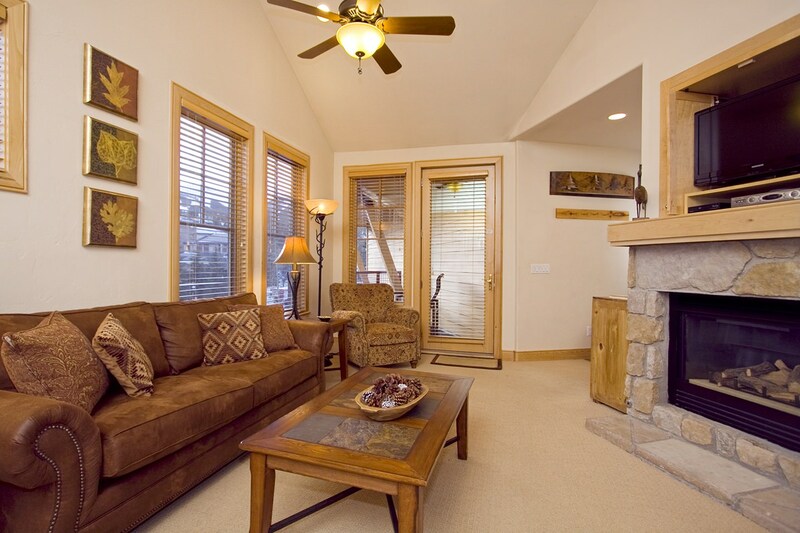 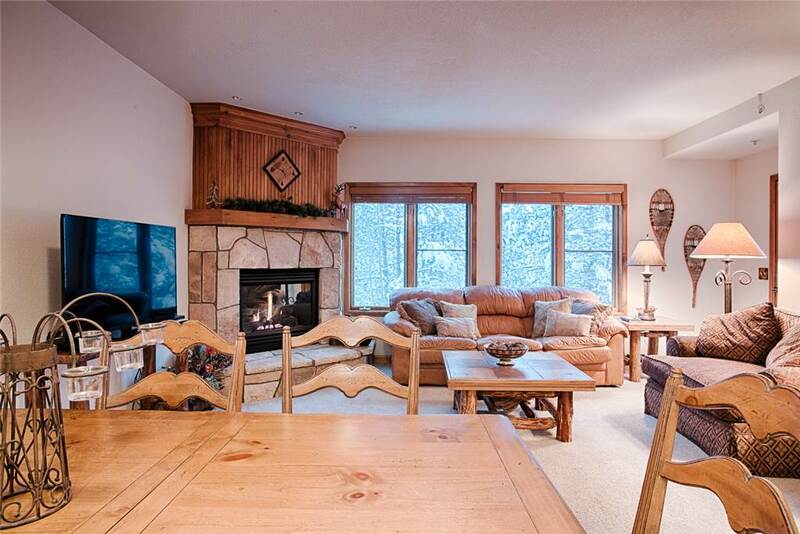 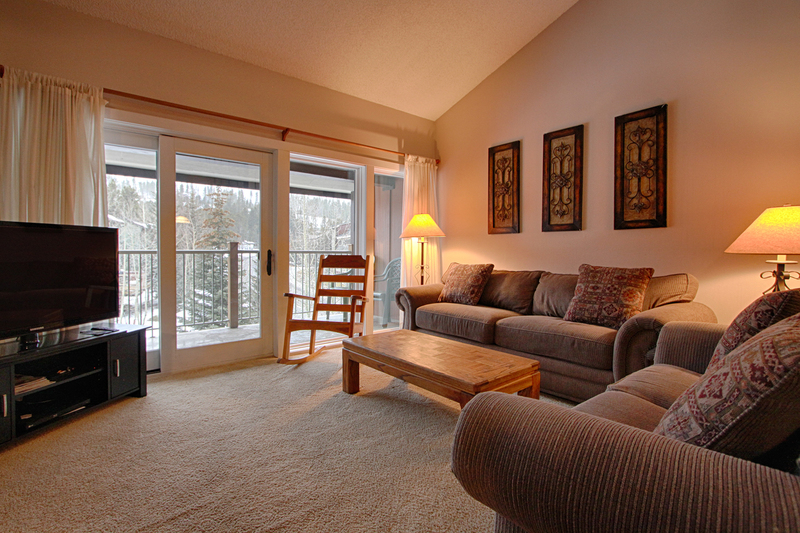 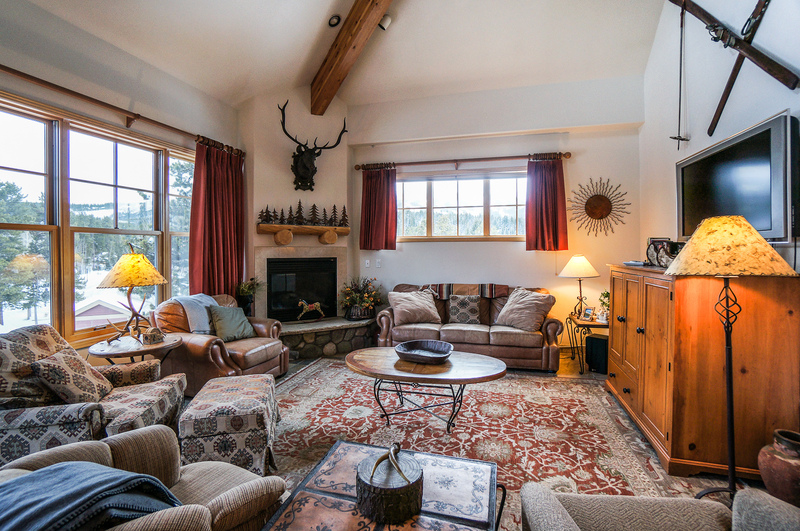 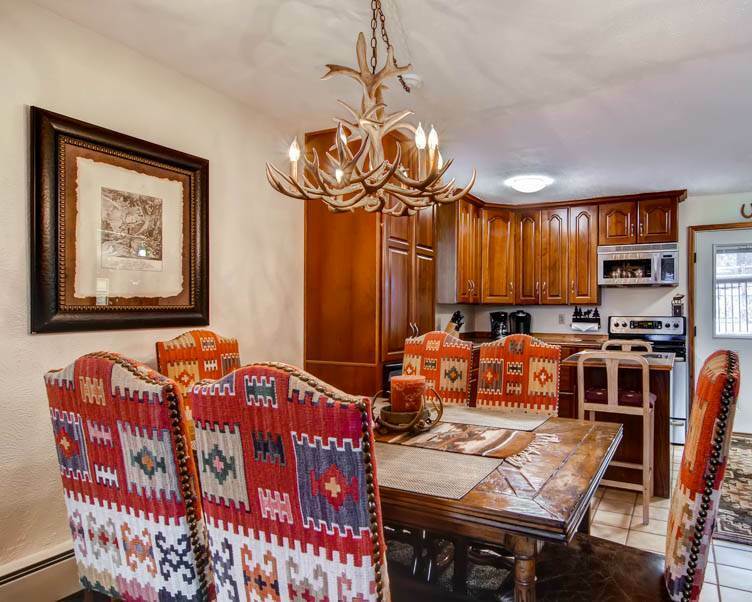 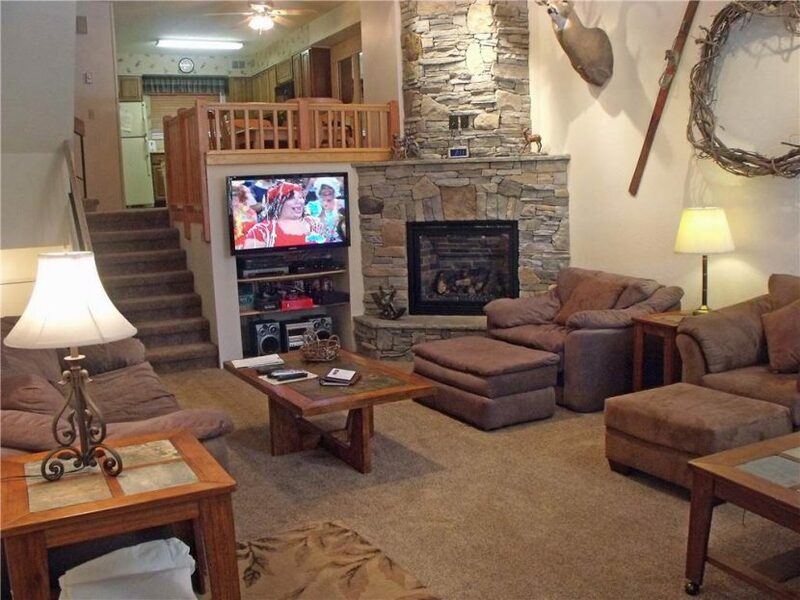 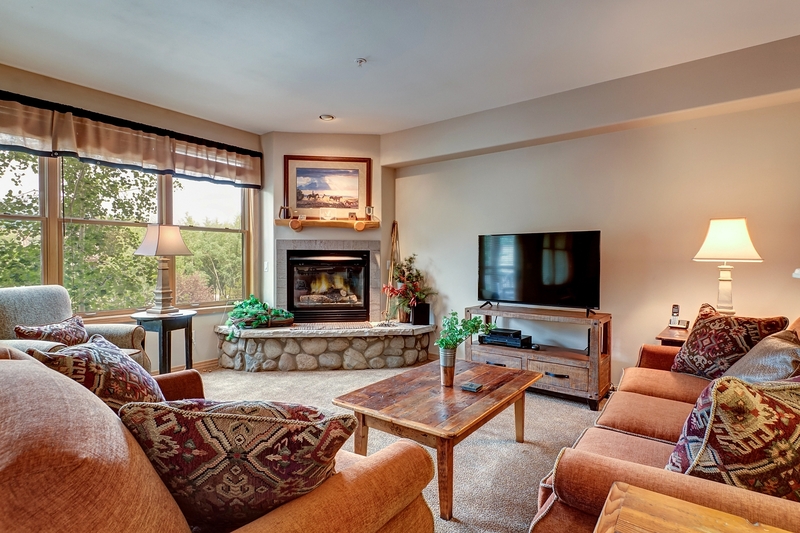 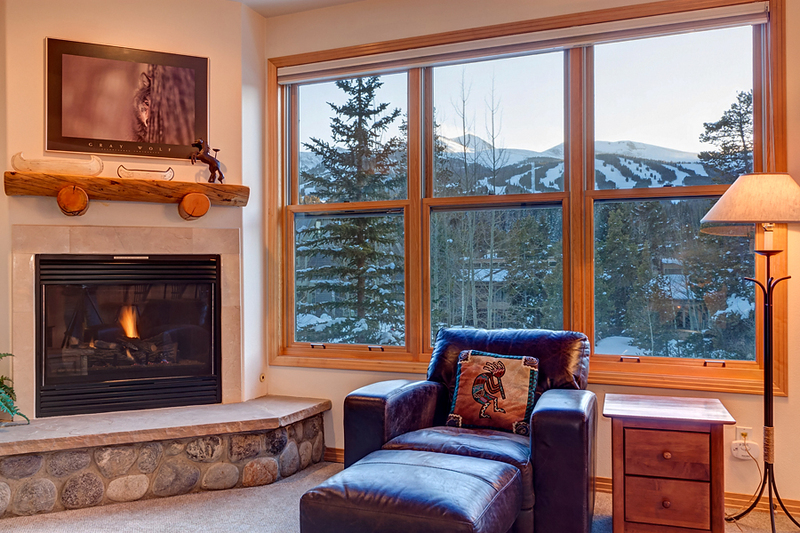 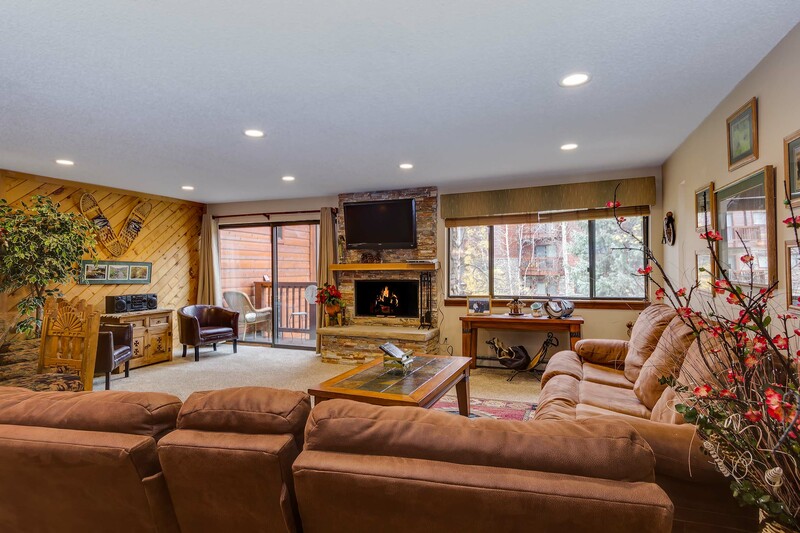 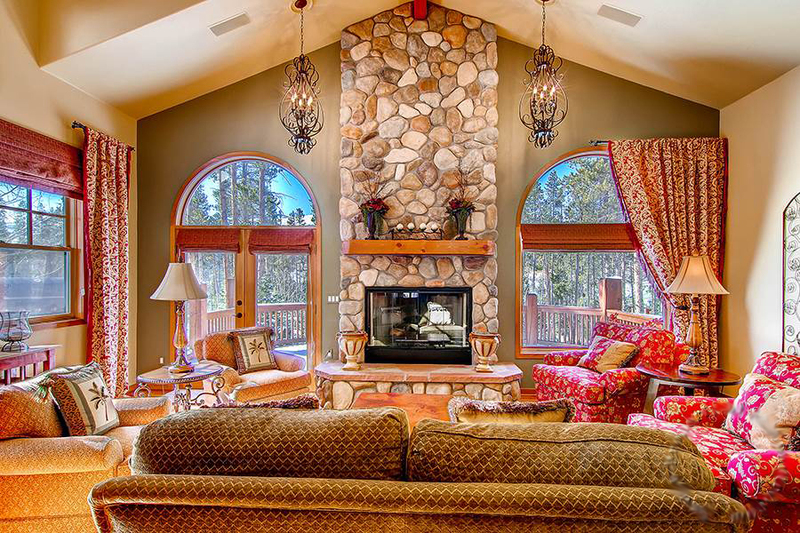 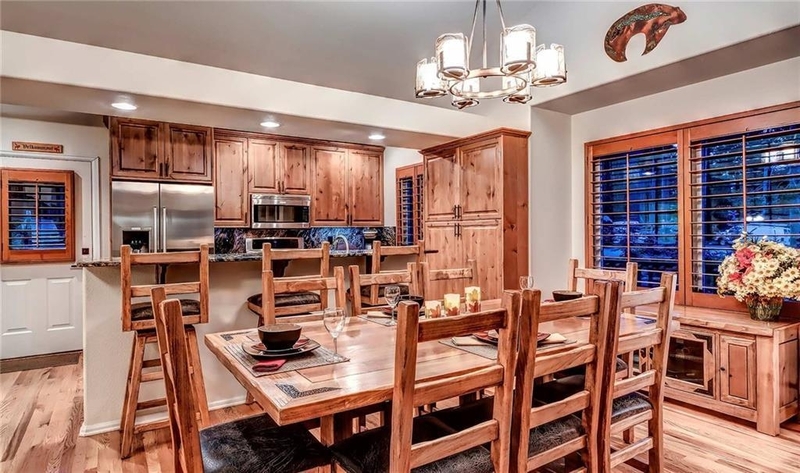 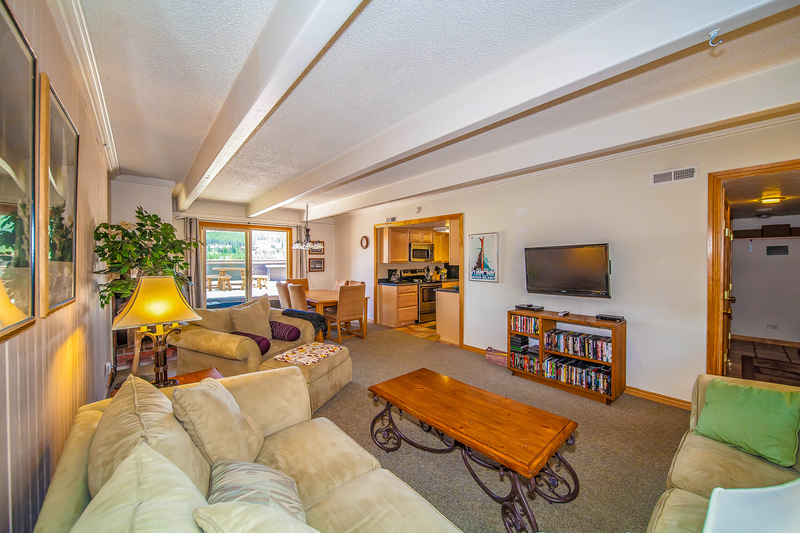 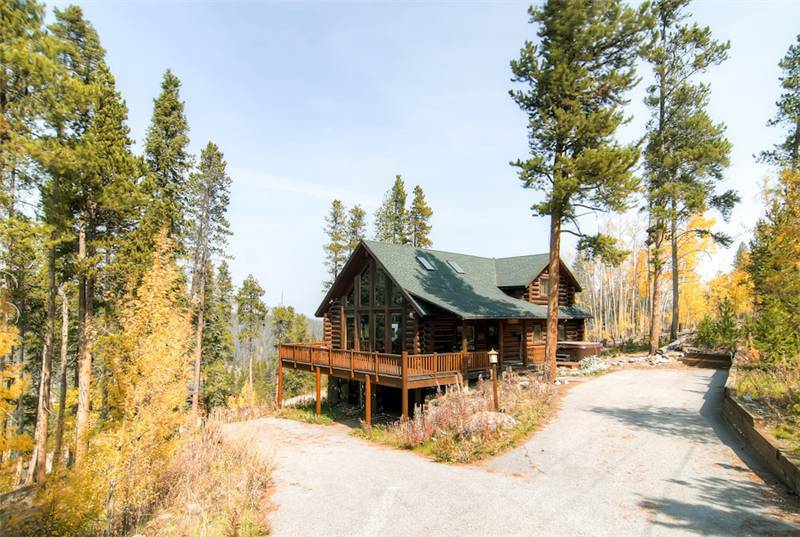 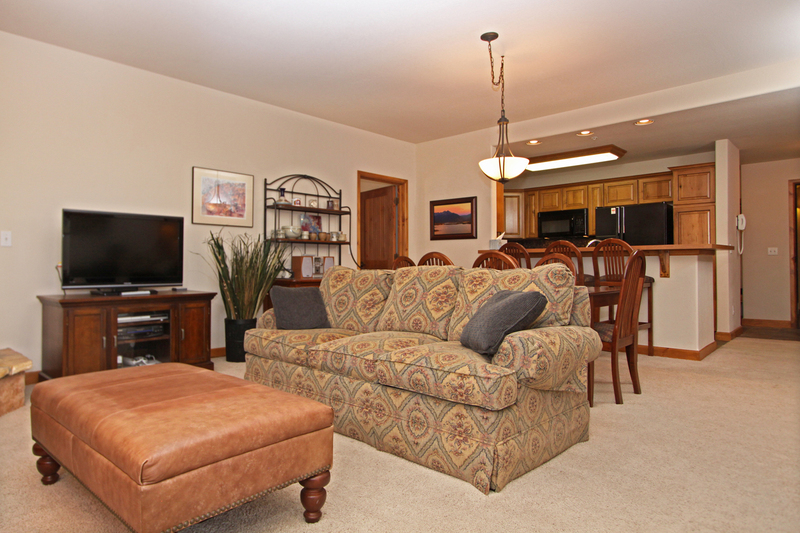 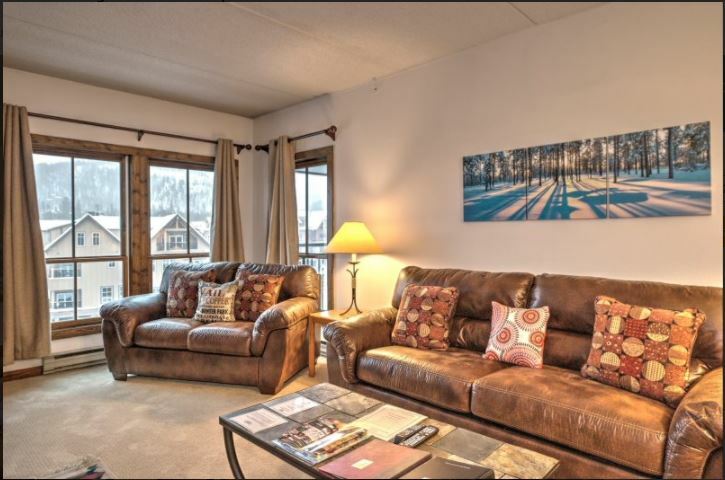 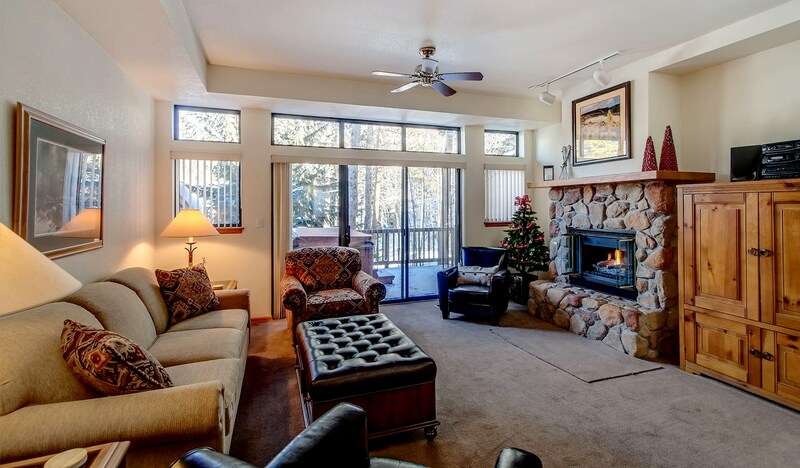 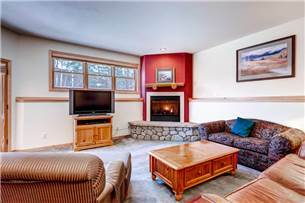 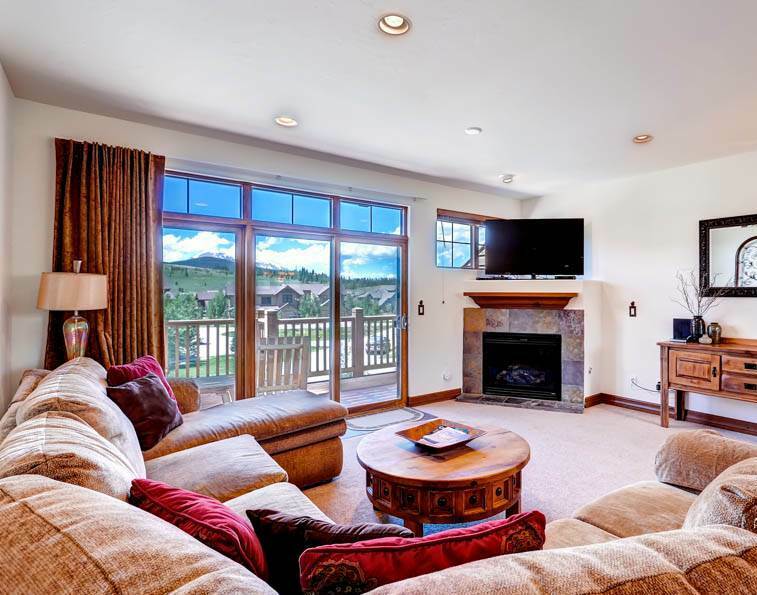 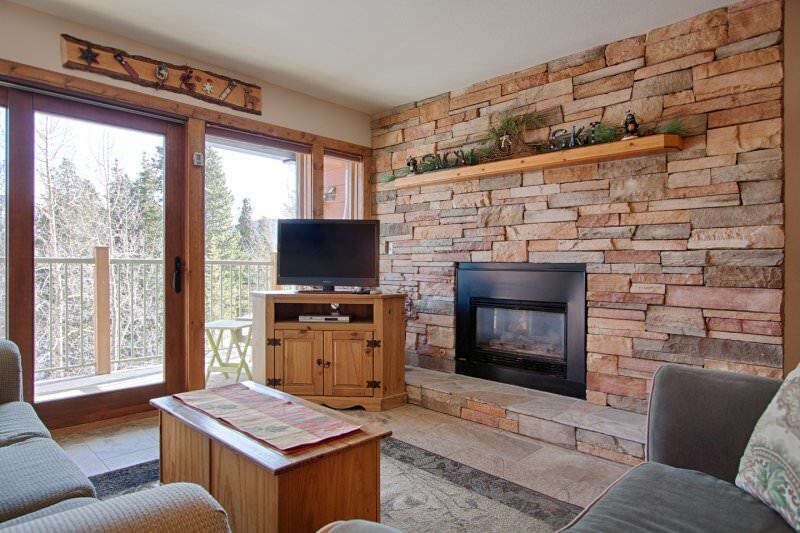 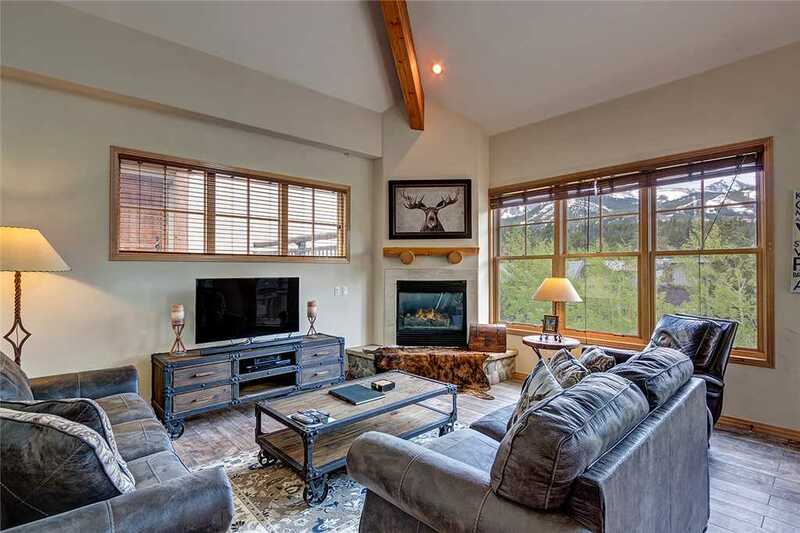 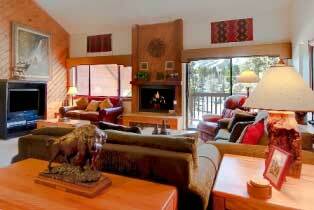 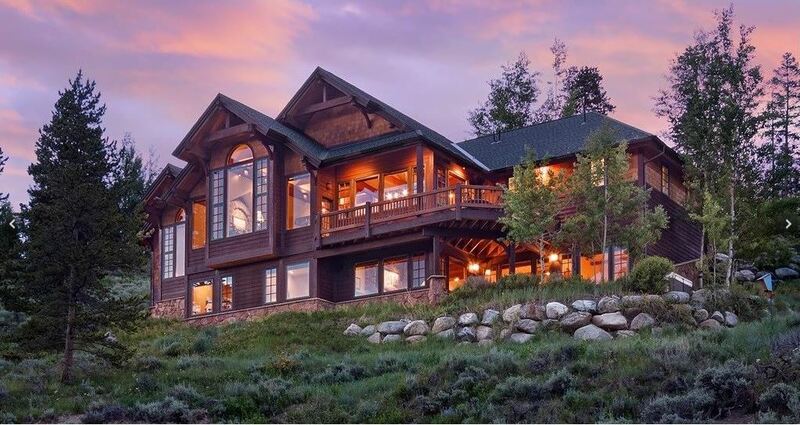 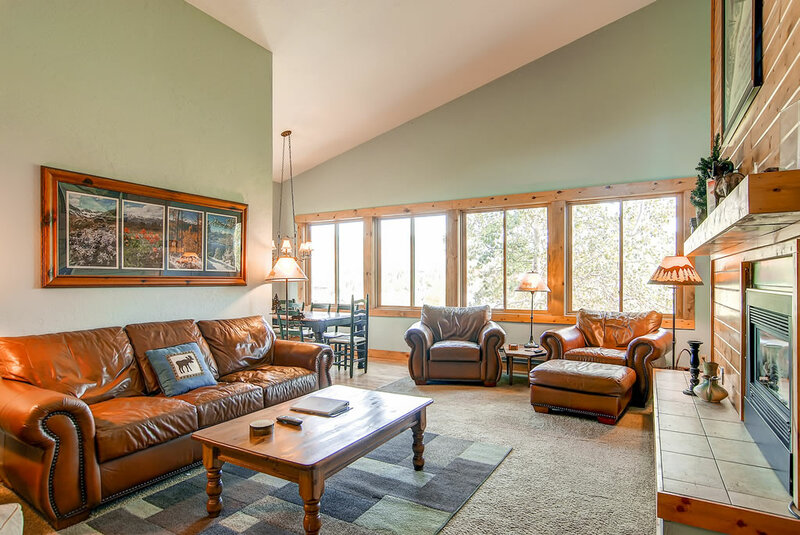 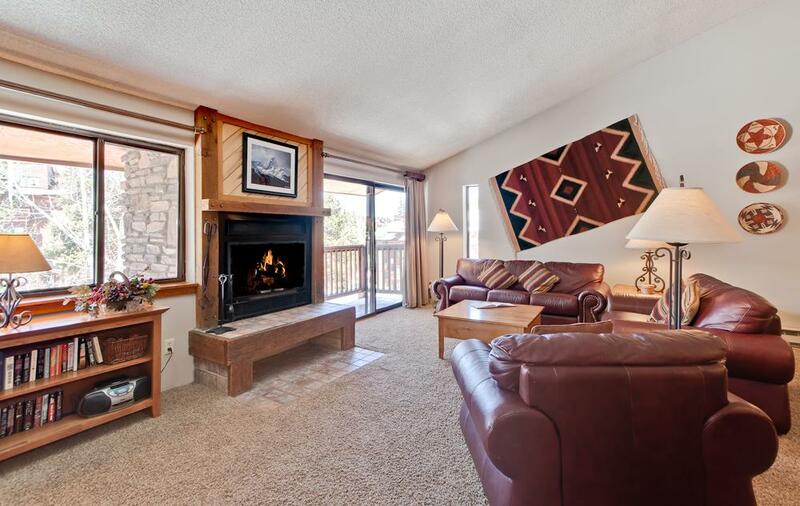 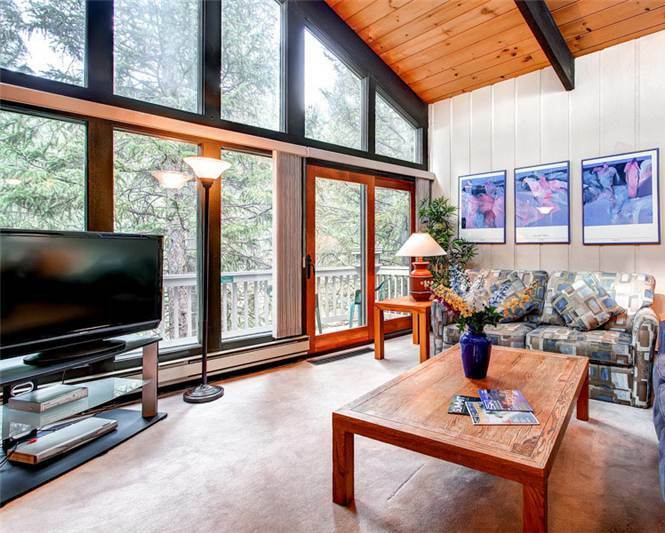 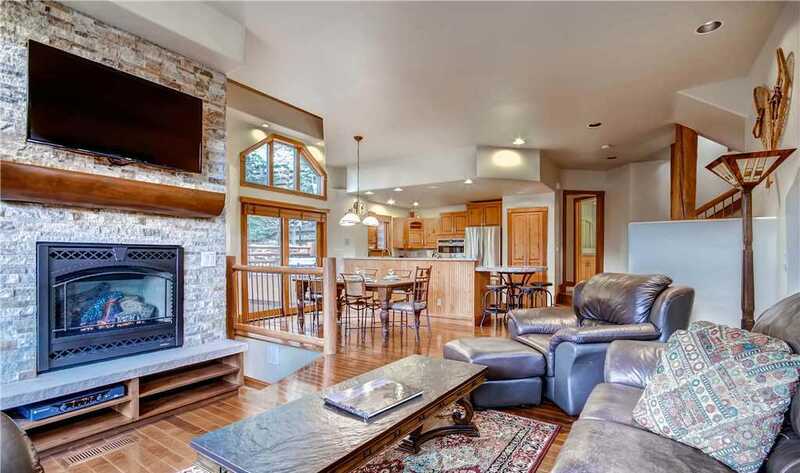 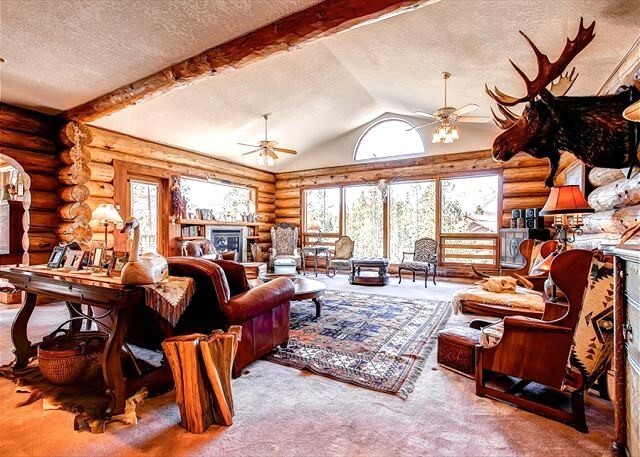 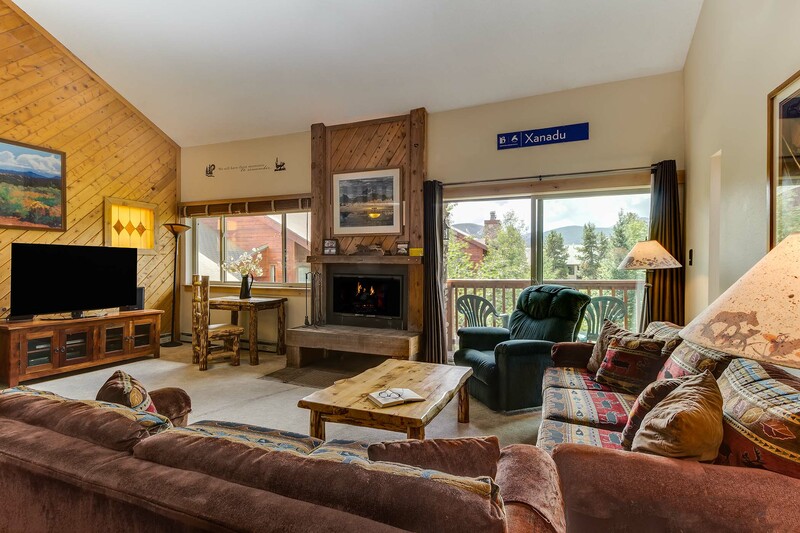 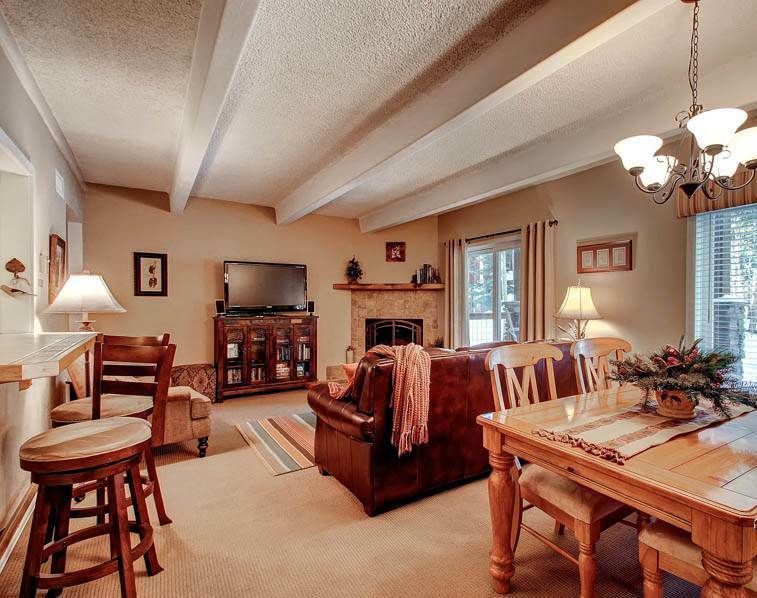 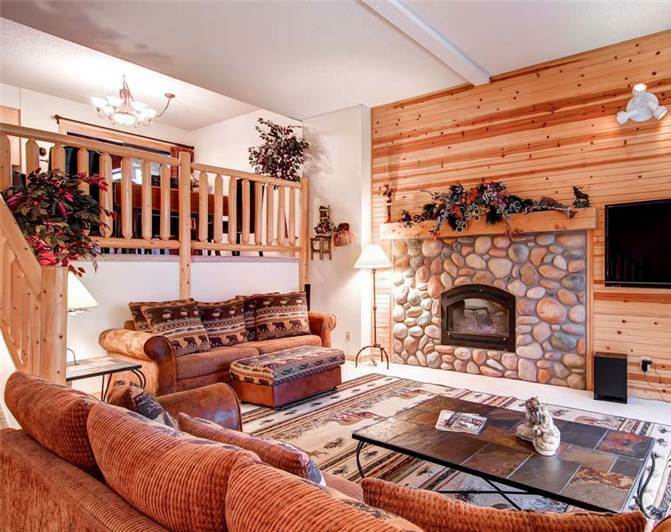 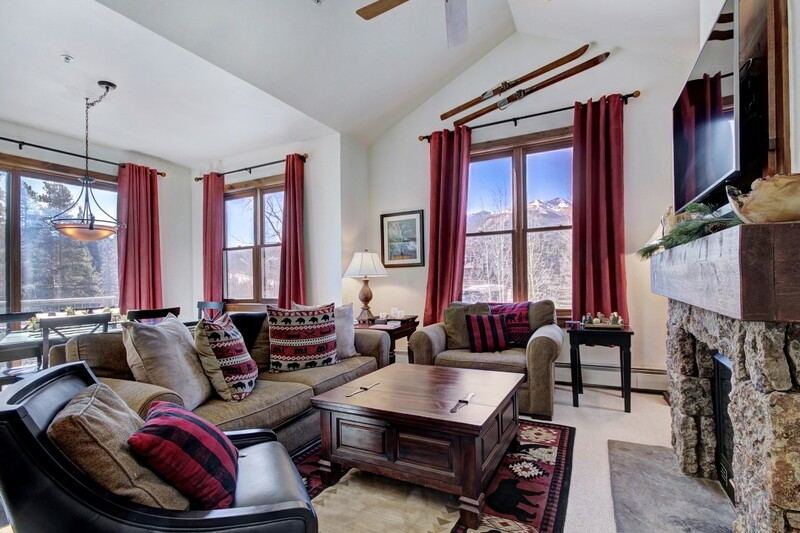 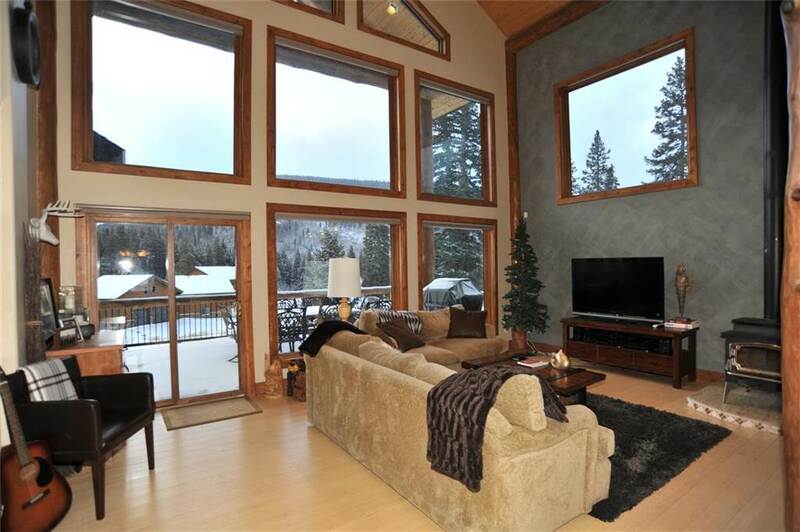 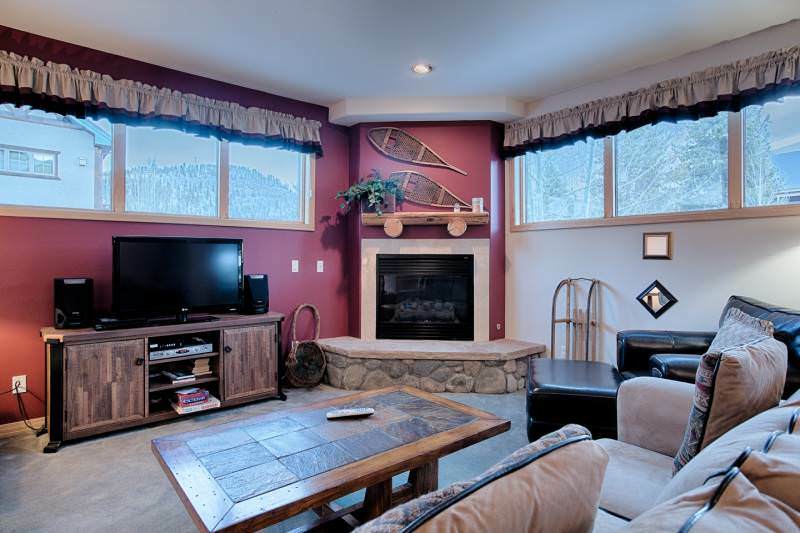 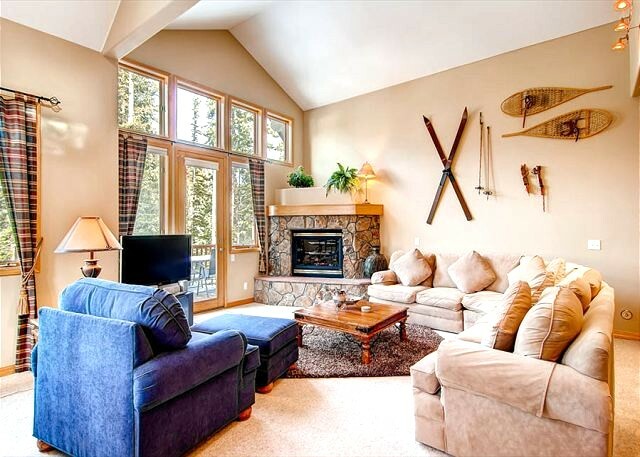 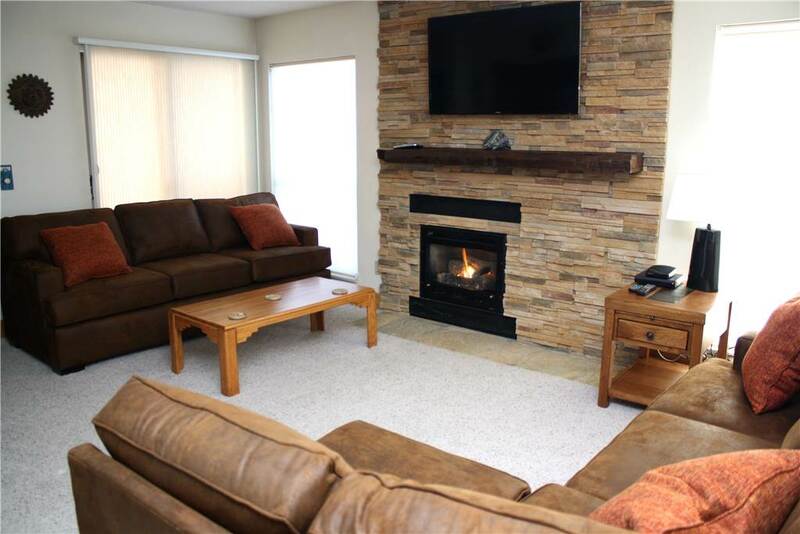 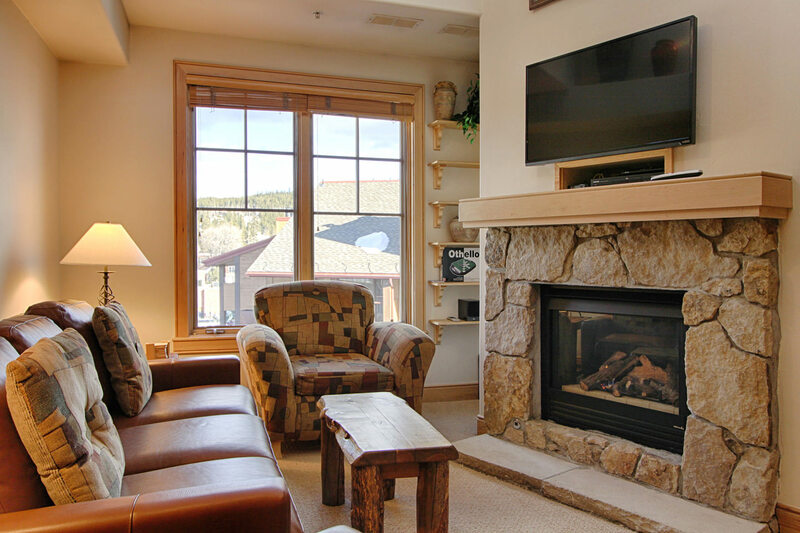 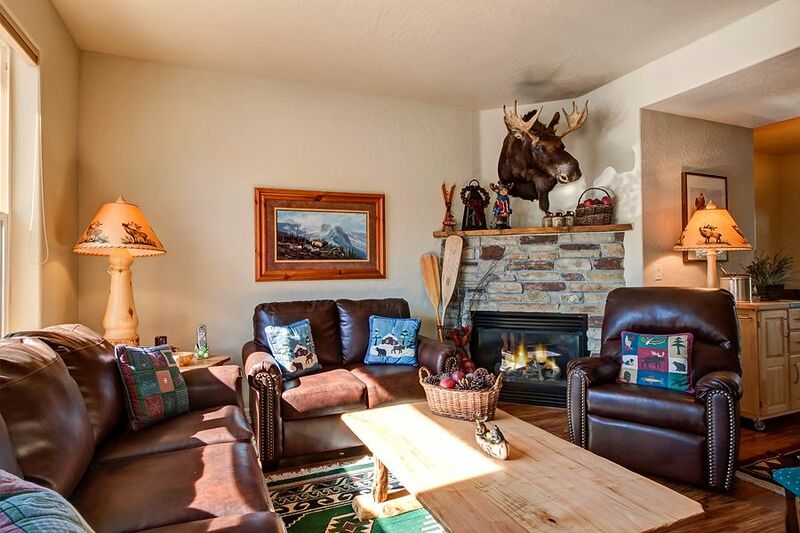 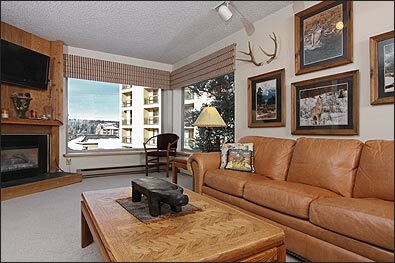 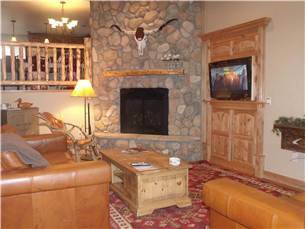 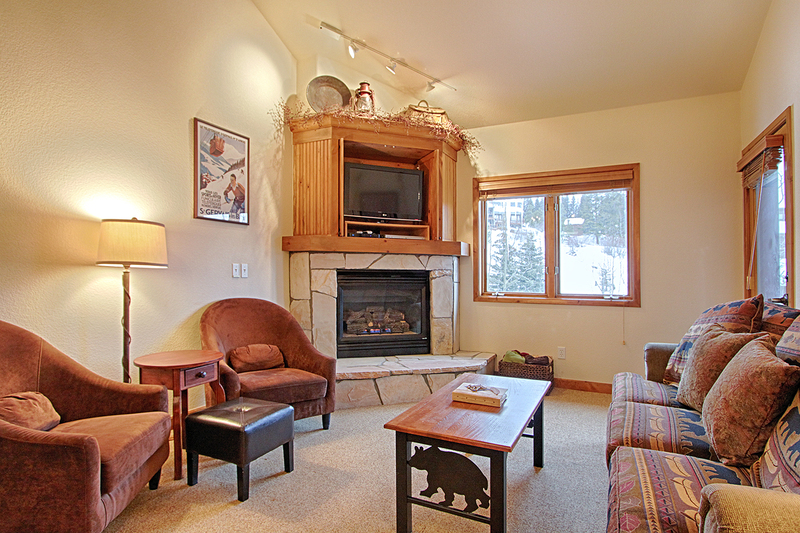 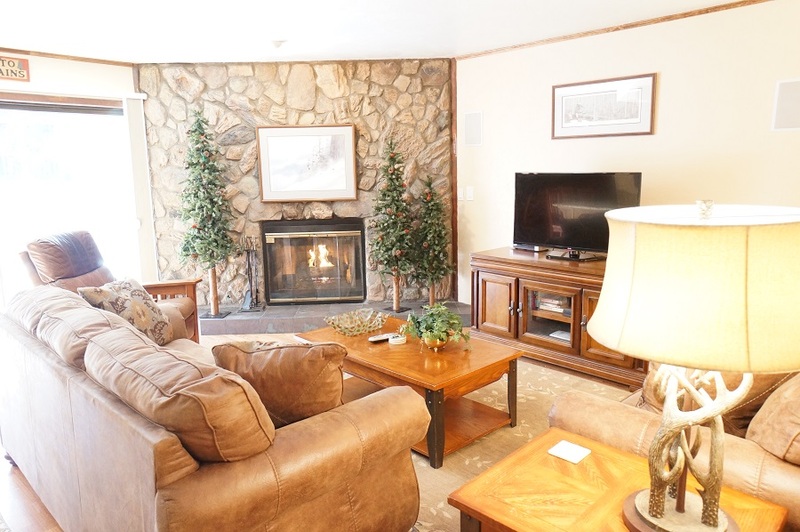 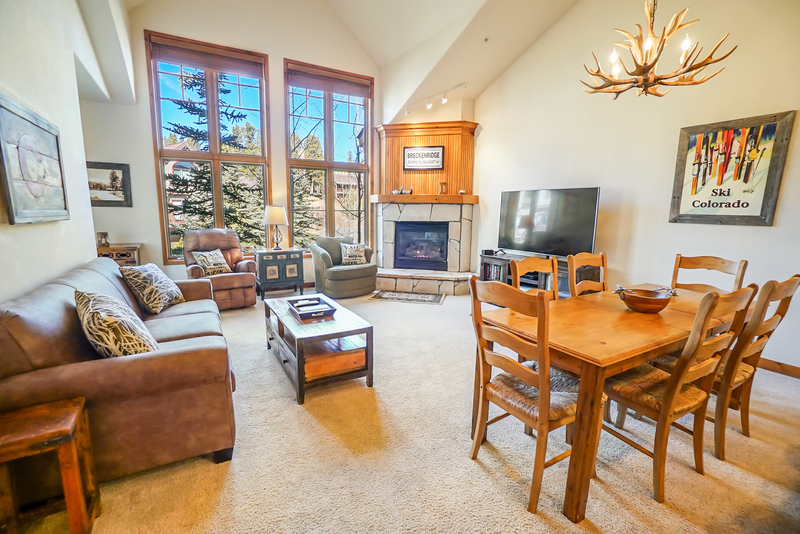 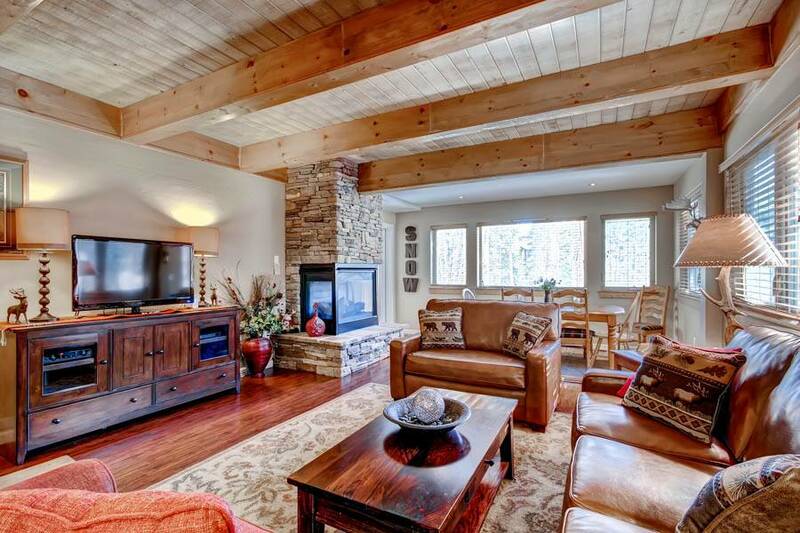 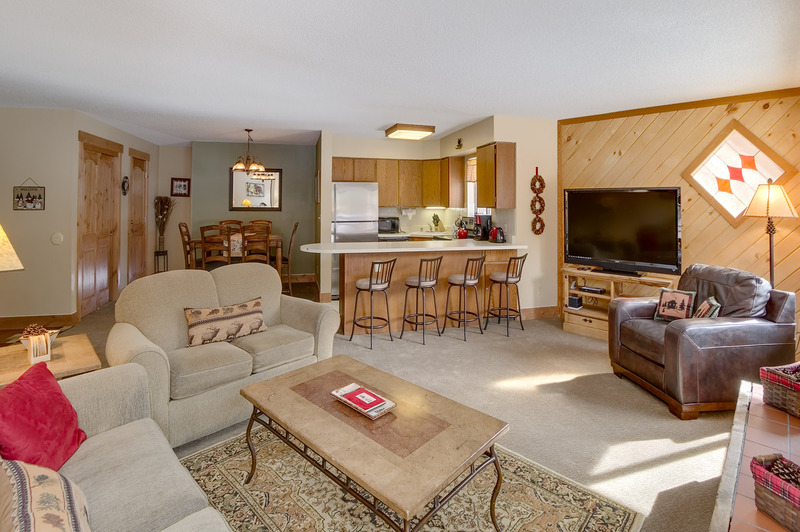 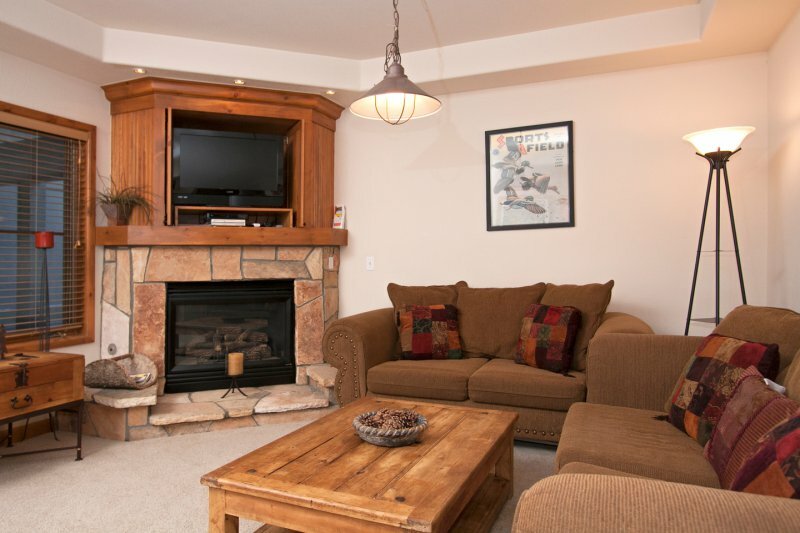 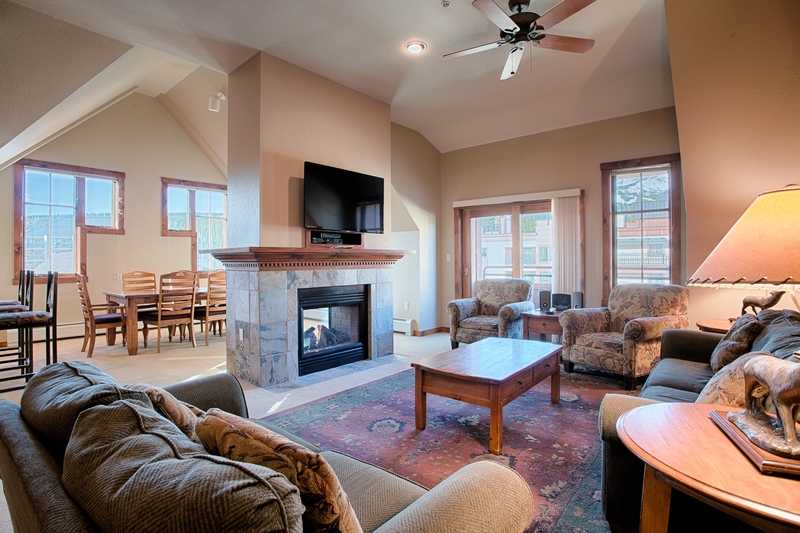 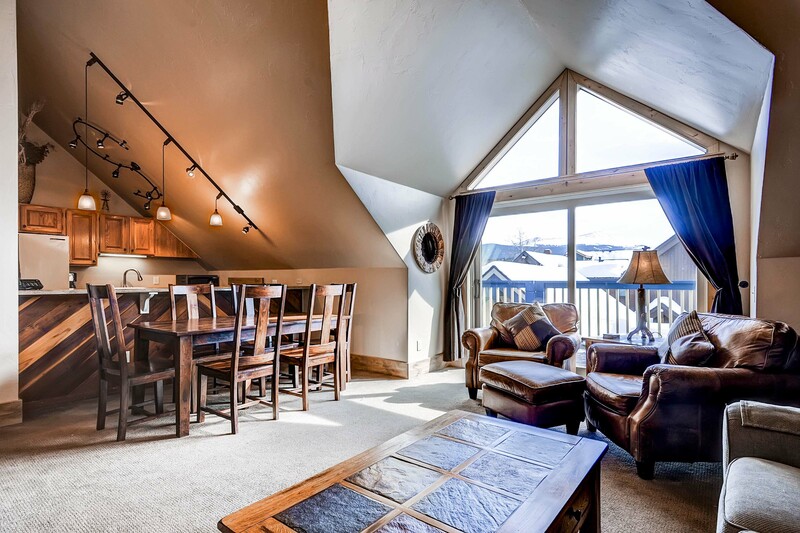 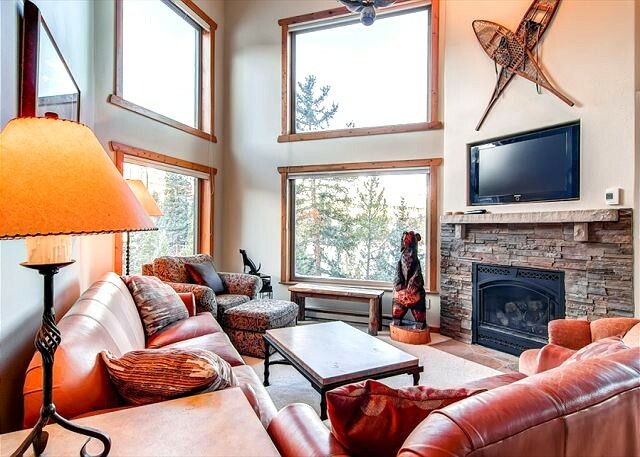 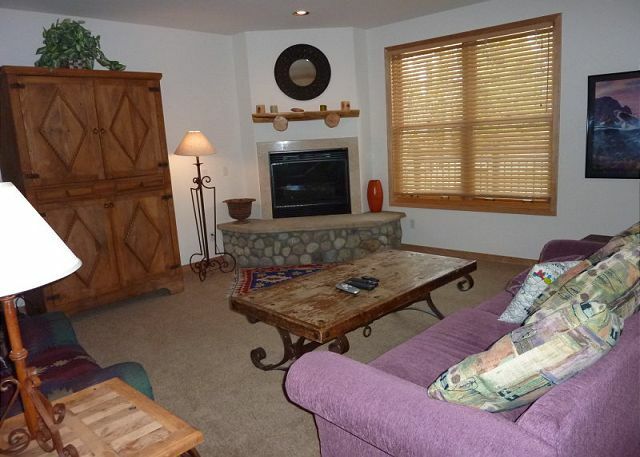 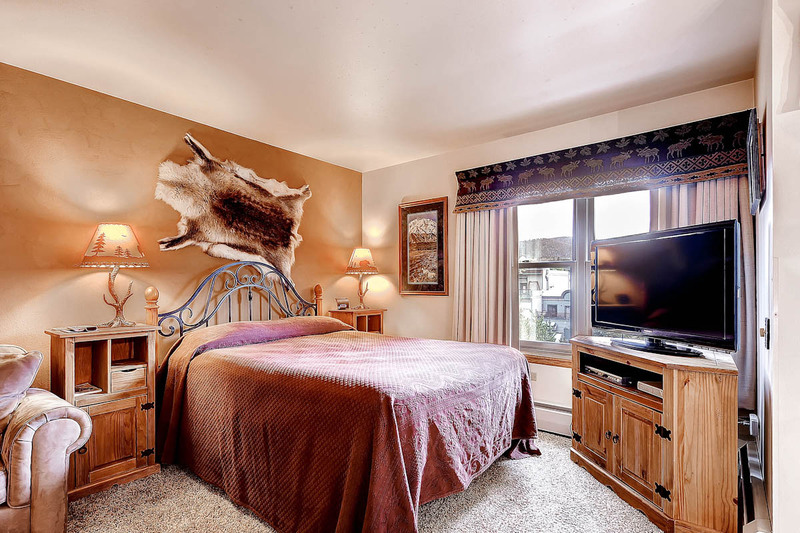 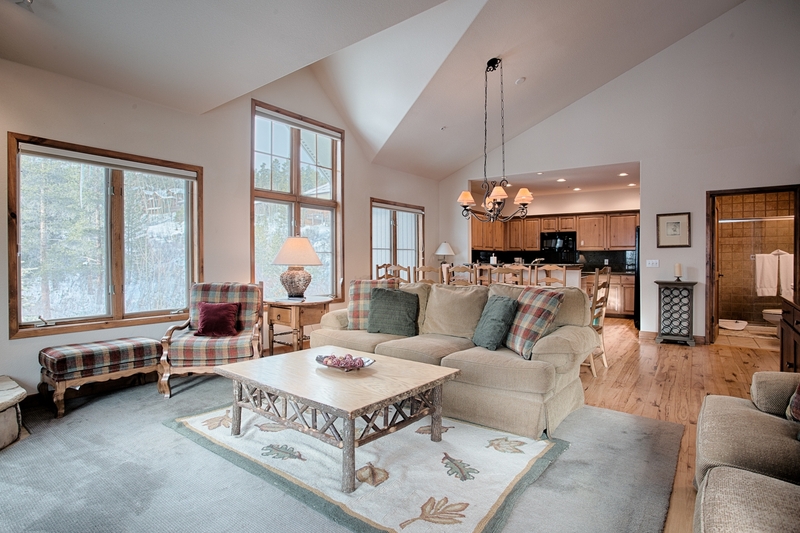 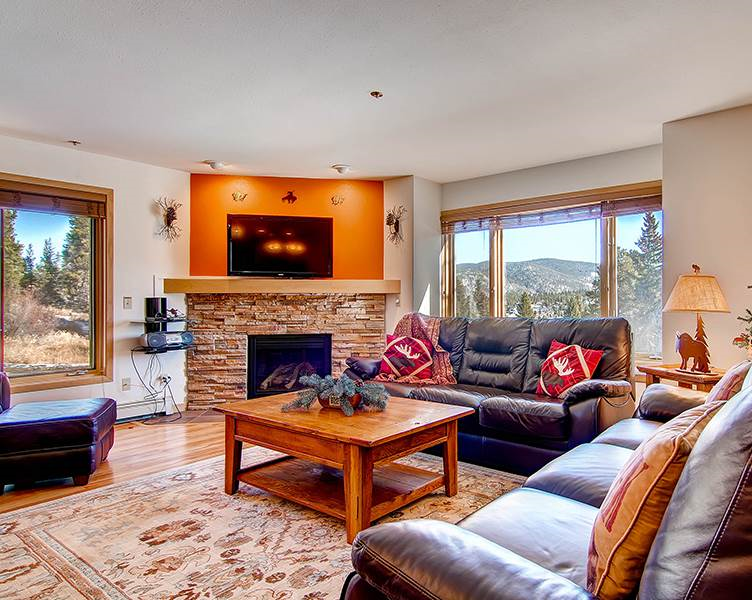 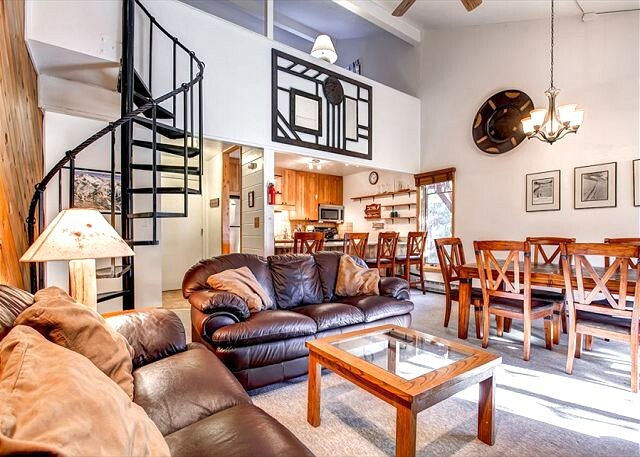 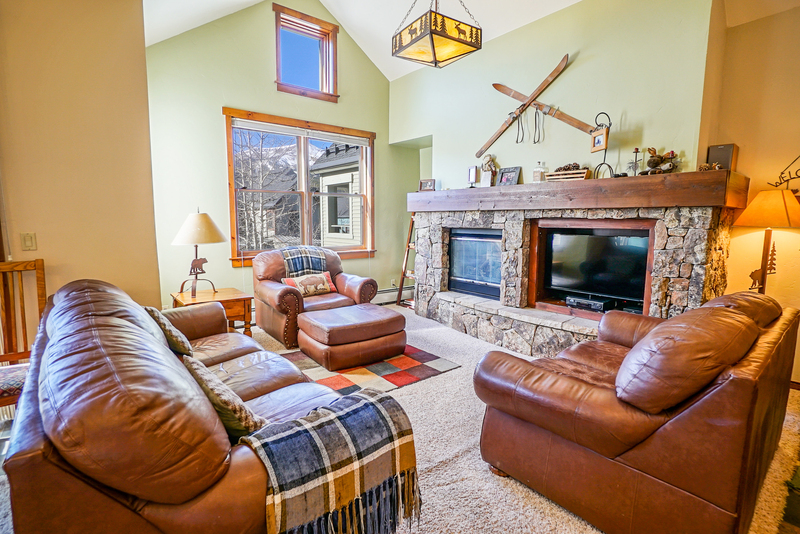 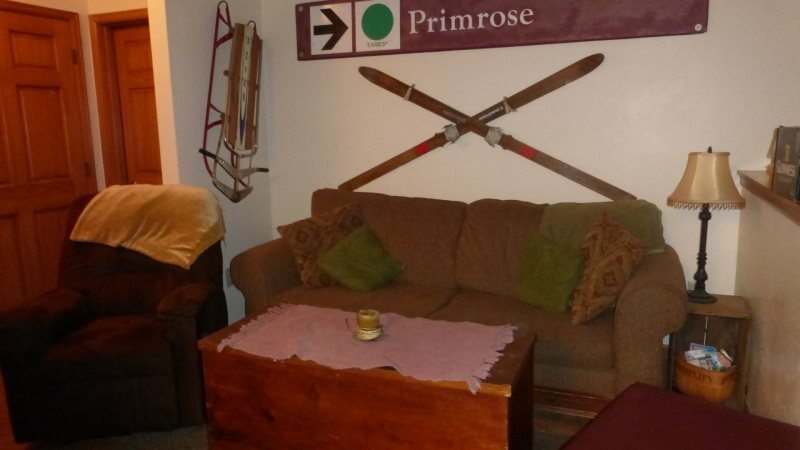 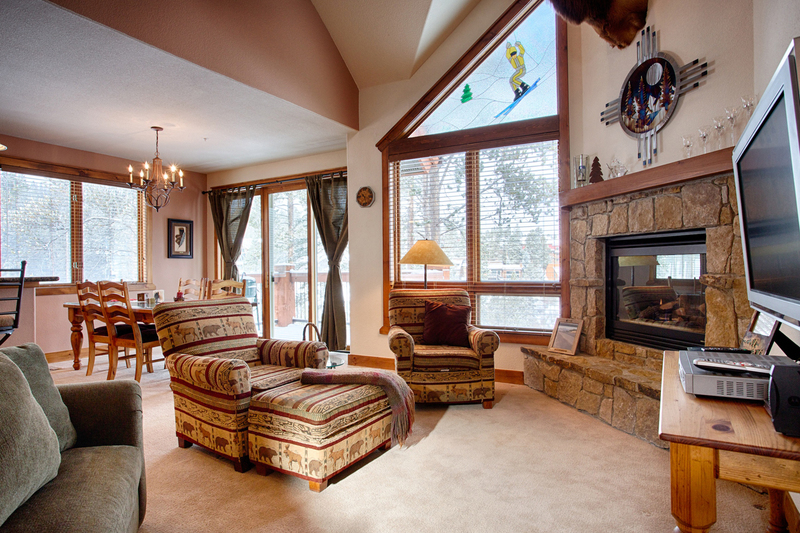 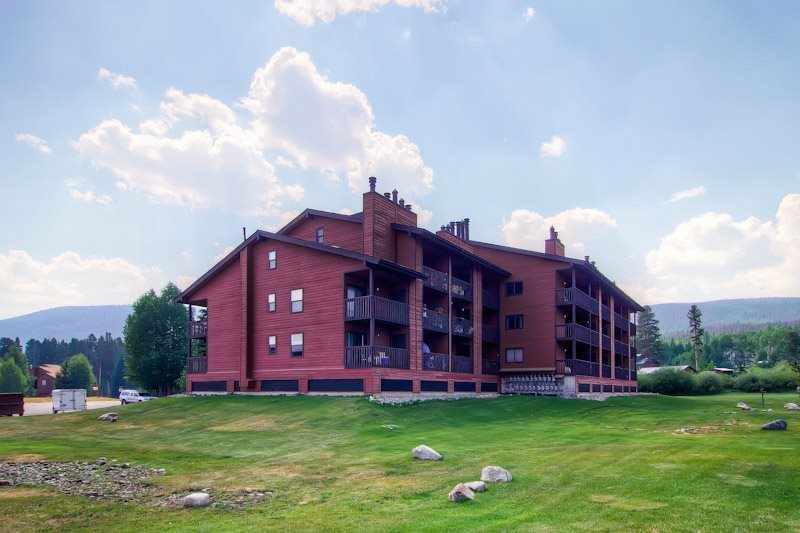 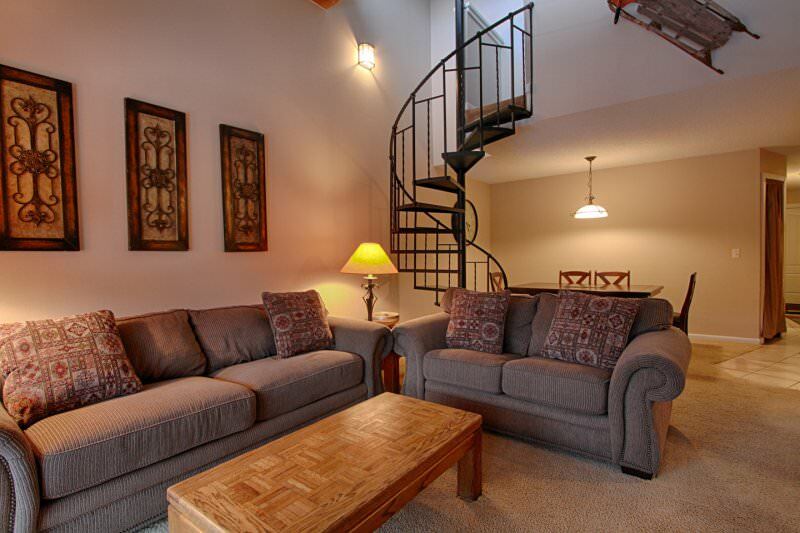 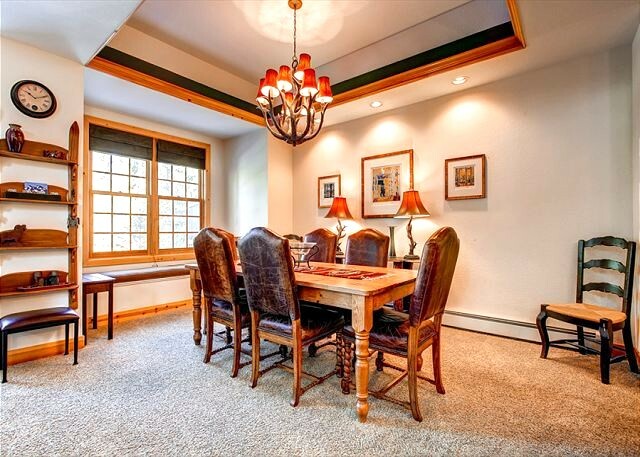 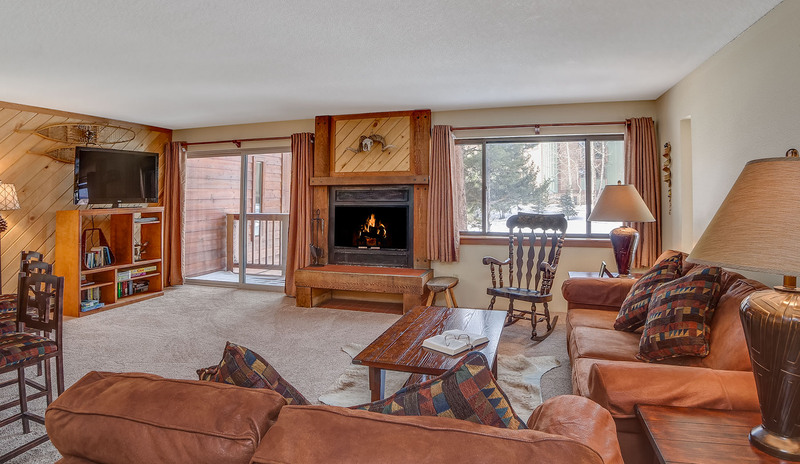 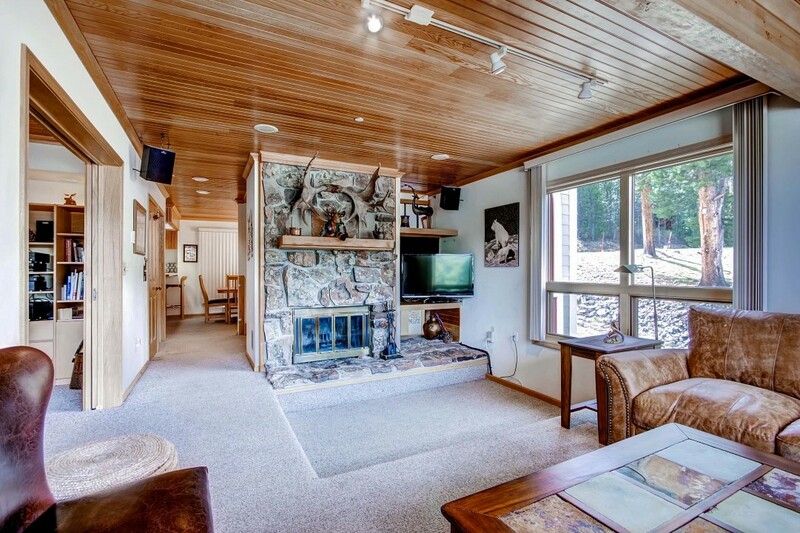 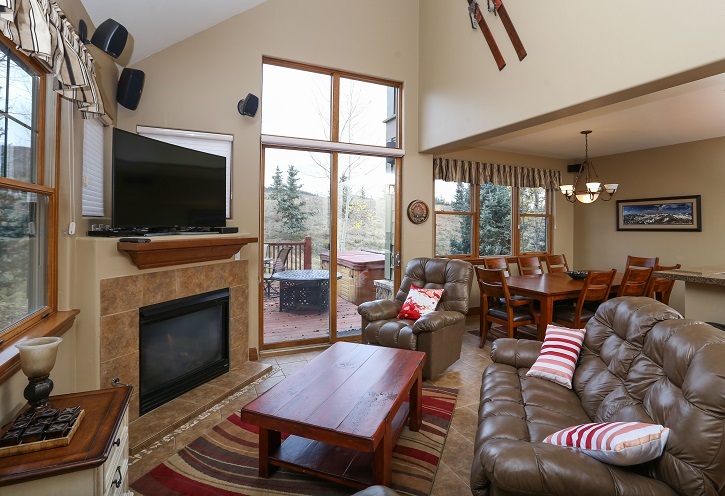 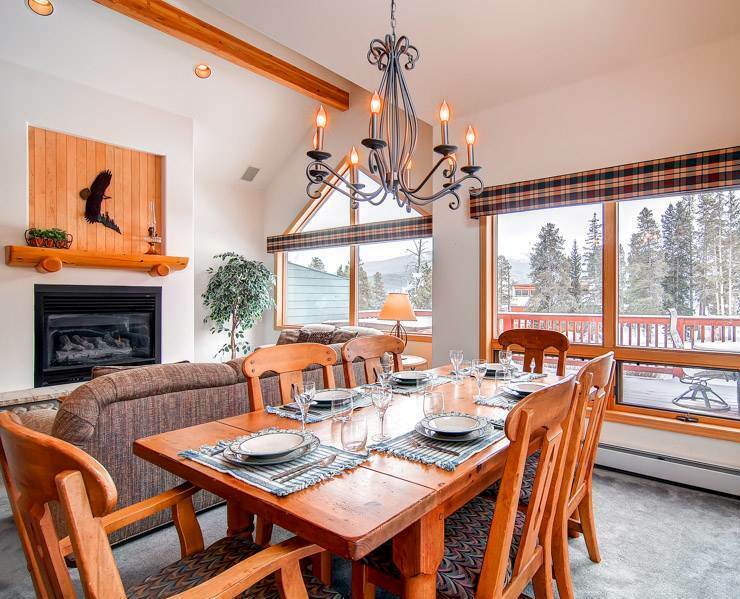 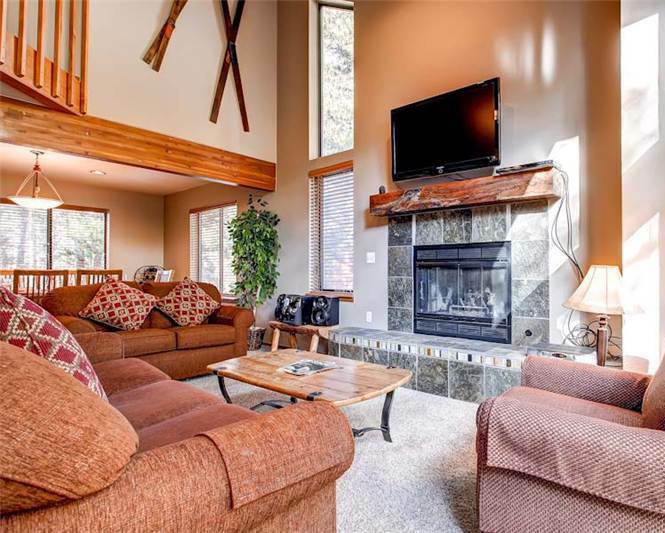 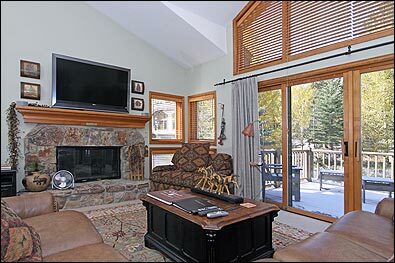 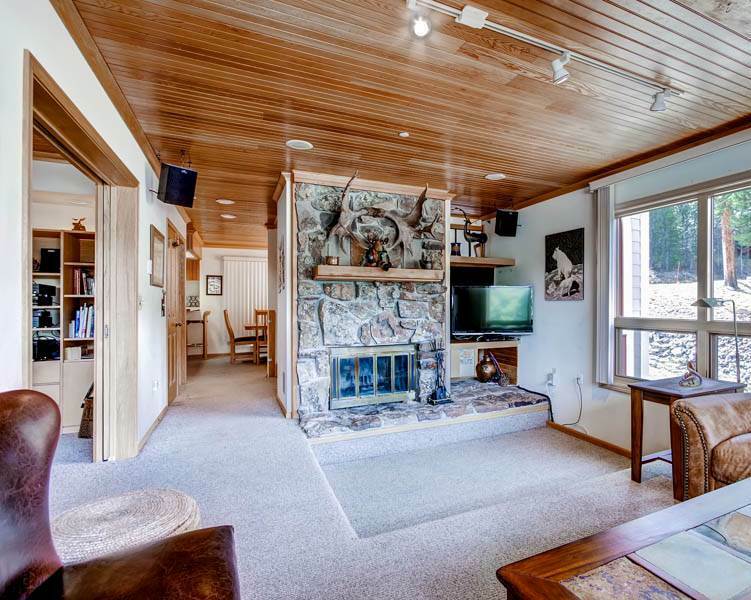 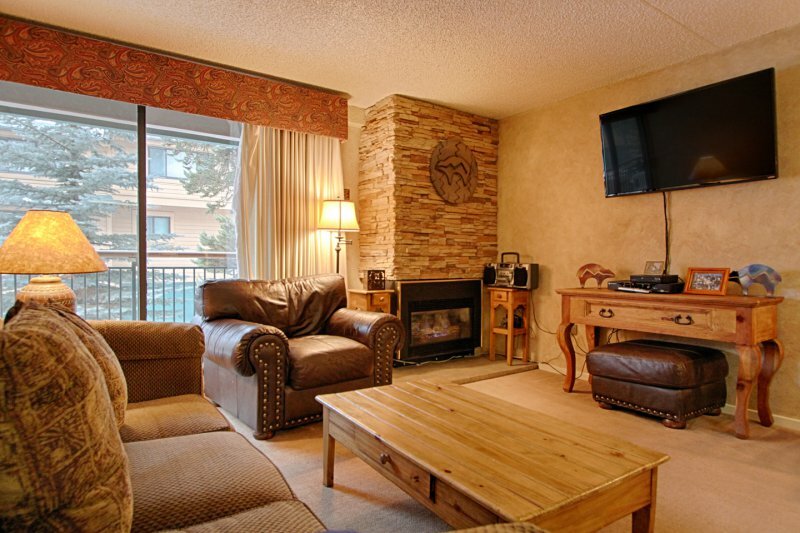 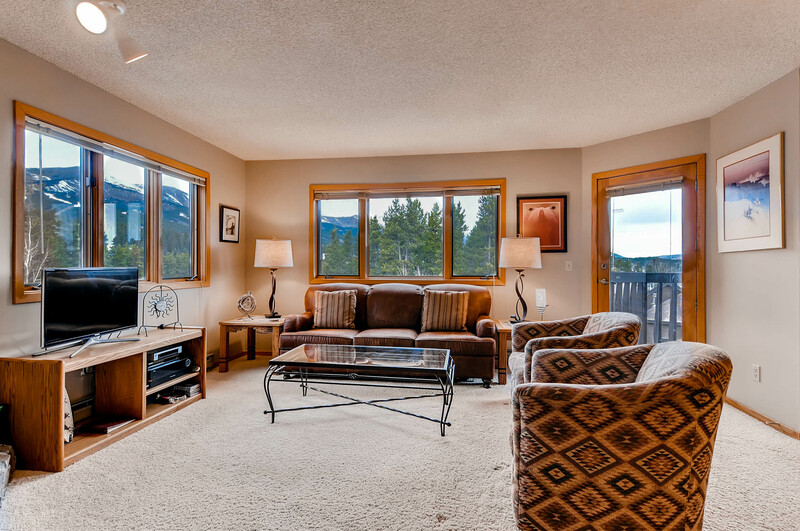 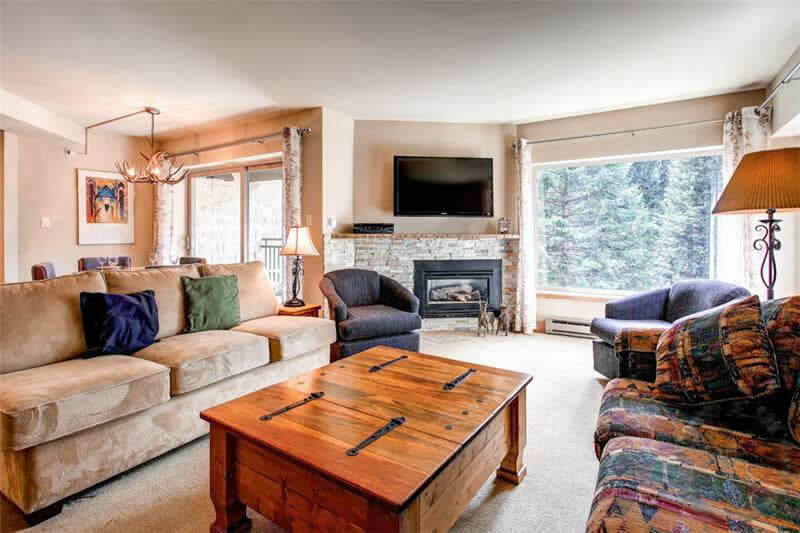 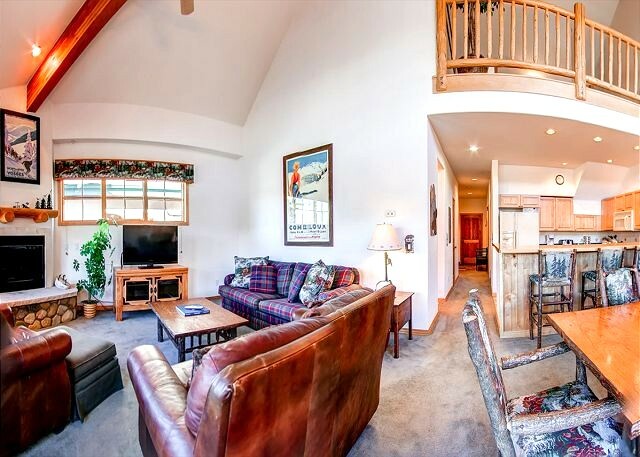 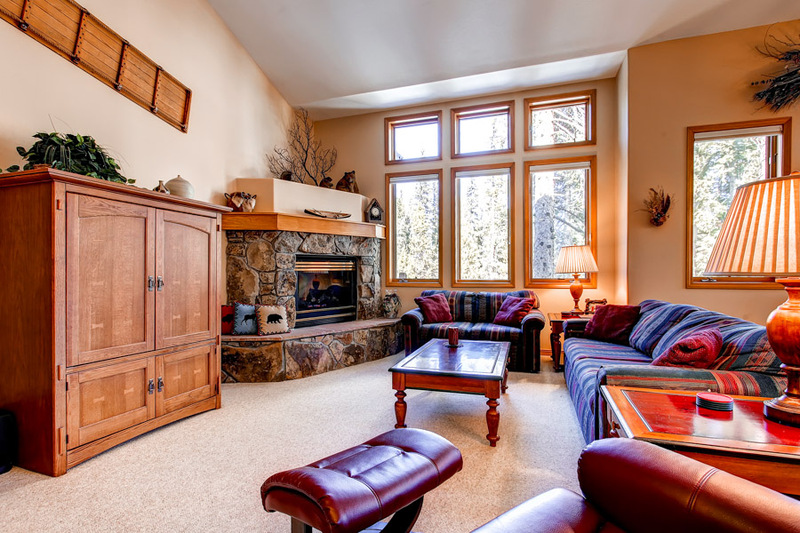 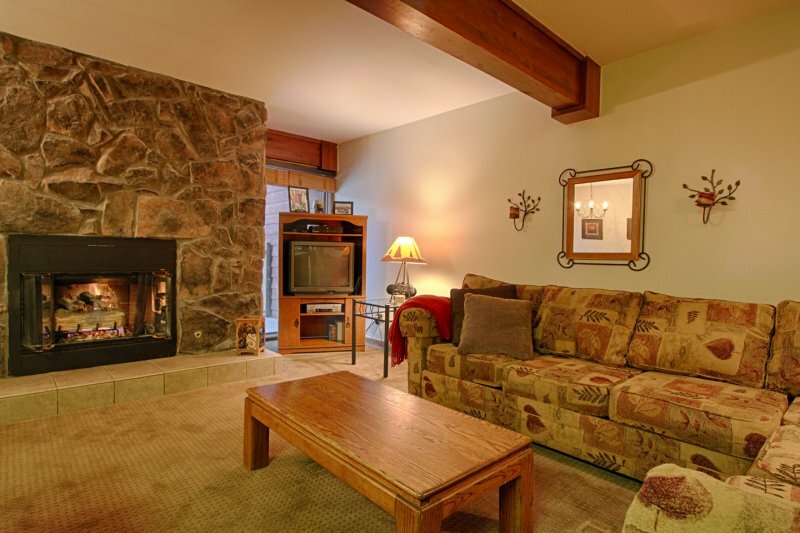 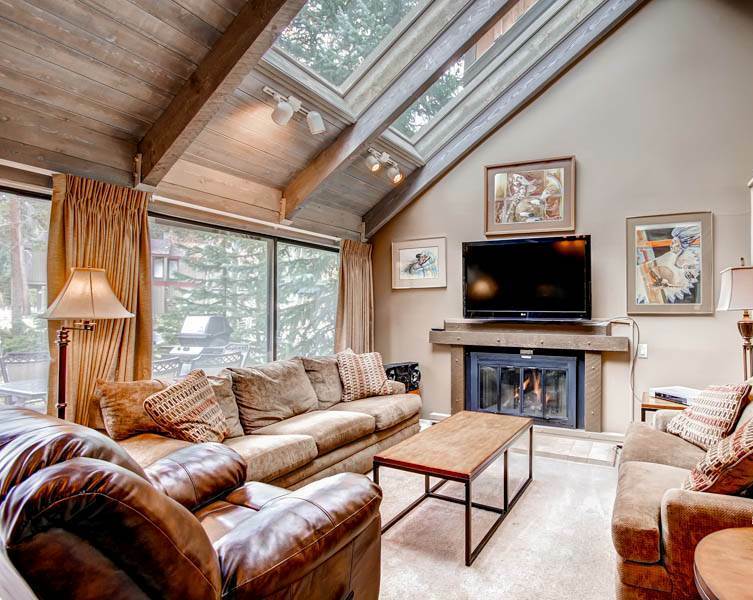 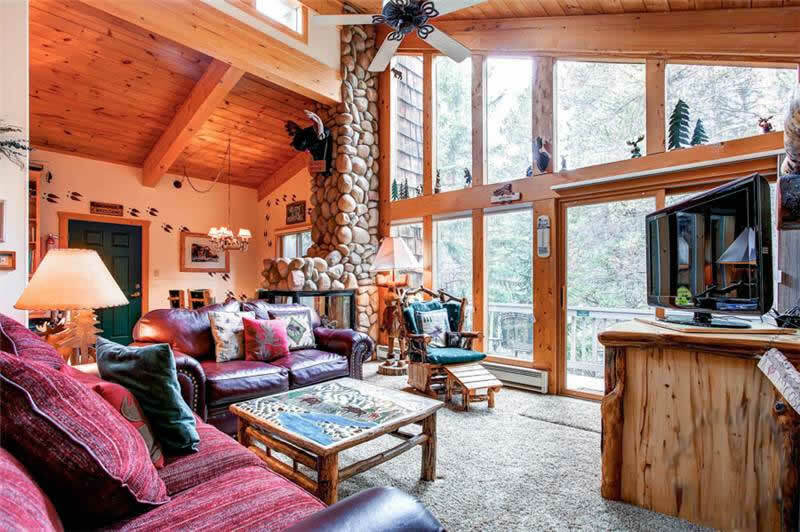 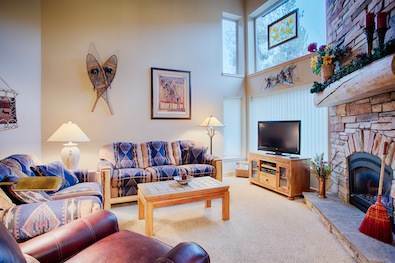 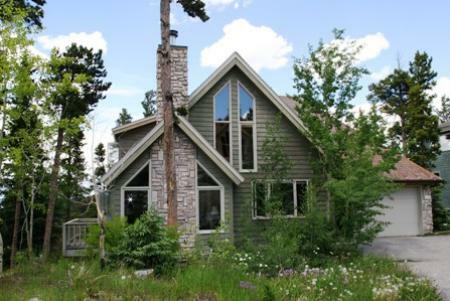 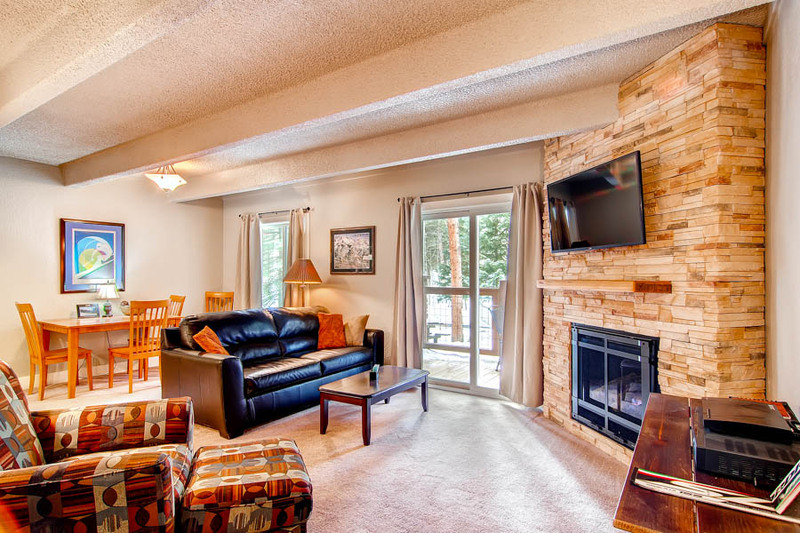 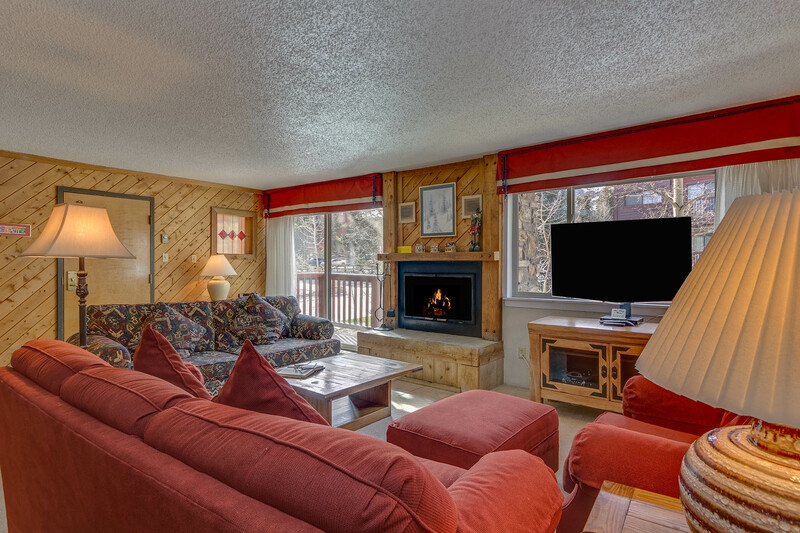 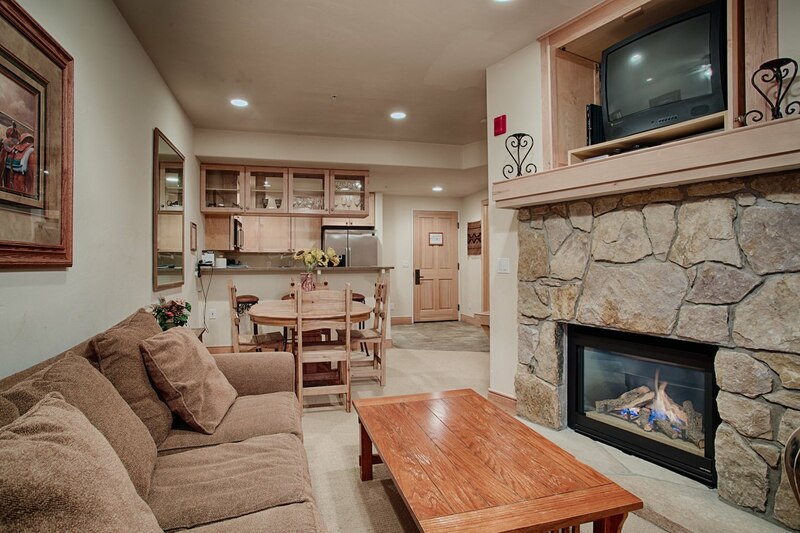 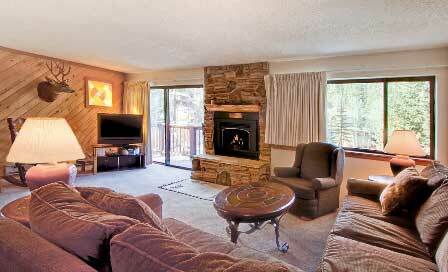 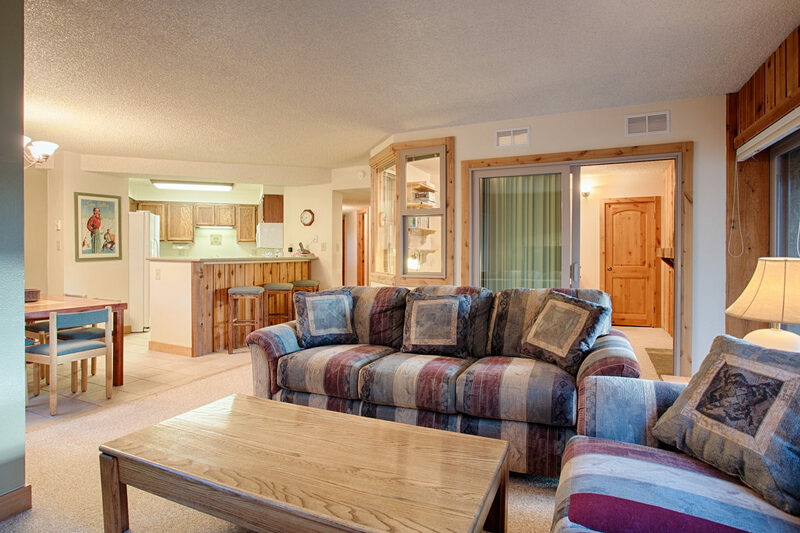 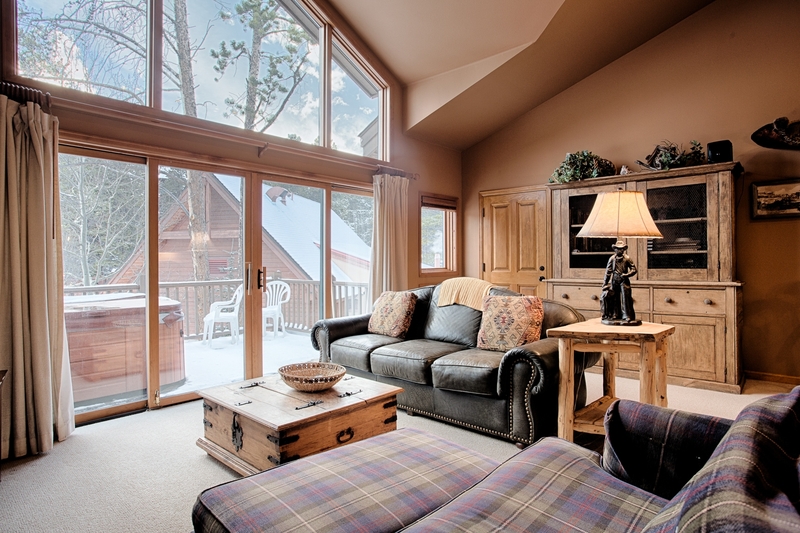 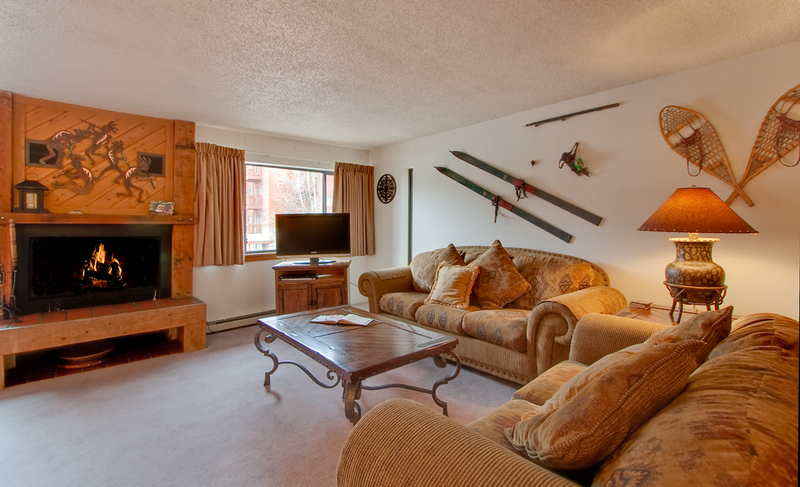 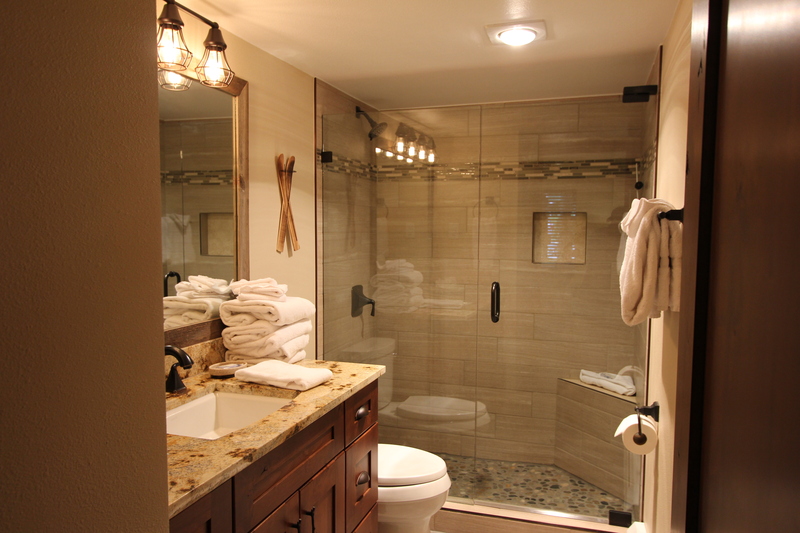 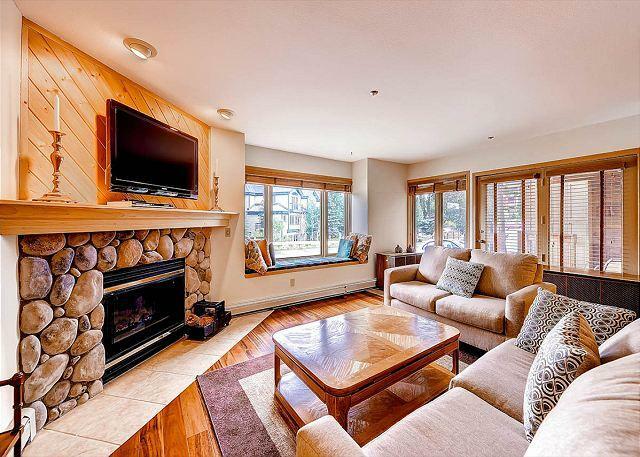 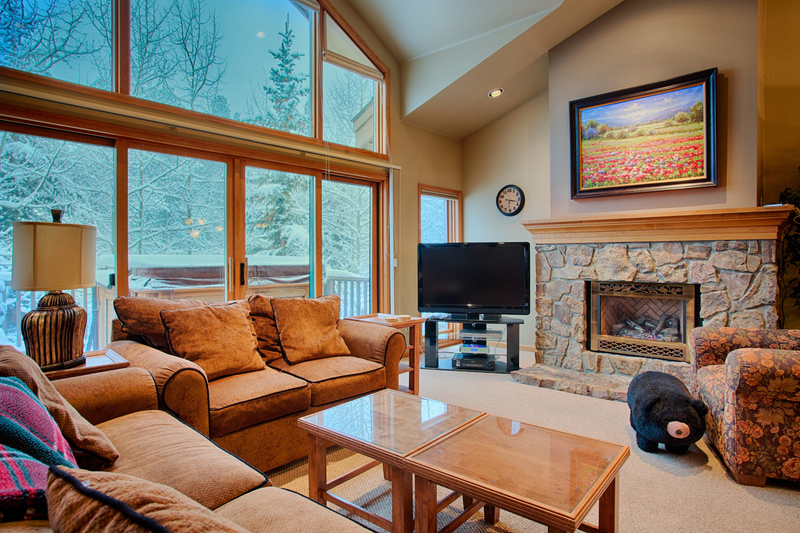 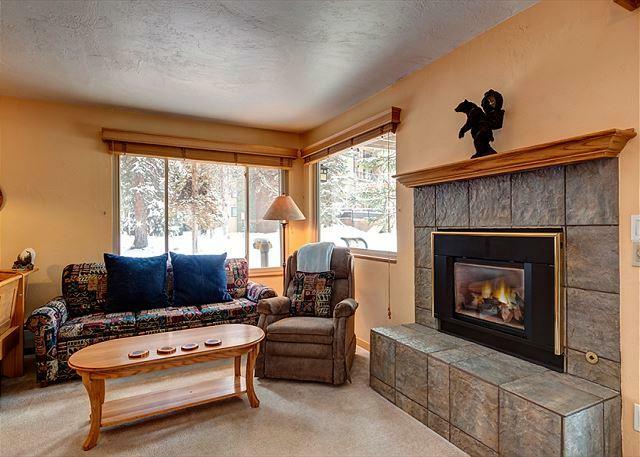 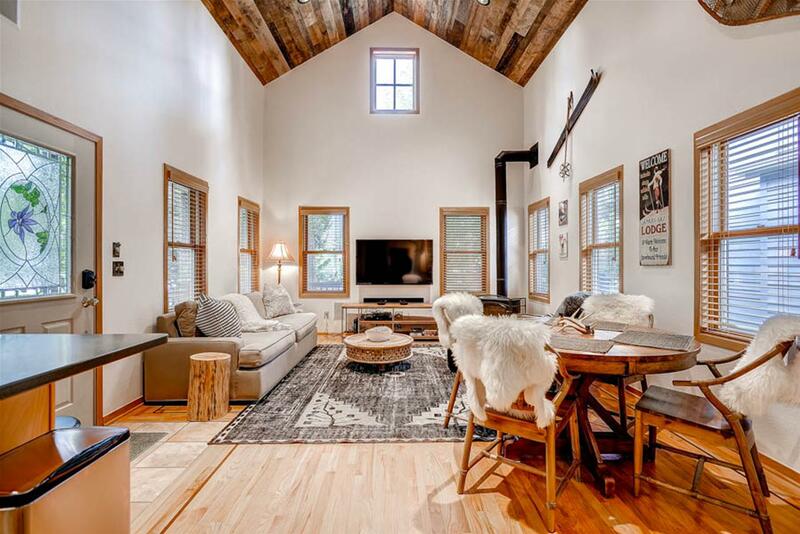 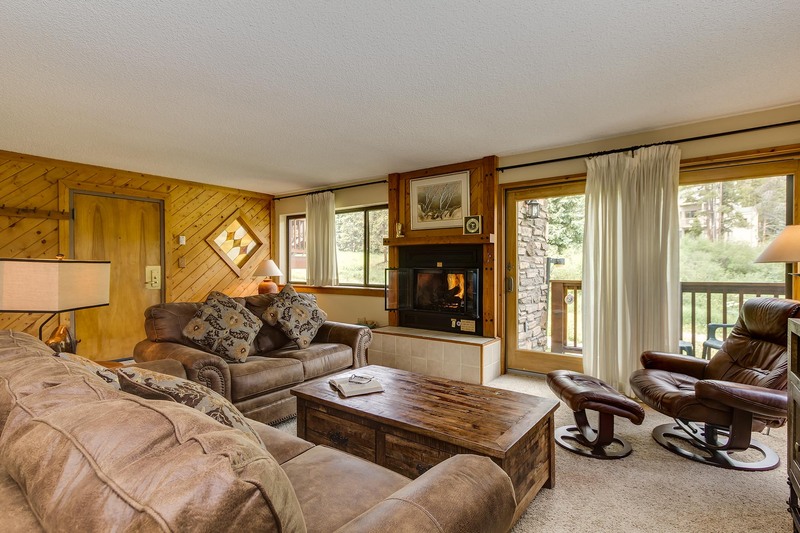 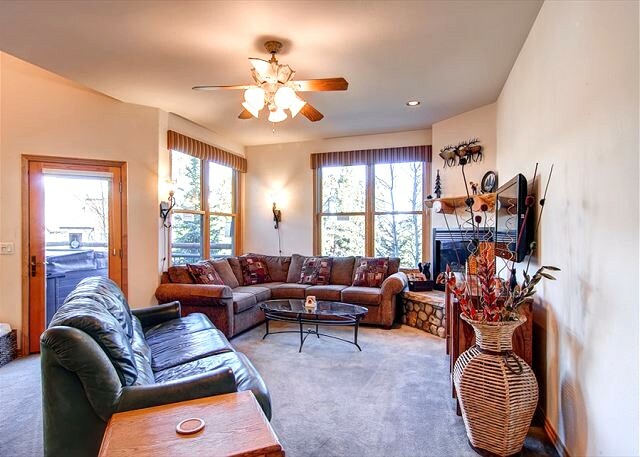 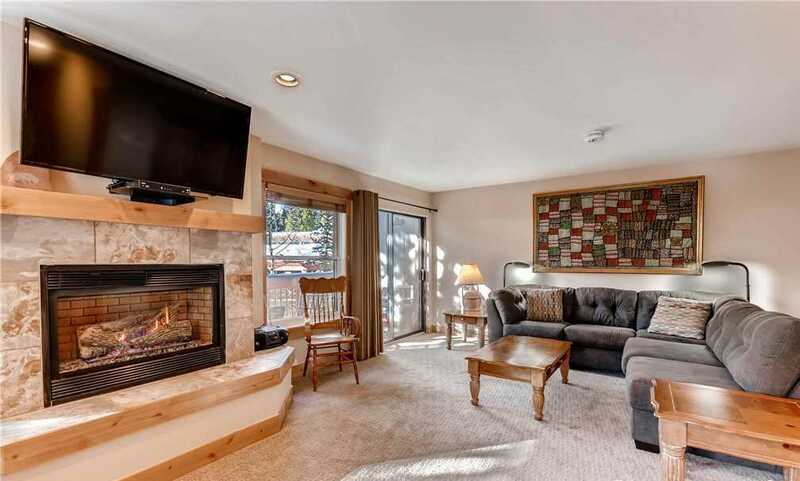 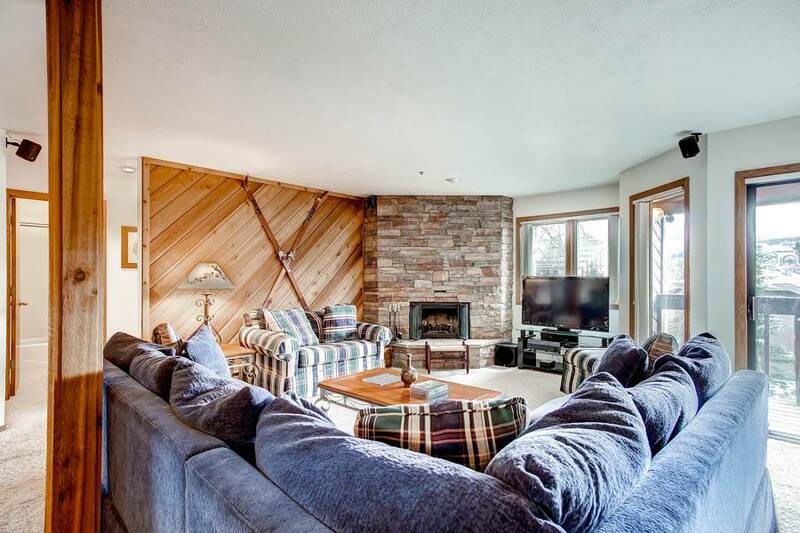 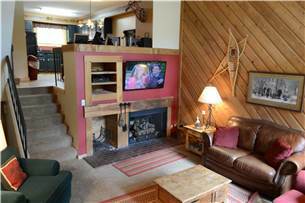 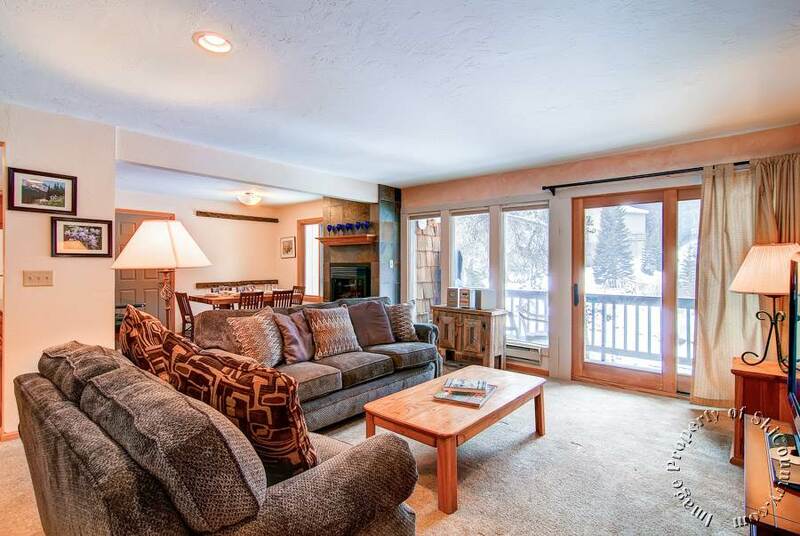 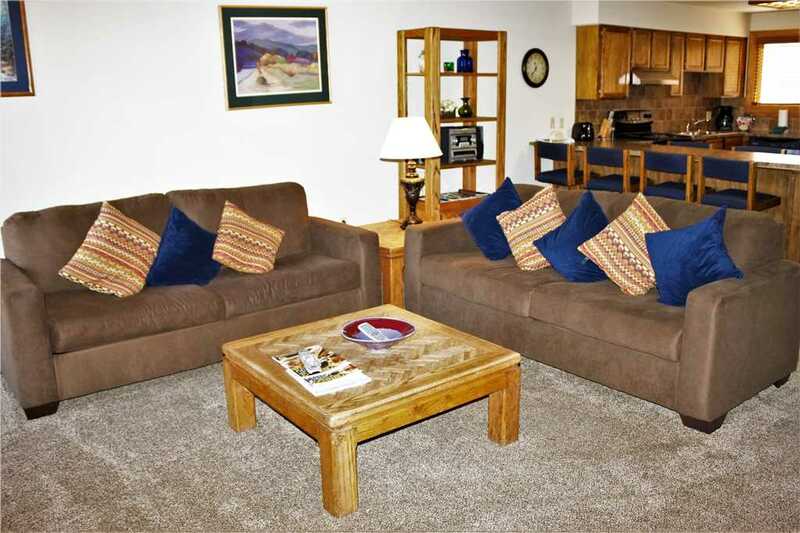 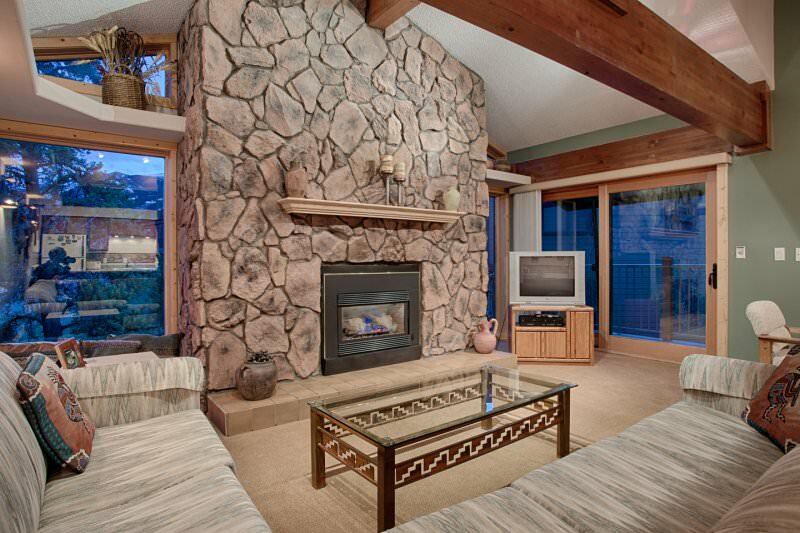 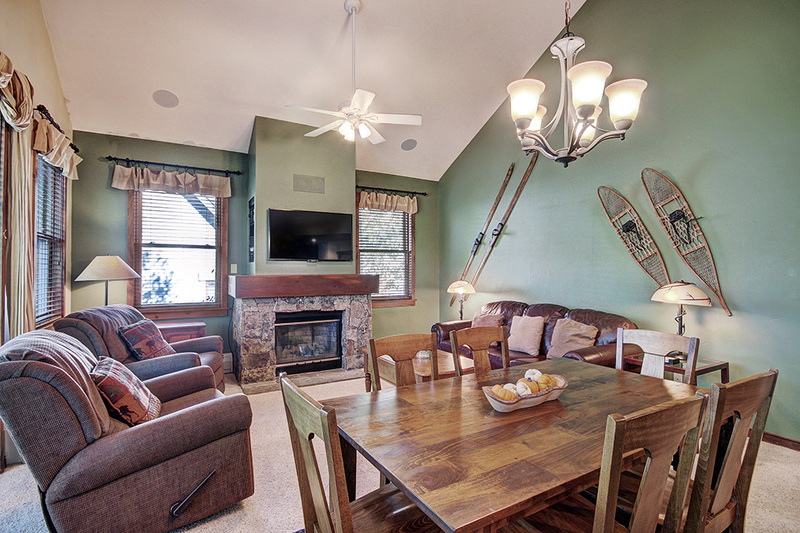 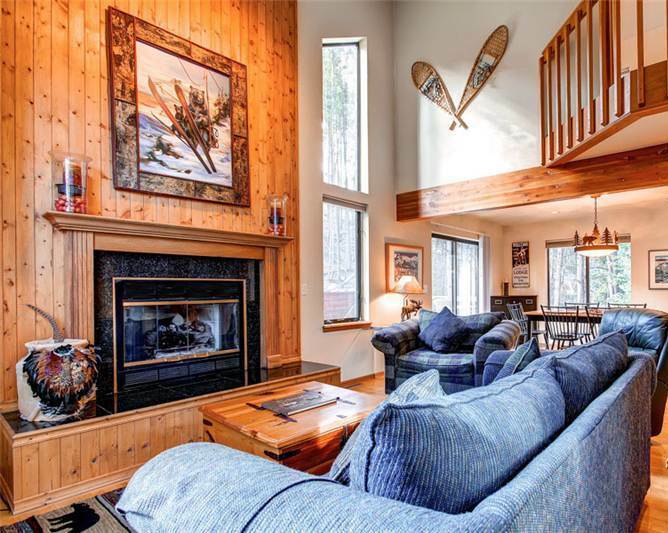 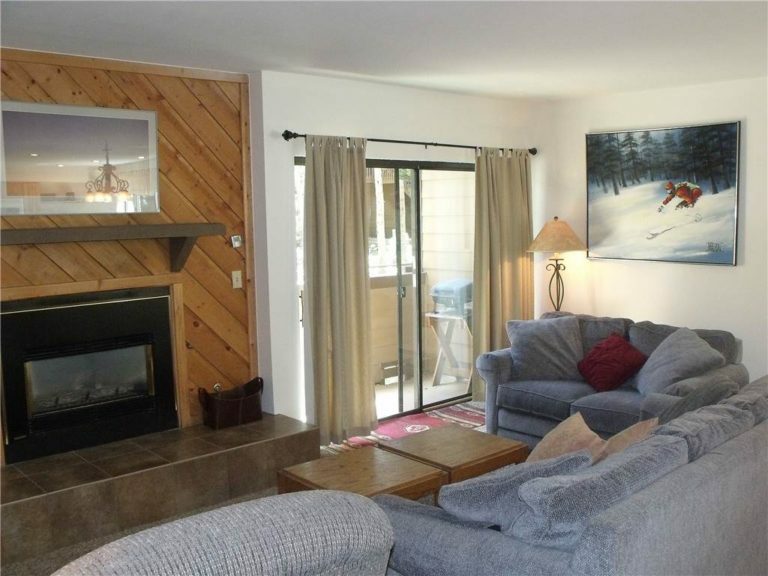 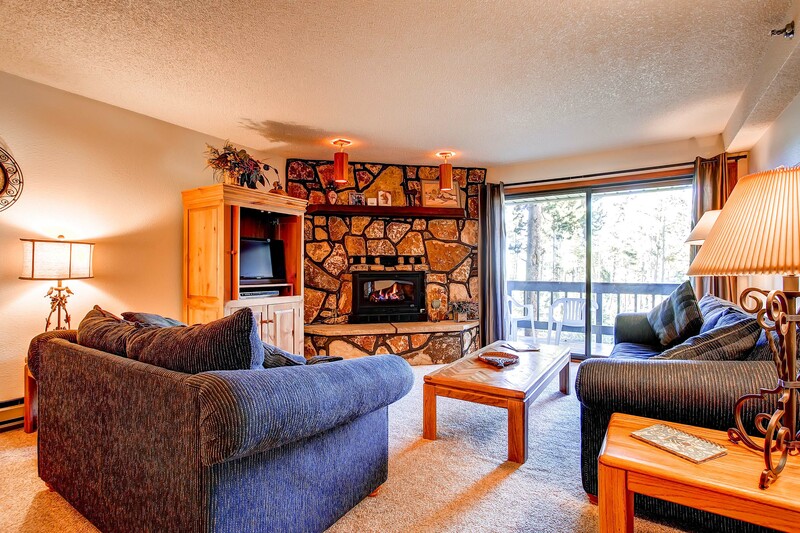 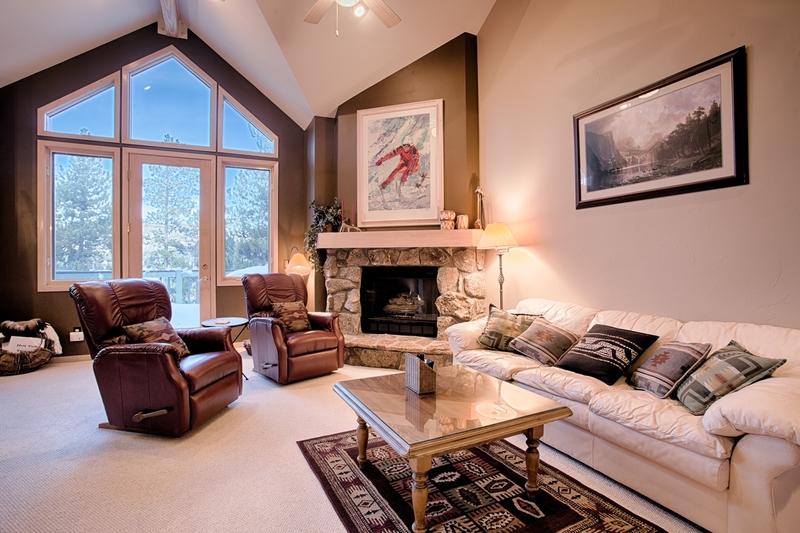 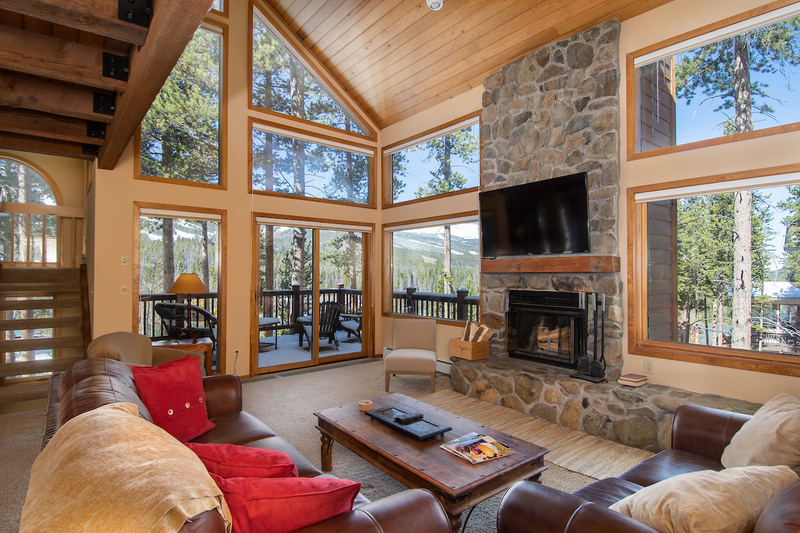 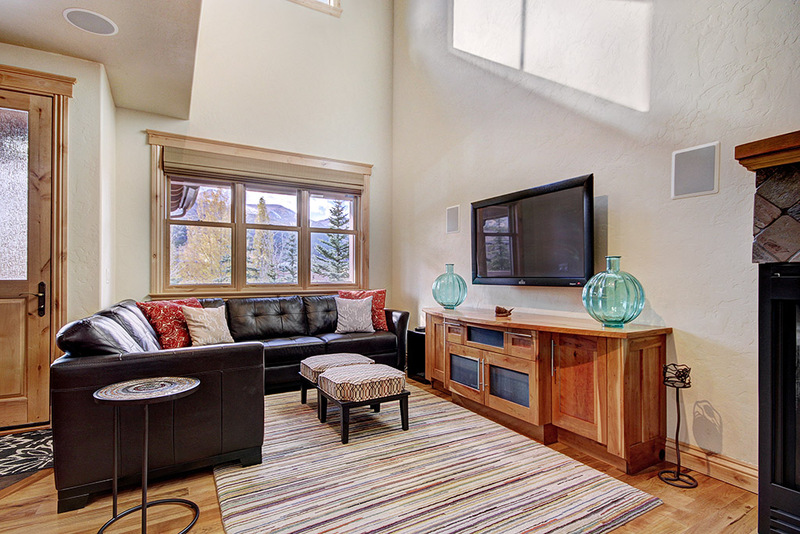 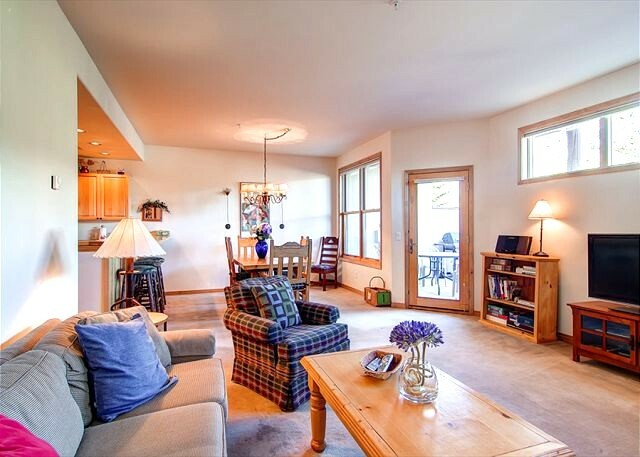 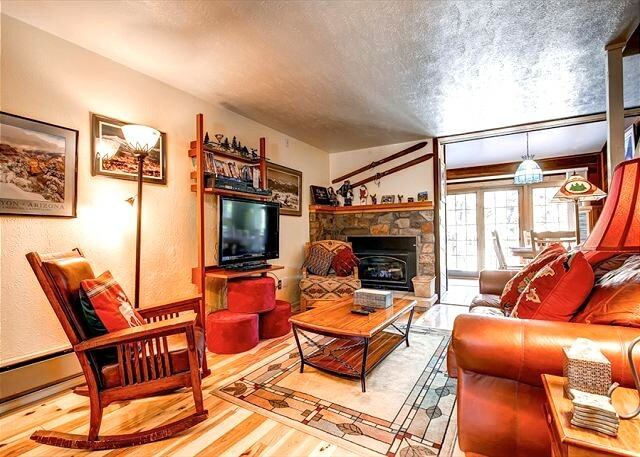 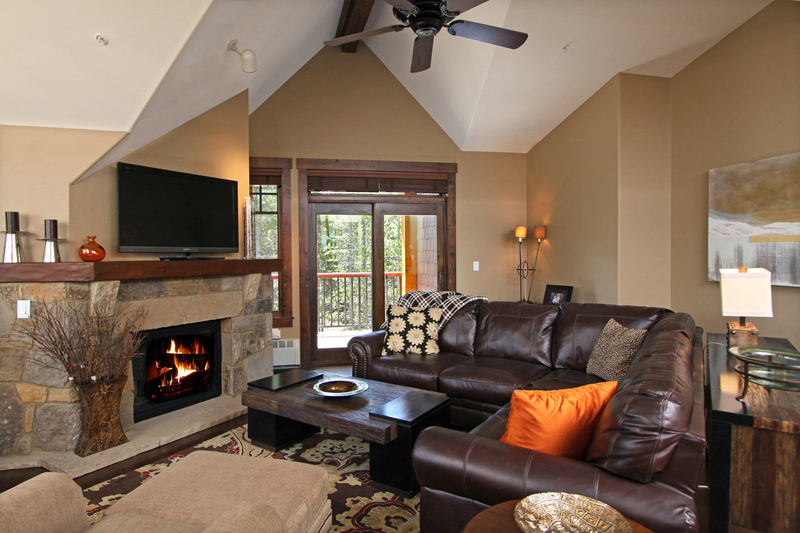 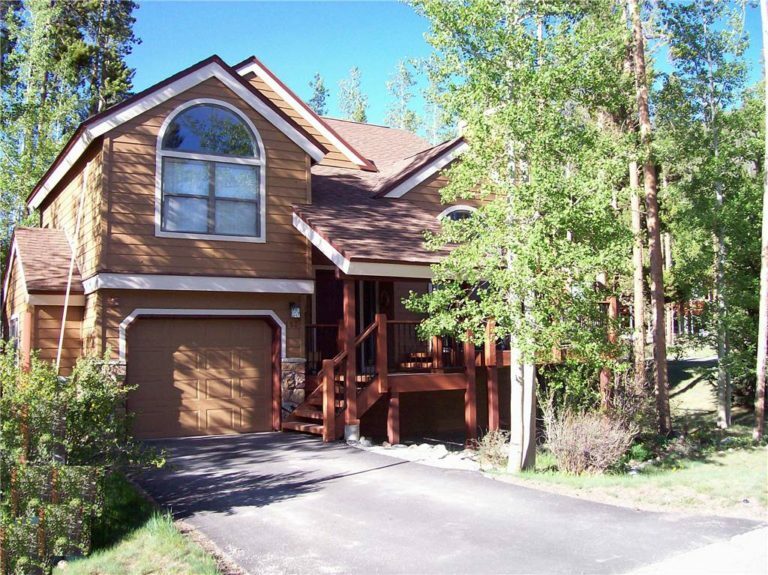 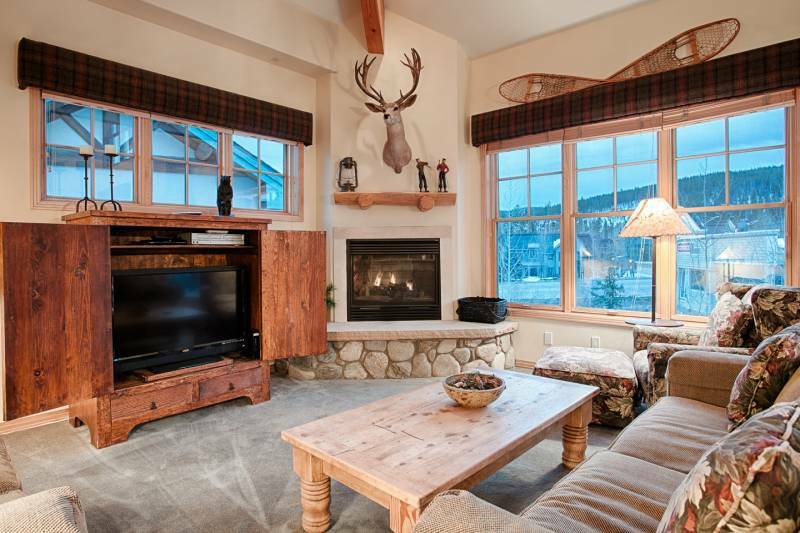 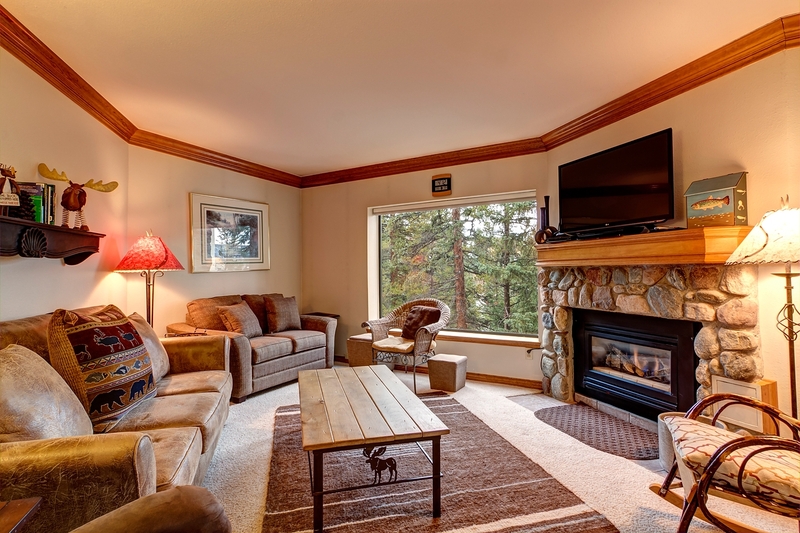 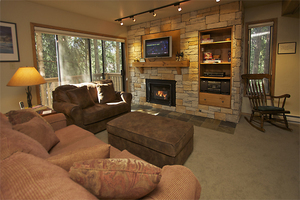 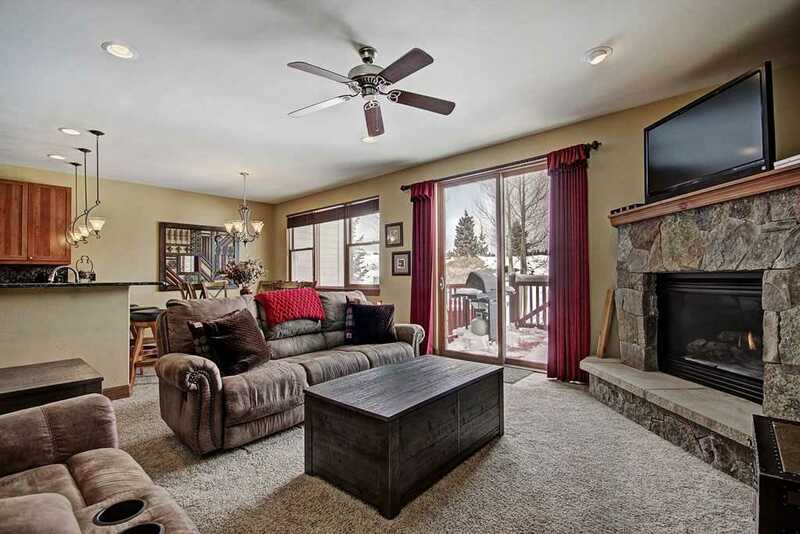 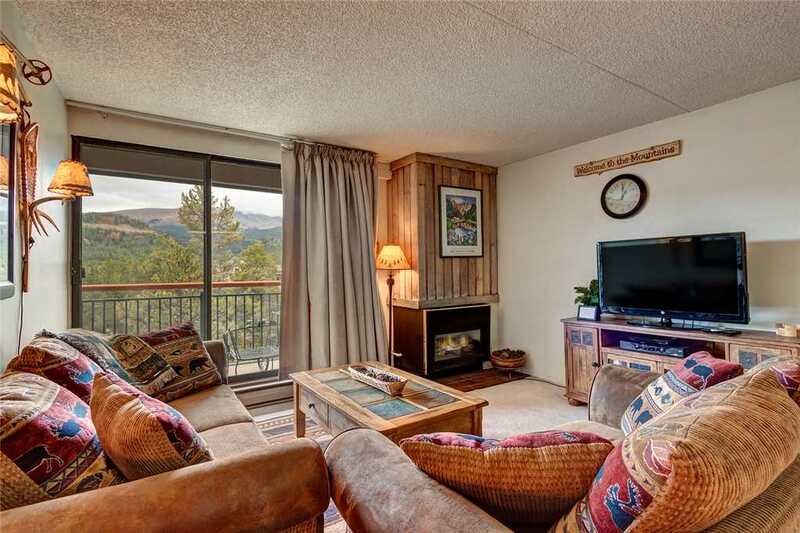 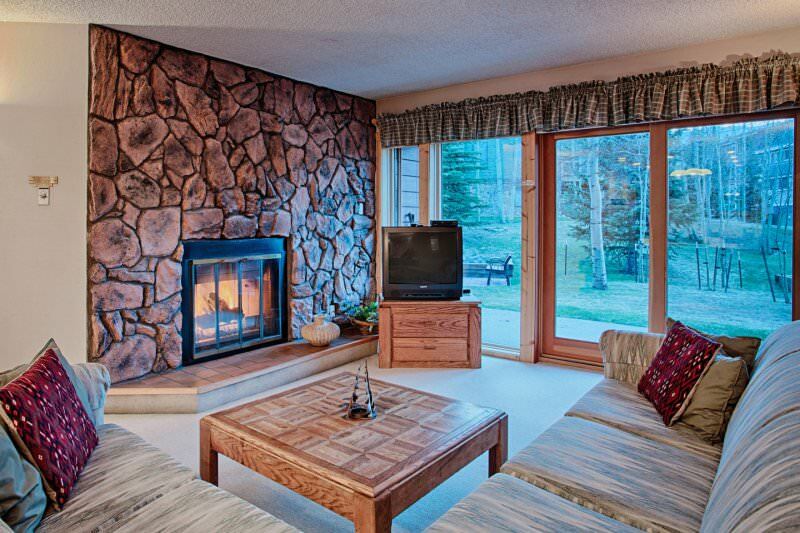 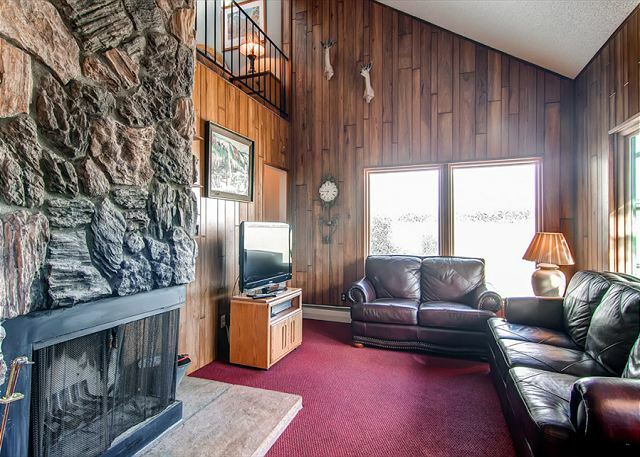 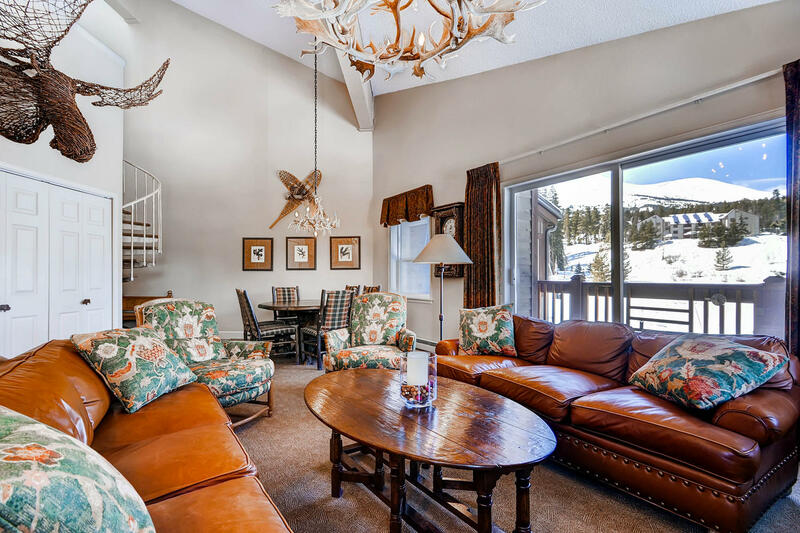 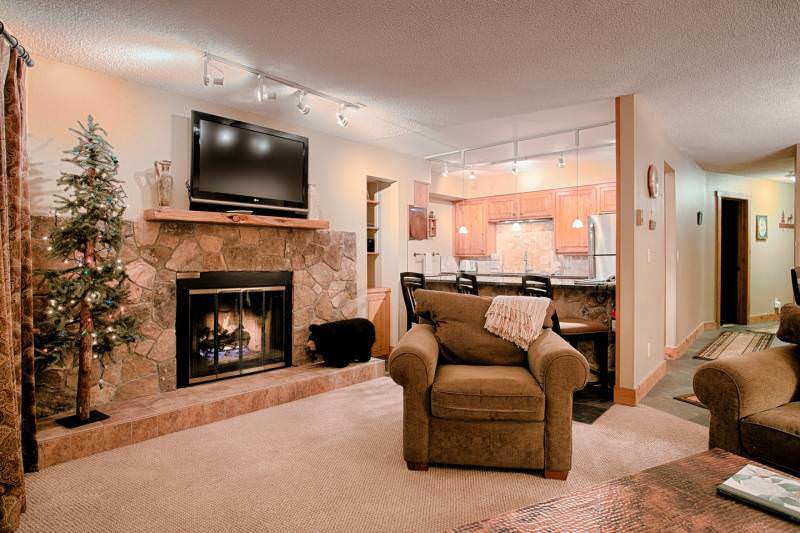 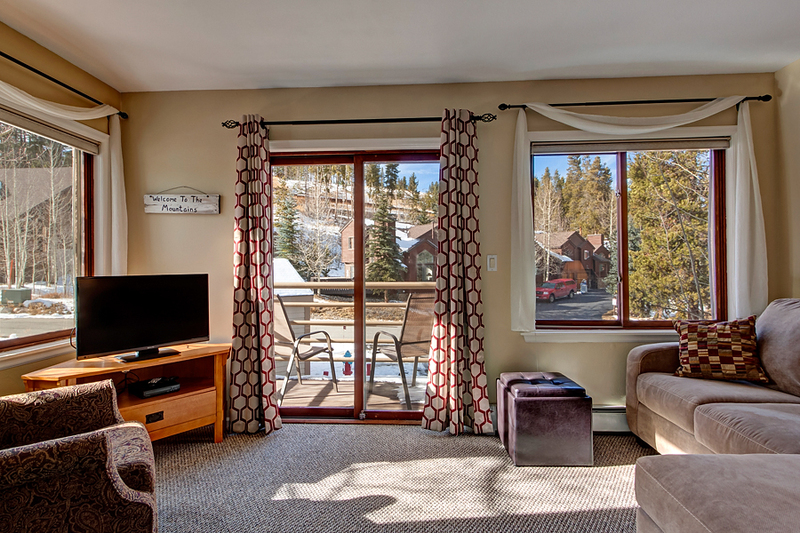 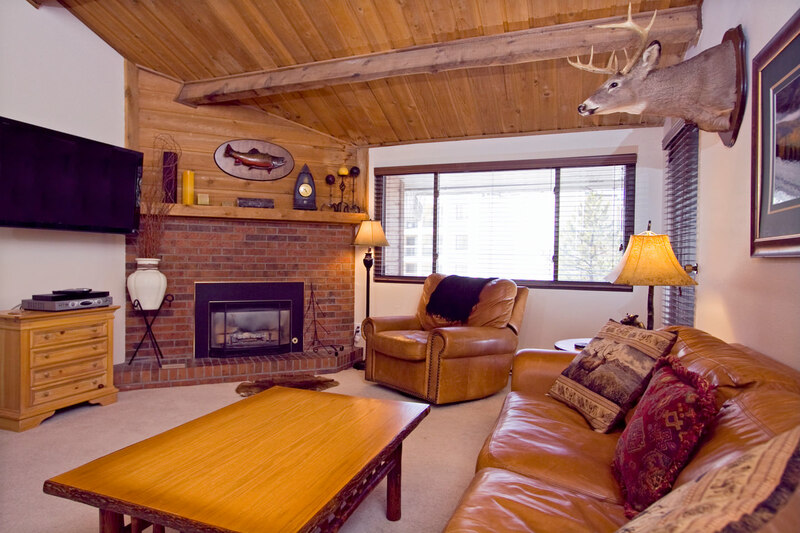 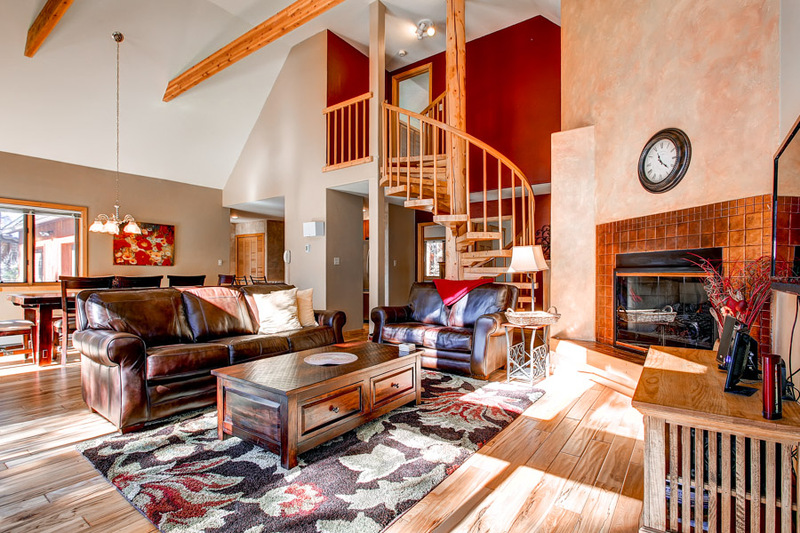 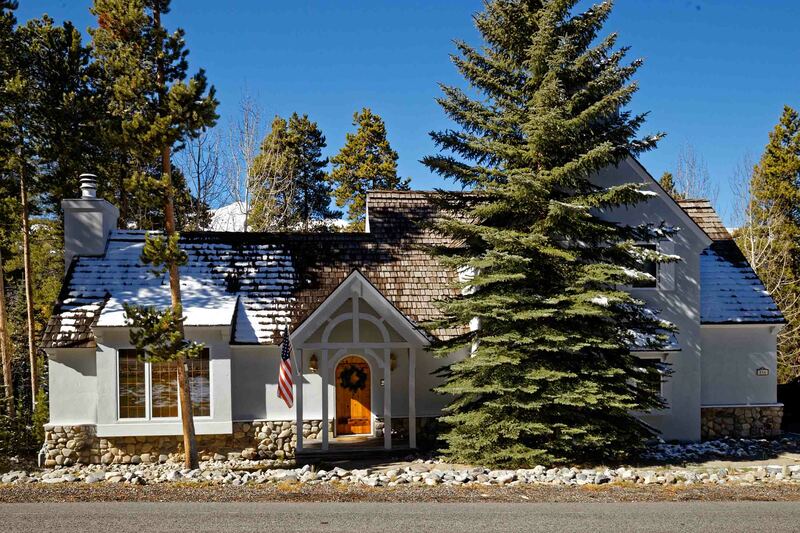 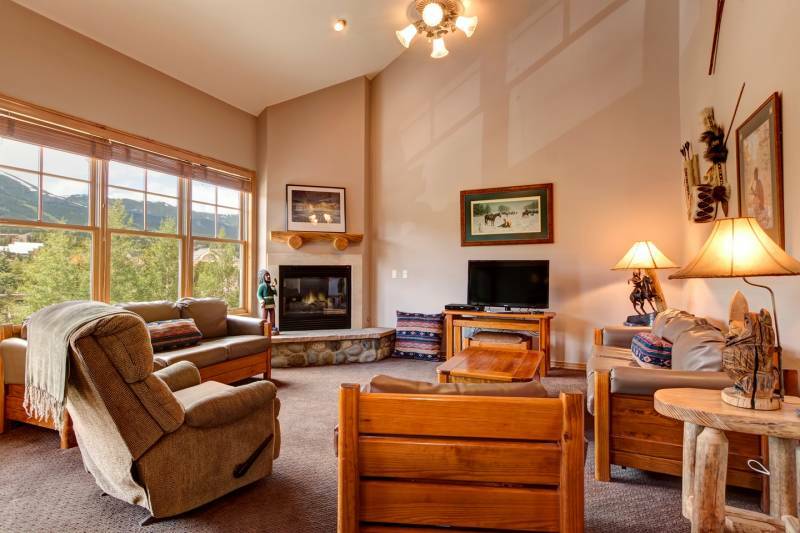 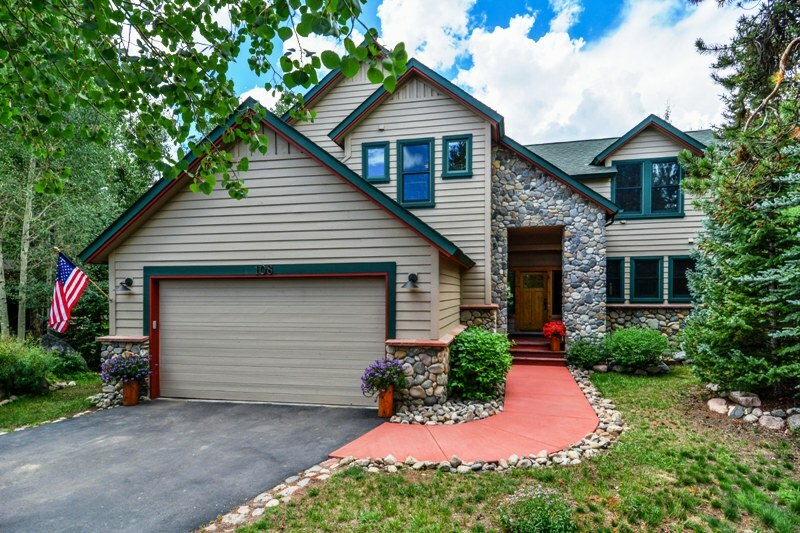 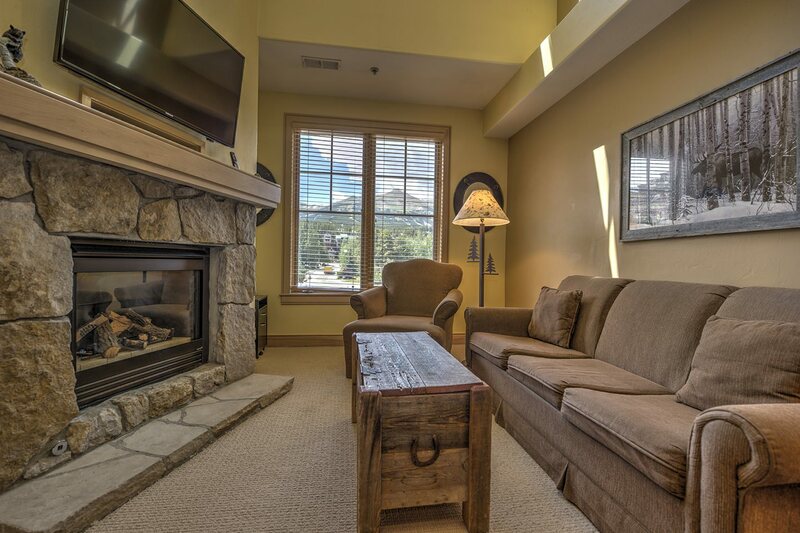 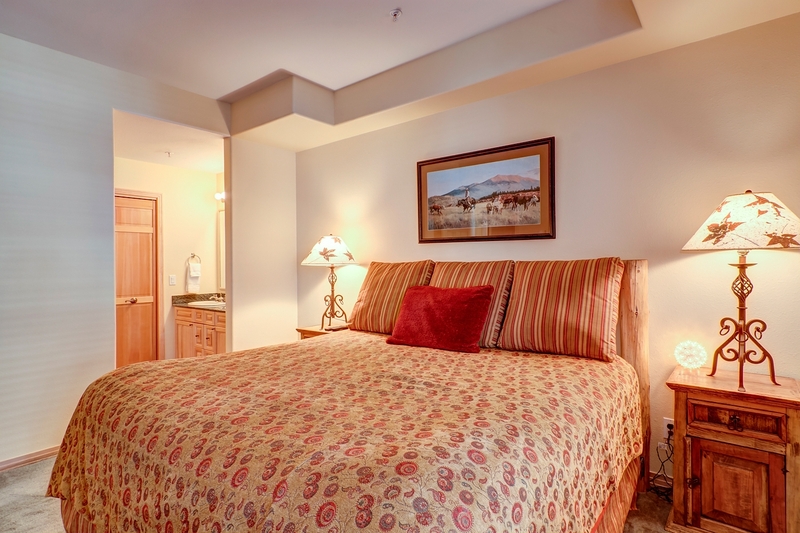 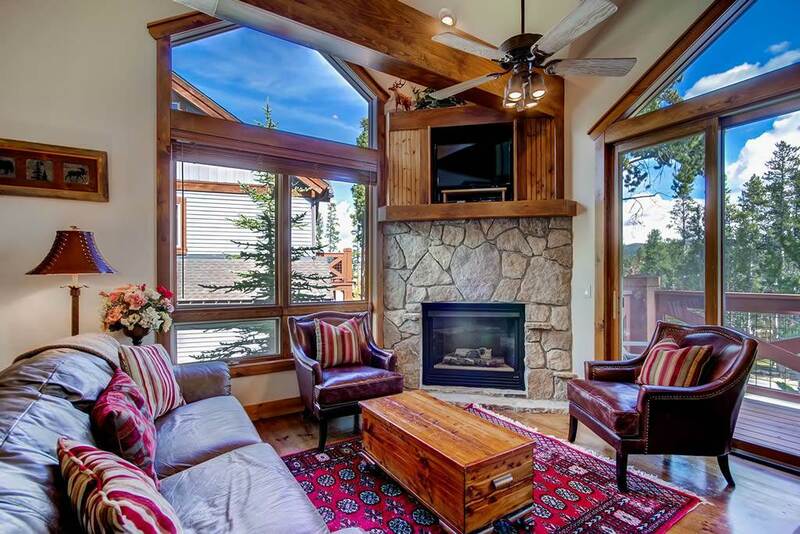 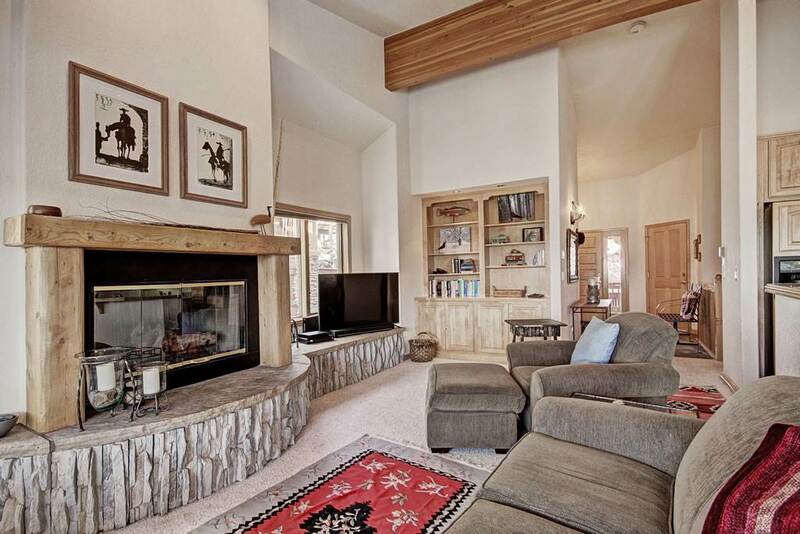 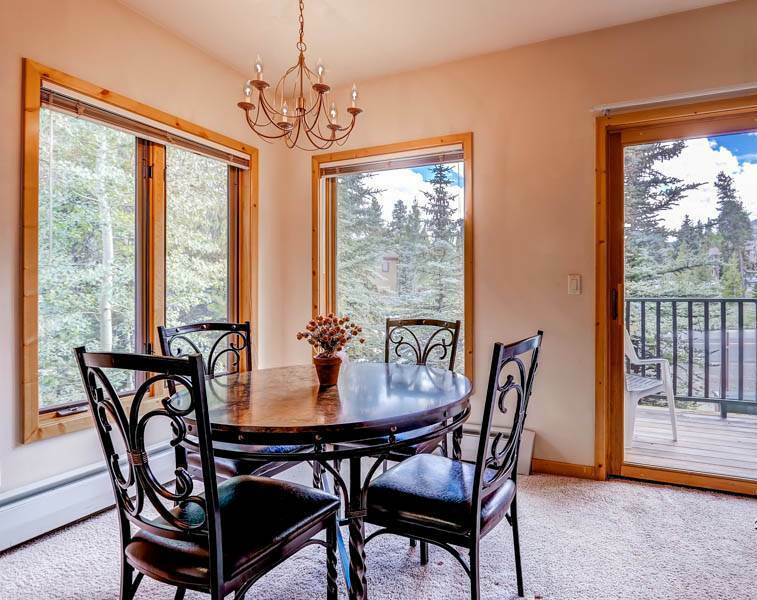 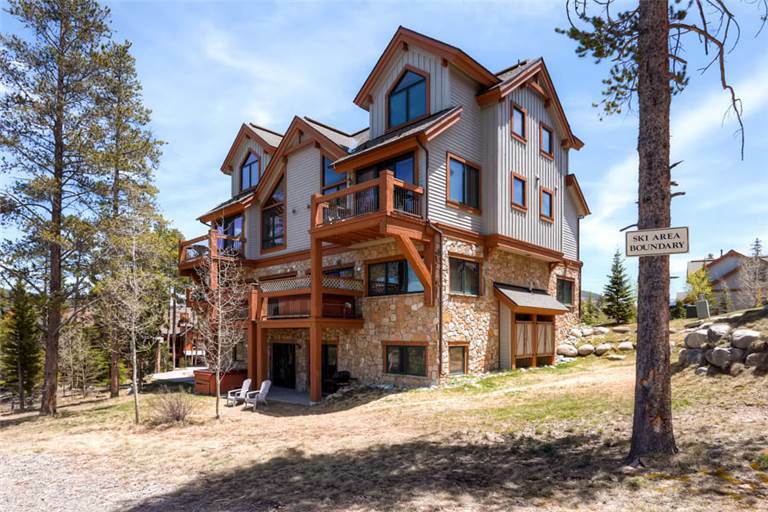 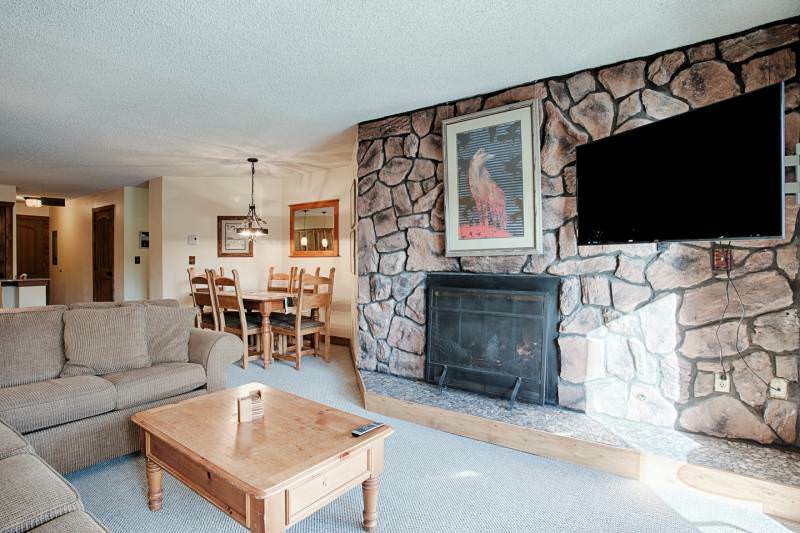 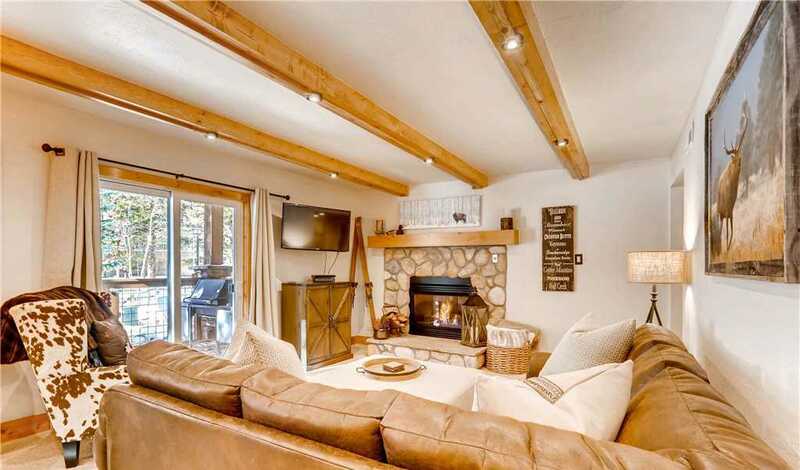 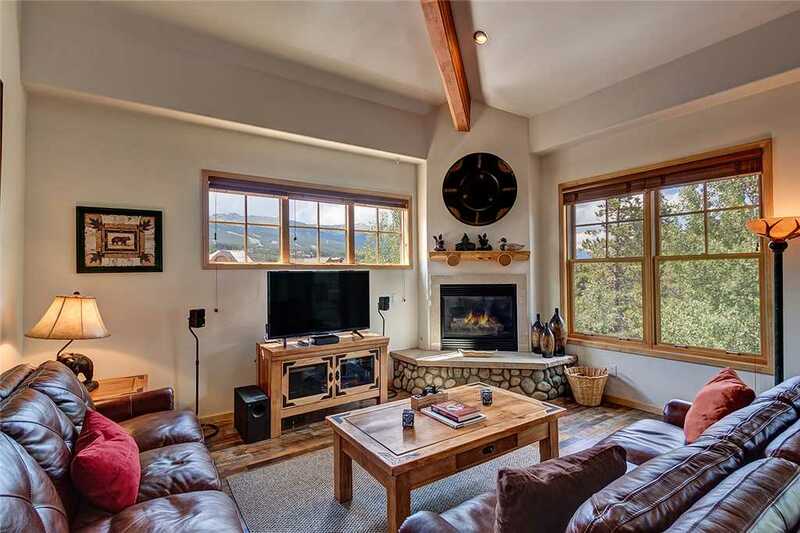 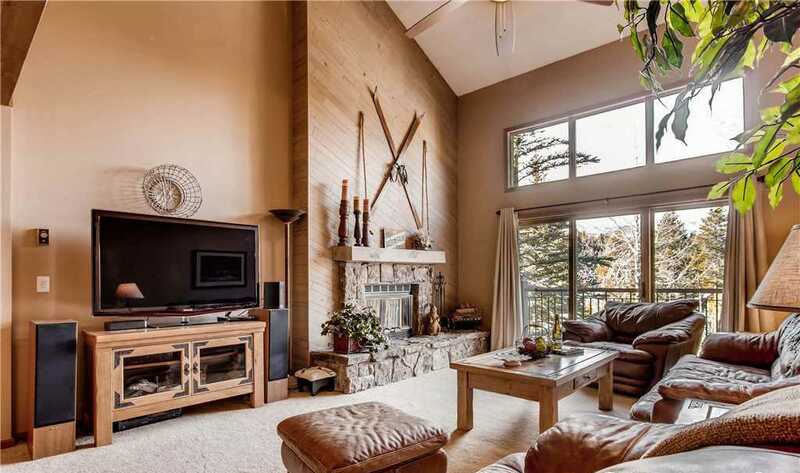 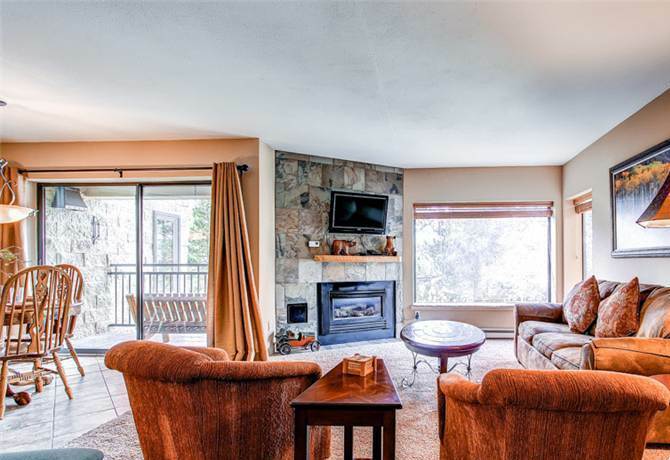 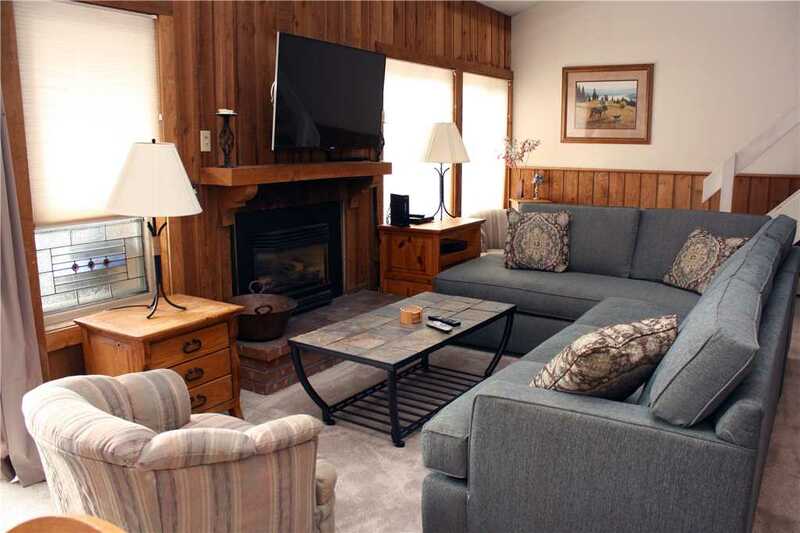 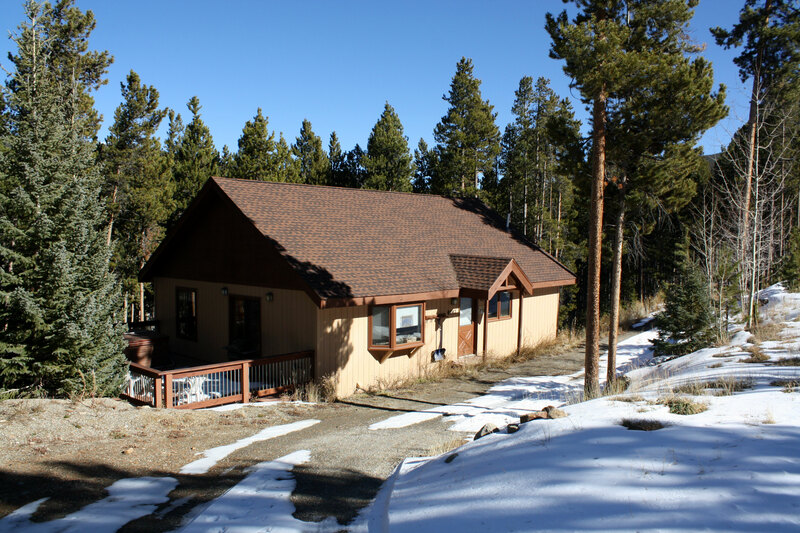 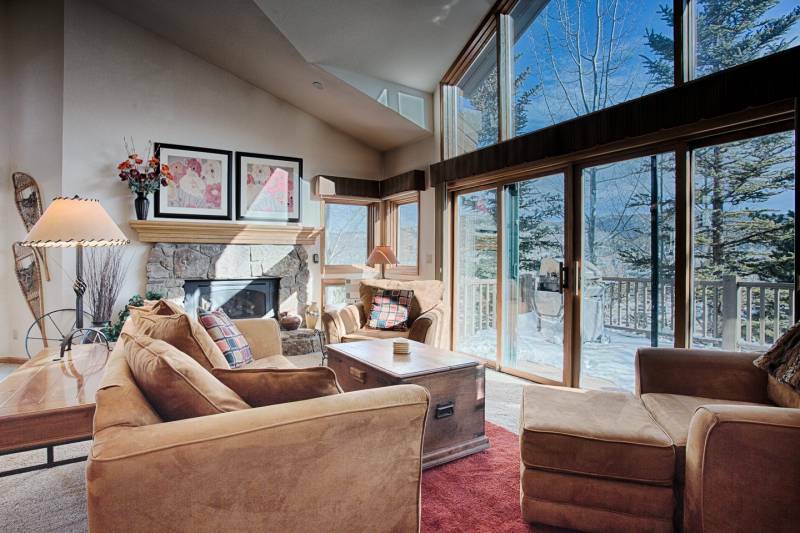 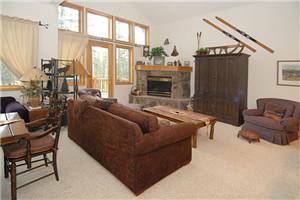 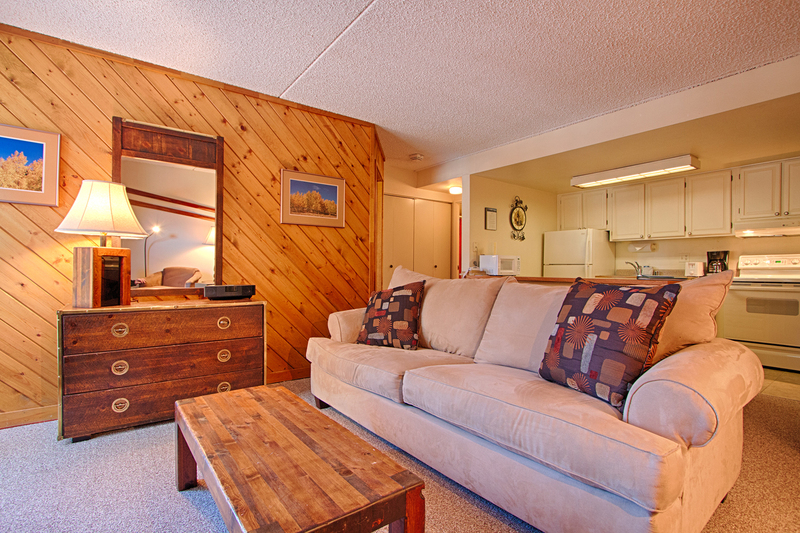 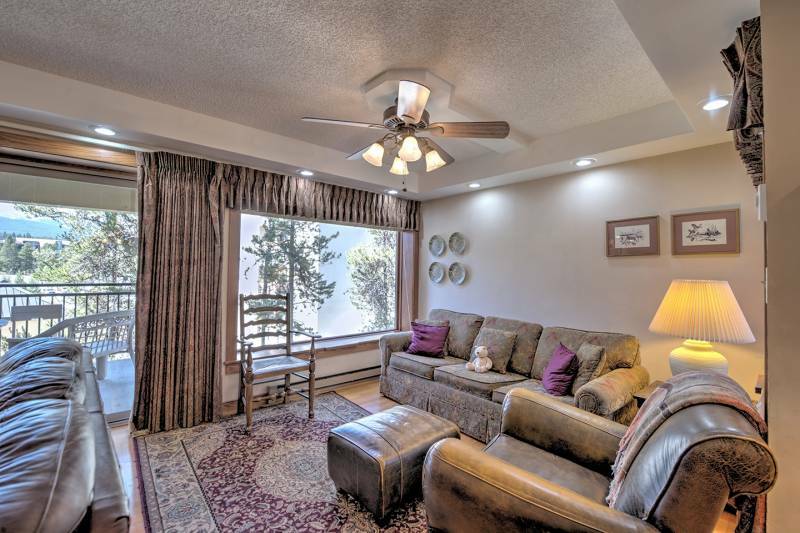 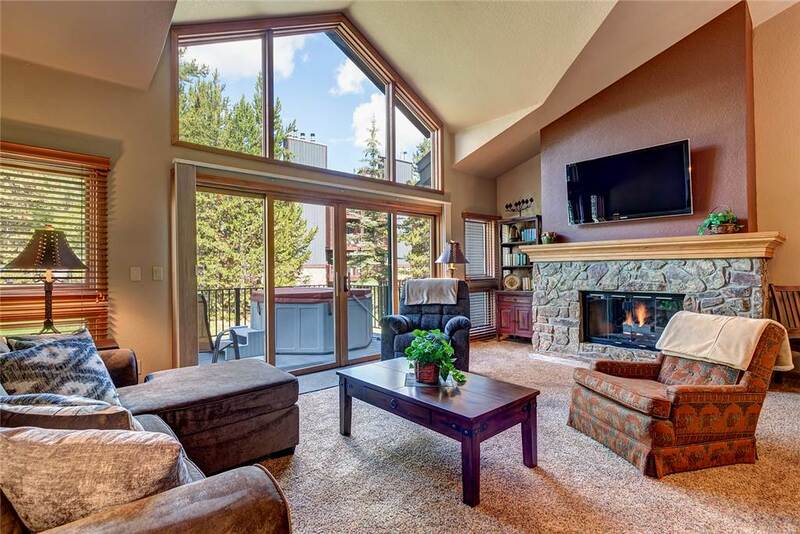 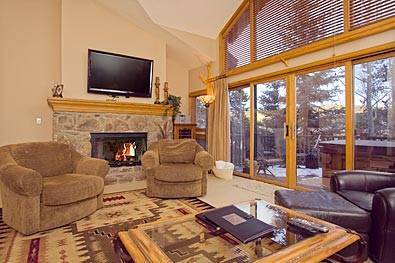 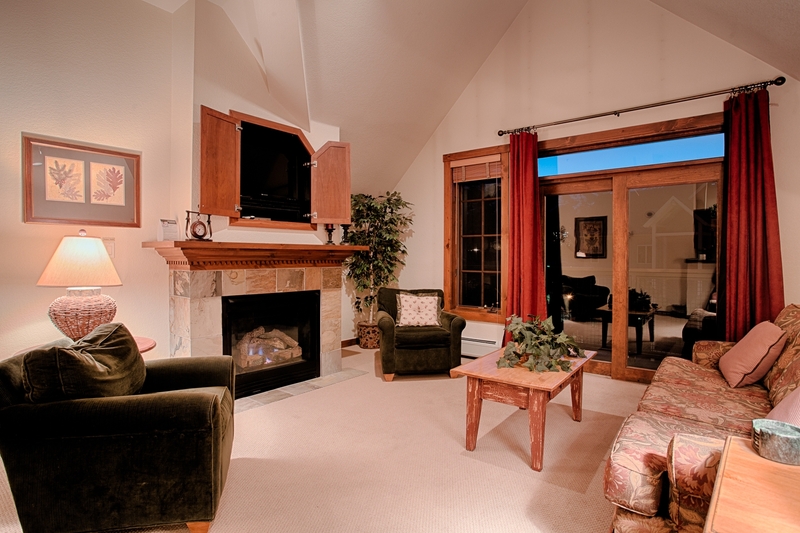 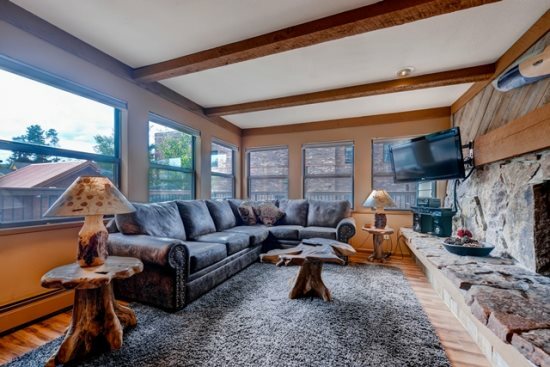 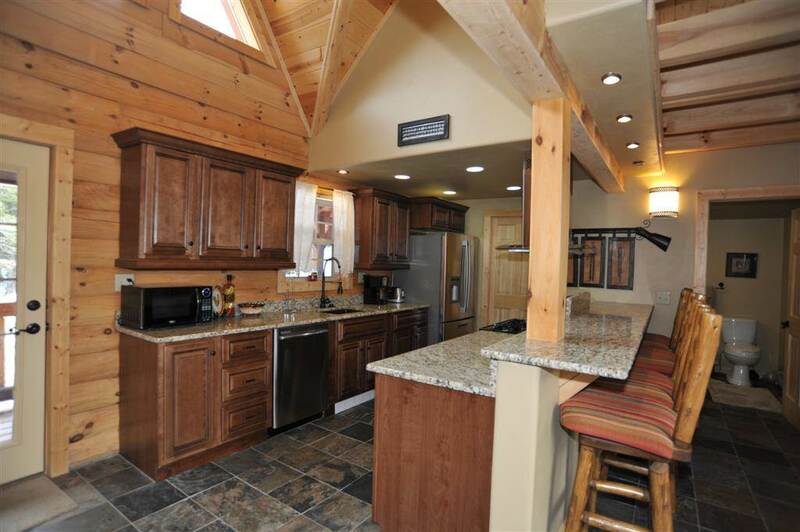 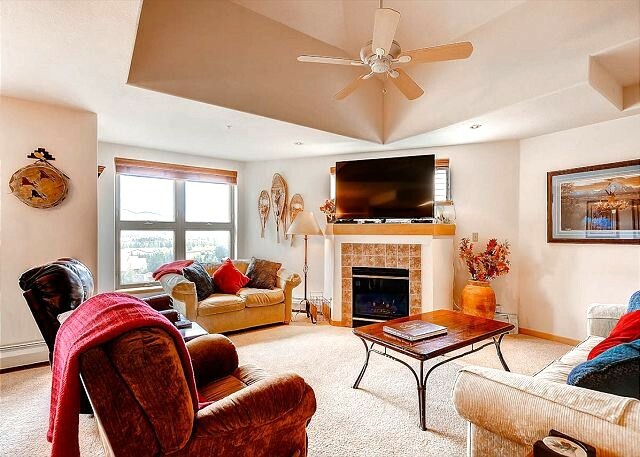 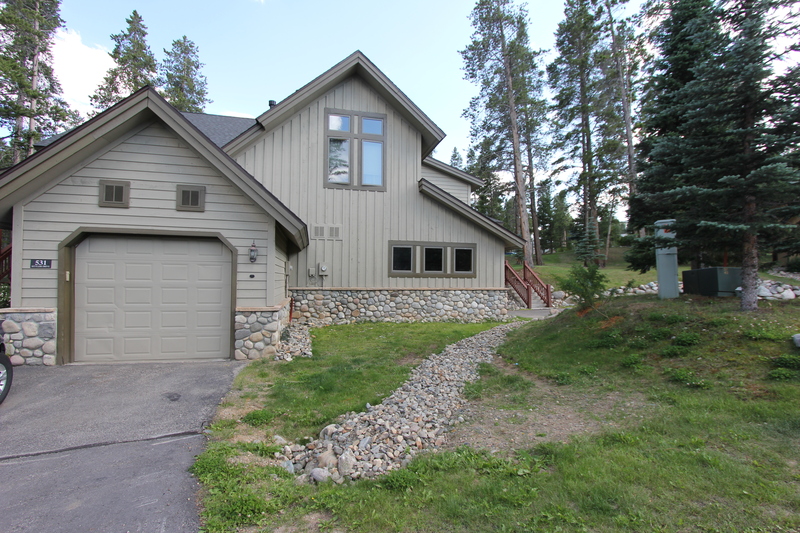 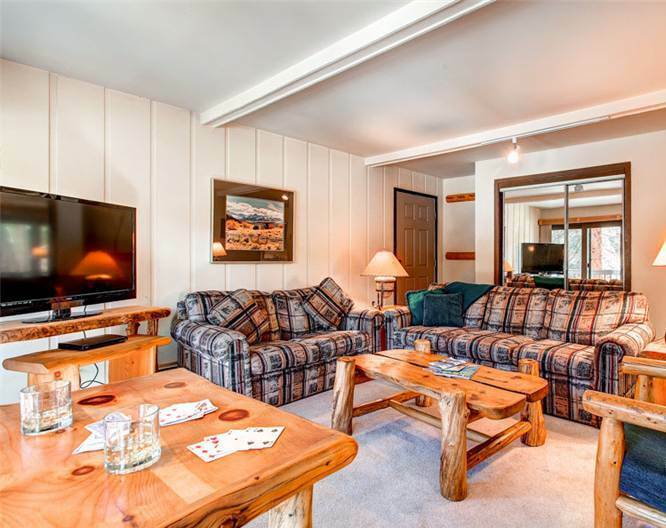 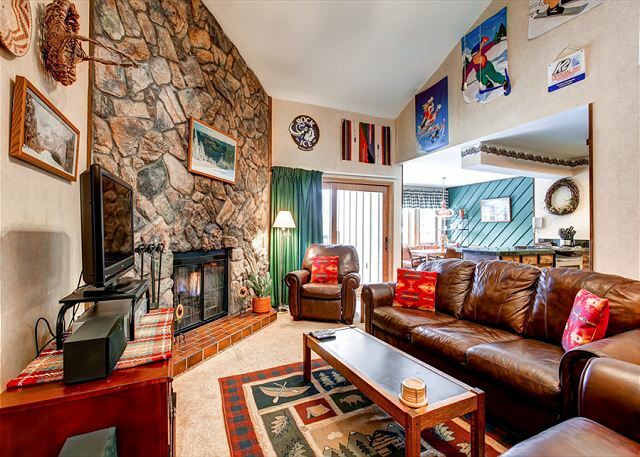 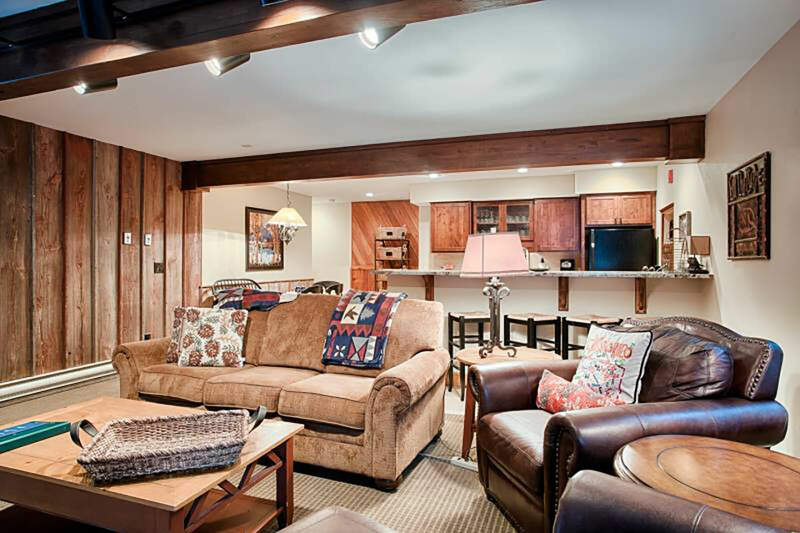 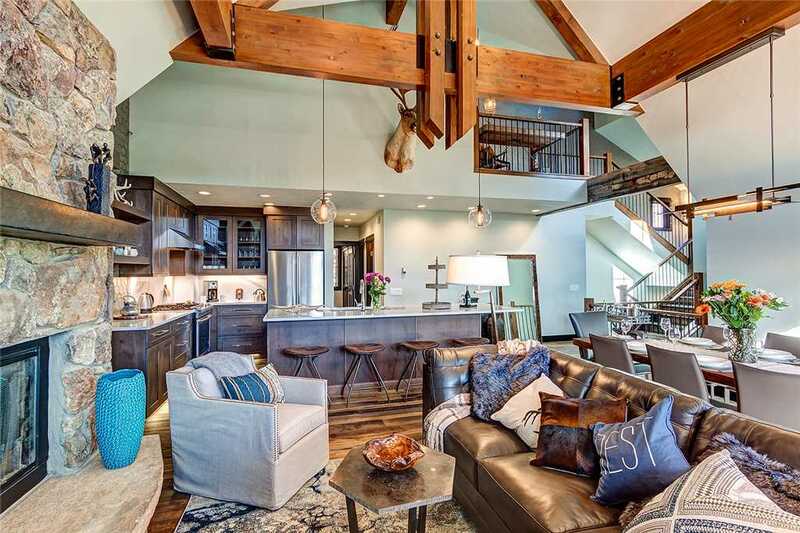 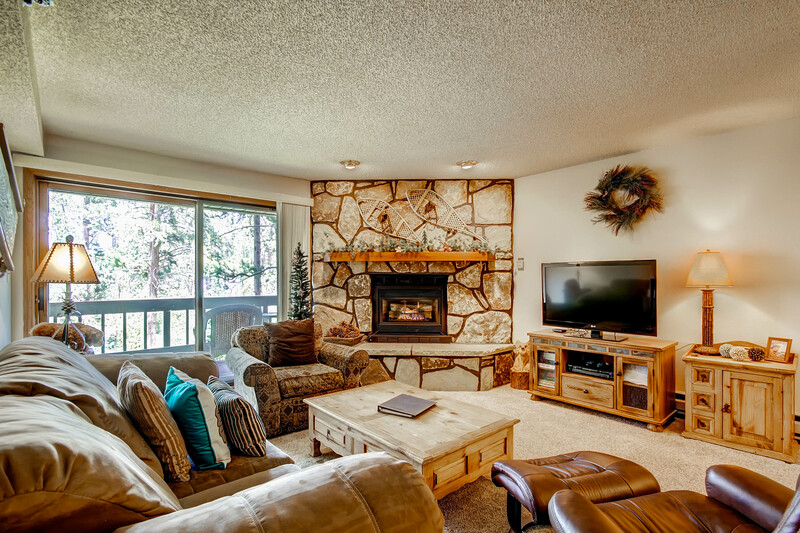 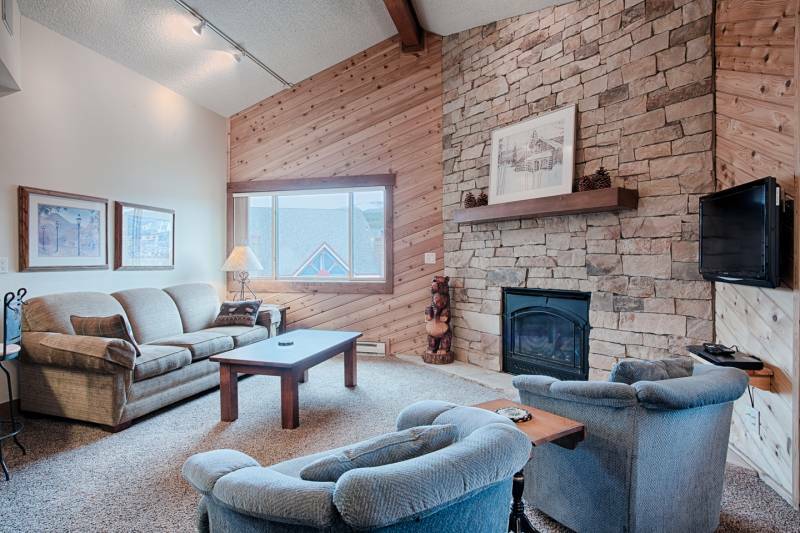 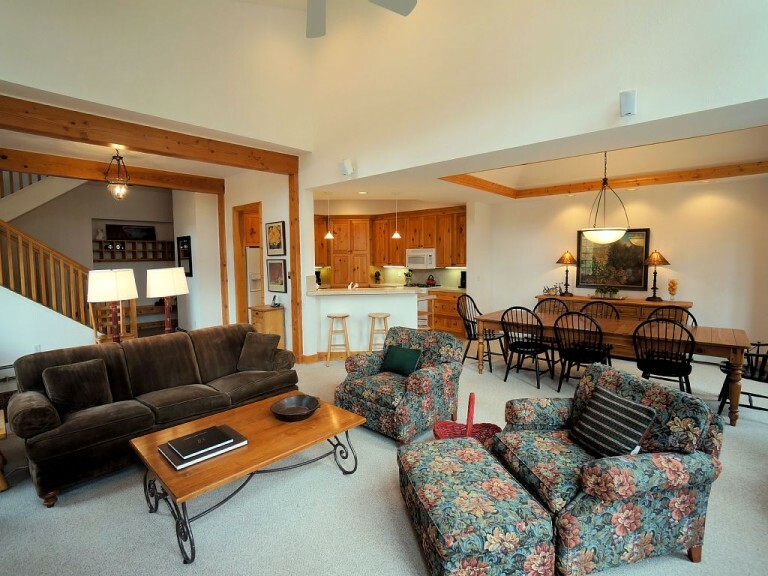 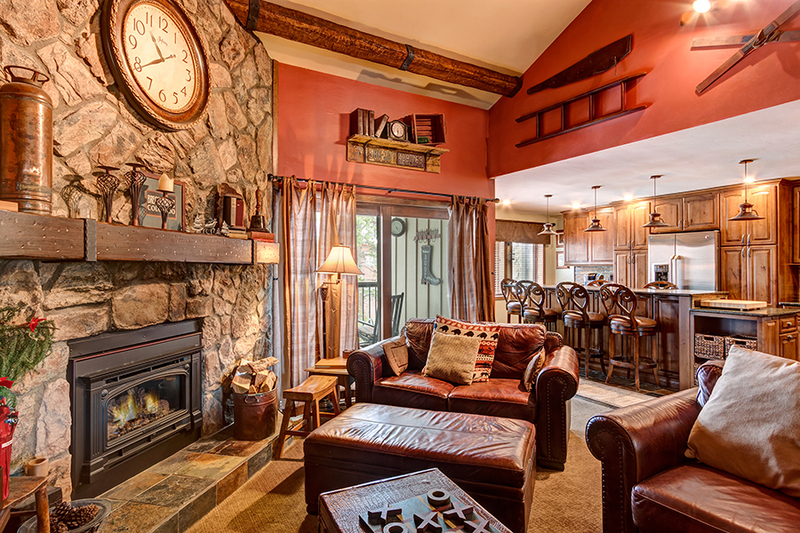 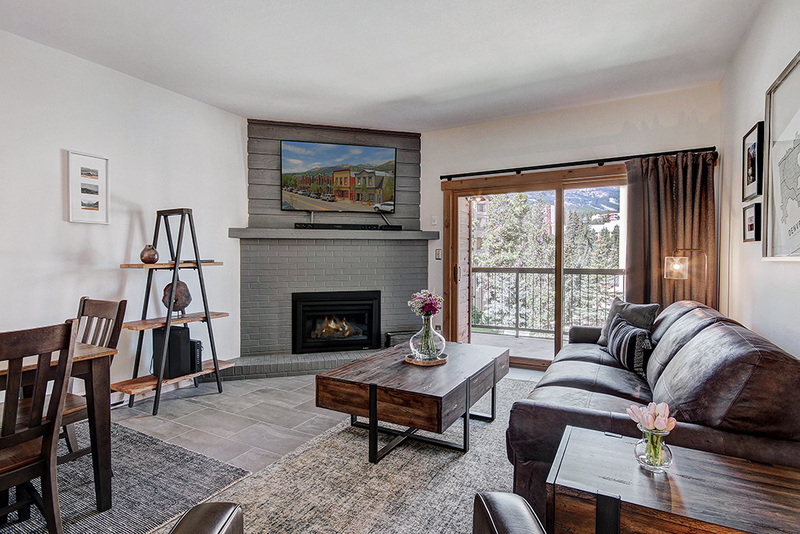 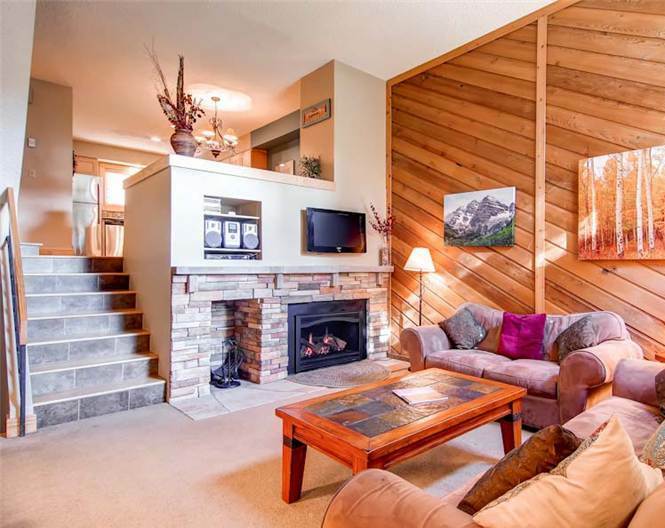 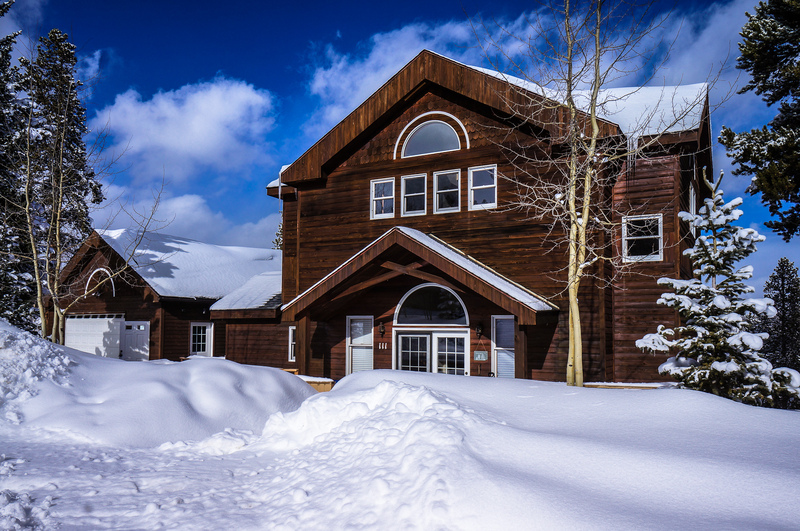 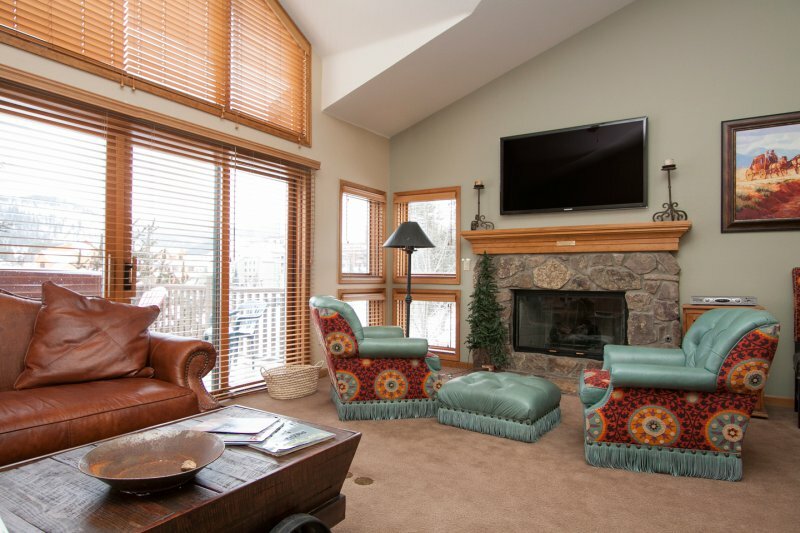 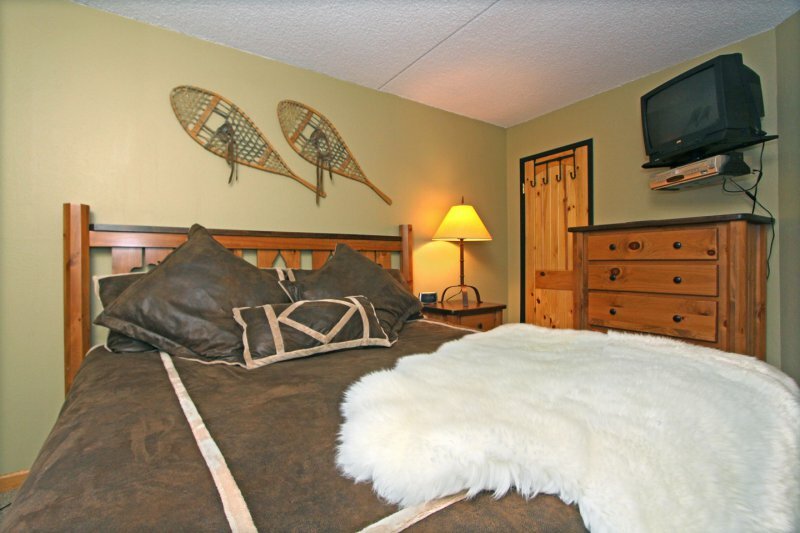 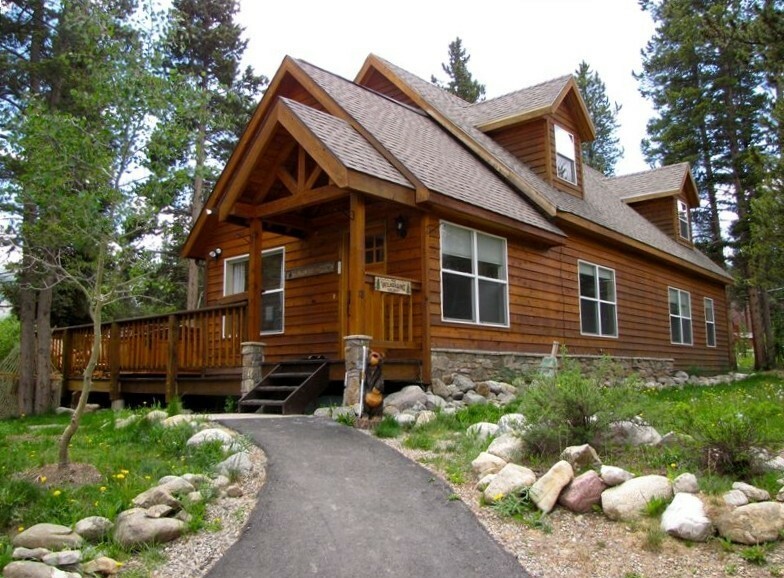 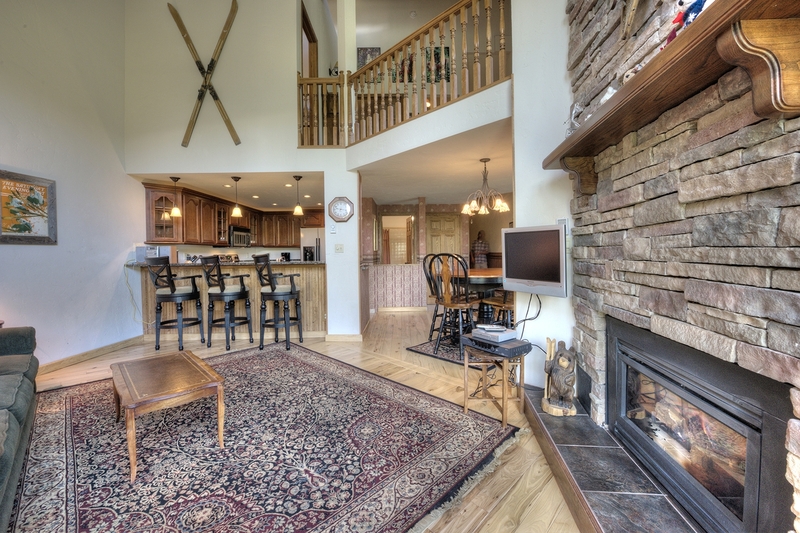 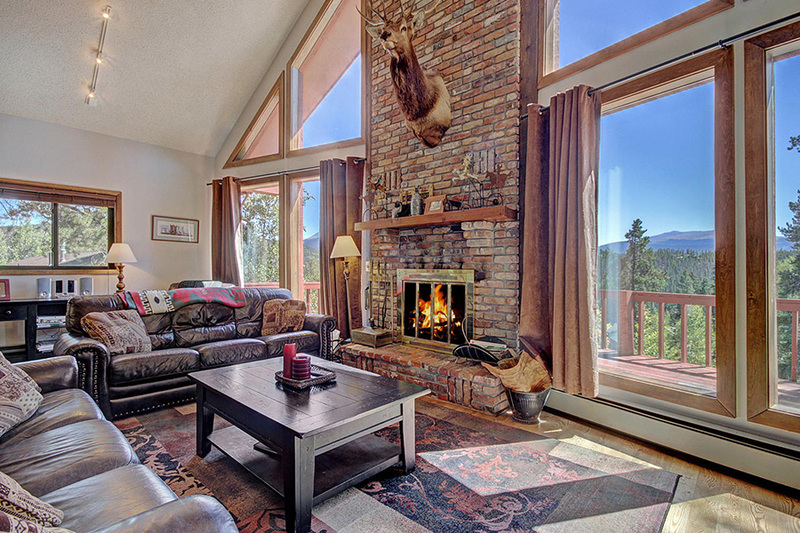 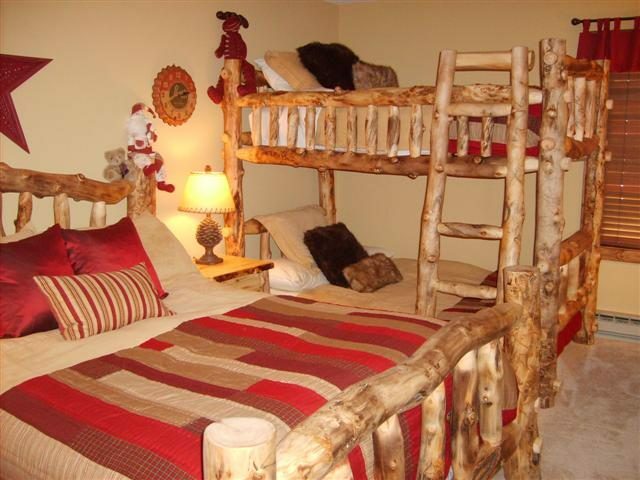 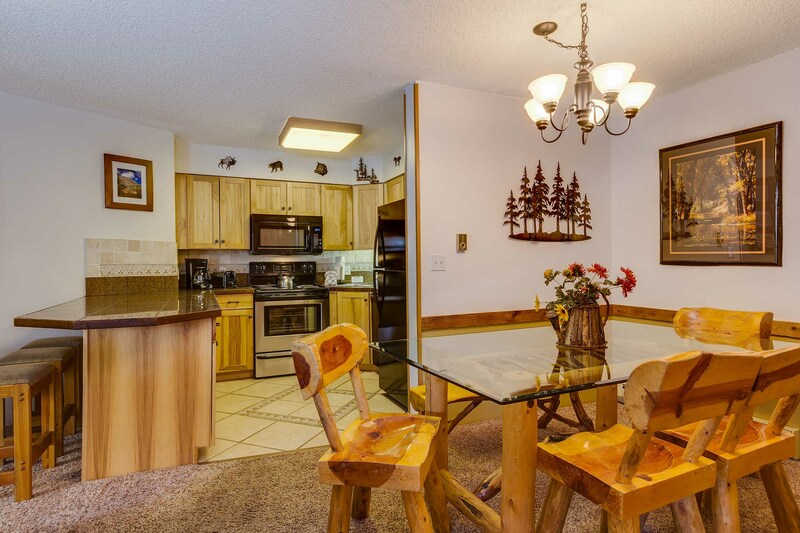 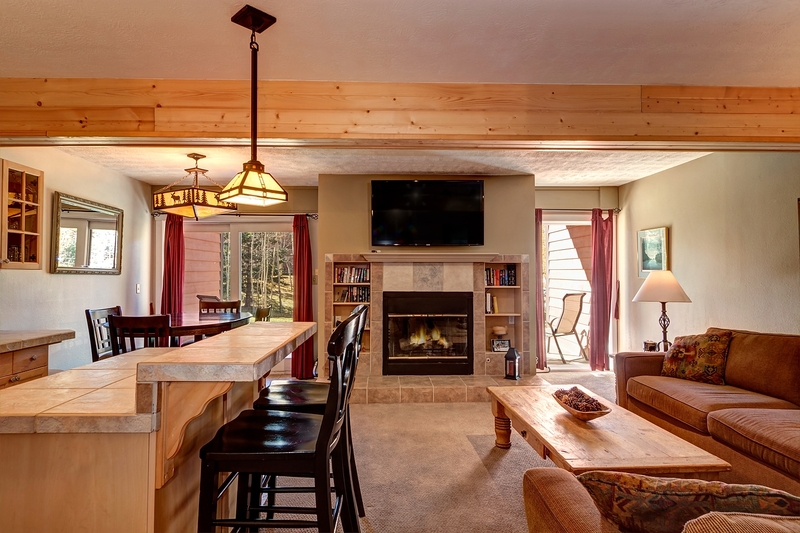 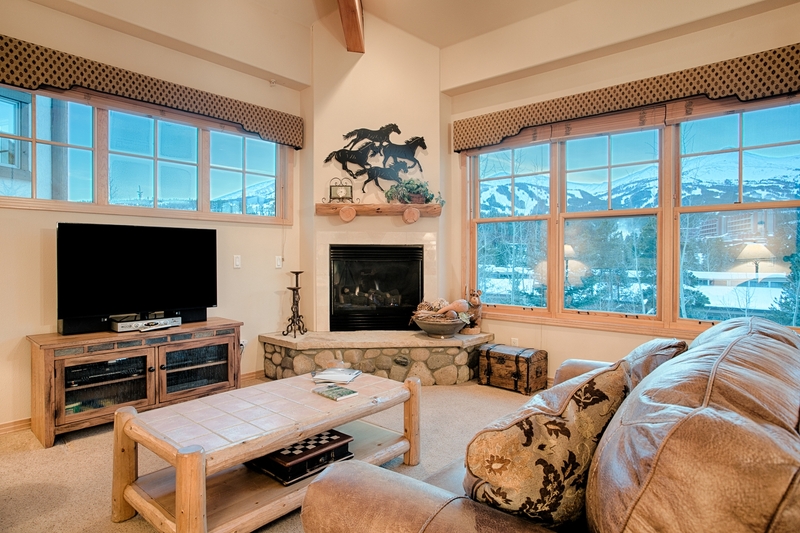 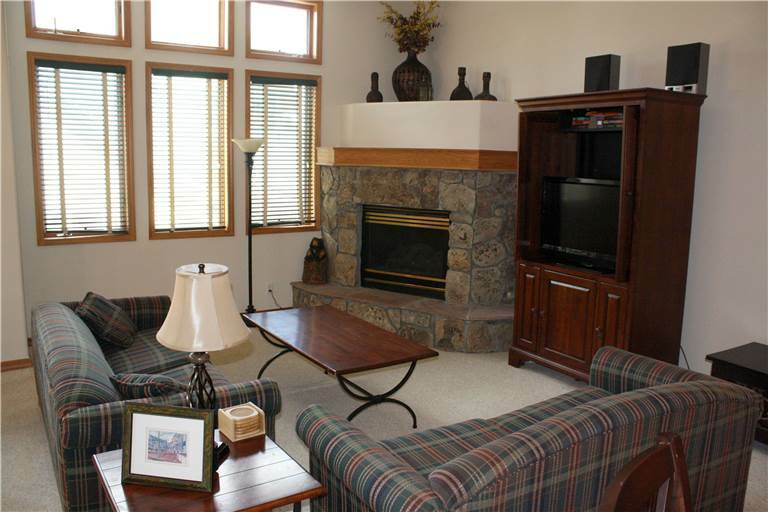 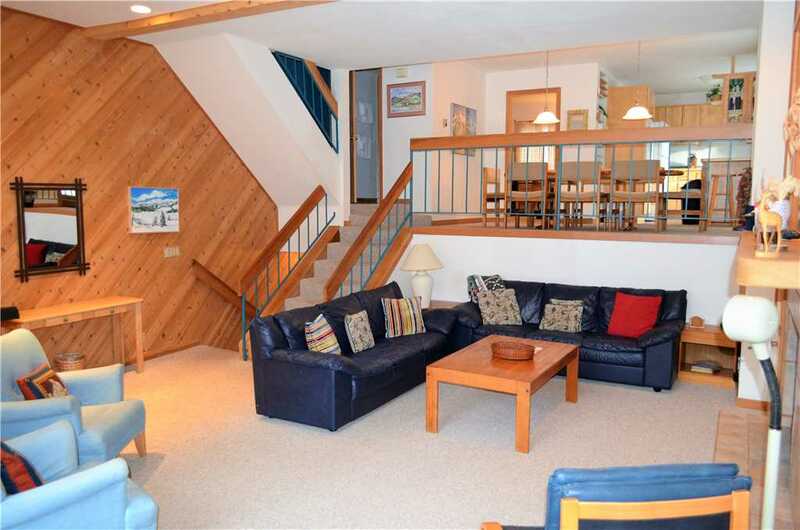 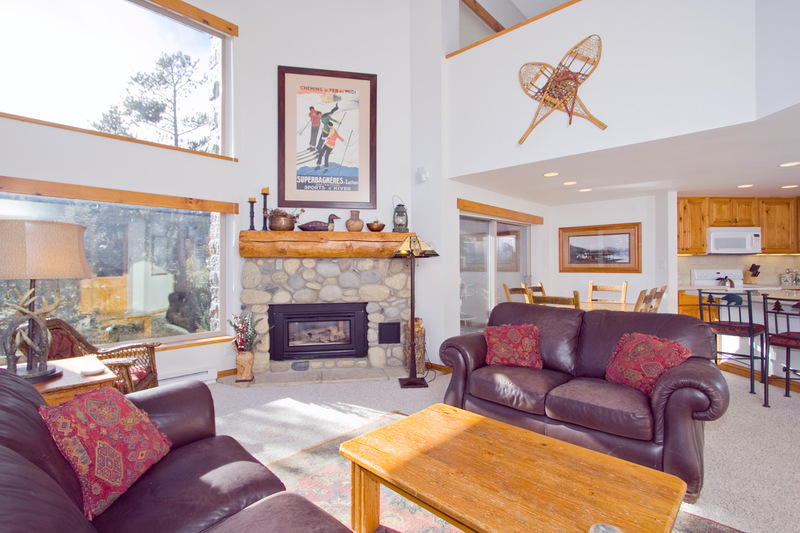 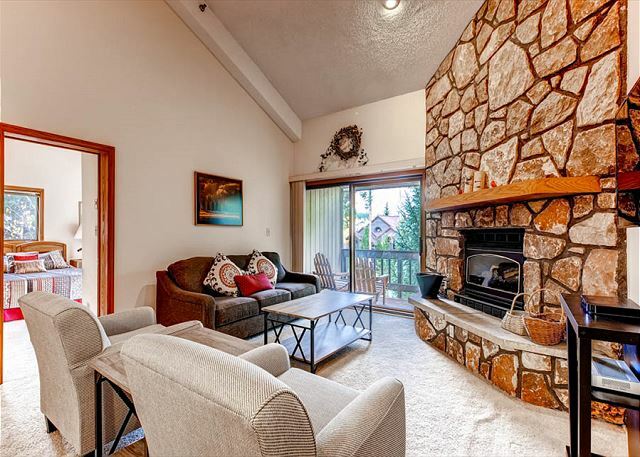 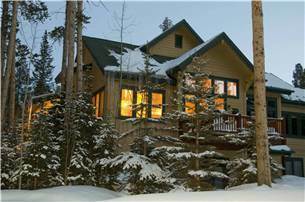 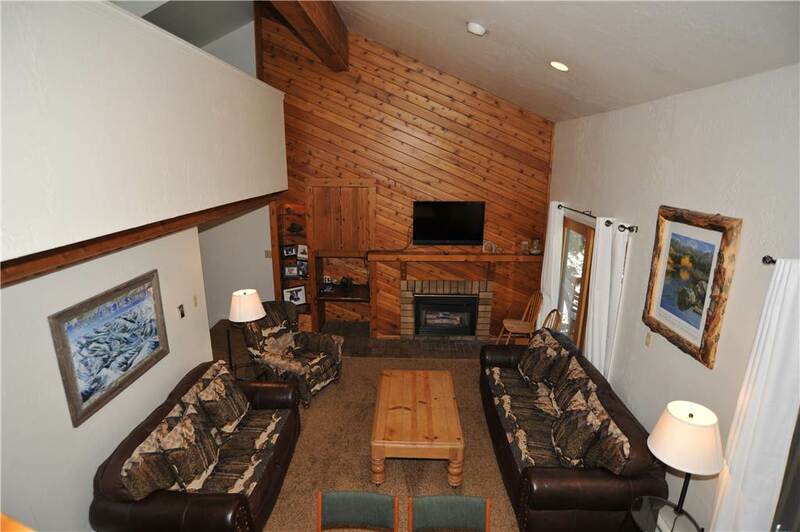 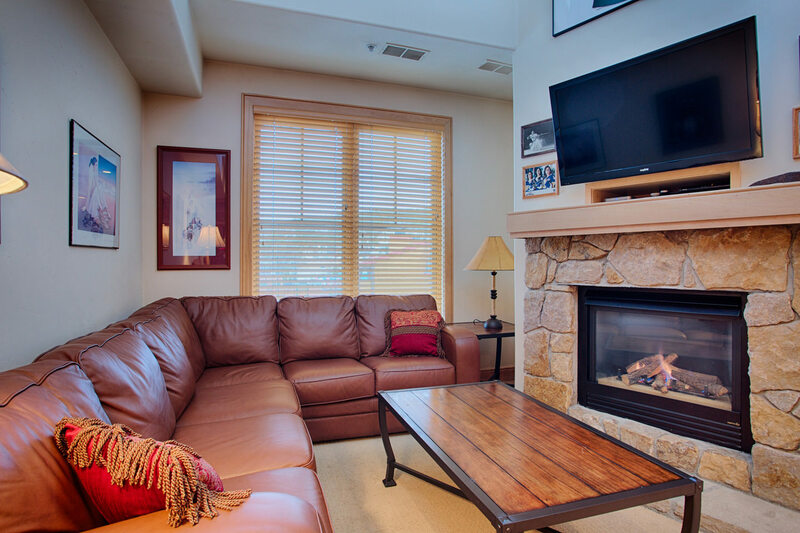 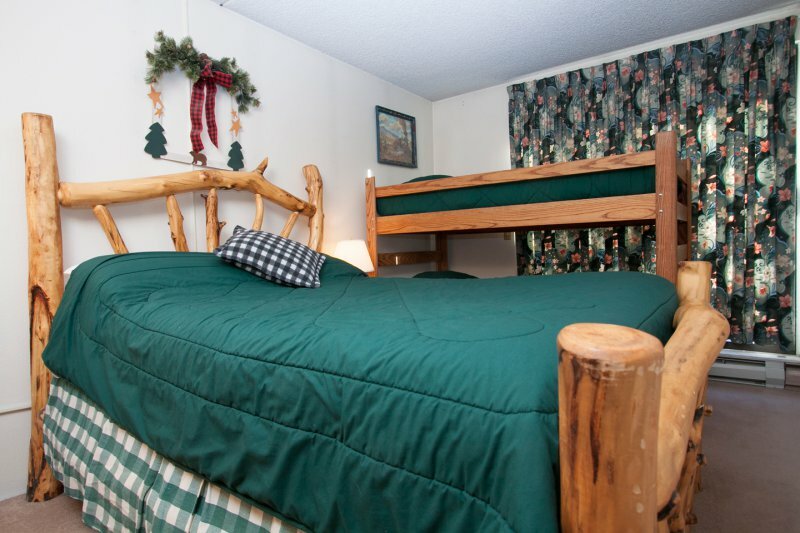 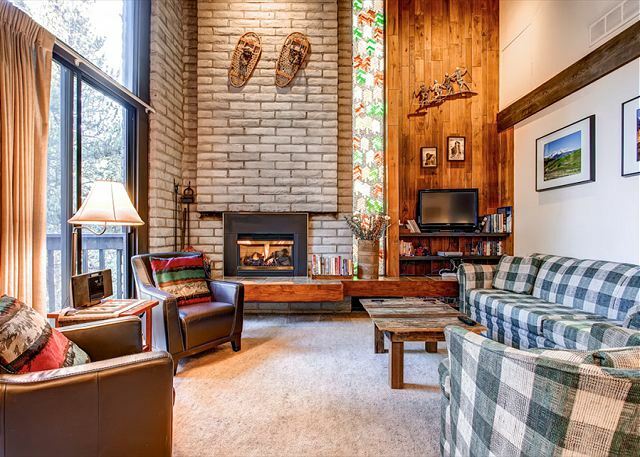 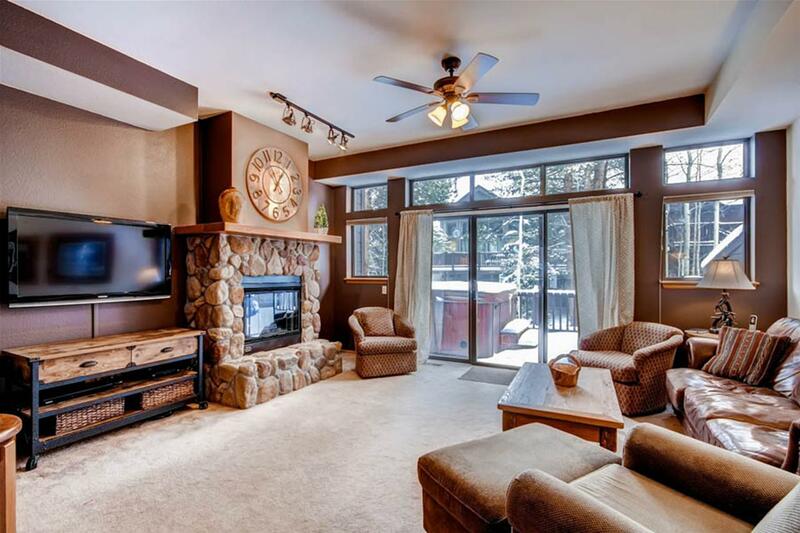 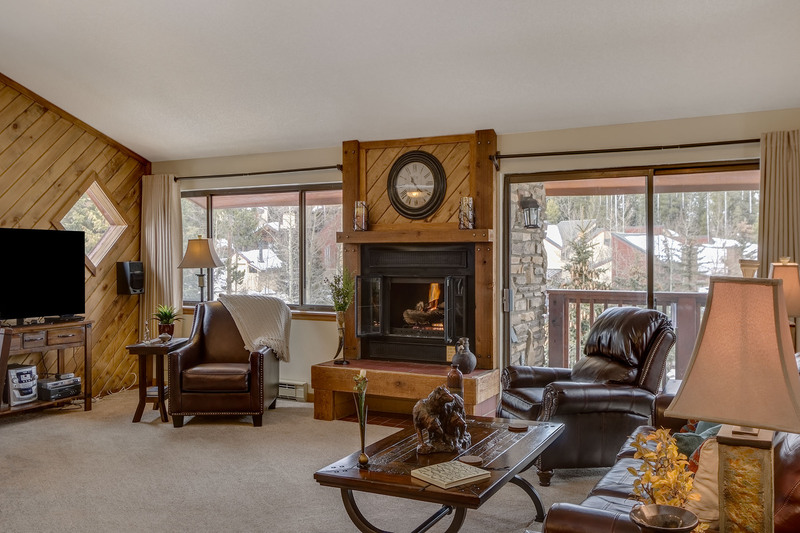 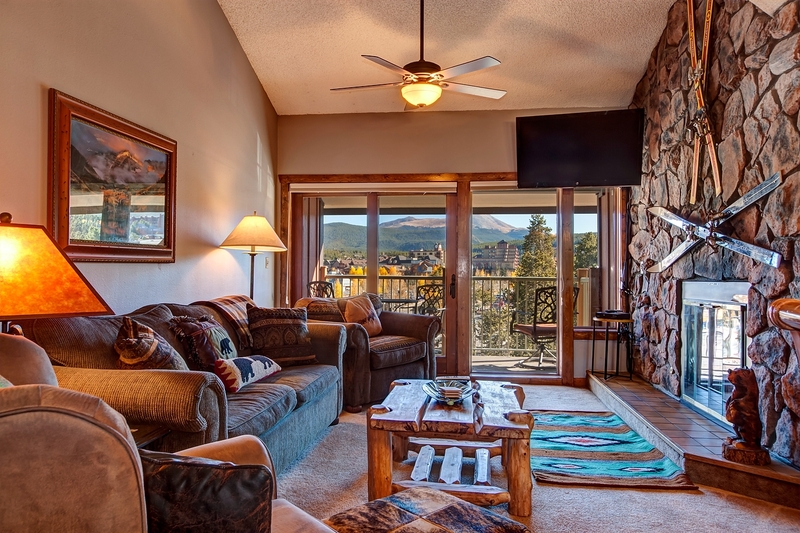 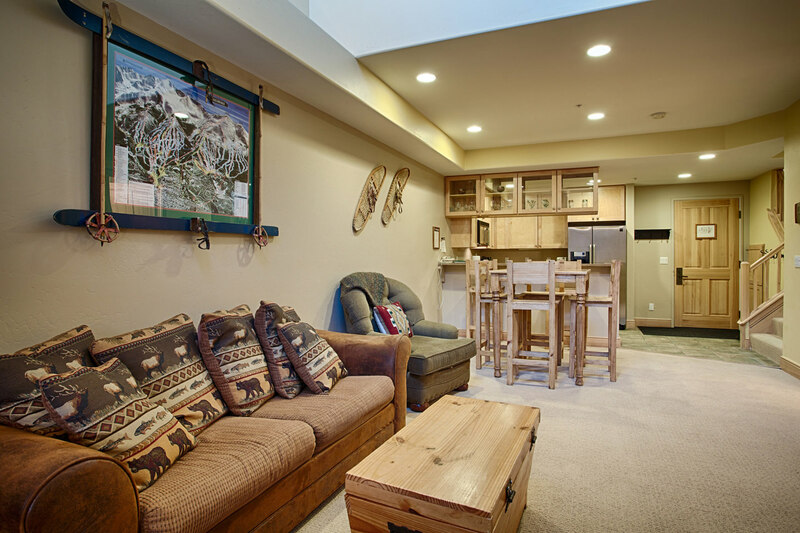 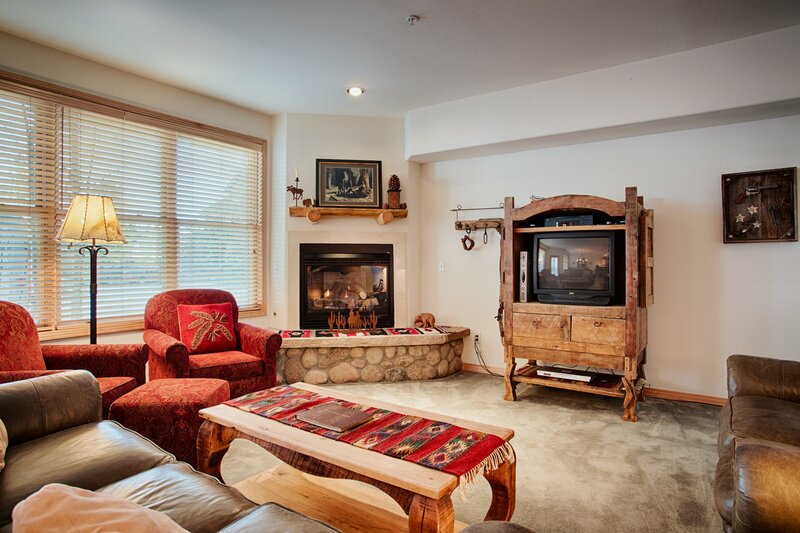 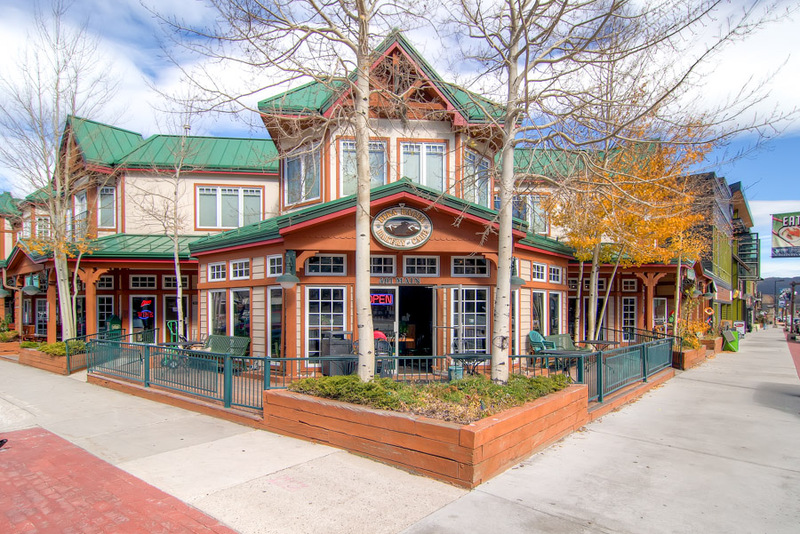 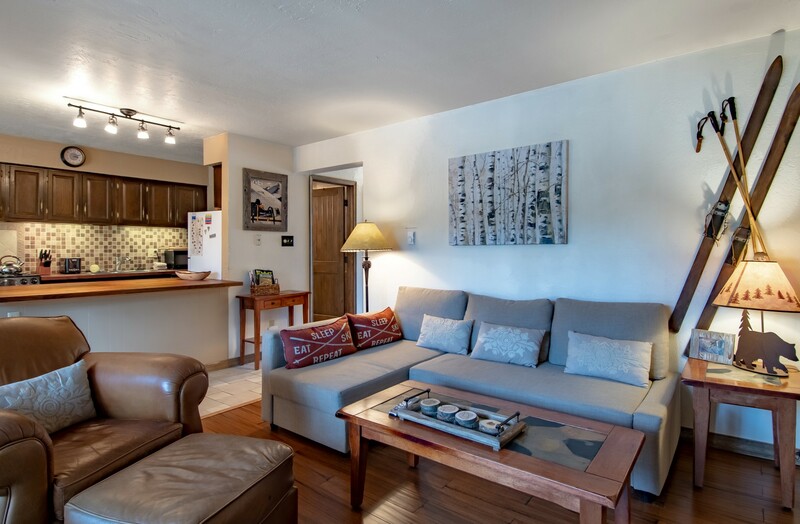 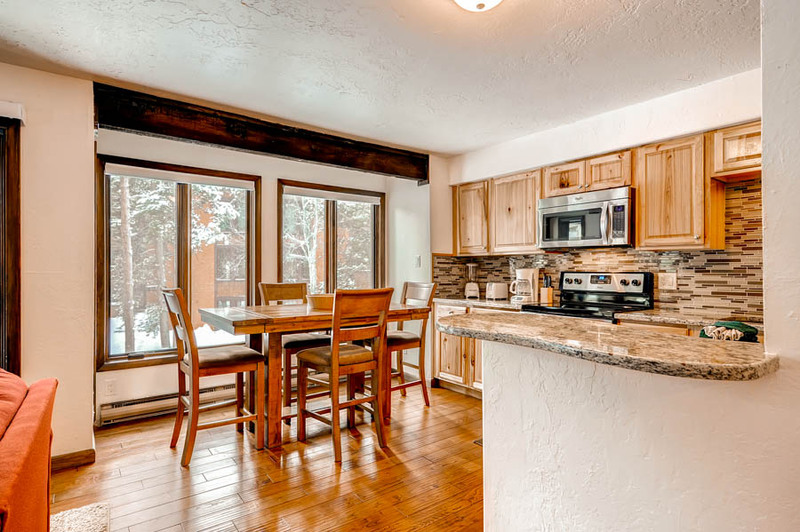 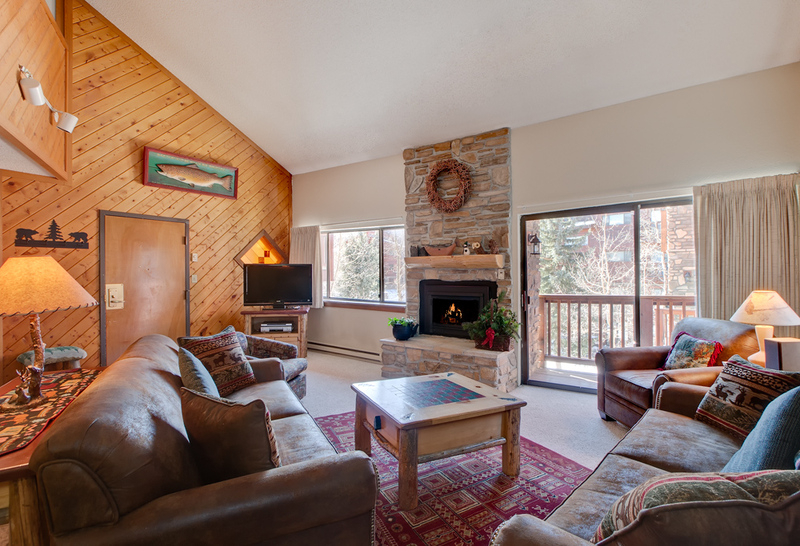 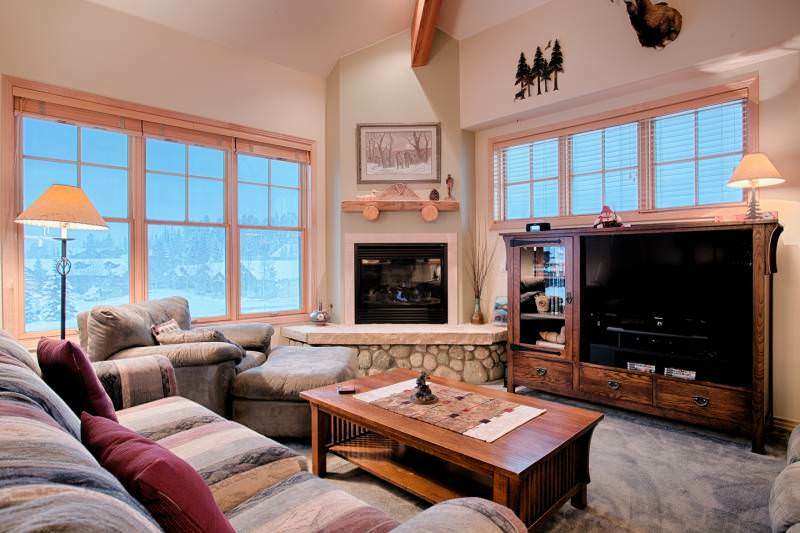 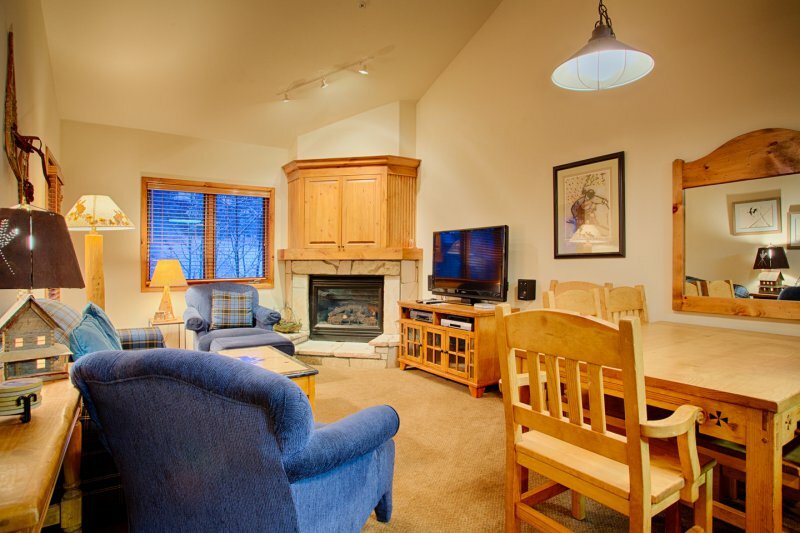 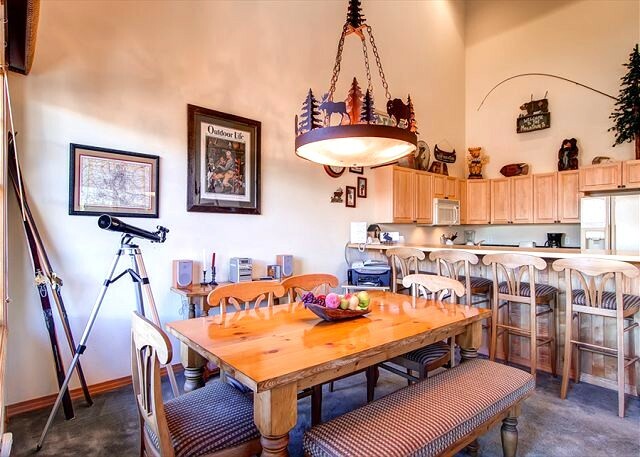 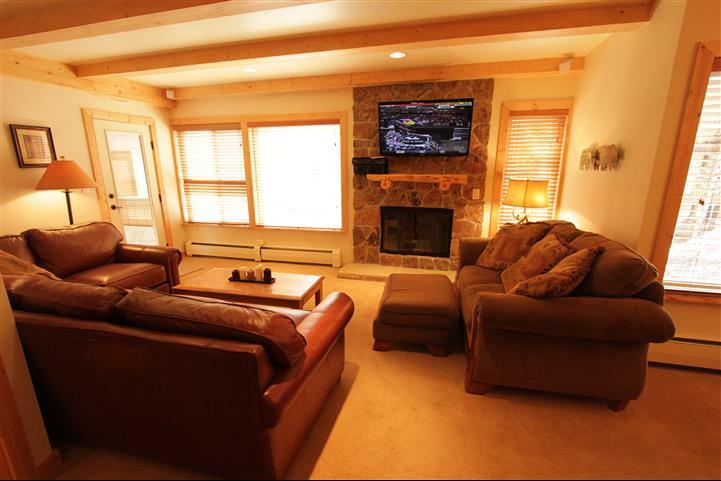 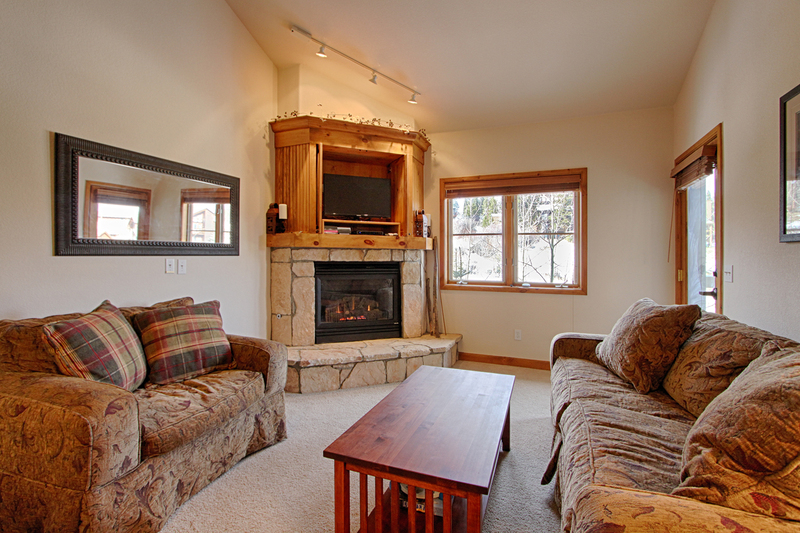 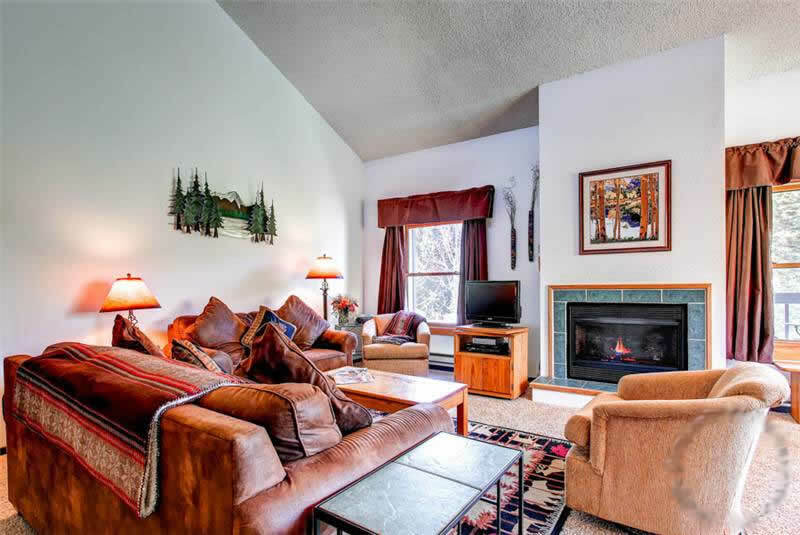 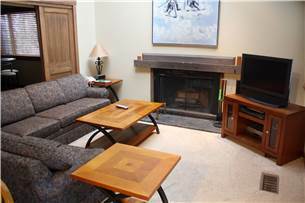 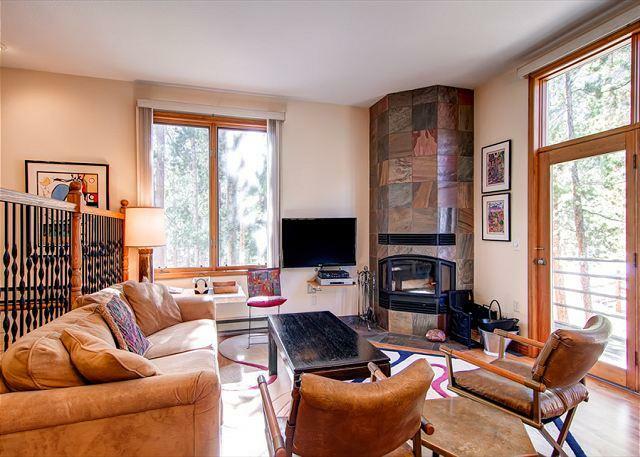 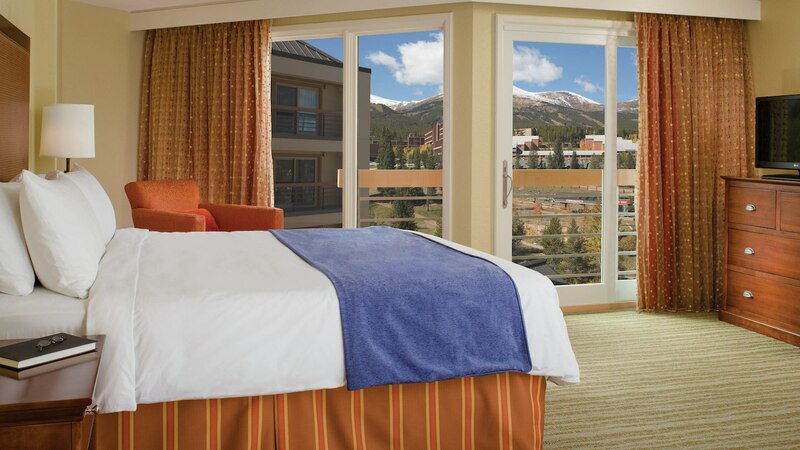 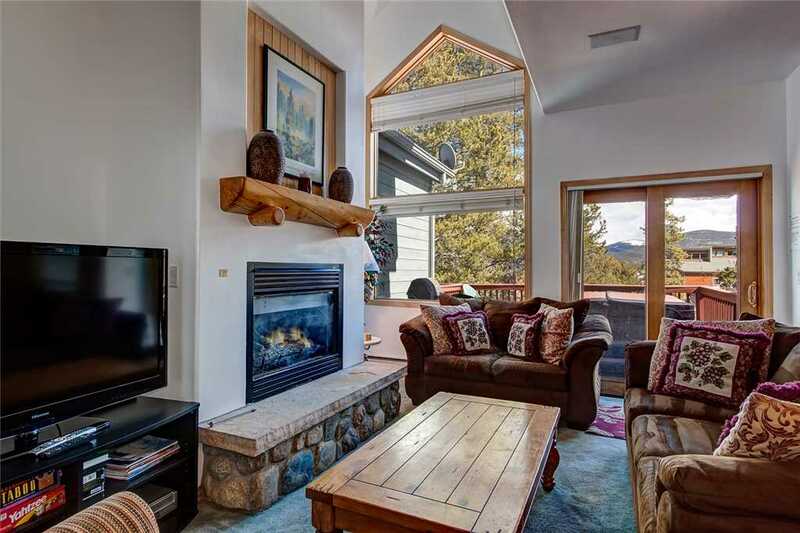 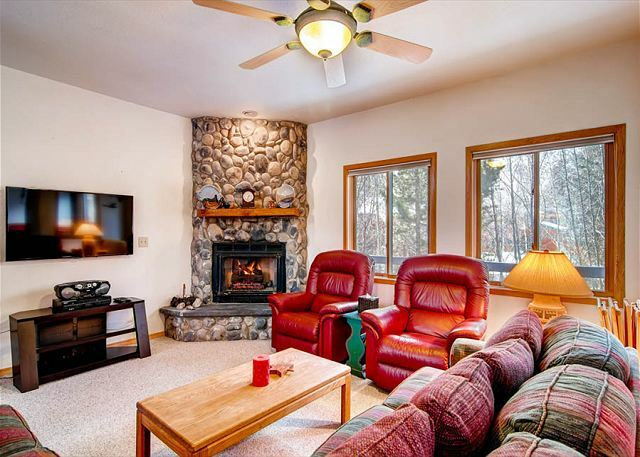 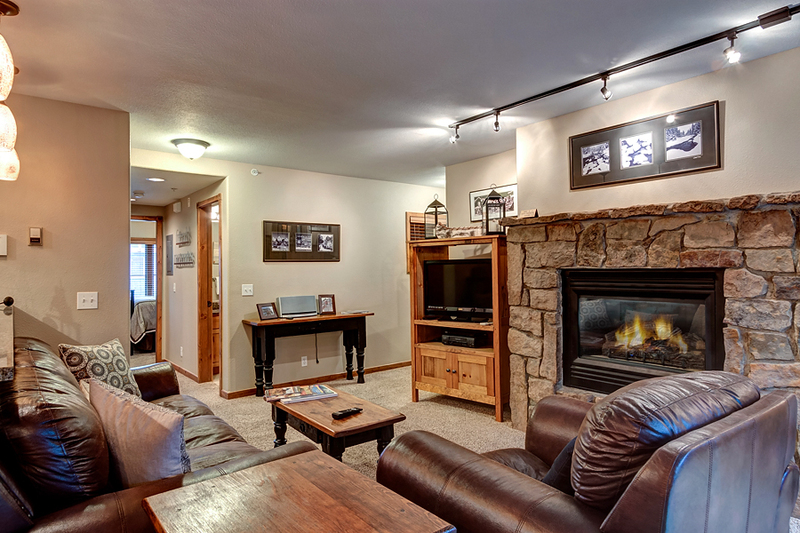 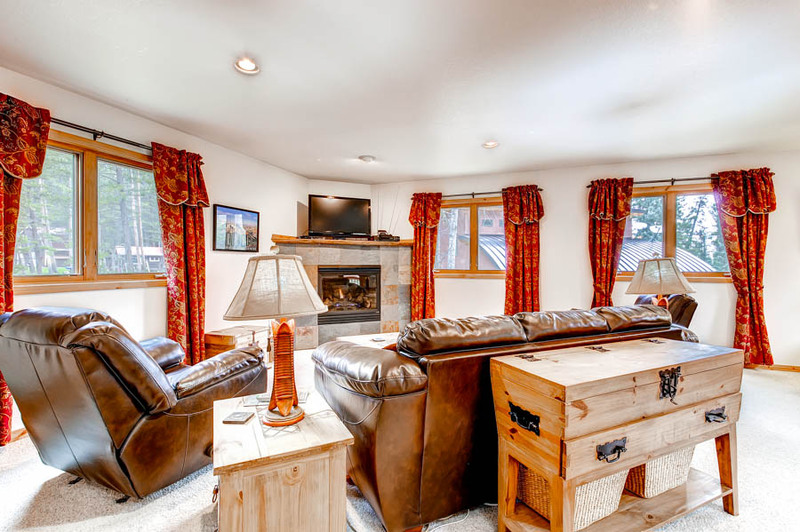 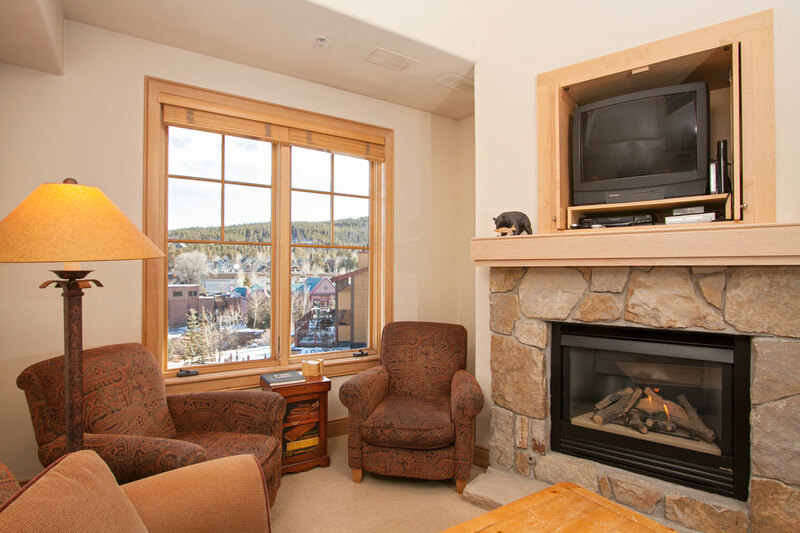 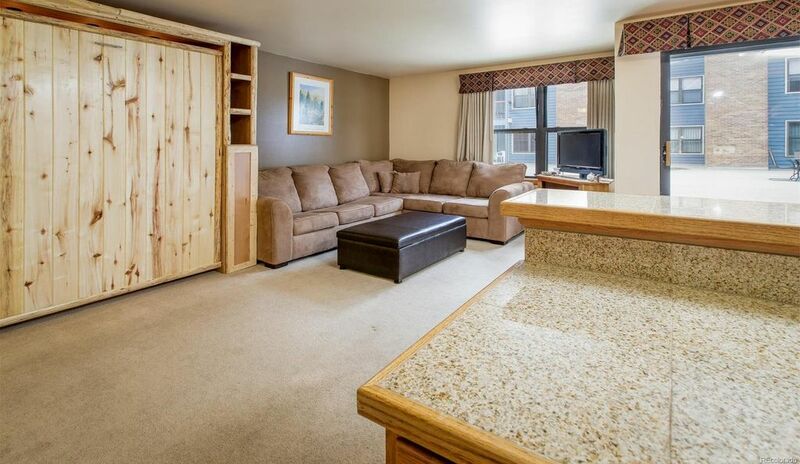 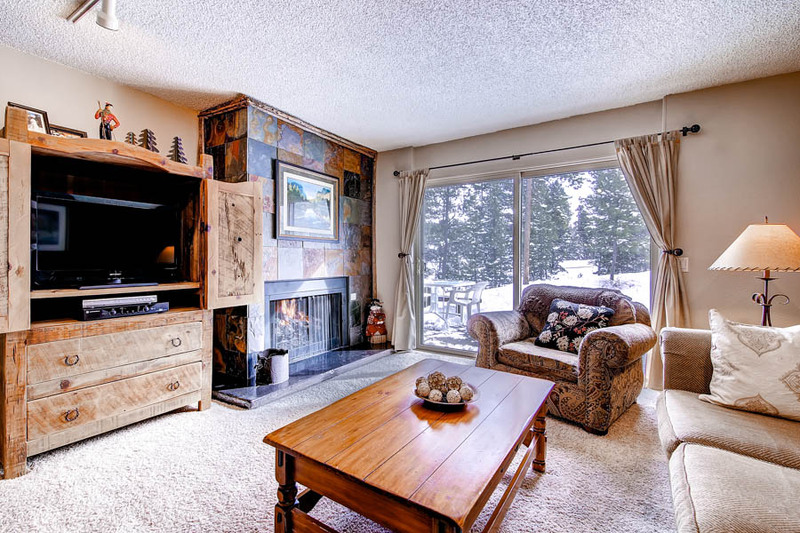 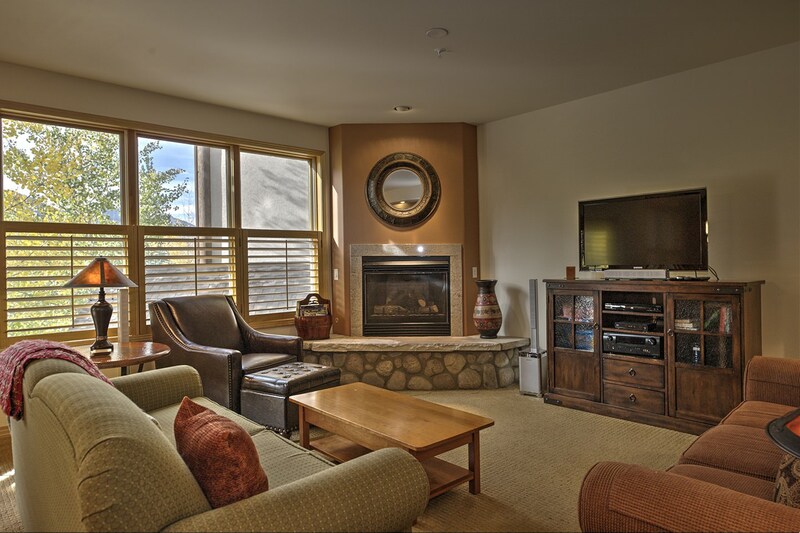 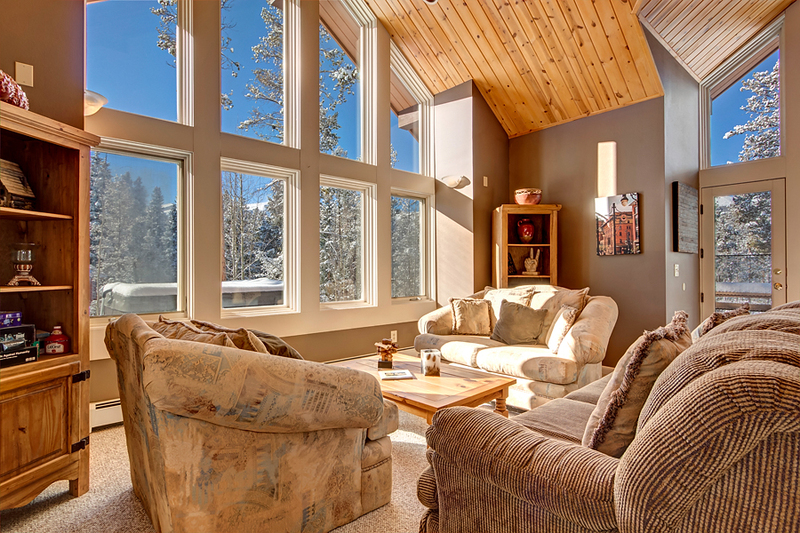 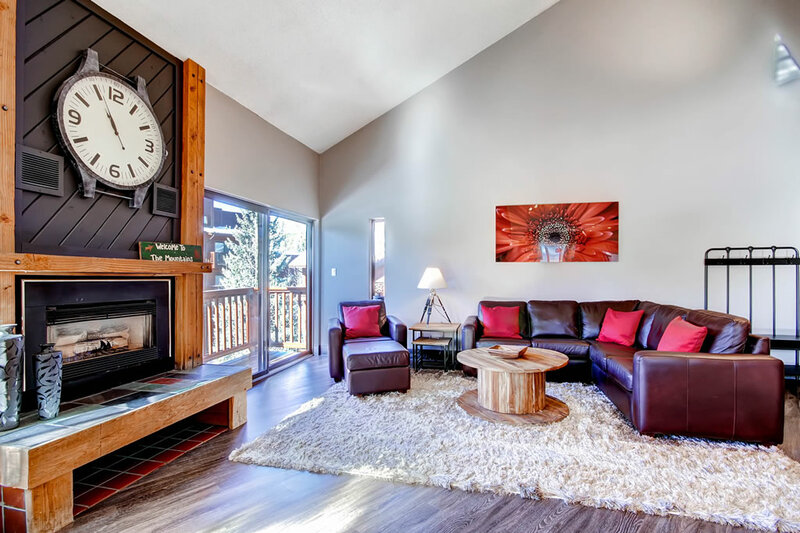 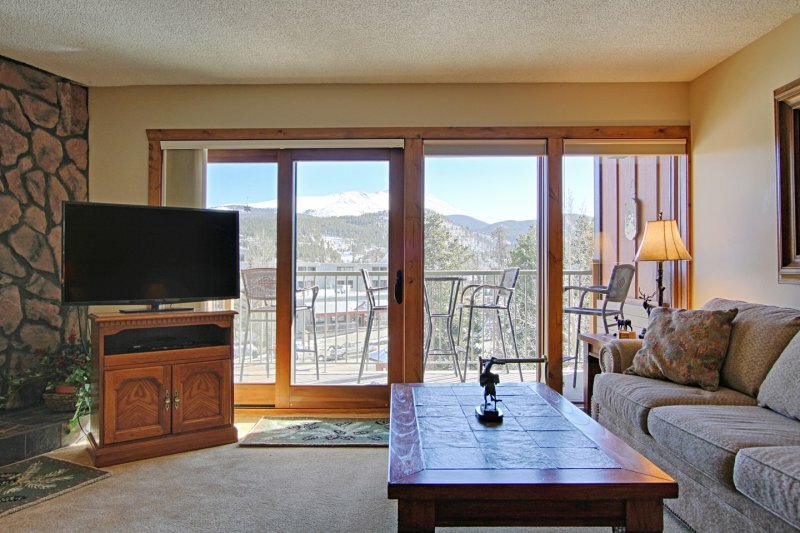 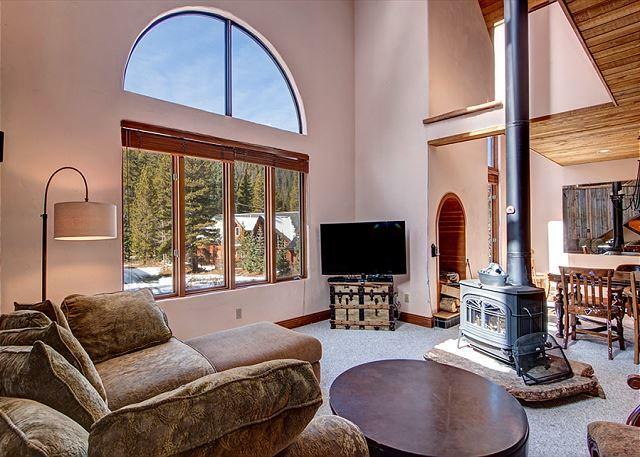 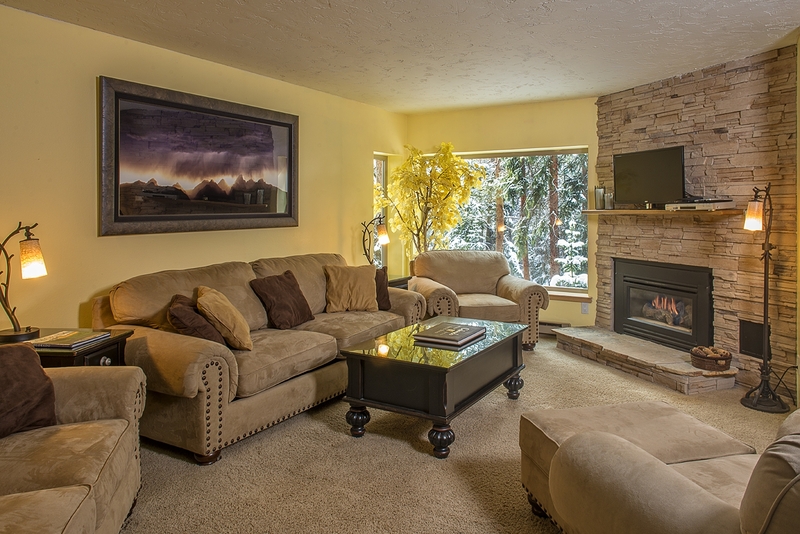 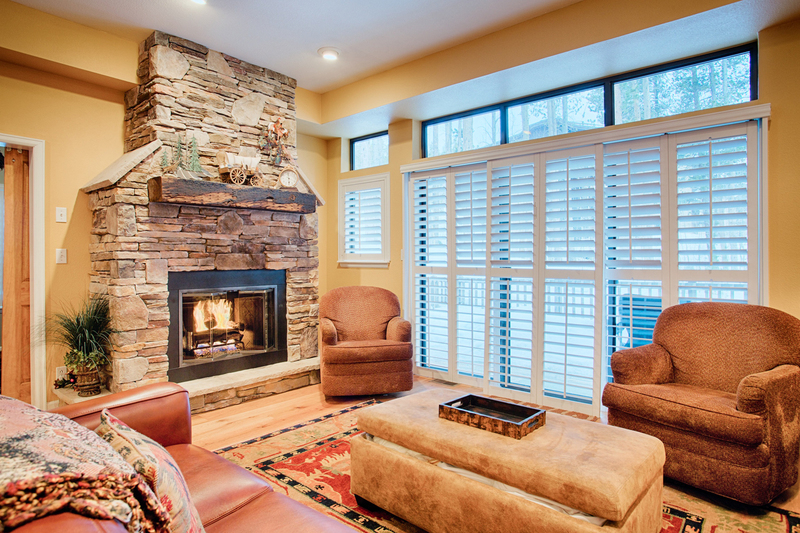 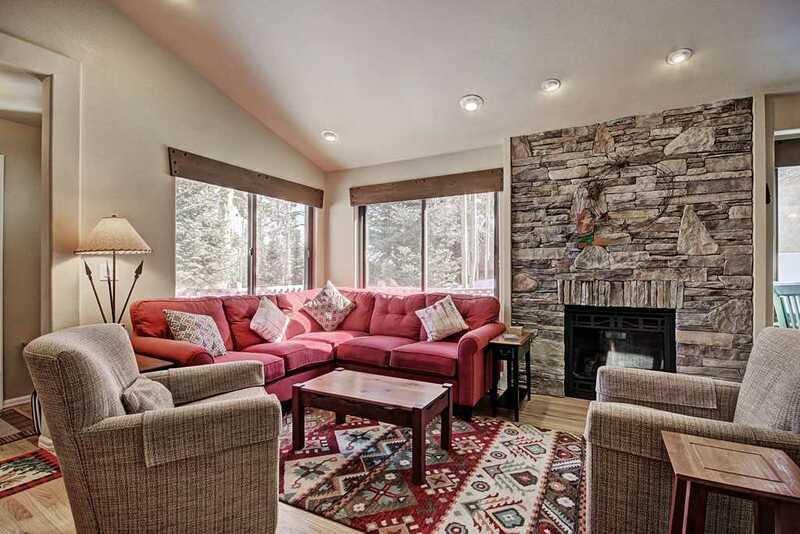 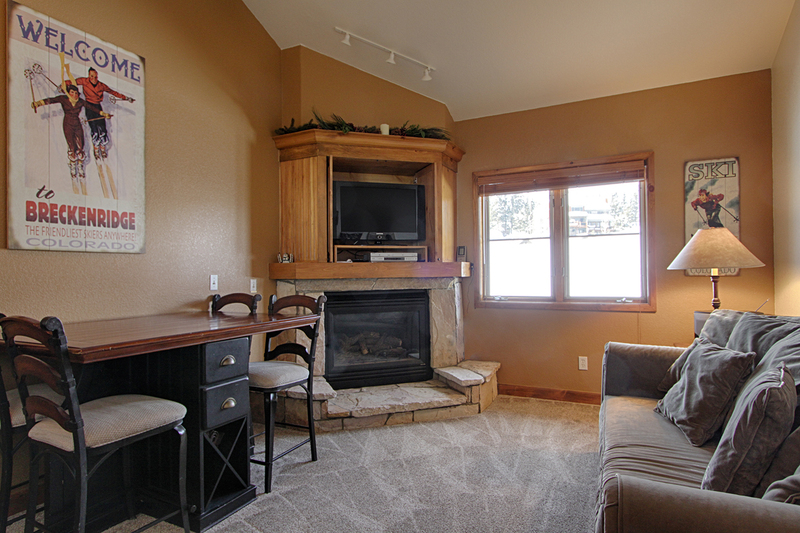 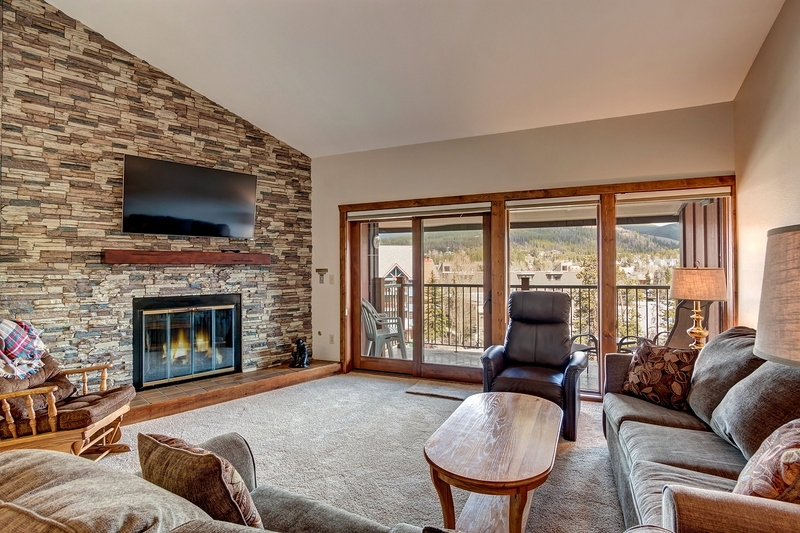 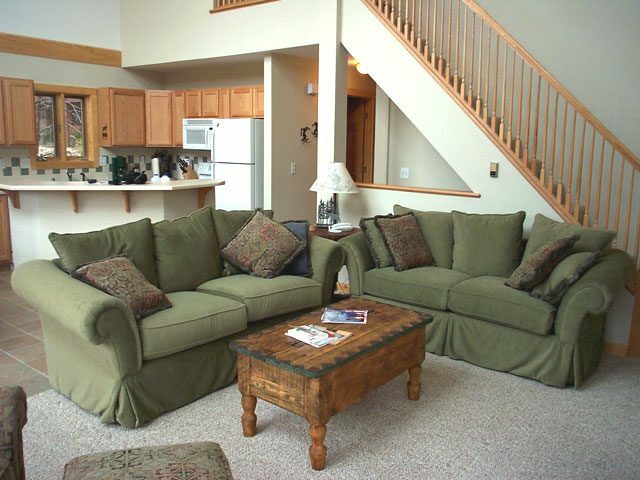 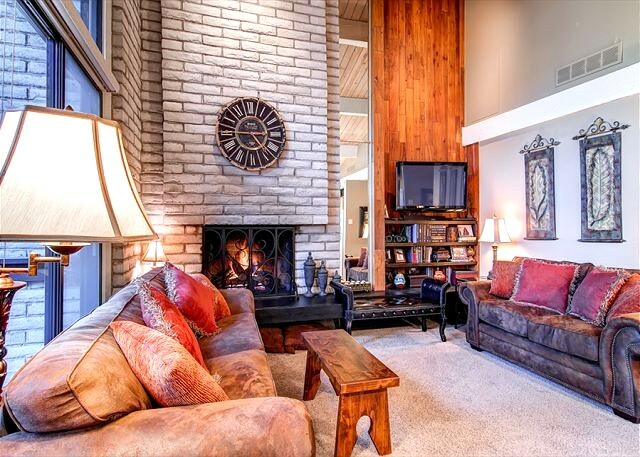 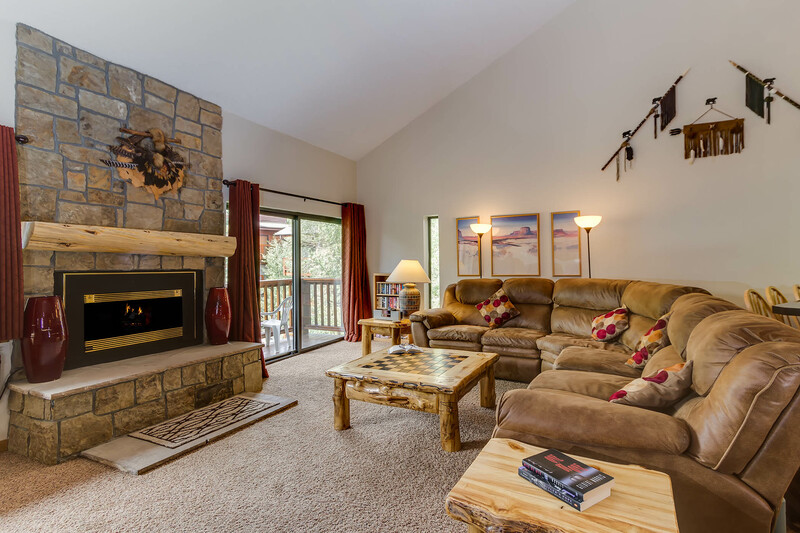 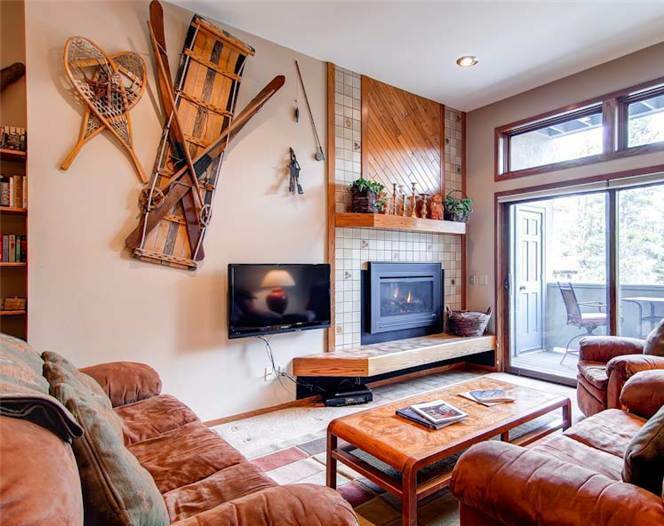 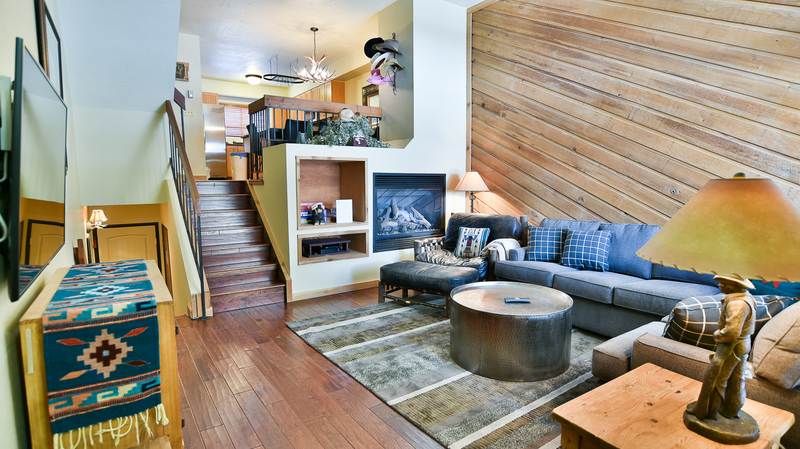 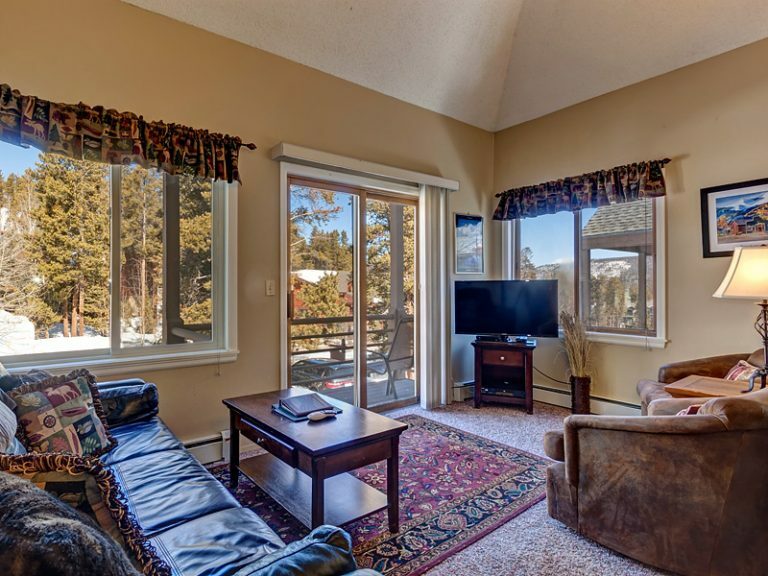 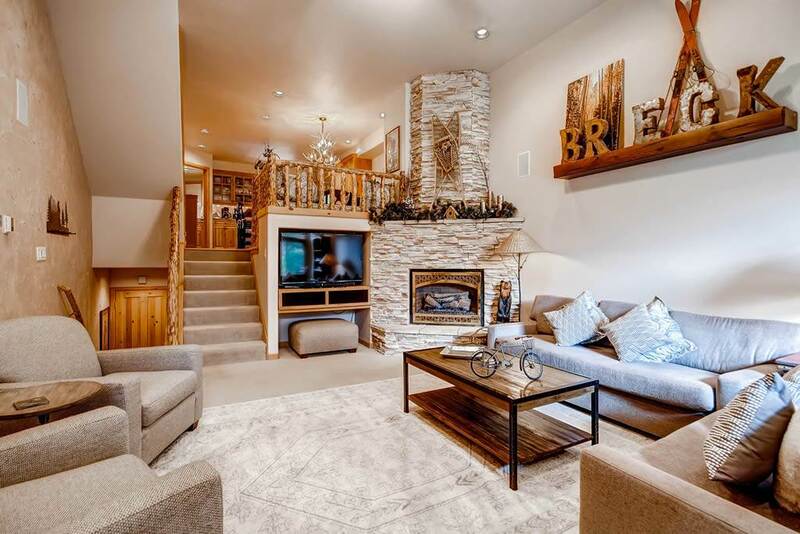 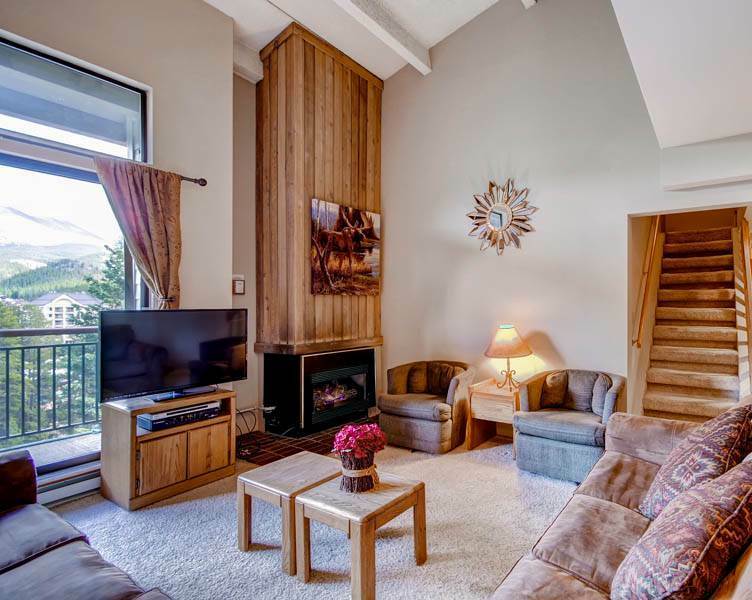 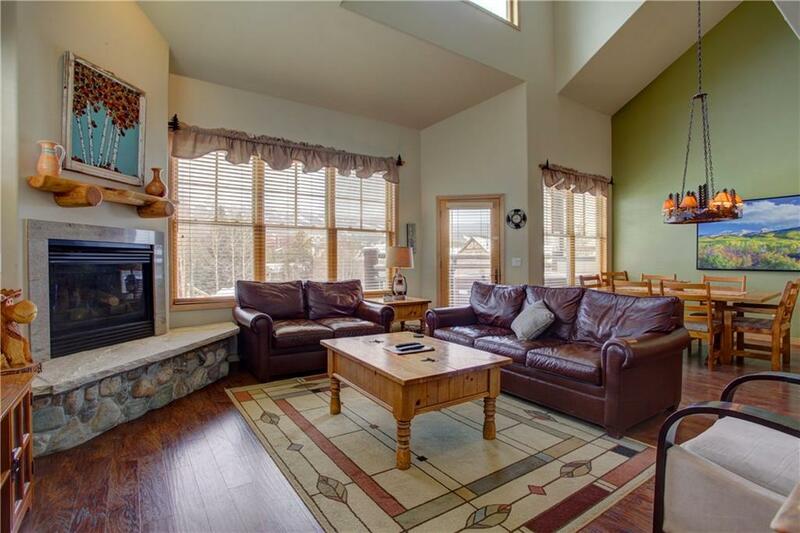 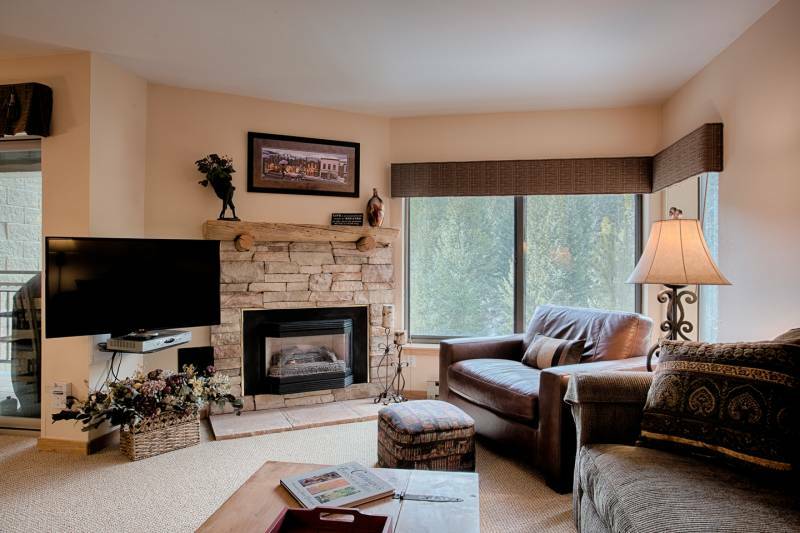 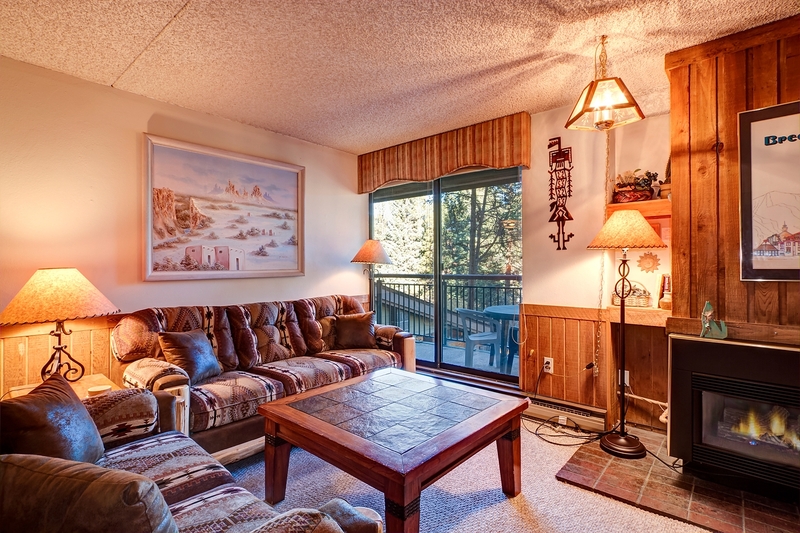 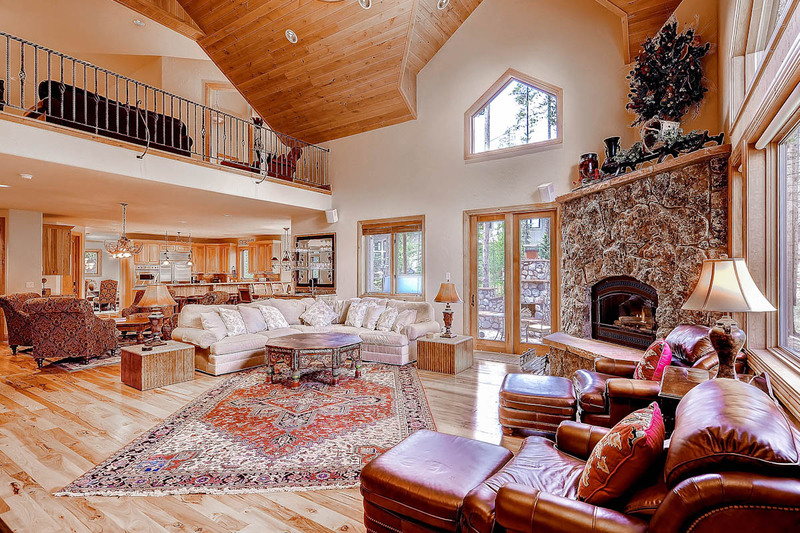 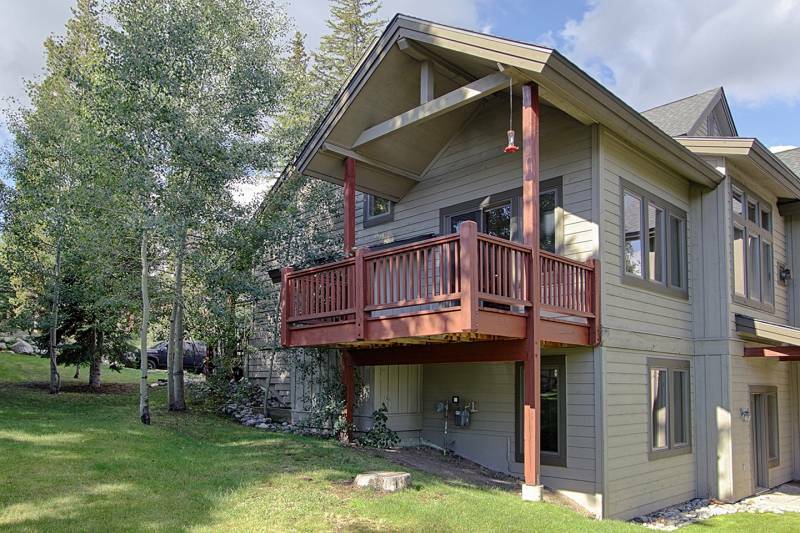 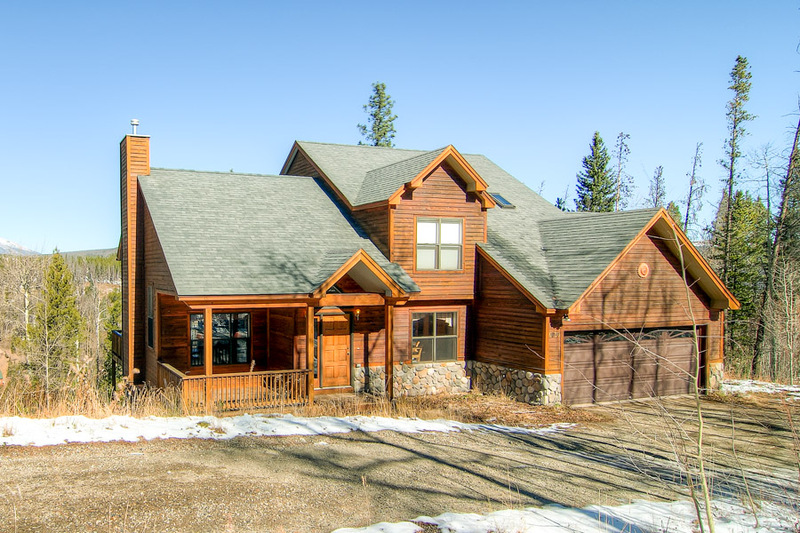 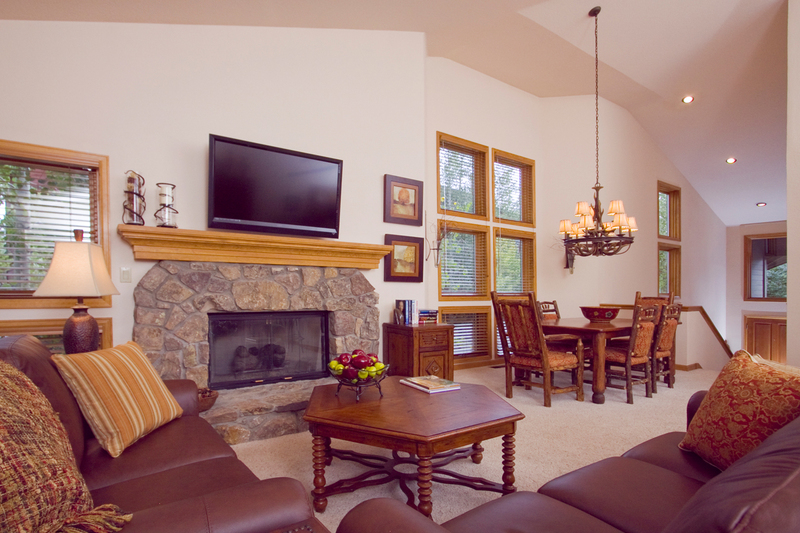 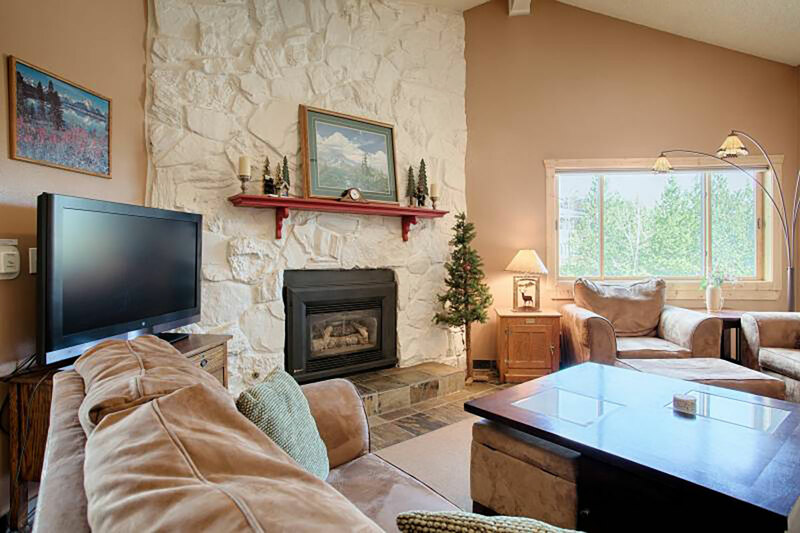 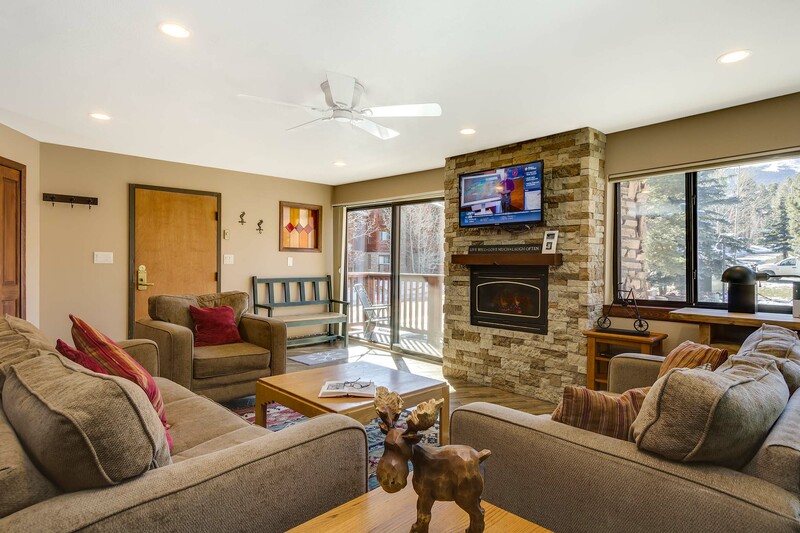 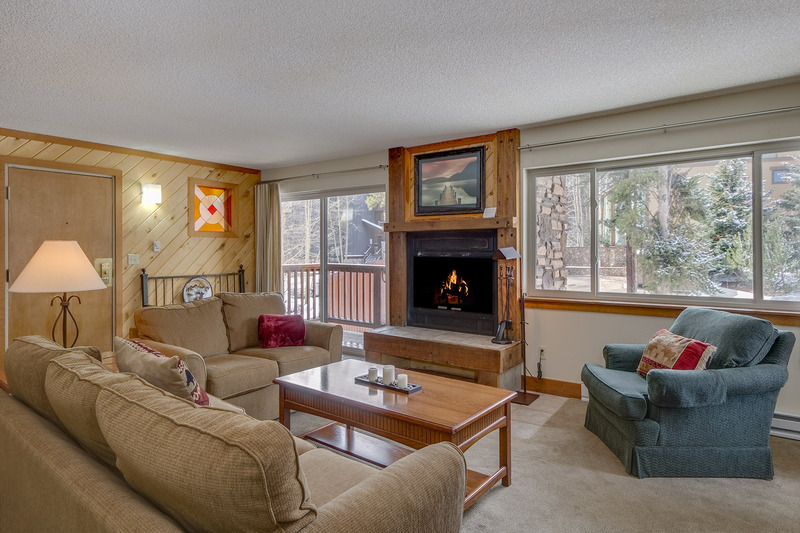 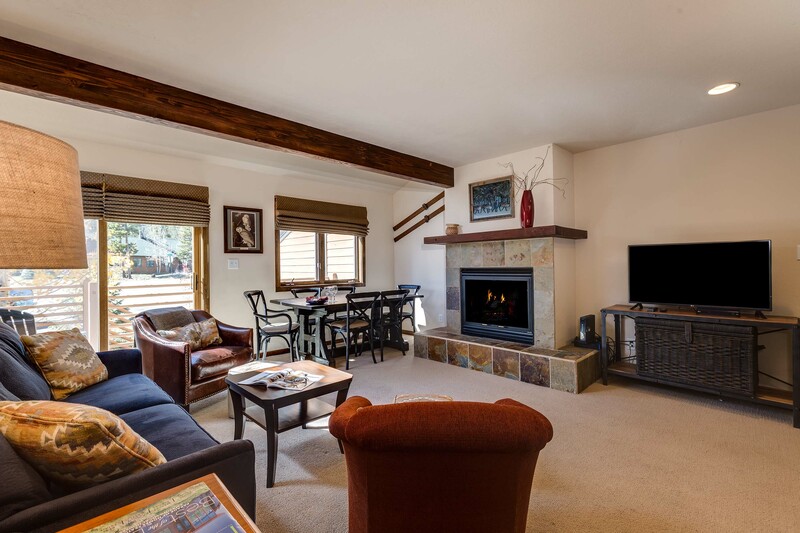 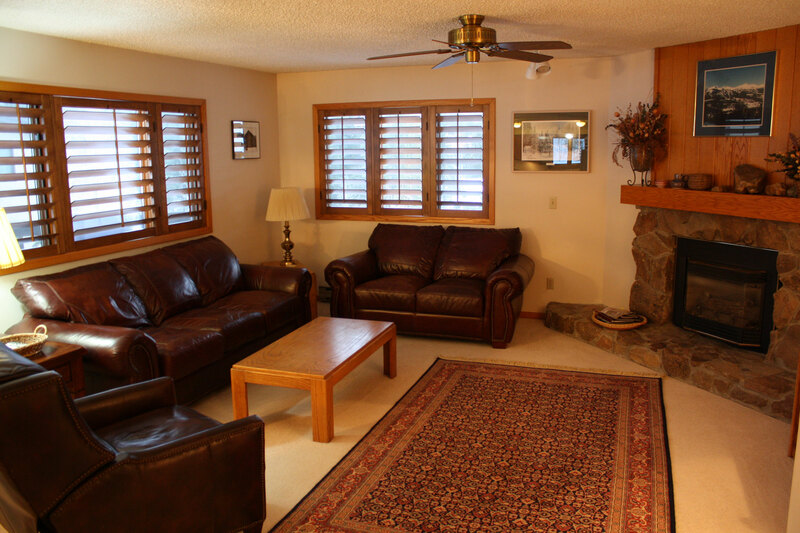 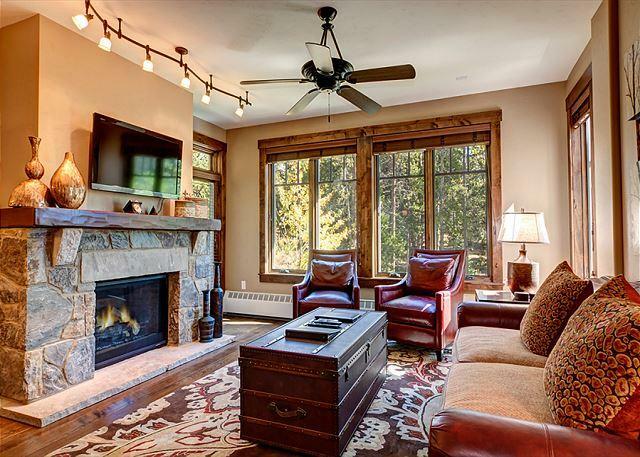 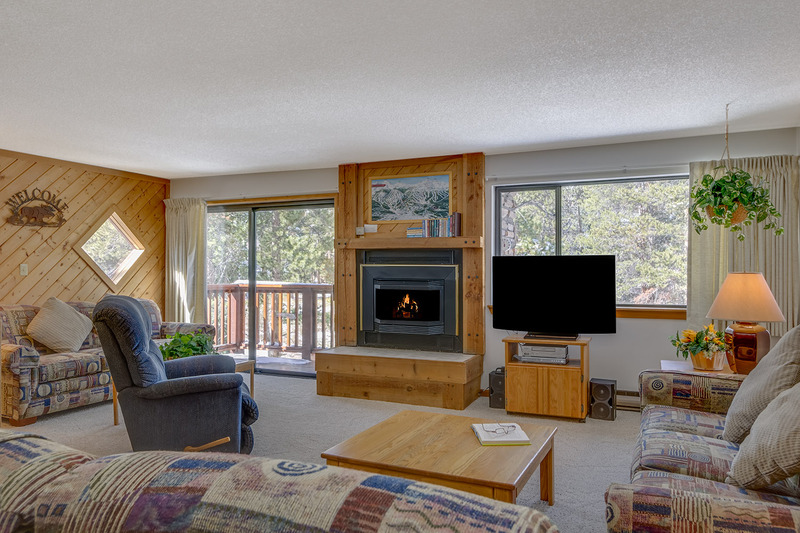 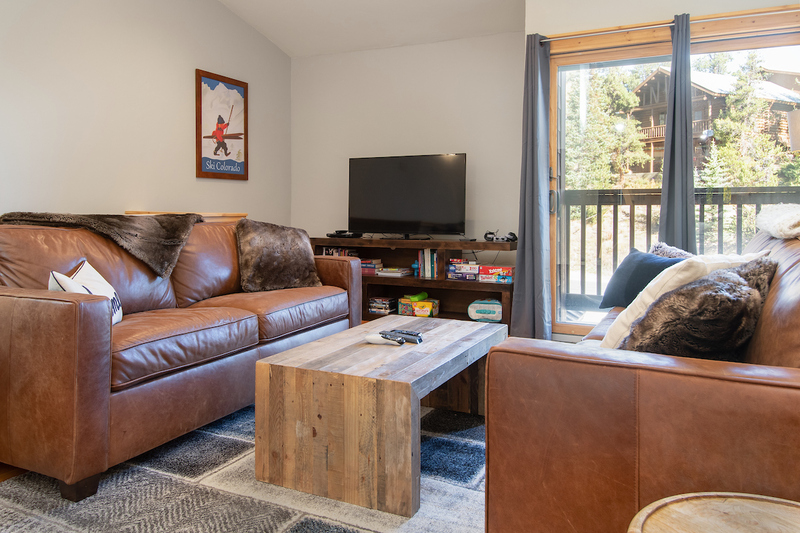 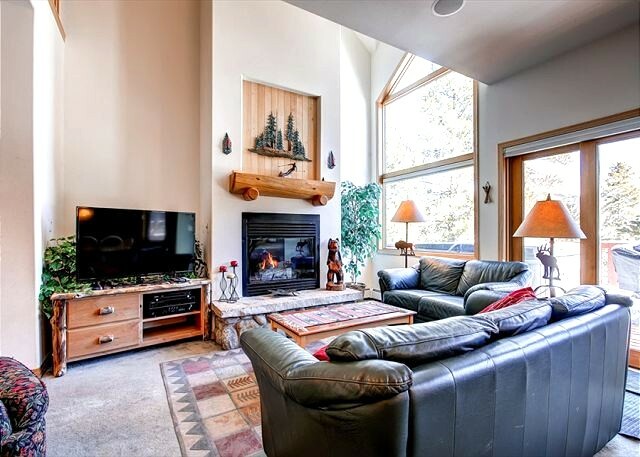 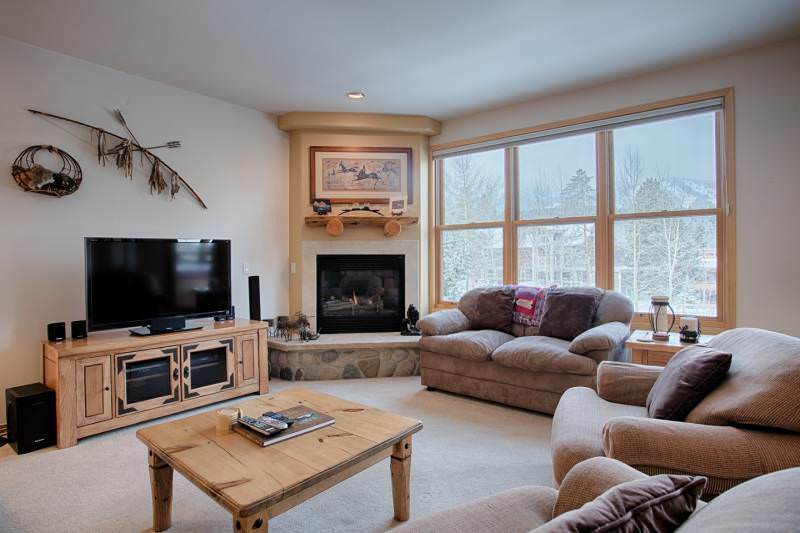 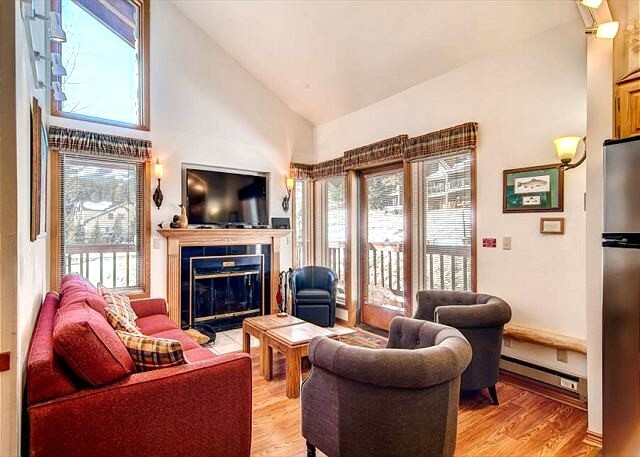 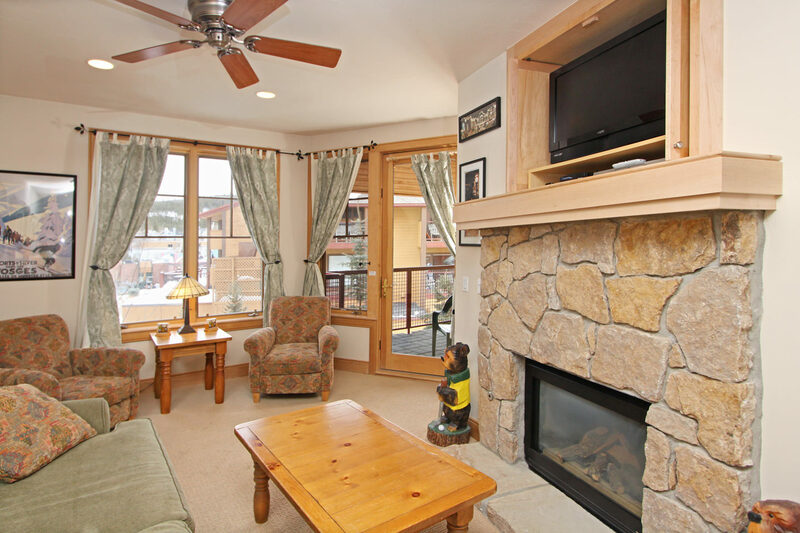 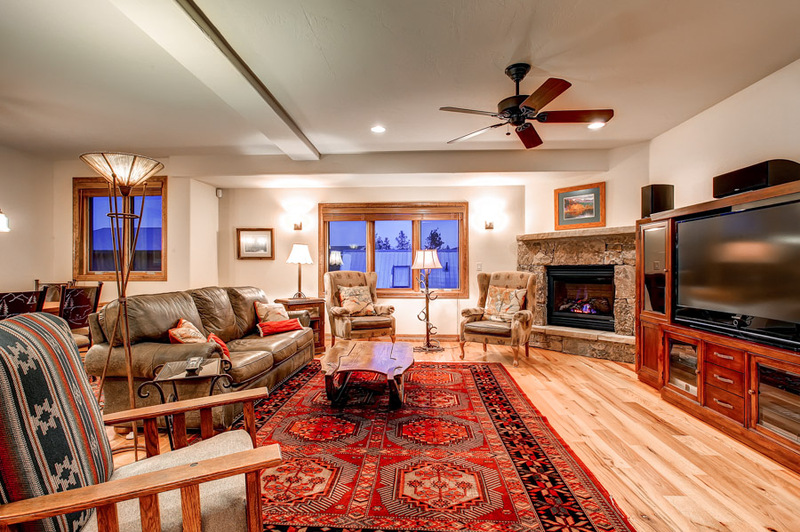 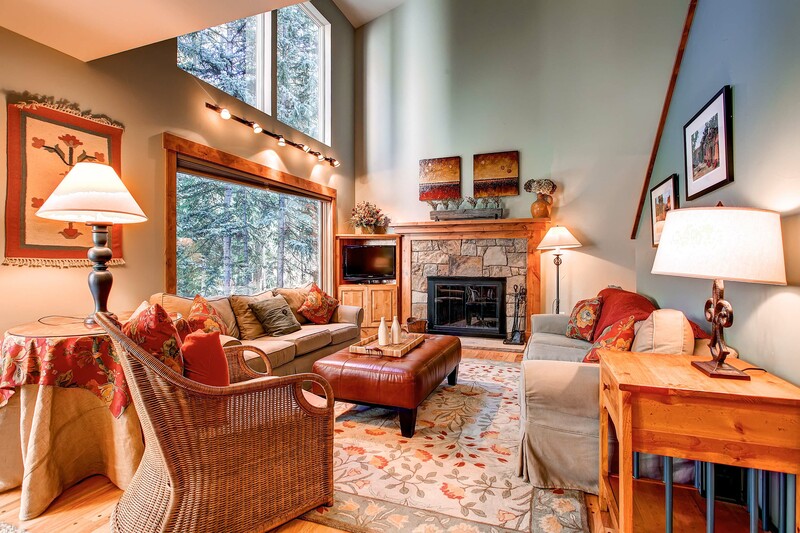 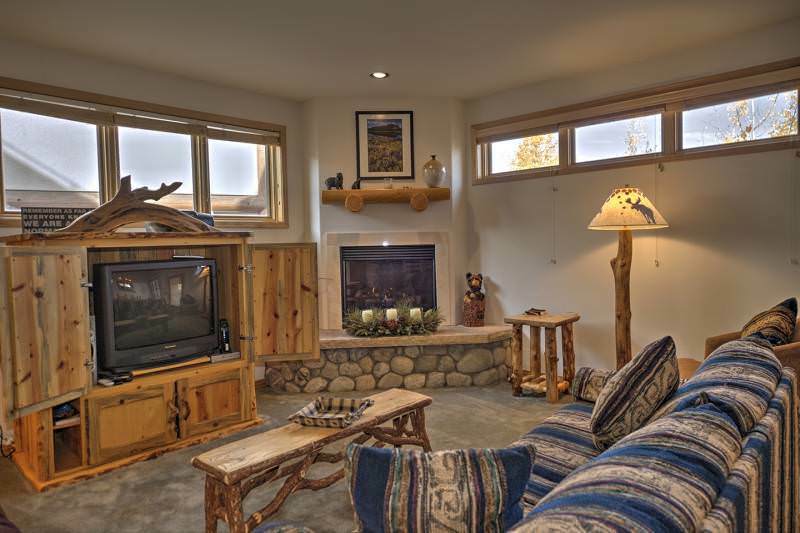 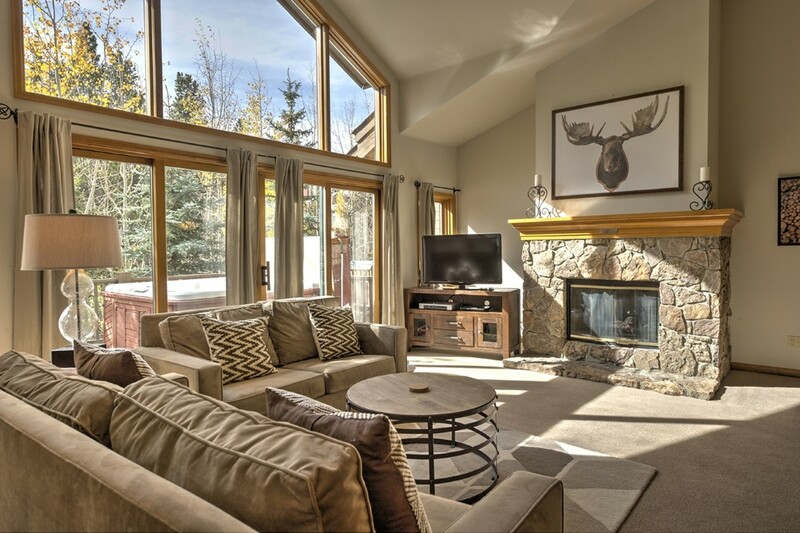 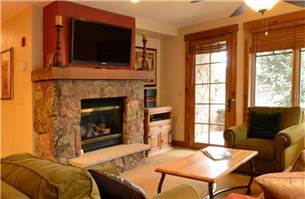 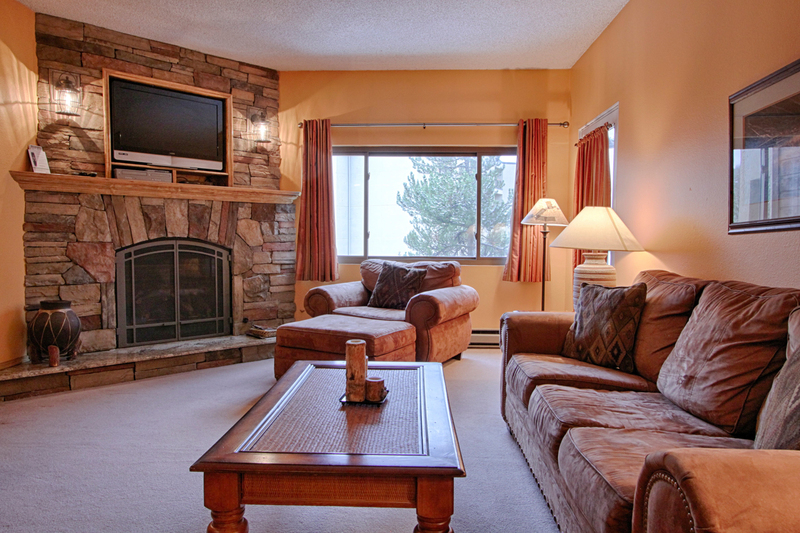 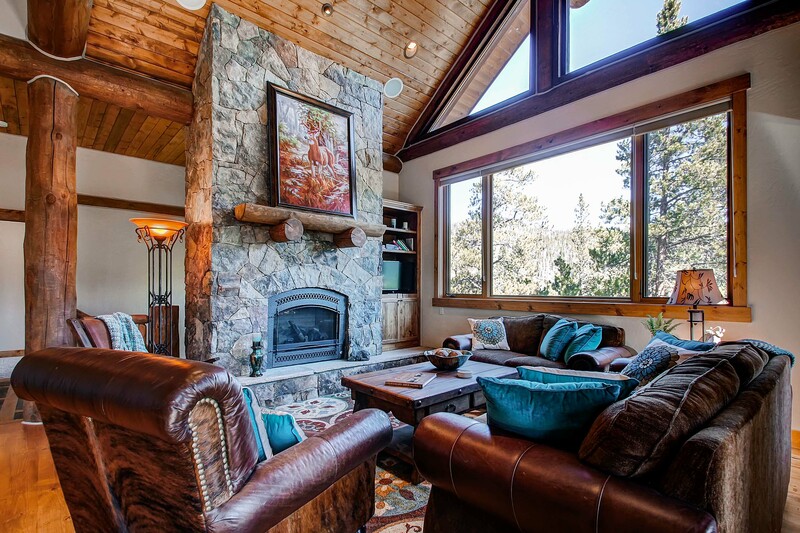 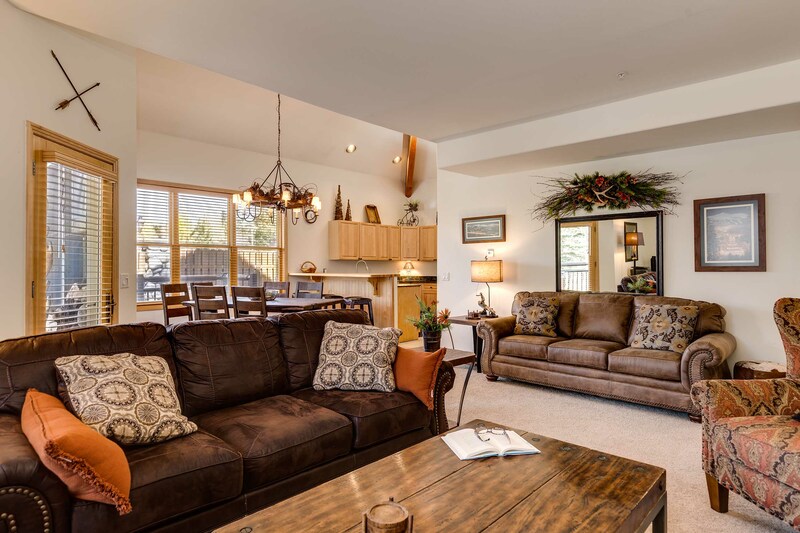 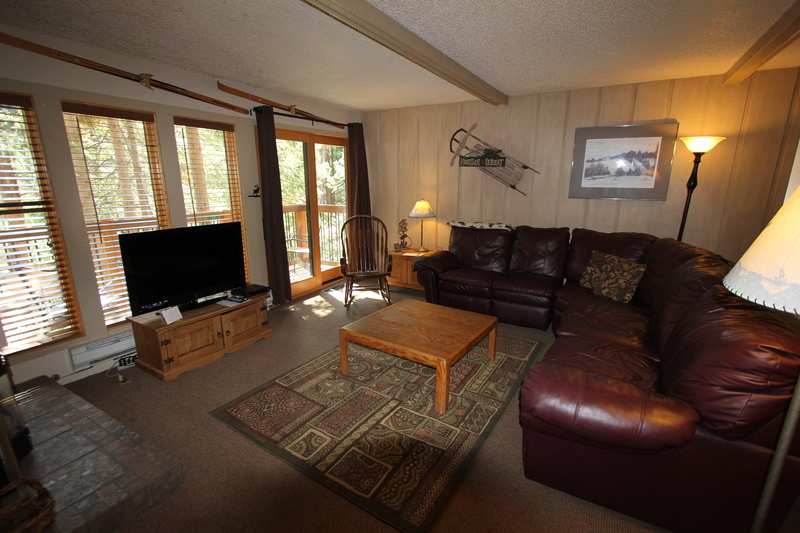 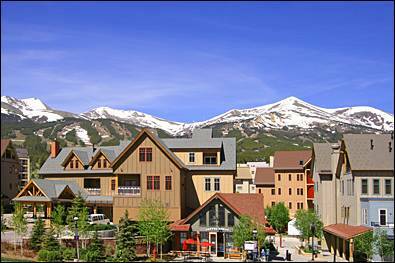 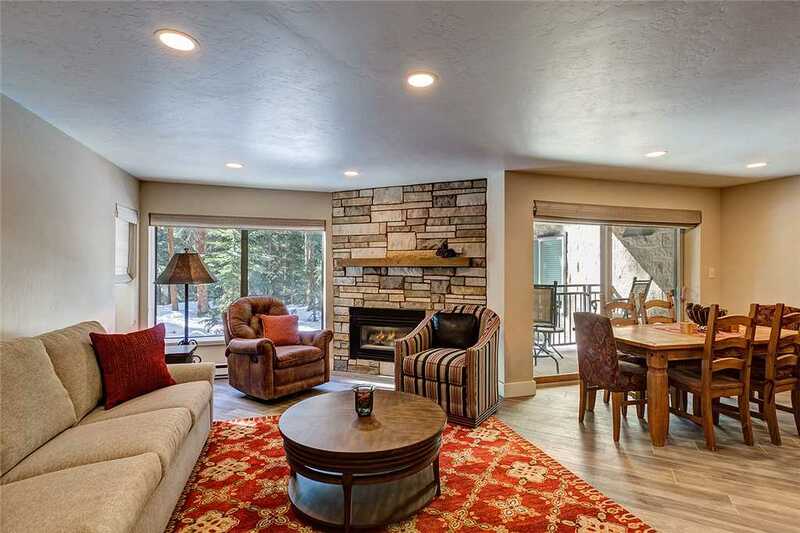 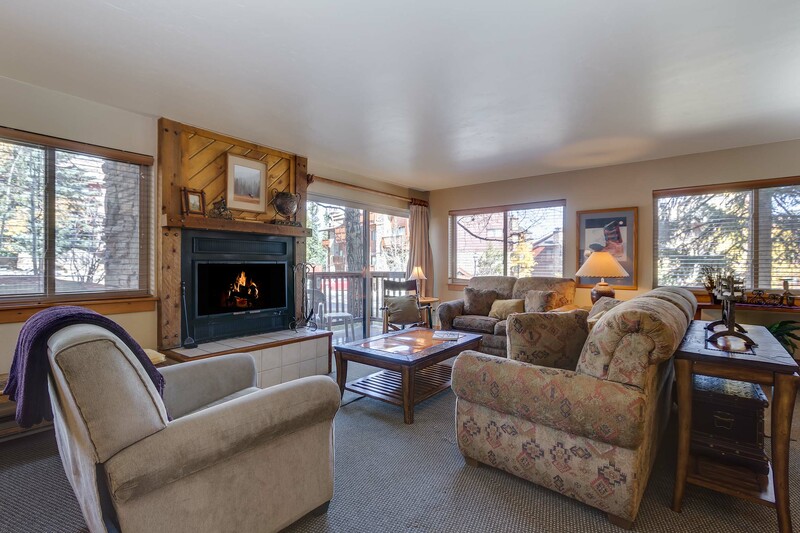 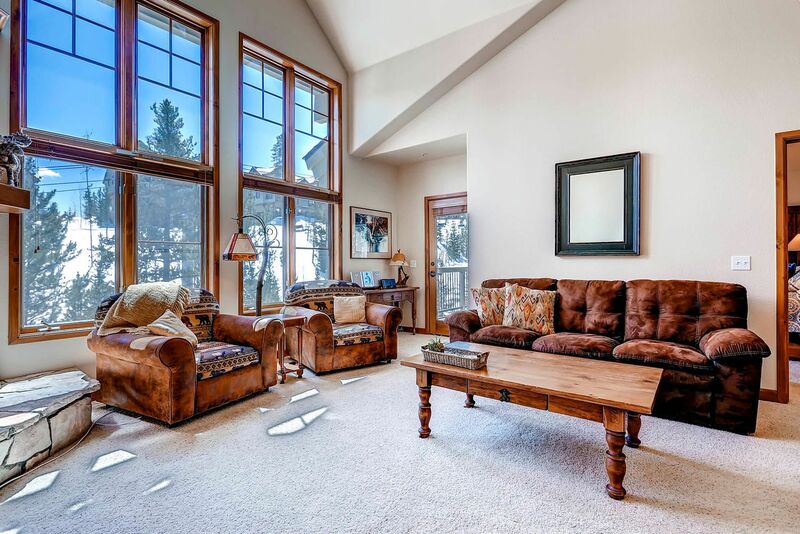 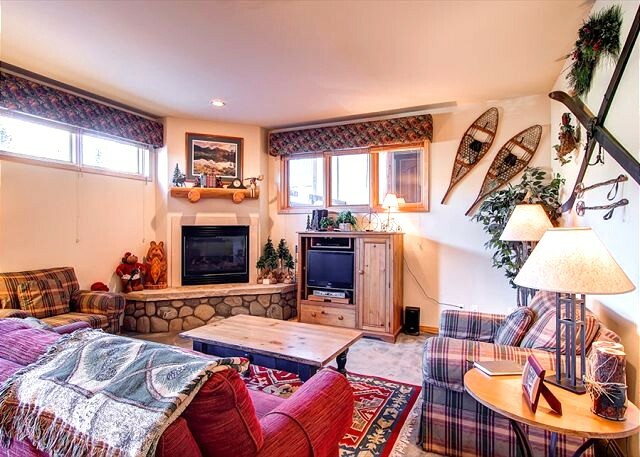 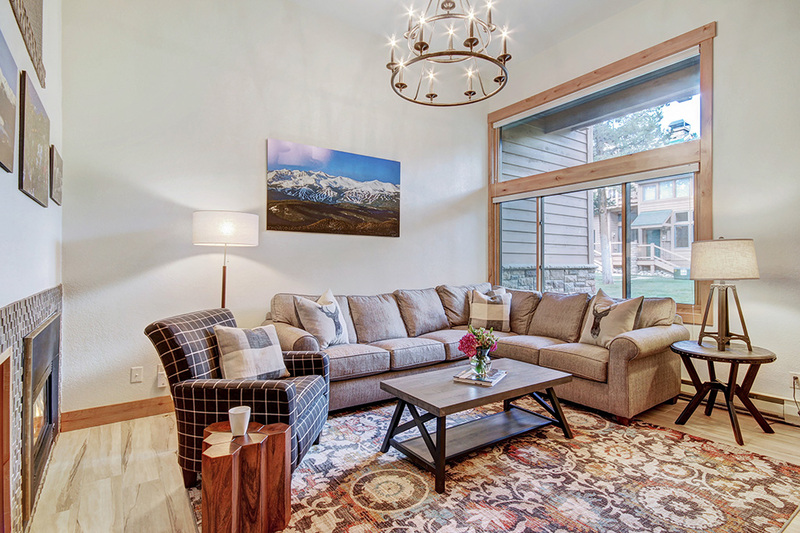 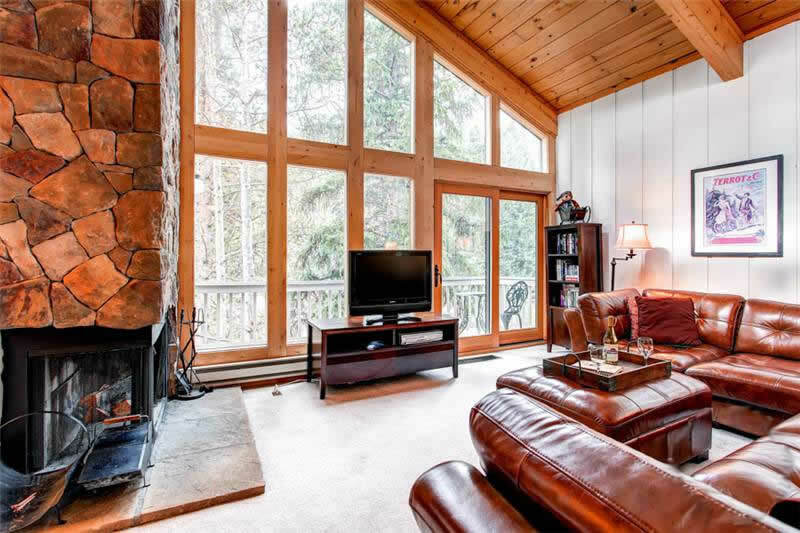 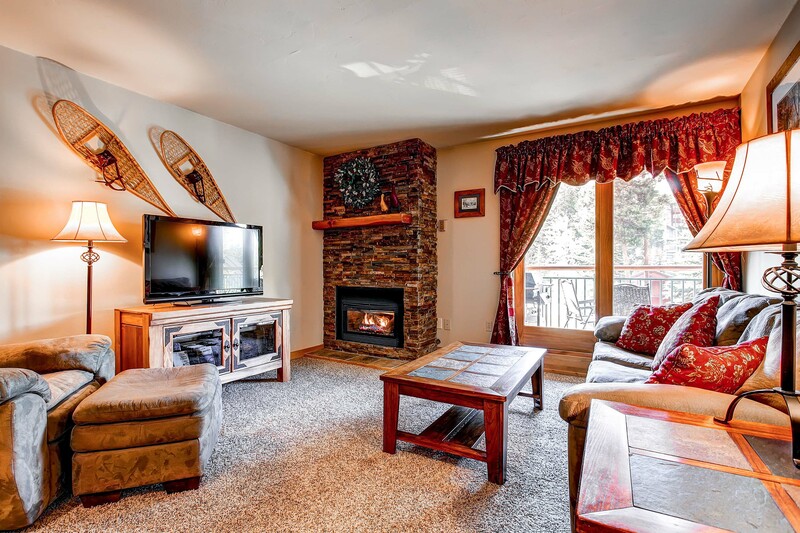 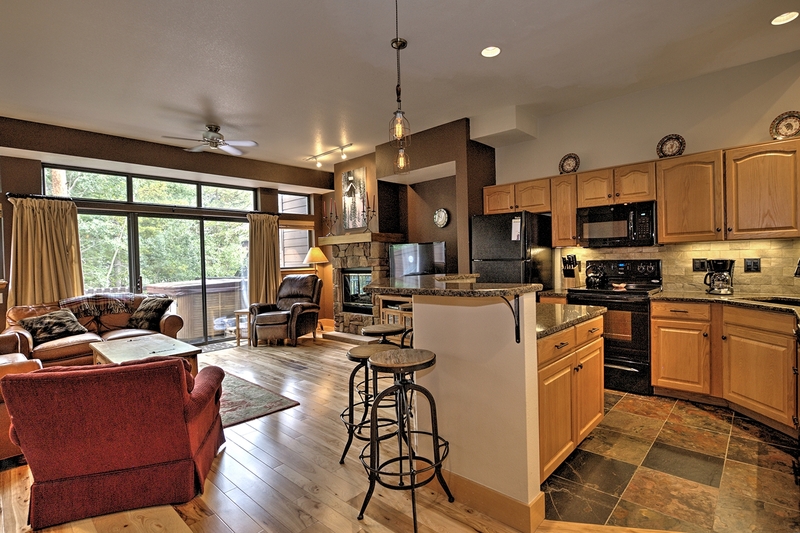 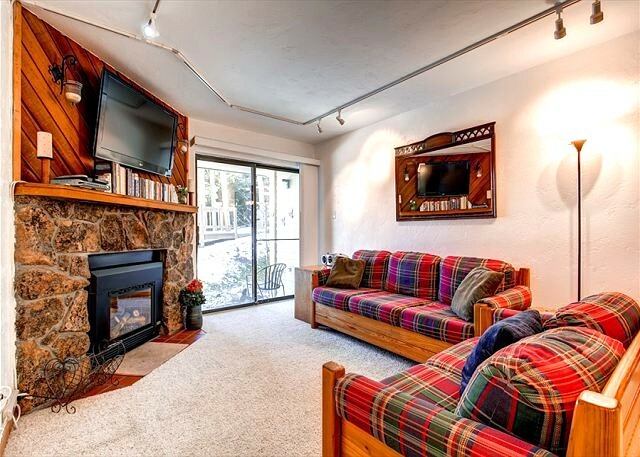 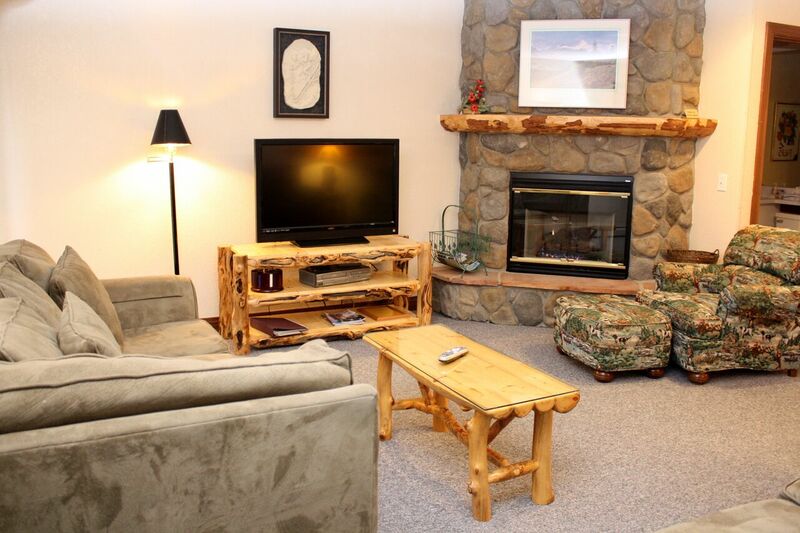 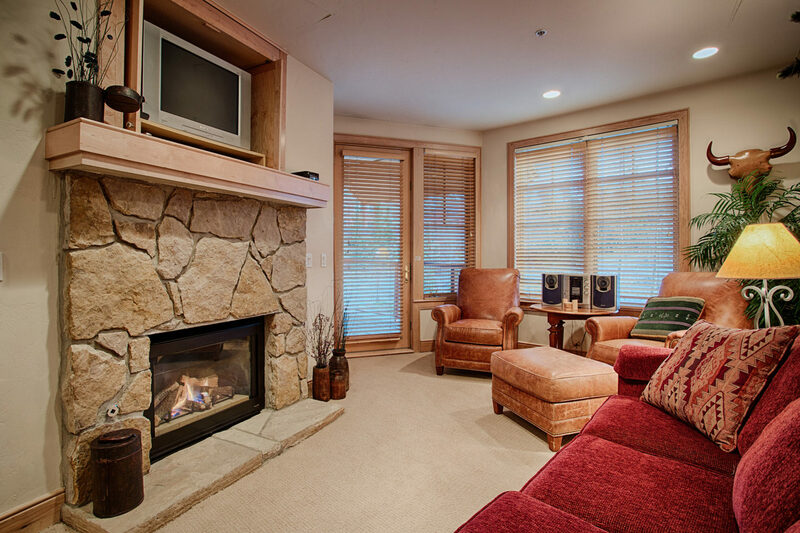 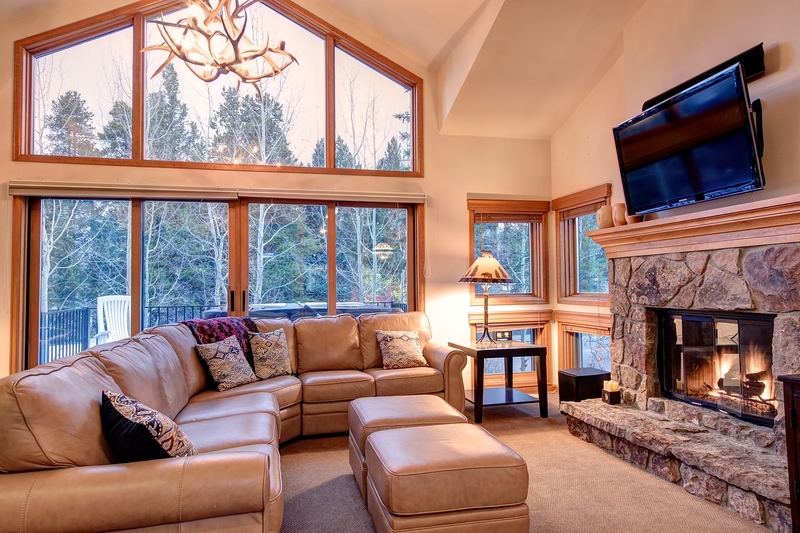 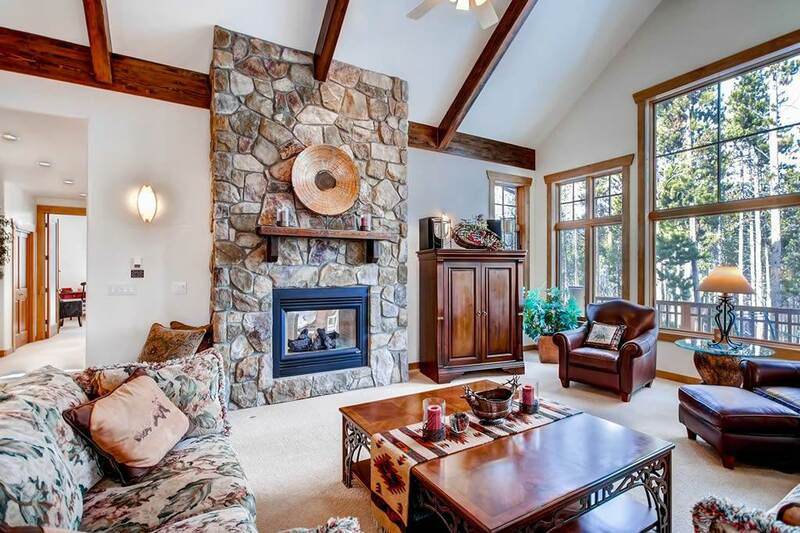 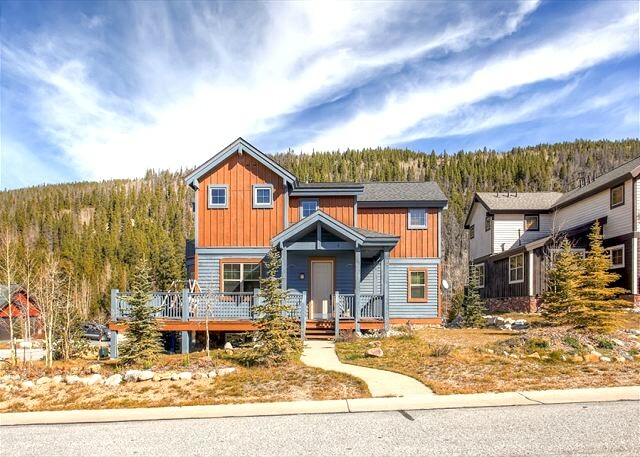 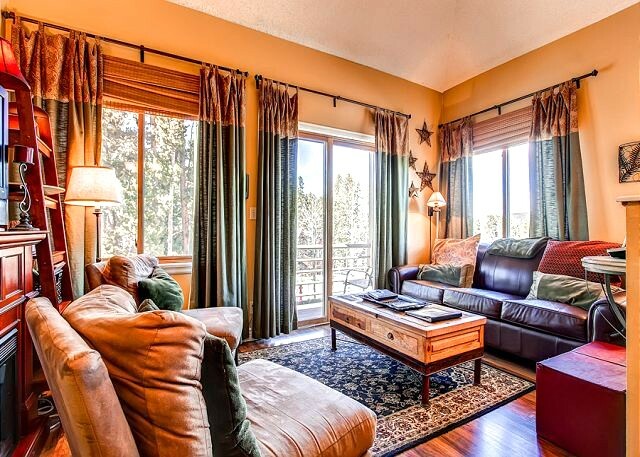 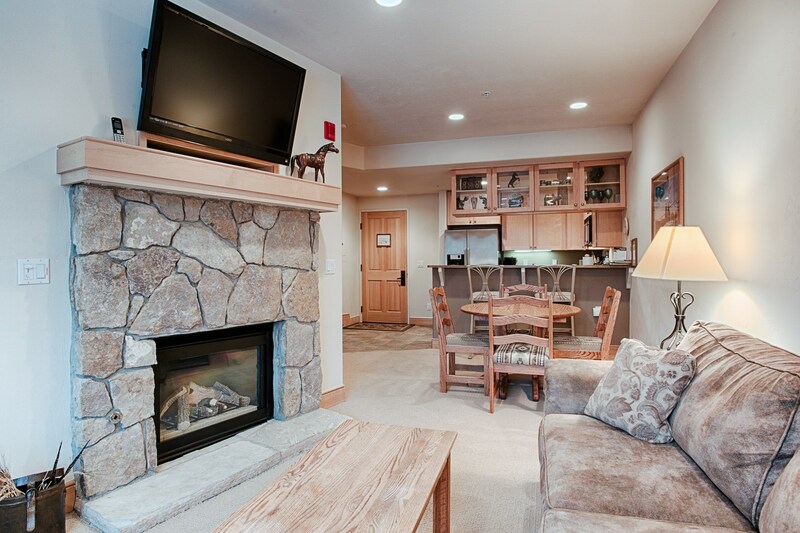 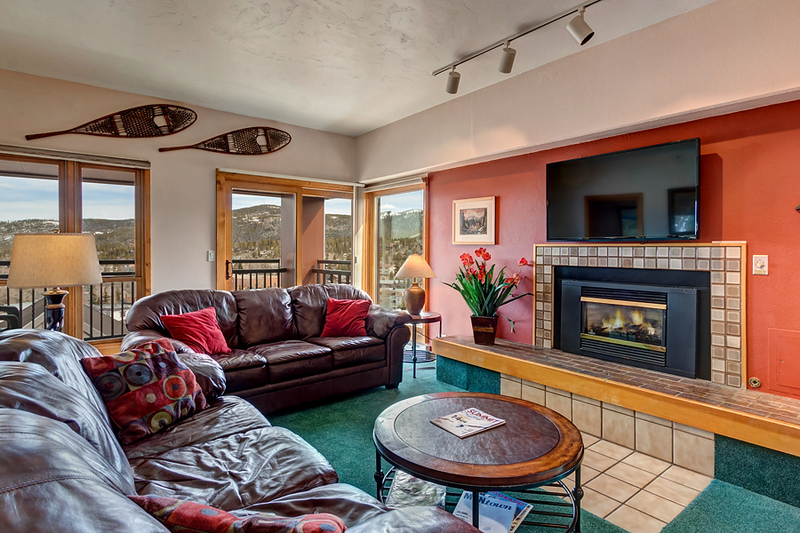 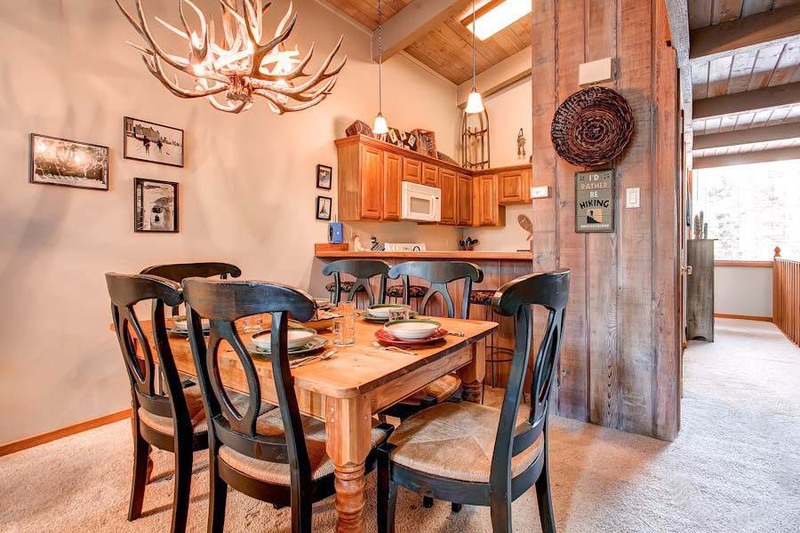 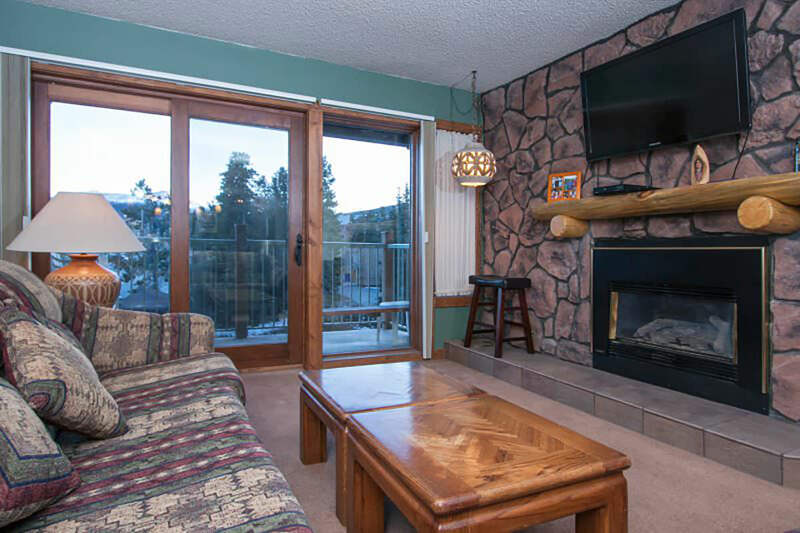 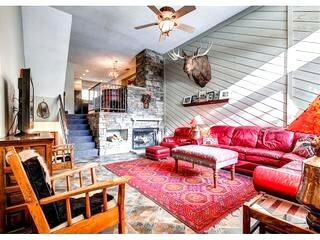 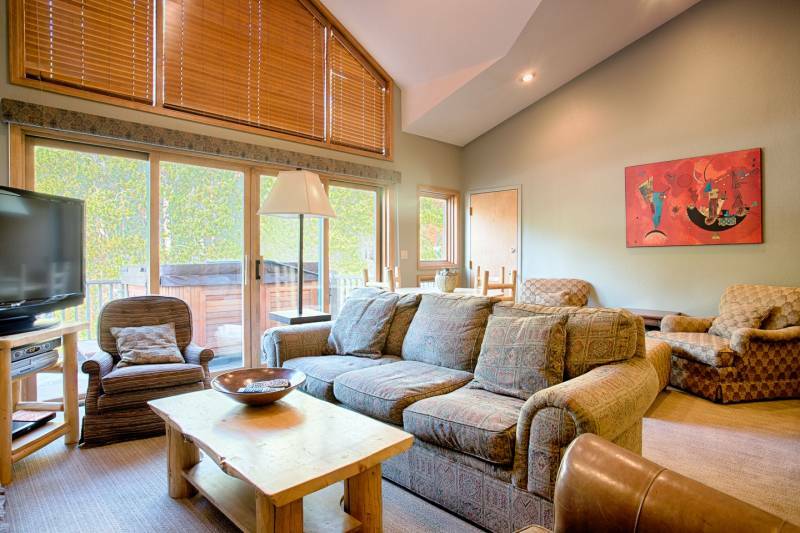 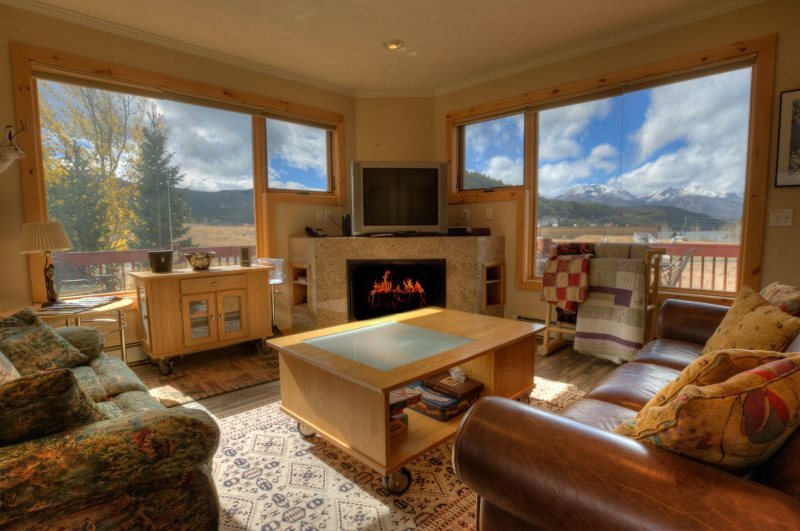 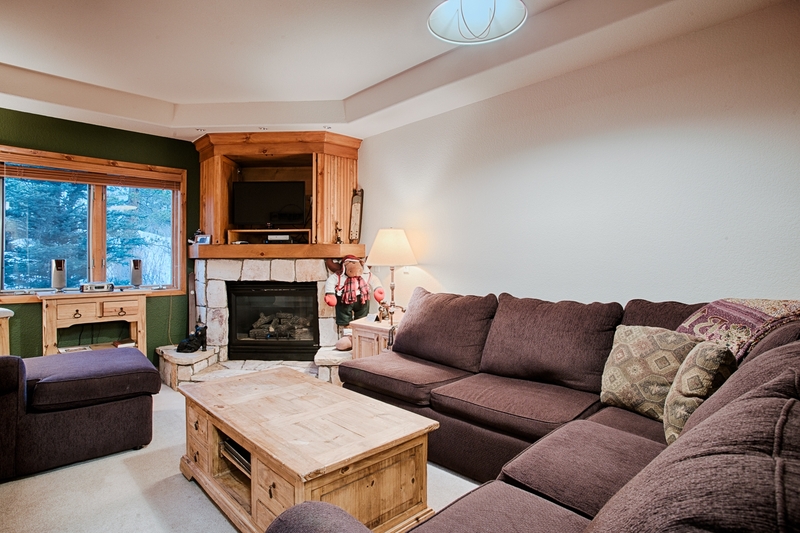 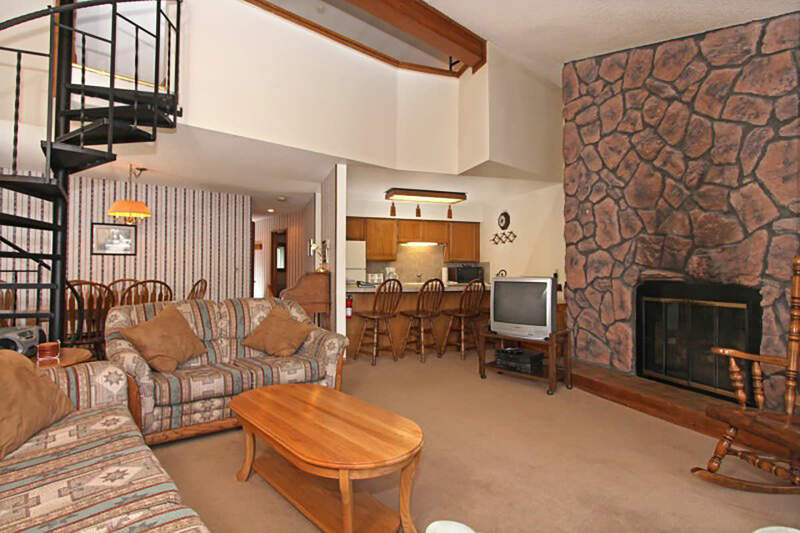 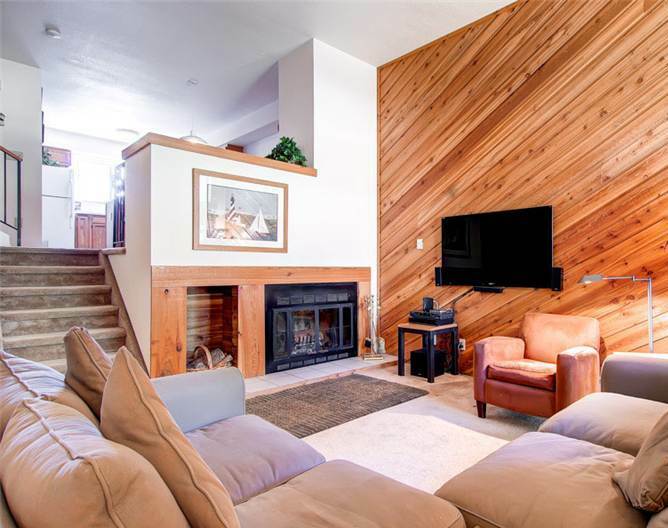 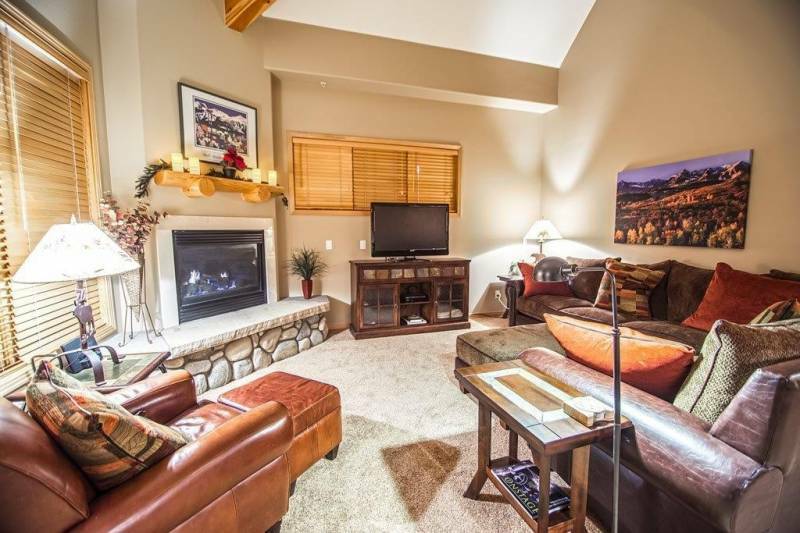 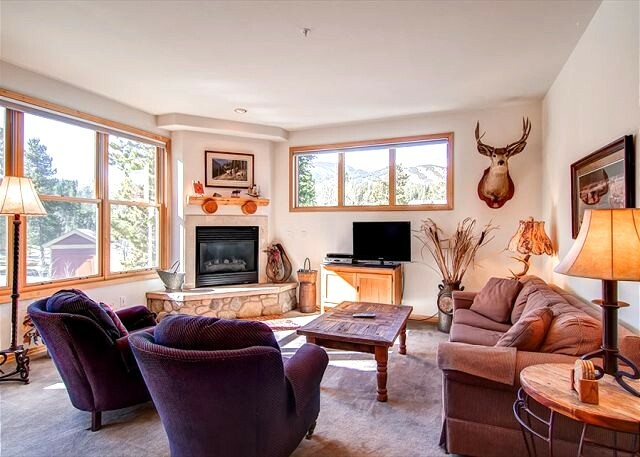 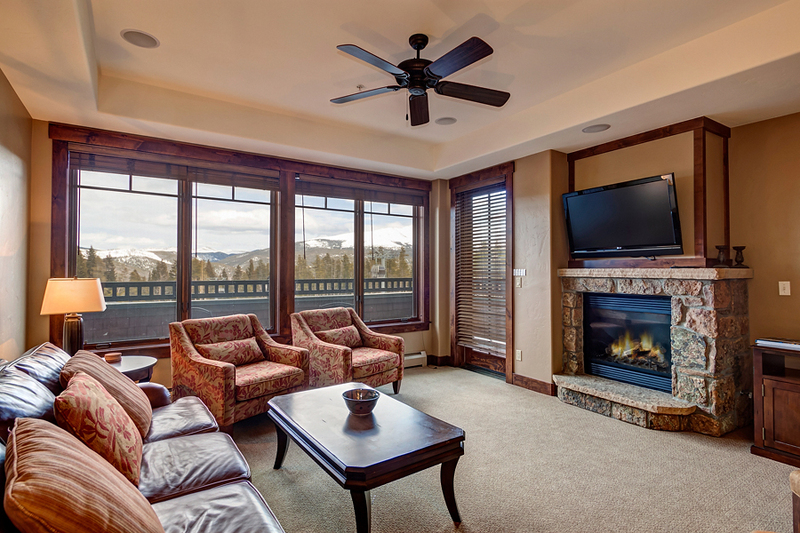 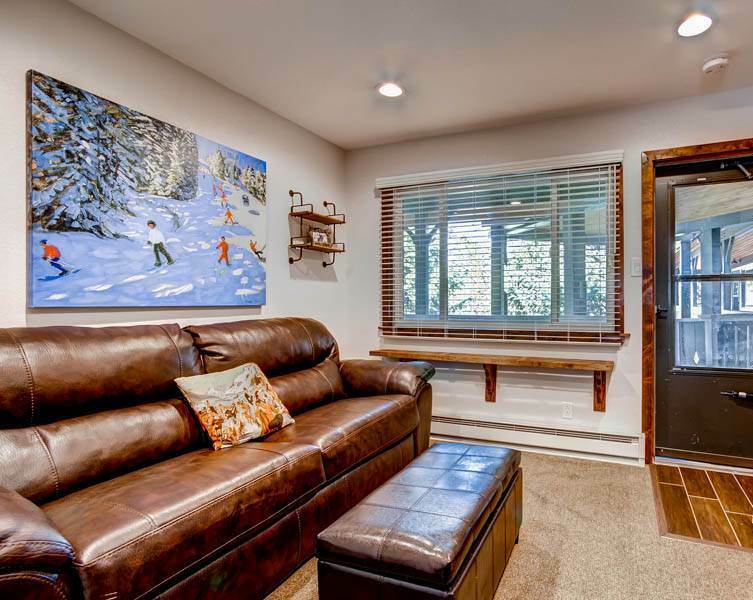 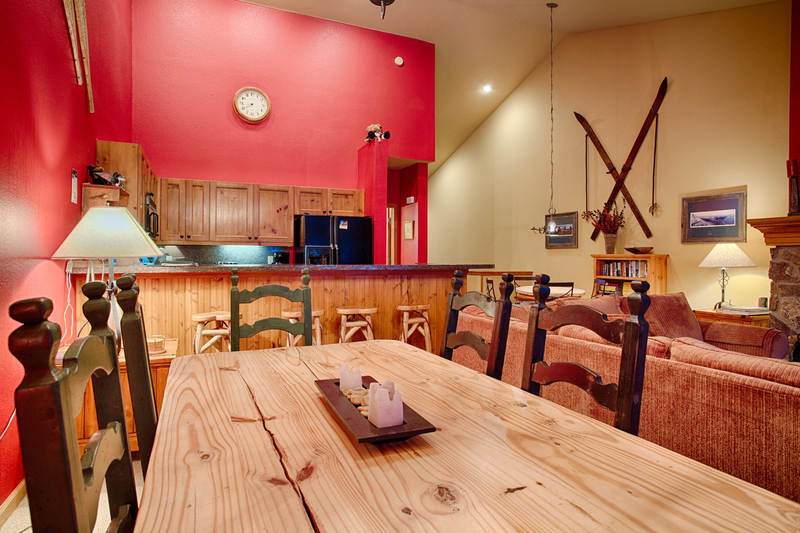 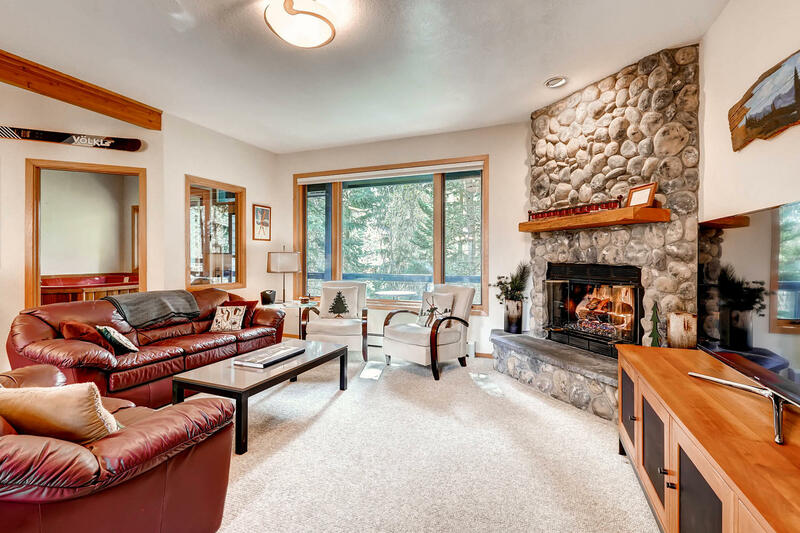 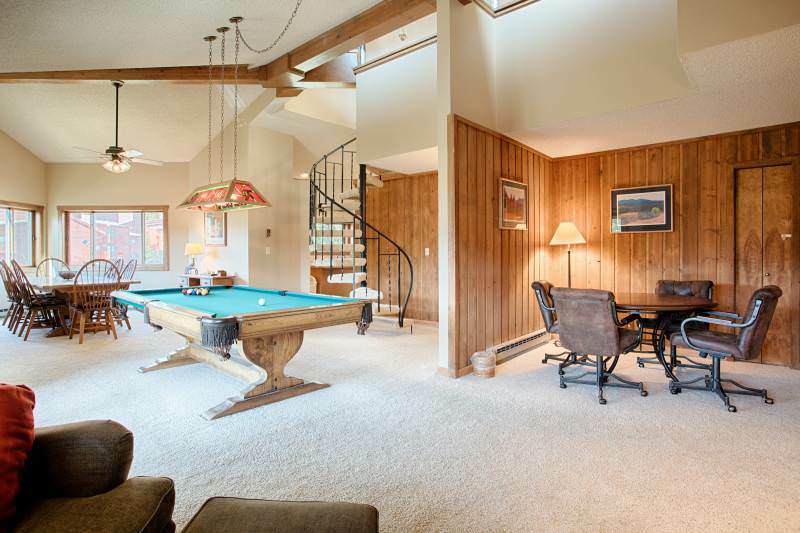 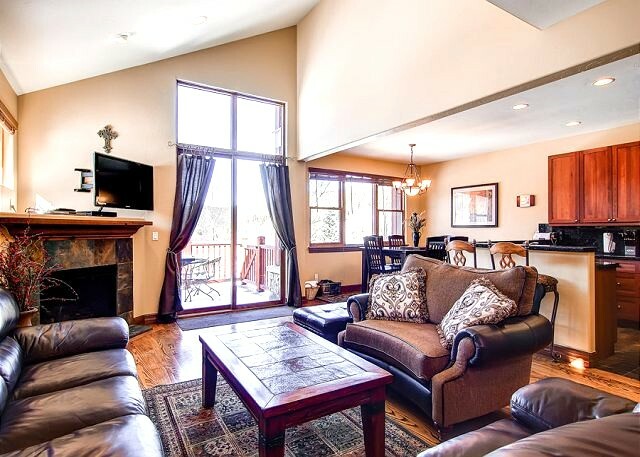 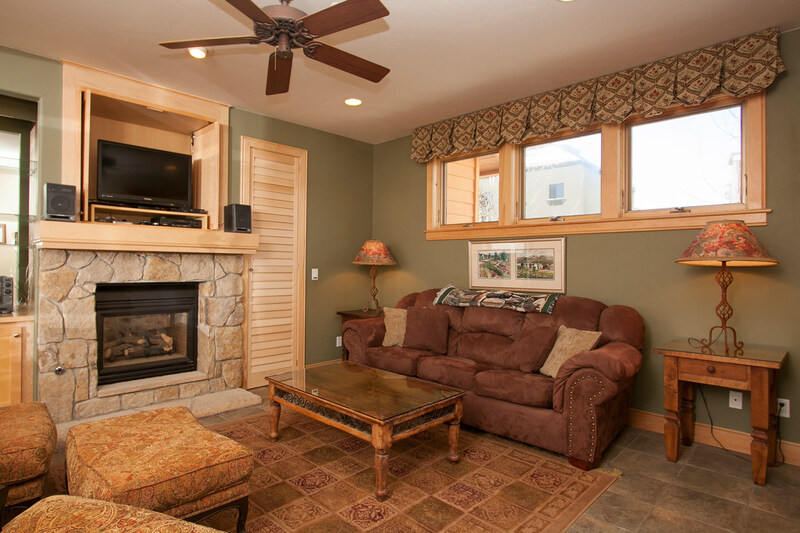 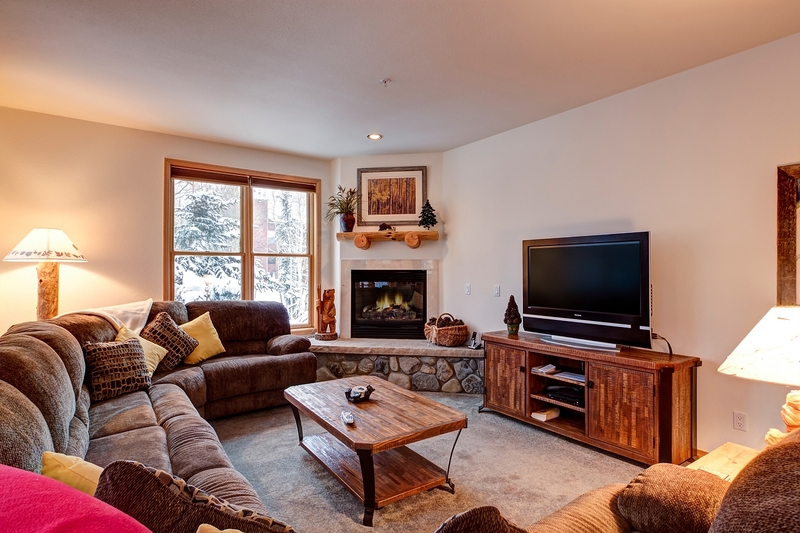 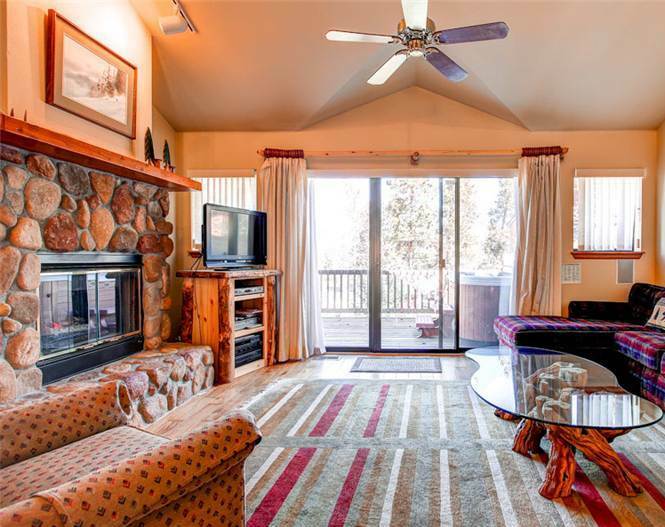 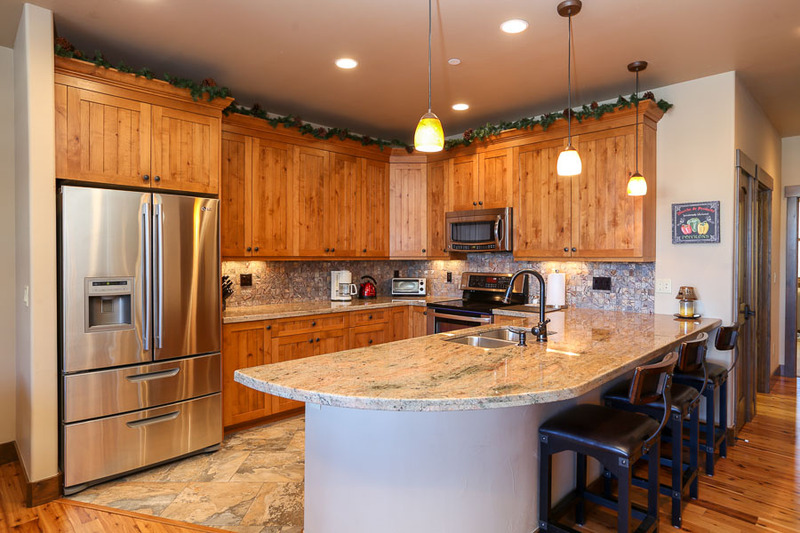 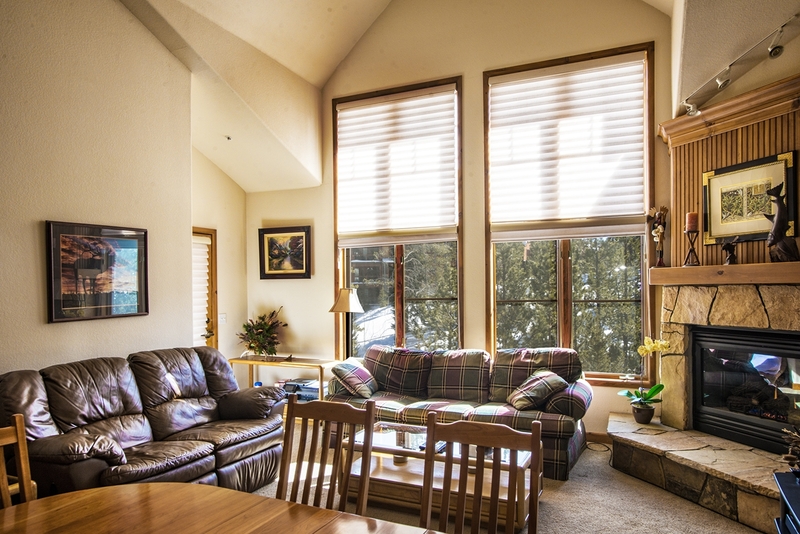 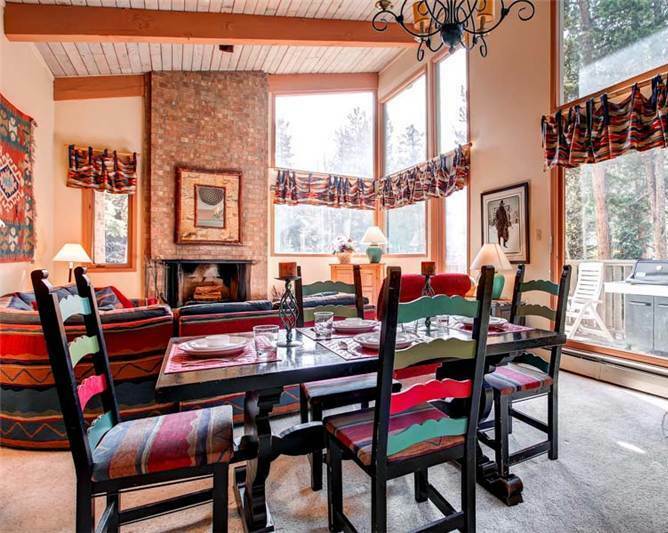 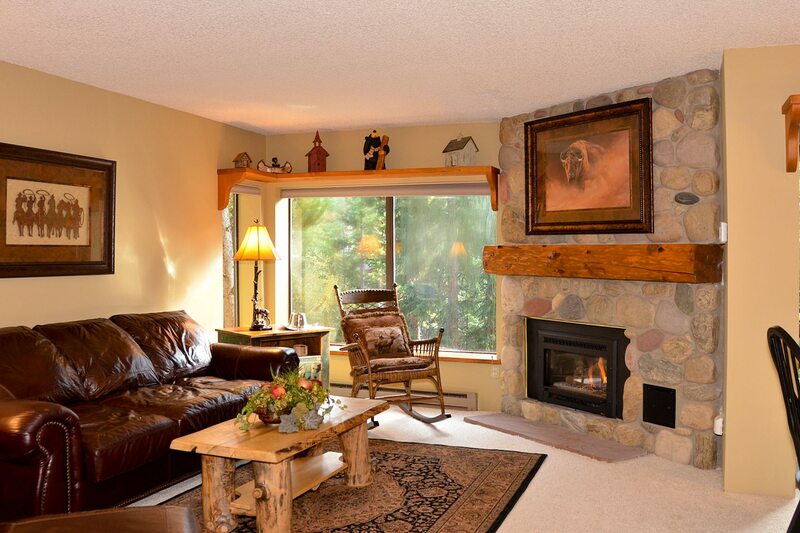 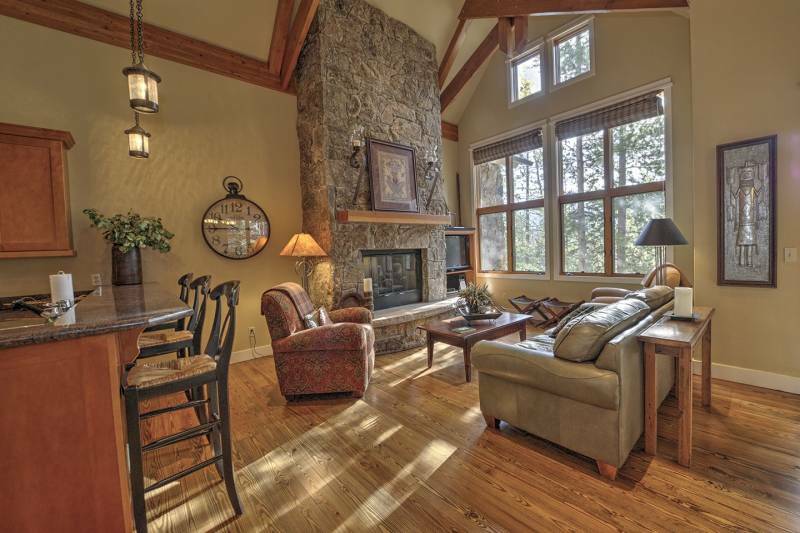 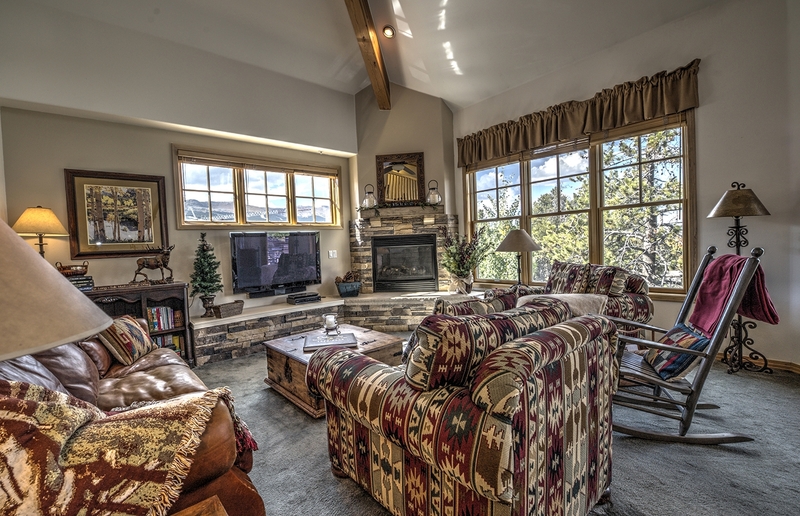 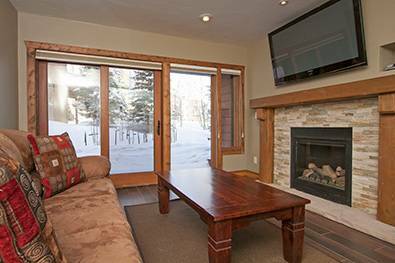 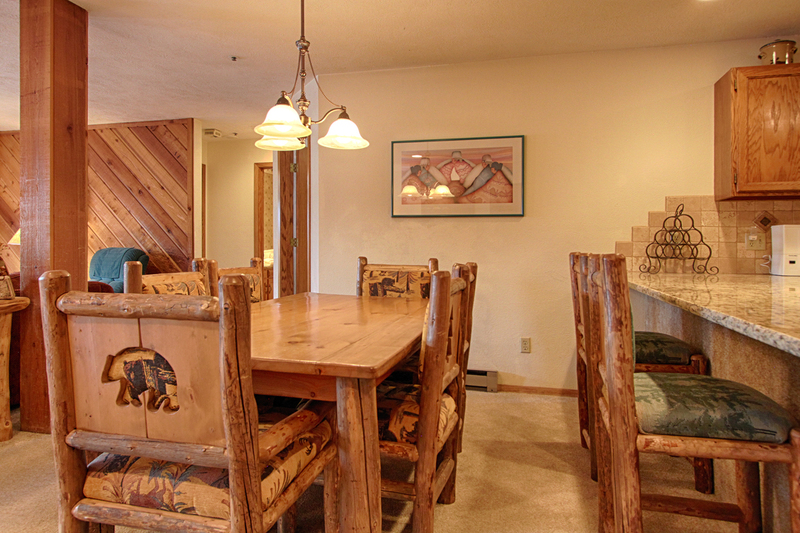 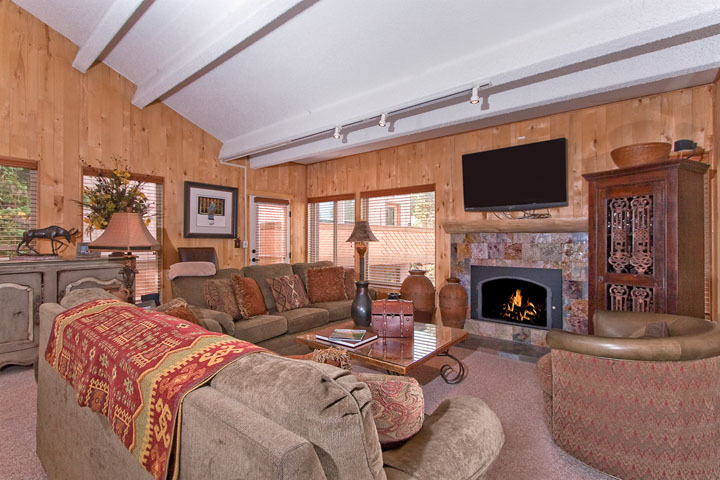 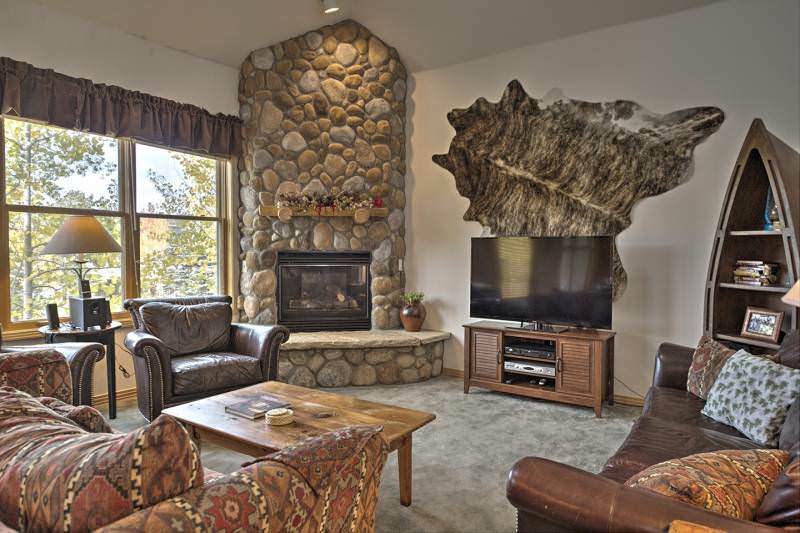 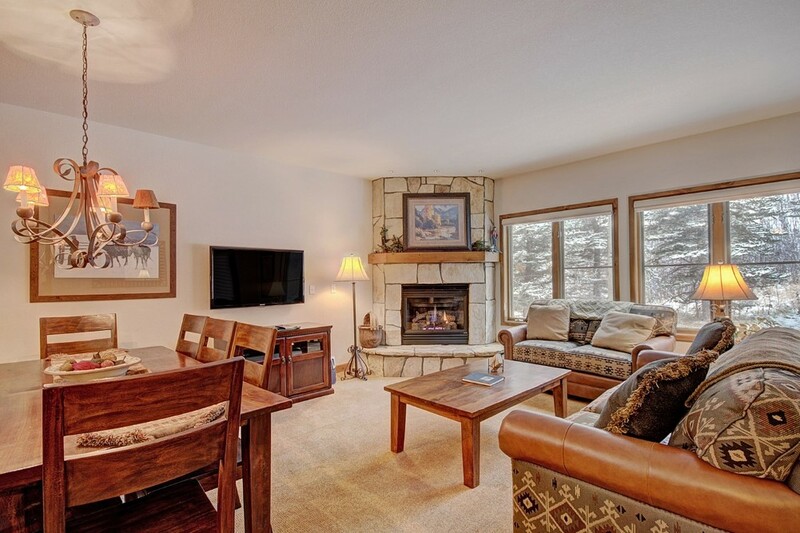 This is a great choice for your next Colorado ski vacation.